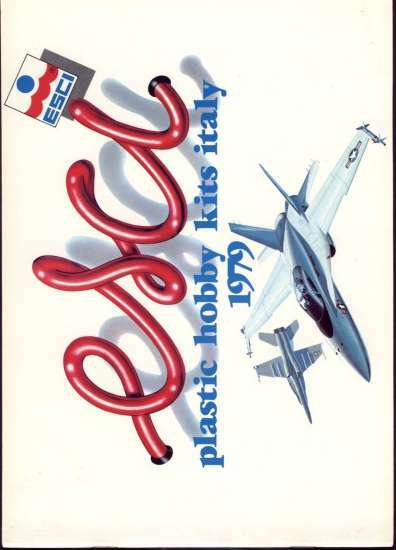 ESCI no longer exists and their models are getting hard to find. 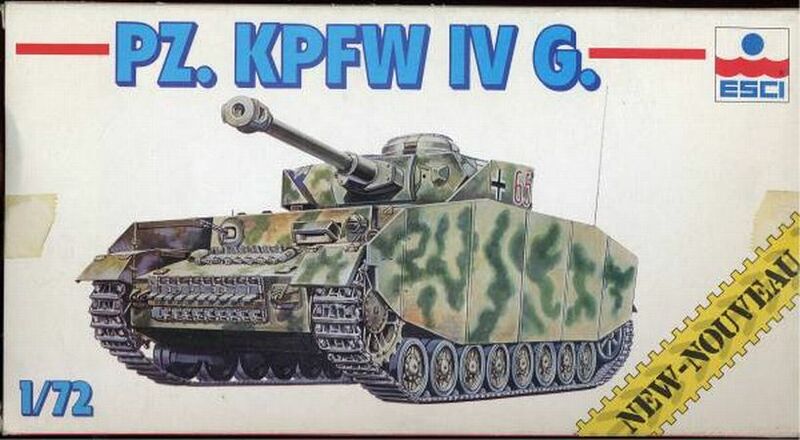 A major loss to the 1/72 scale, but sometimes you find the kits in the shops and at shows. 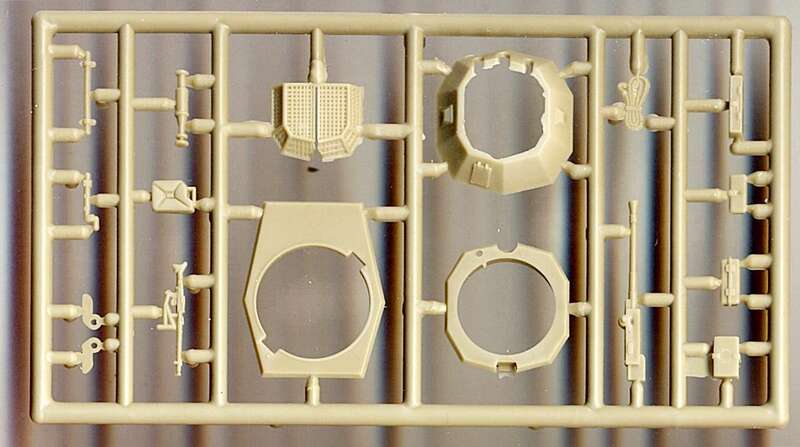 Where are the old moulds? 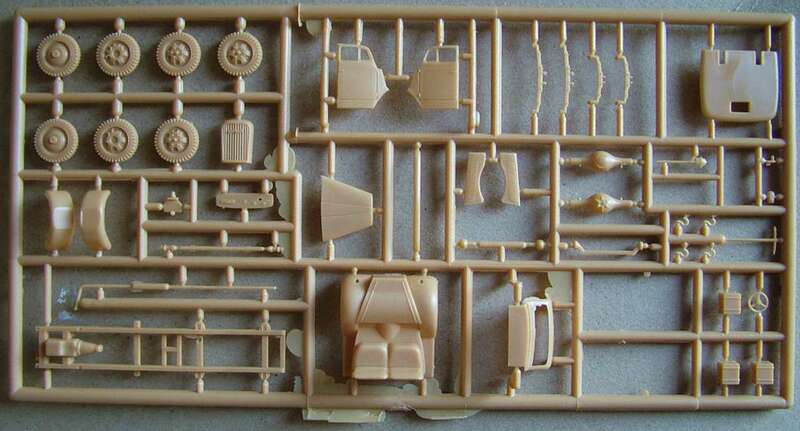 Luckily they are not yet lost, most of the moulds exist and the kits are re-released from time by time by Italeri!!! 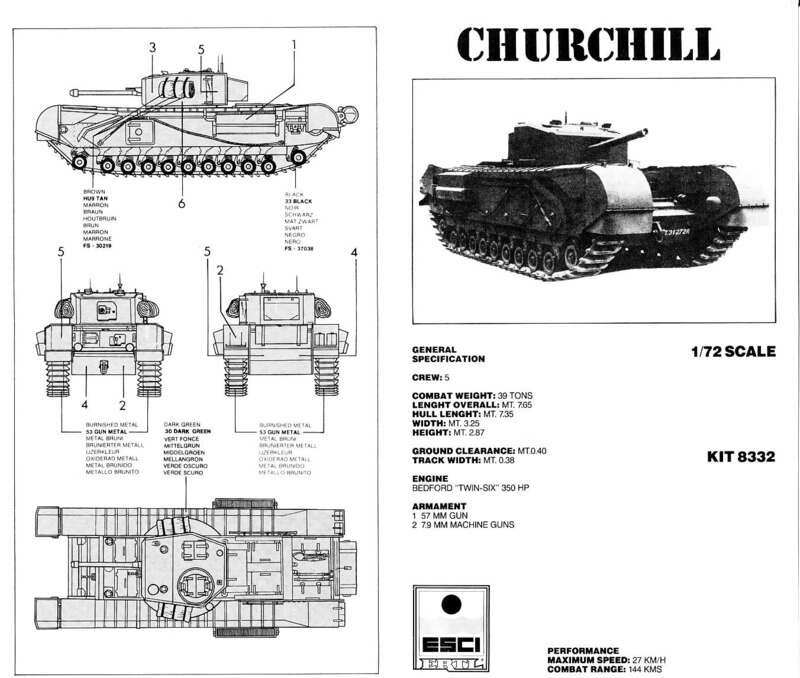 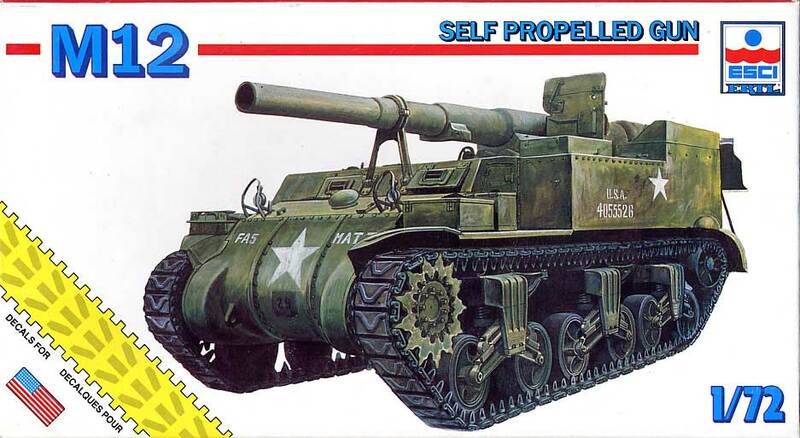 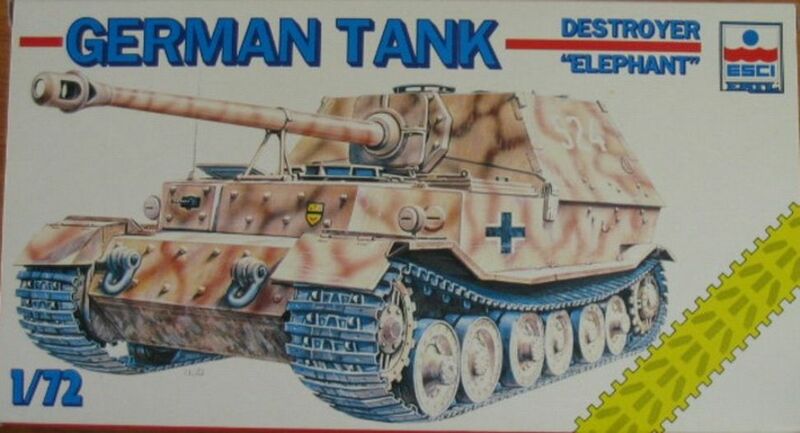 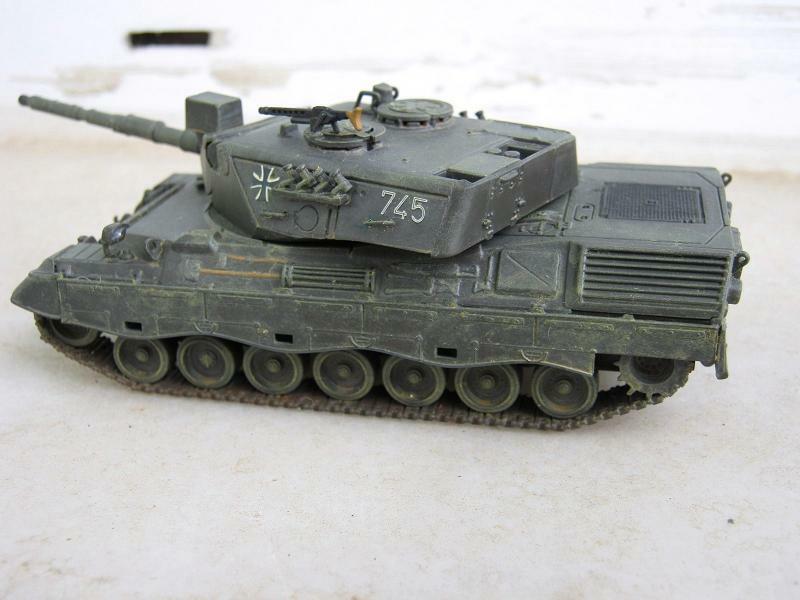 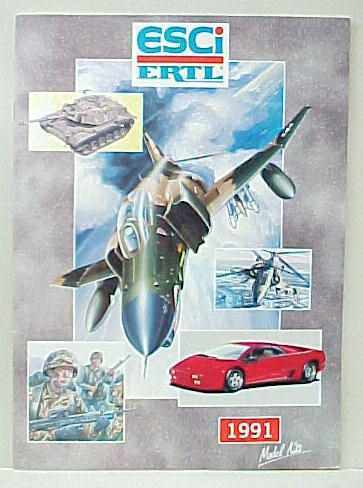 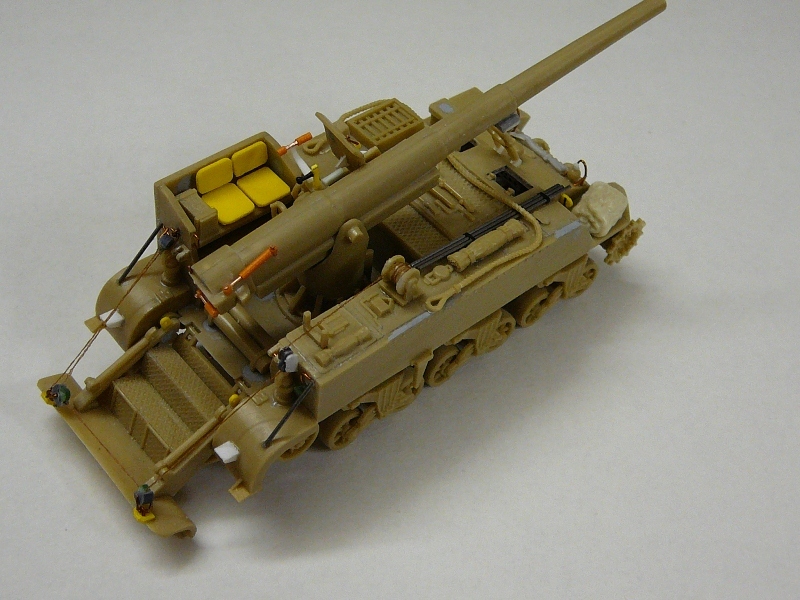 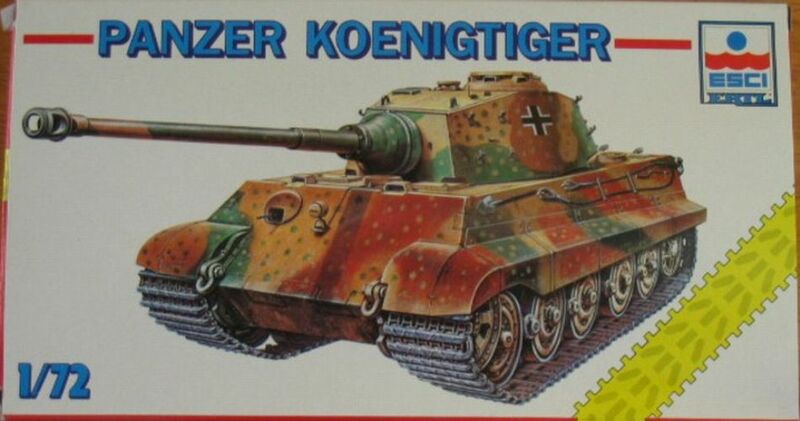 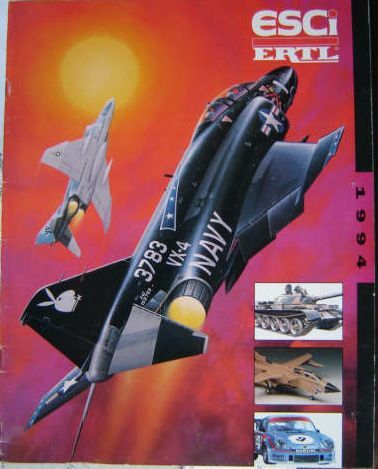 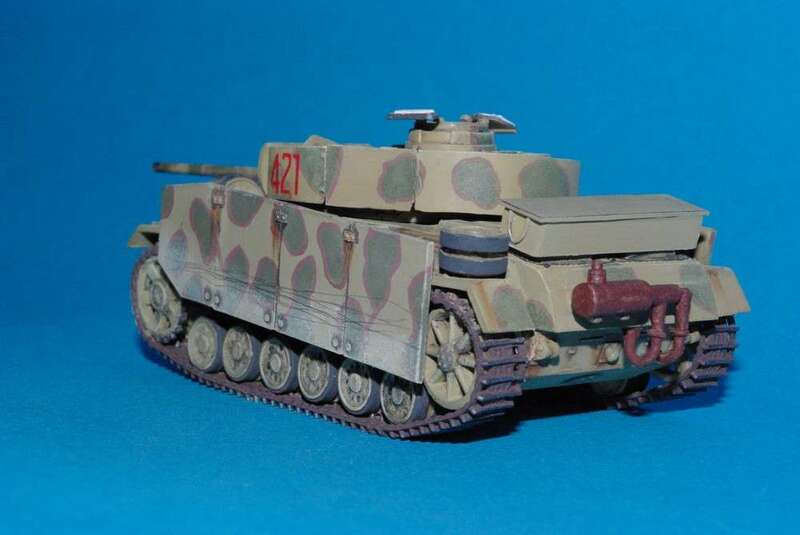 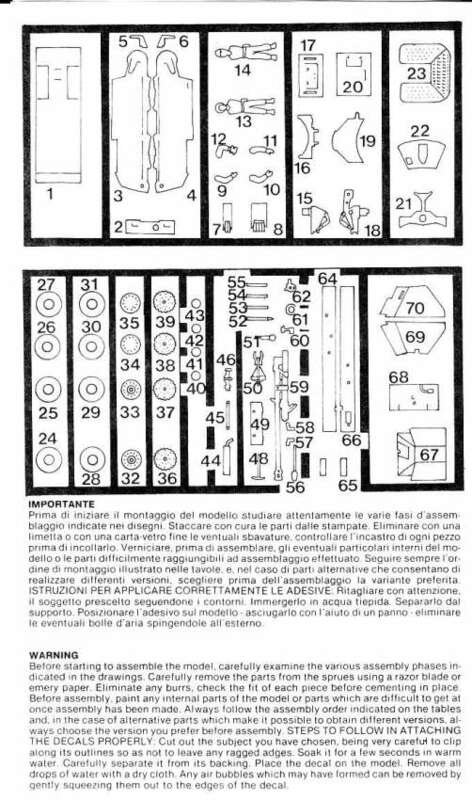 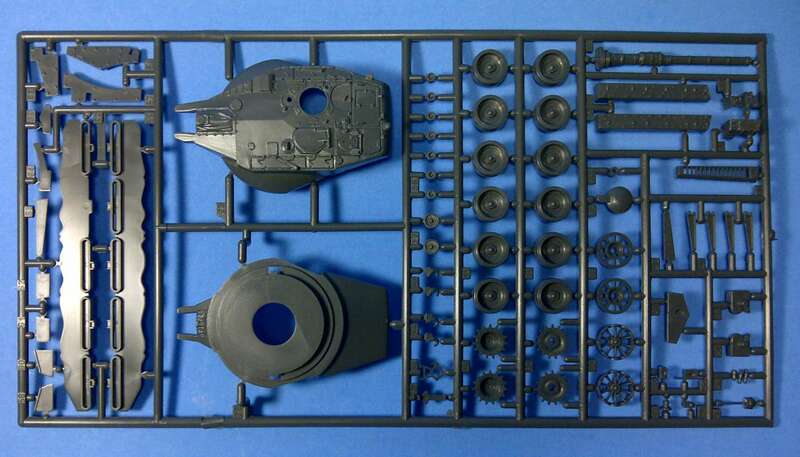 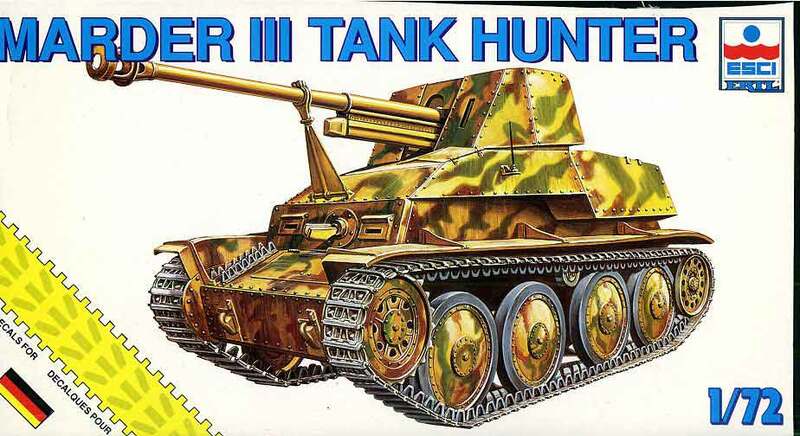 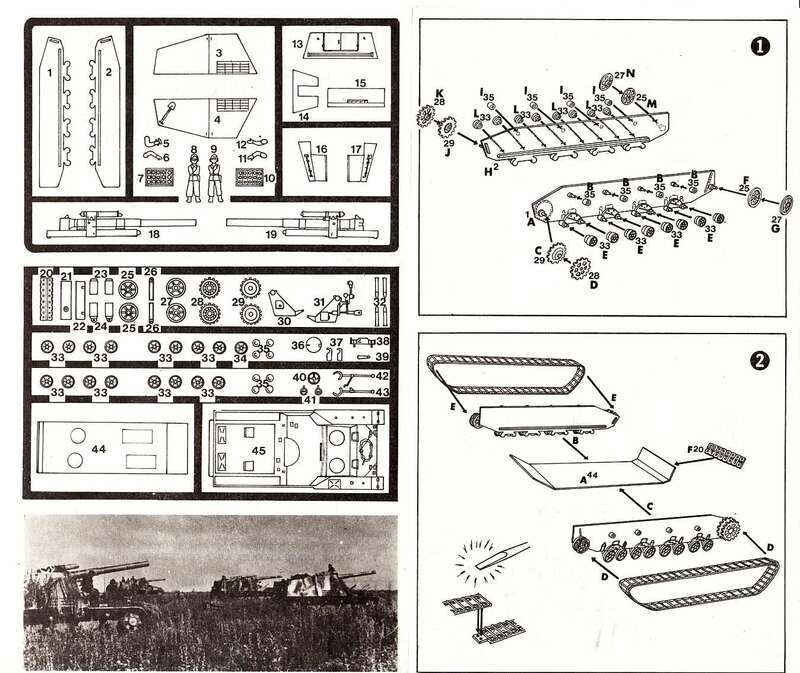 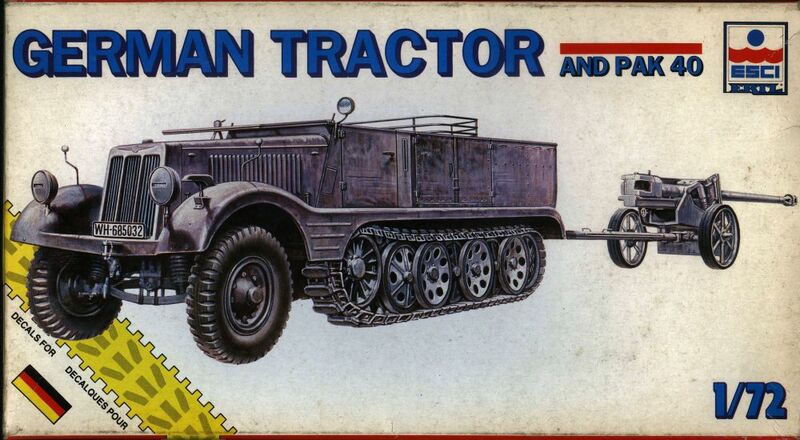 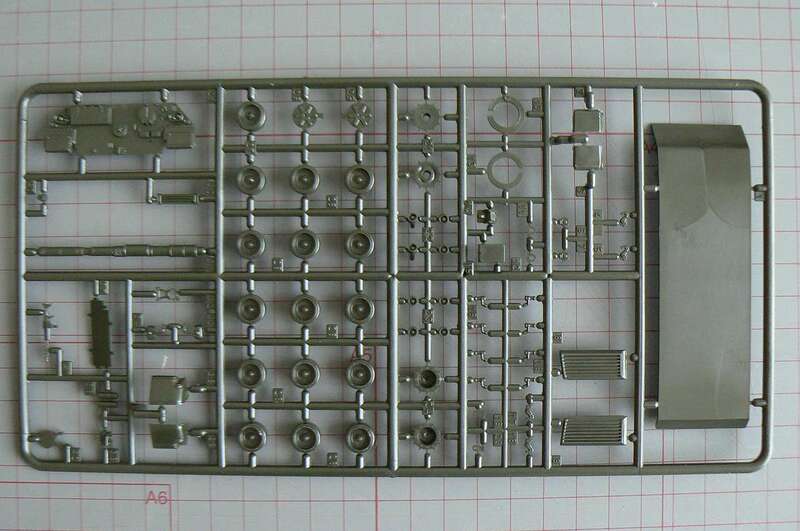 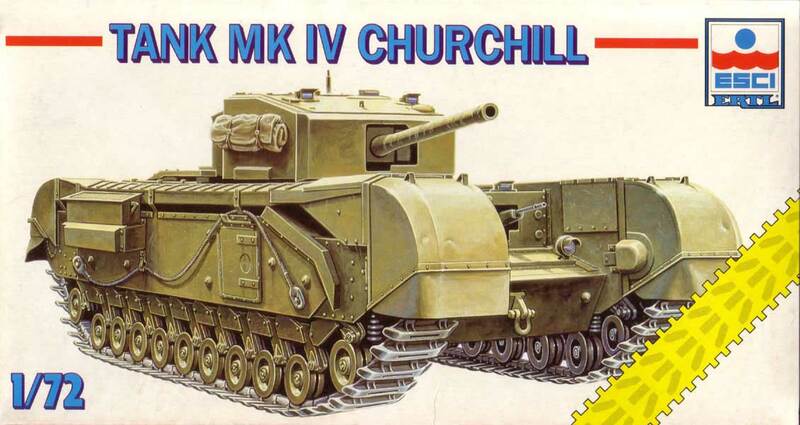 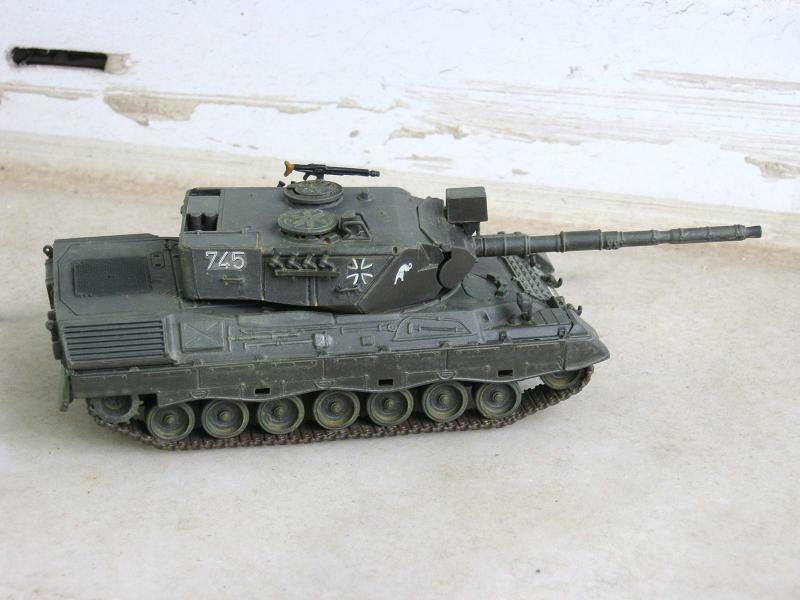 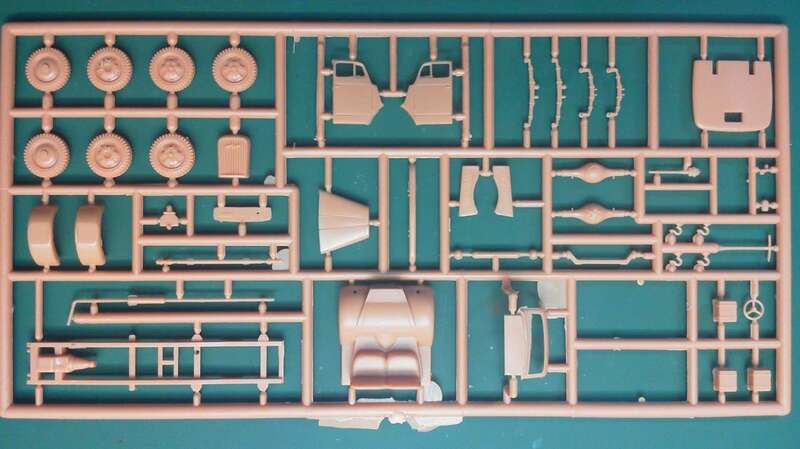 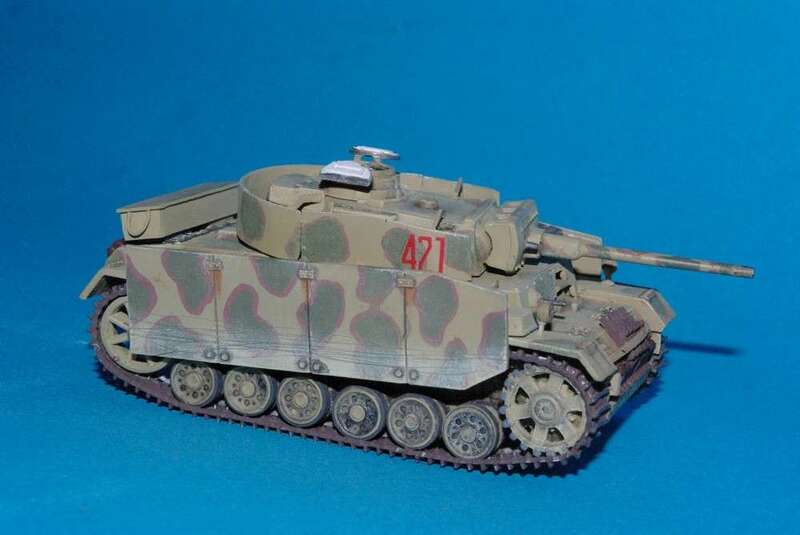 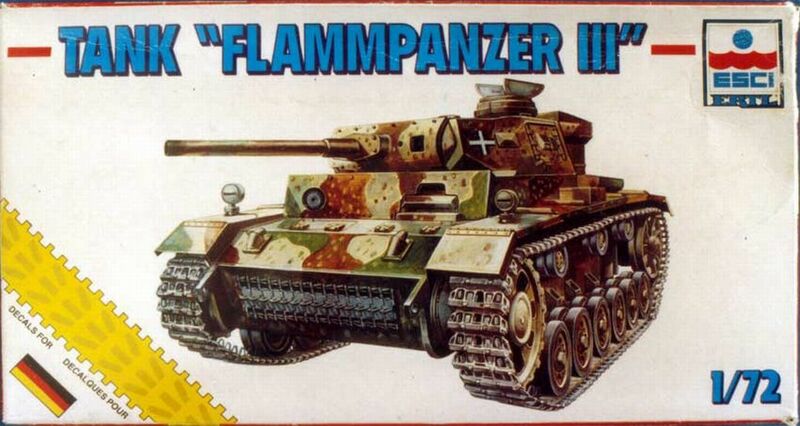 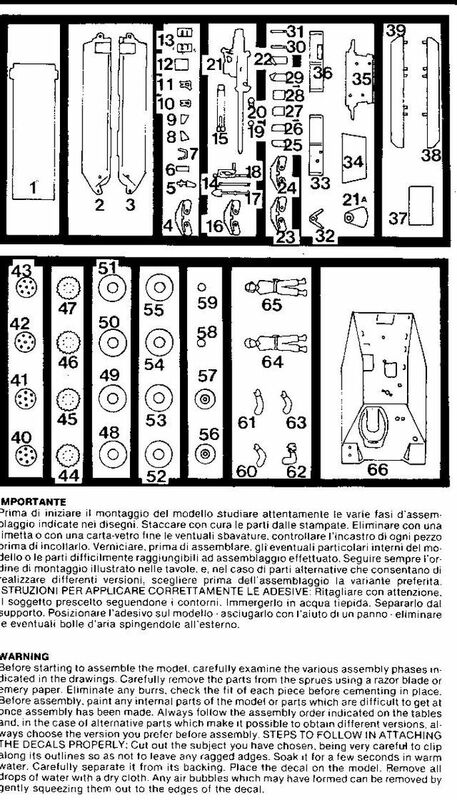 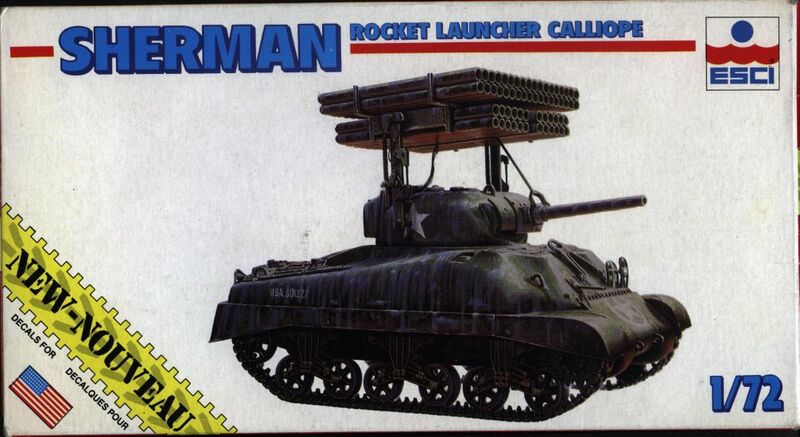 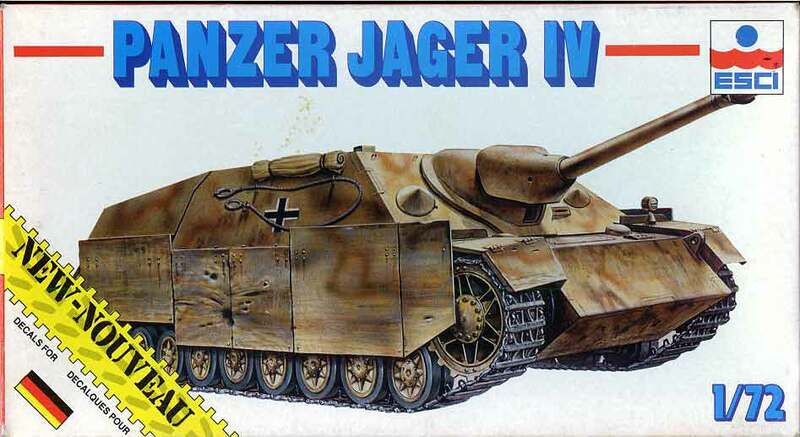 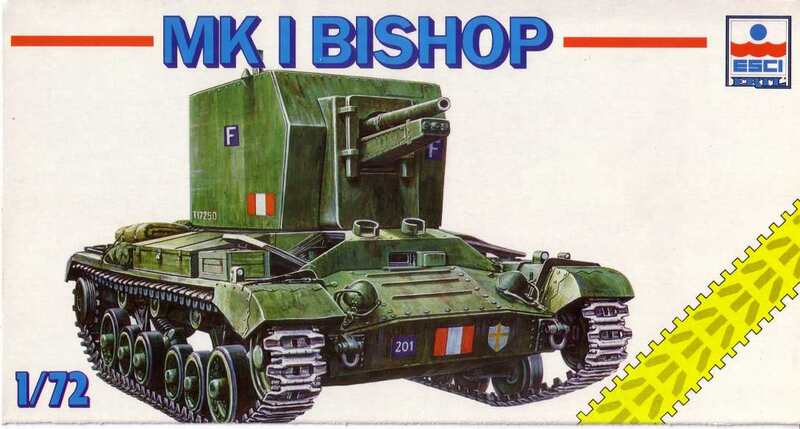 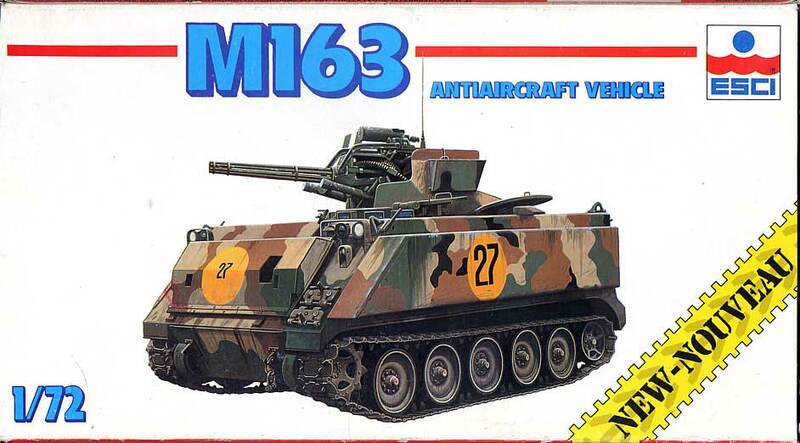 --- See the Italeri page for re-release of many of old Esci/Ertl kits. 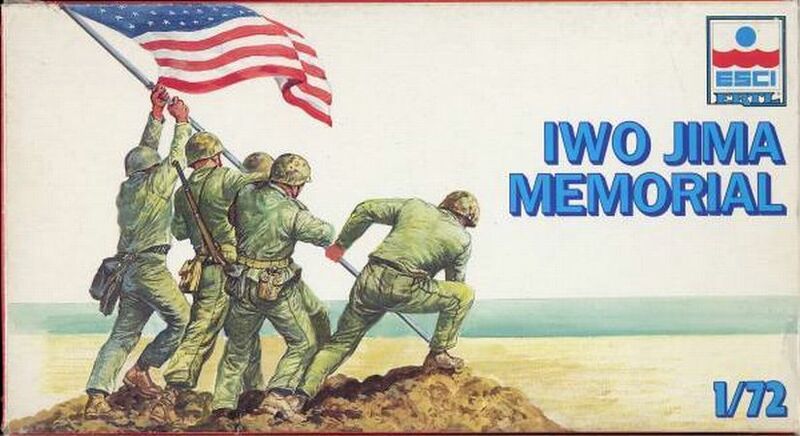 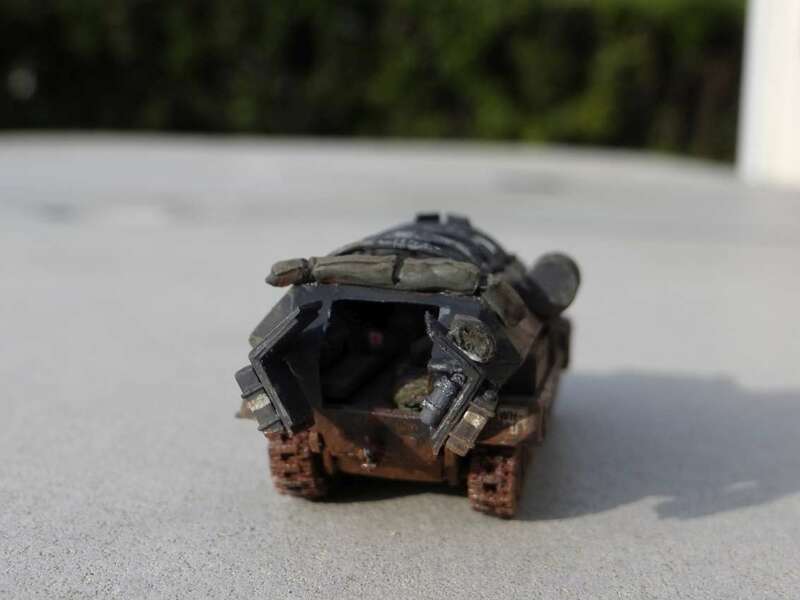 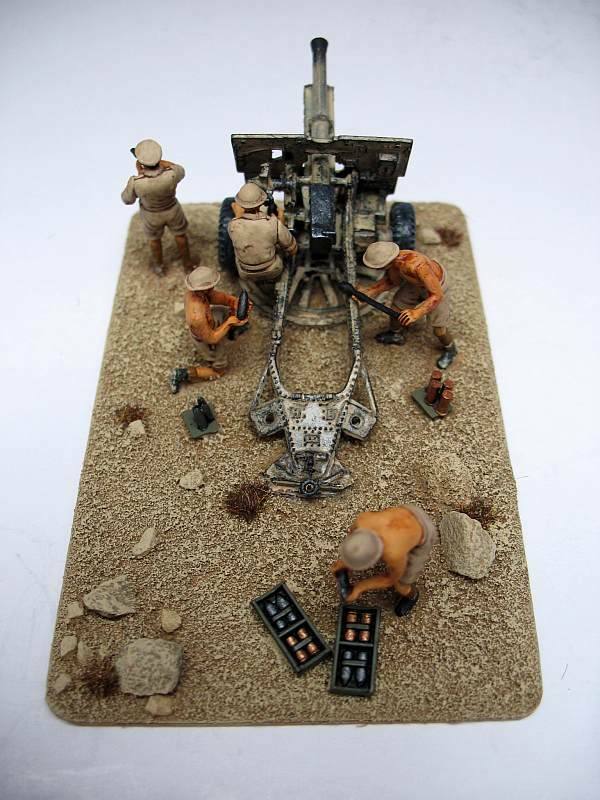 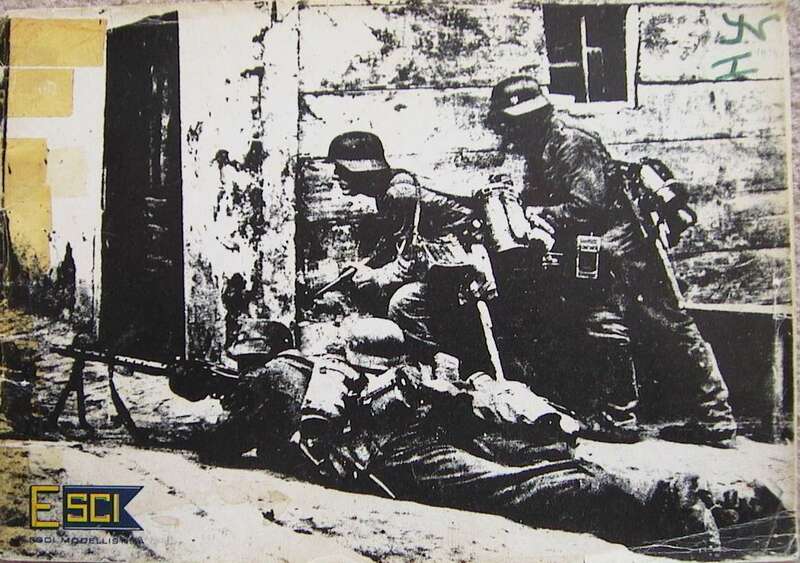 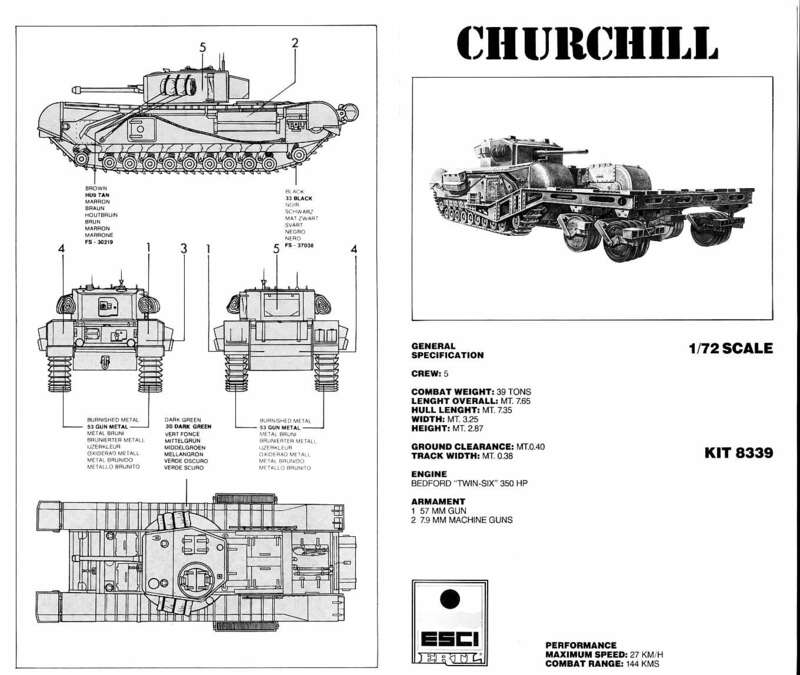 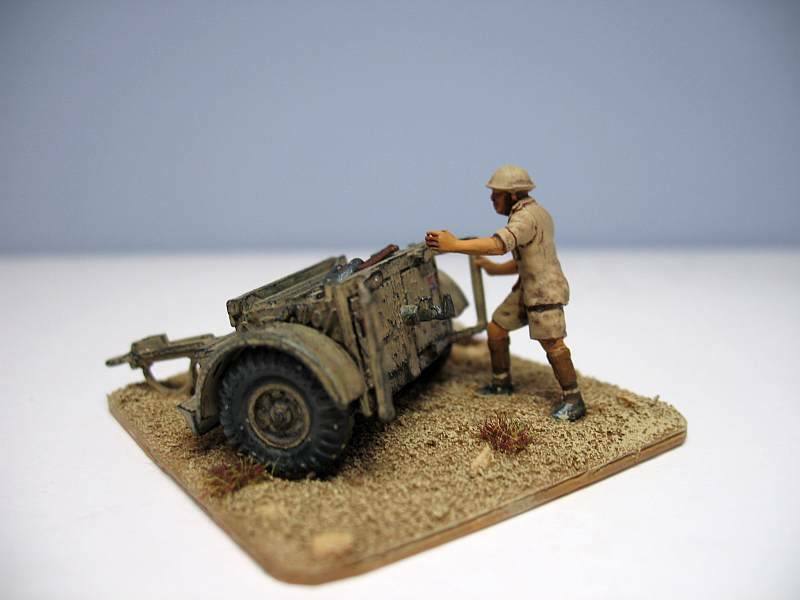 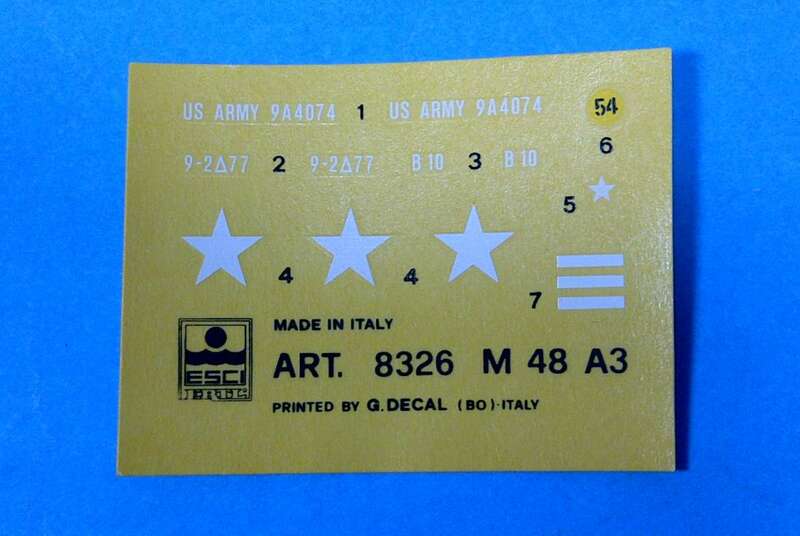 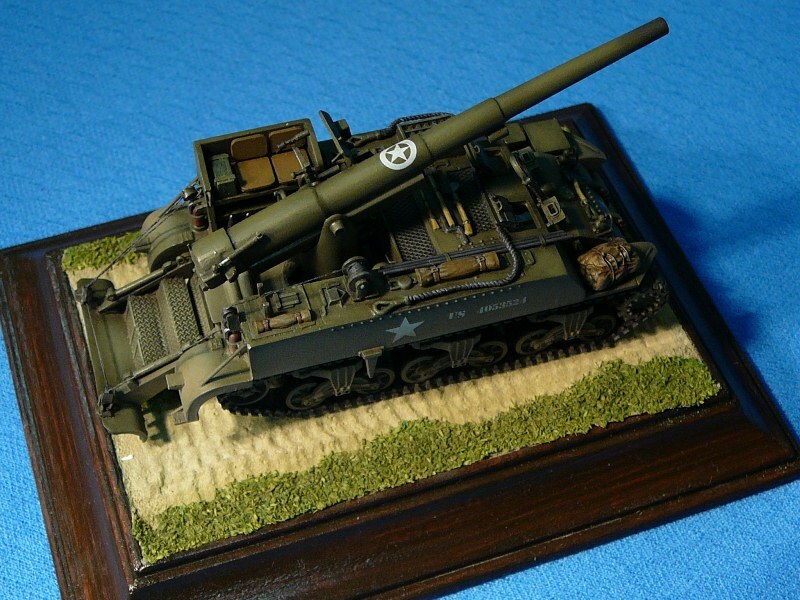 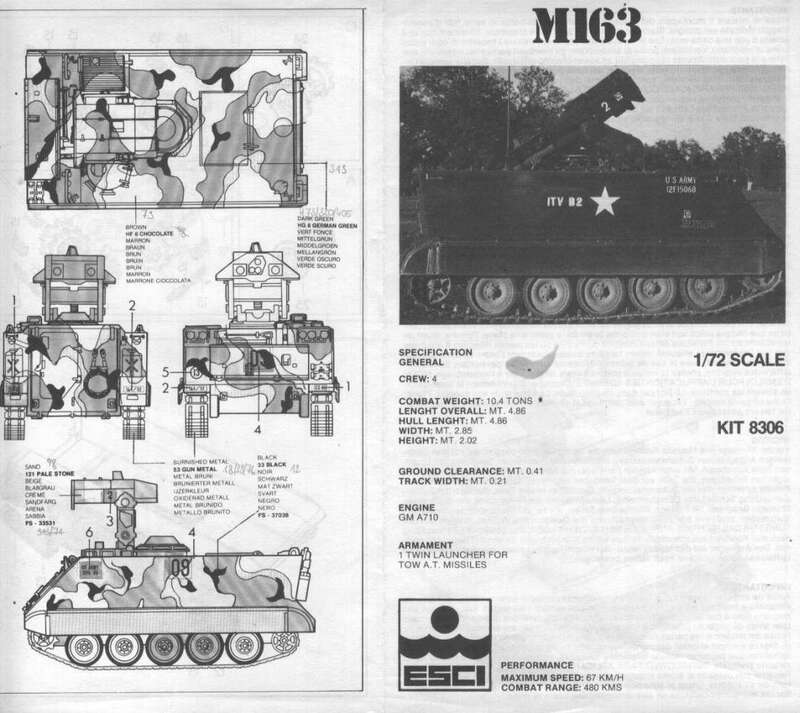 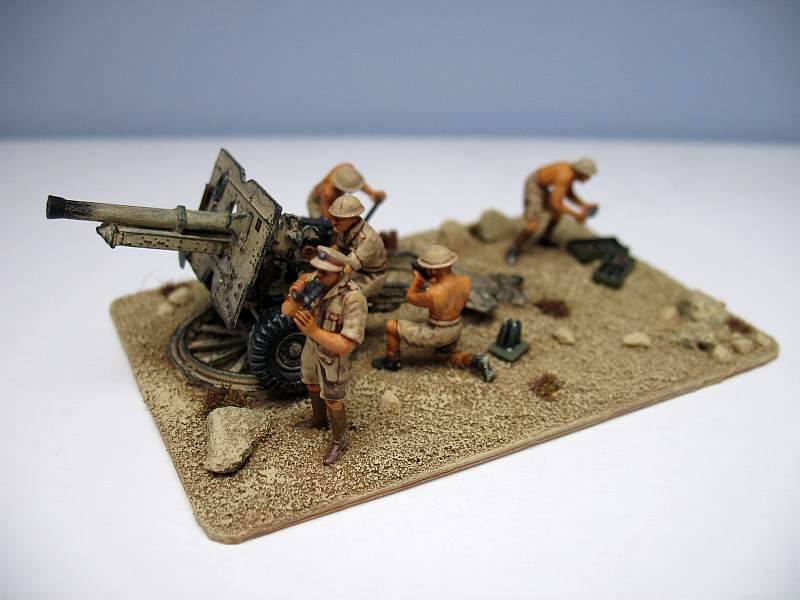 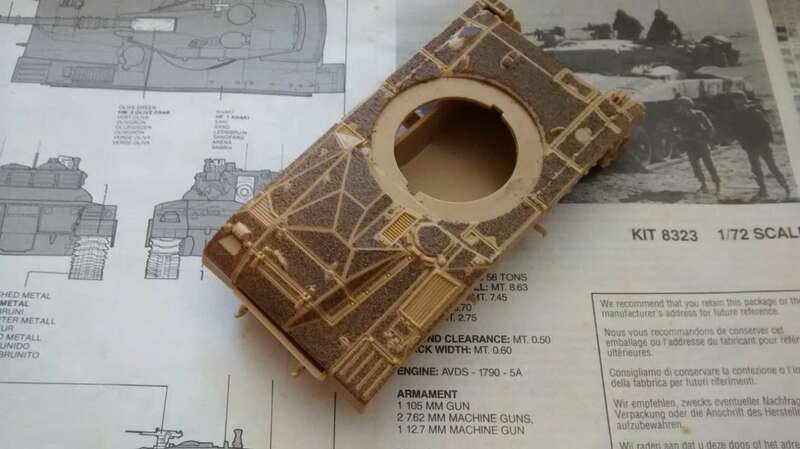 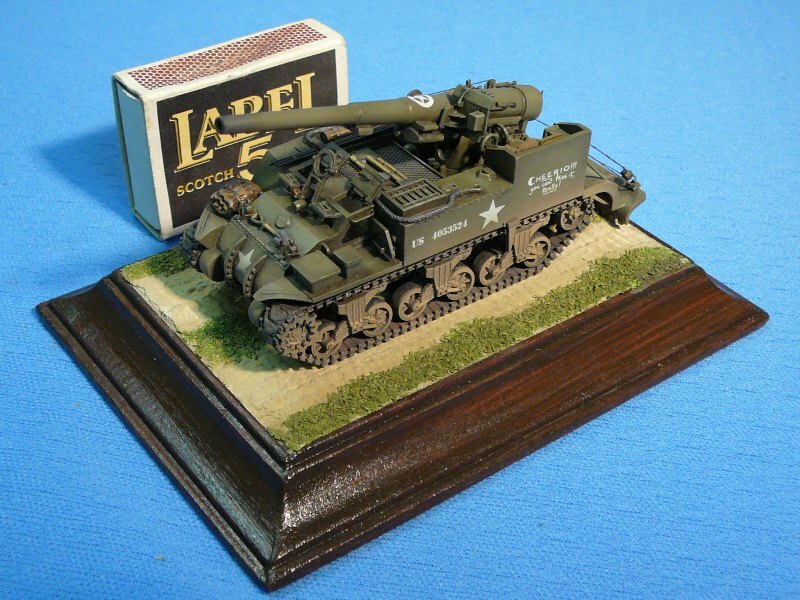 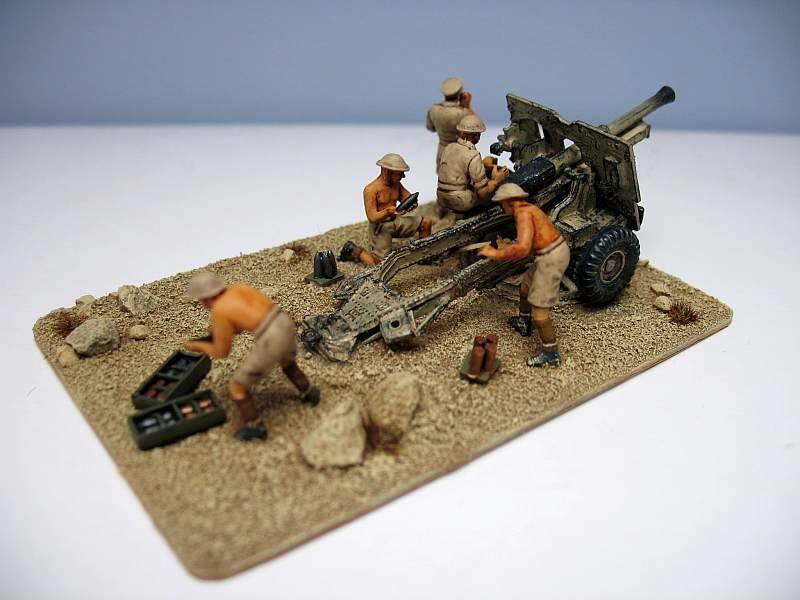 Esci is started with releasing the military kits in scale 1/72 in the 1970 years. 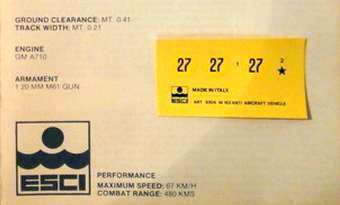 In the years were Esci also released under other labels or in combination with other labels. 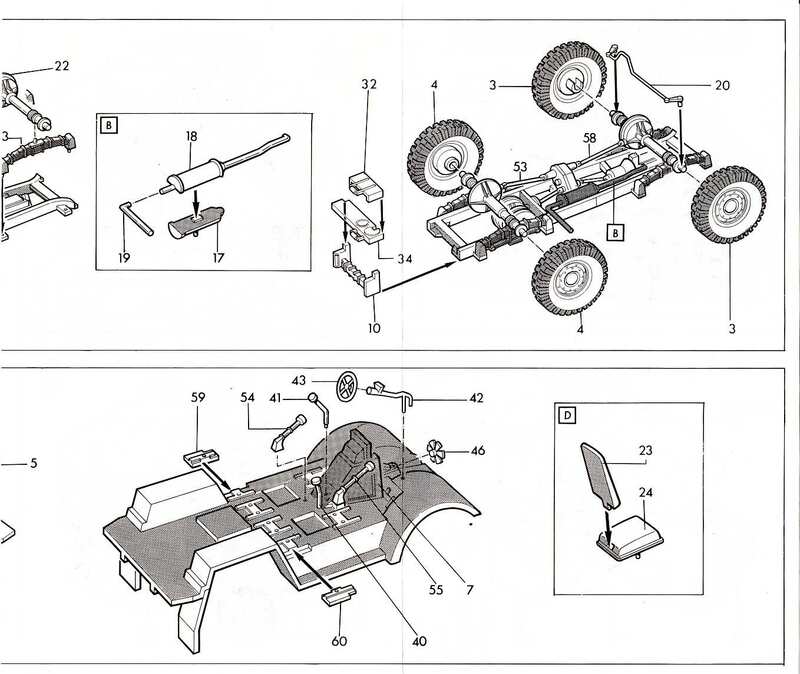 For more information, please visit the website from "On the Way'. 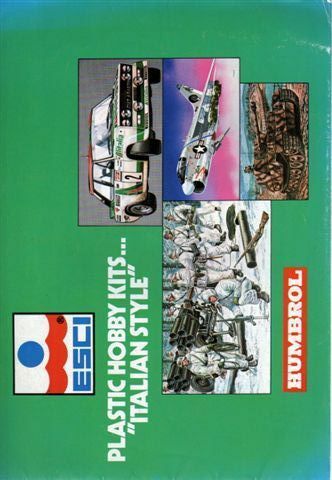 There you found a lot of the Esci kits history!!! 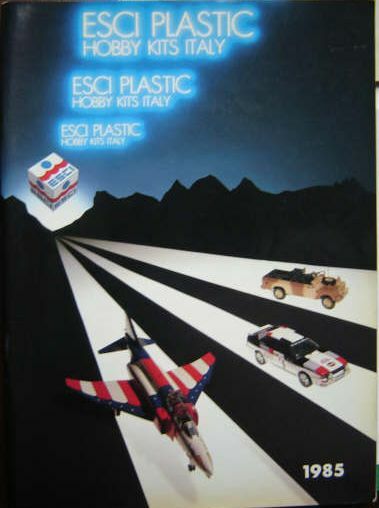 The story of the Esci kits!!! 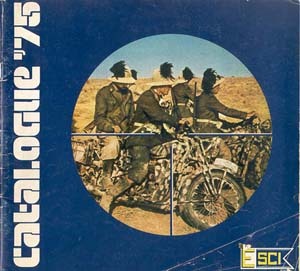 Some updates on serveral Catalogues. 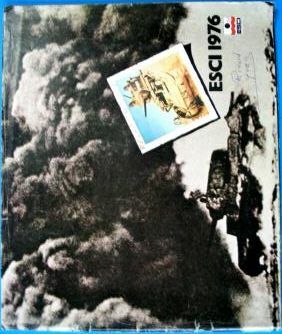 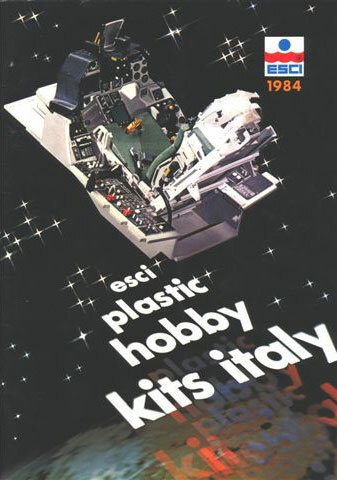 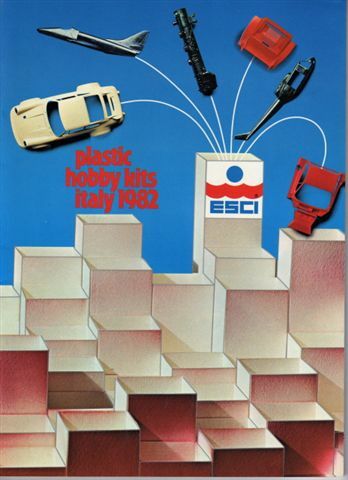 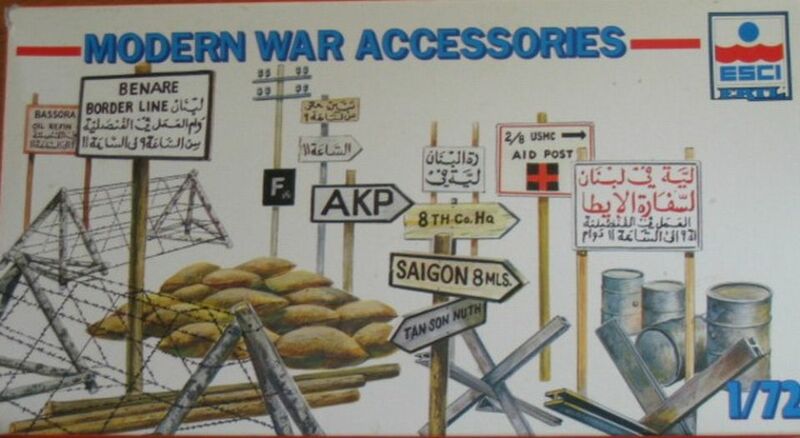 The Pollistil 1977 catalogue lists all Esci kits as wel as Polistil's own produced kits. 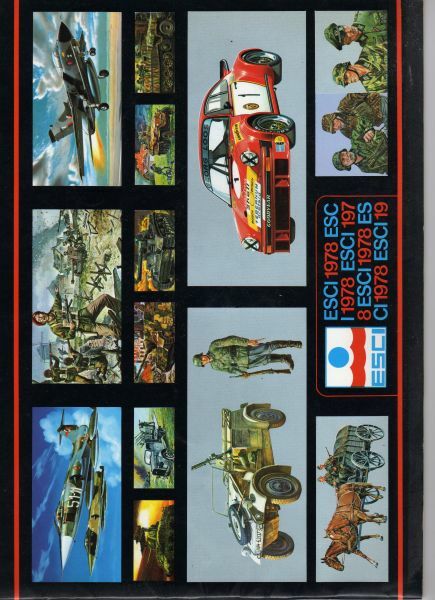 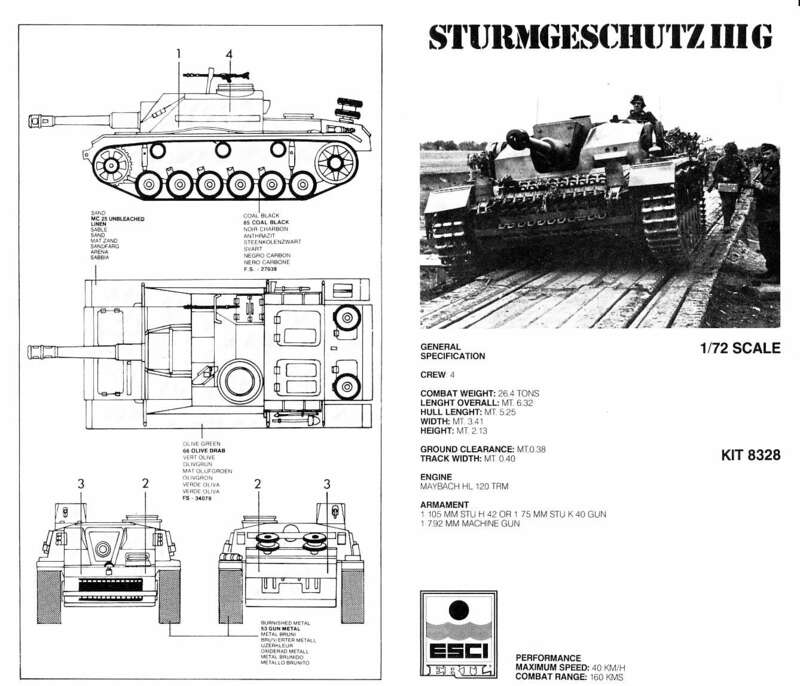 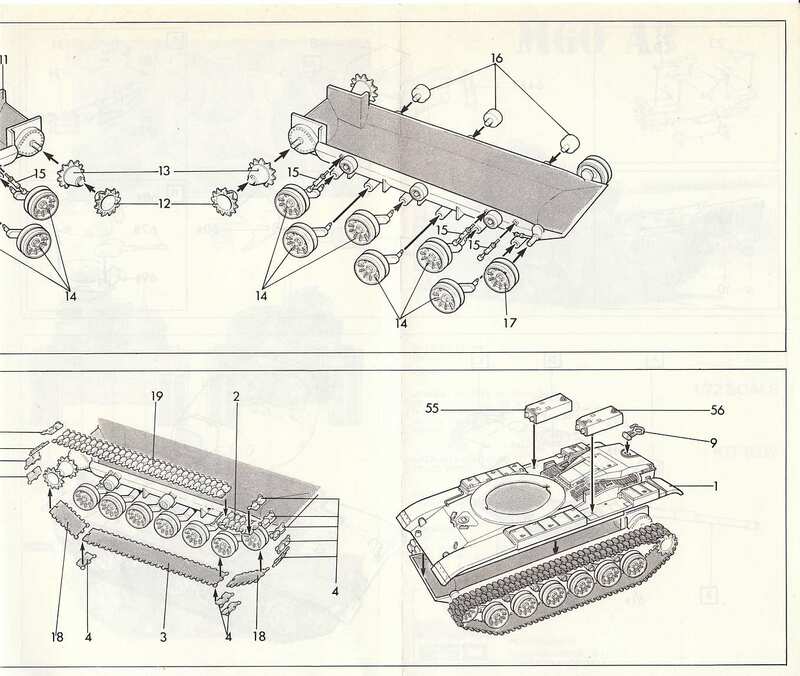 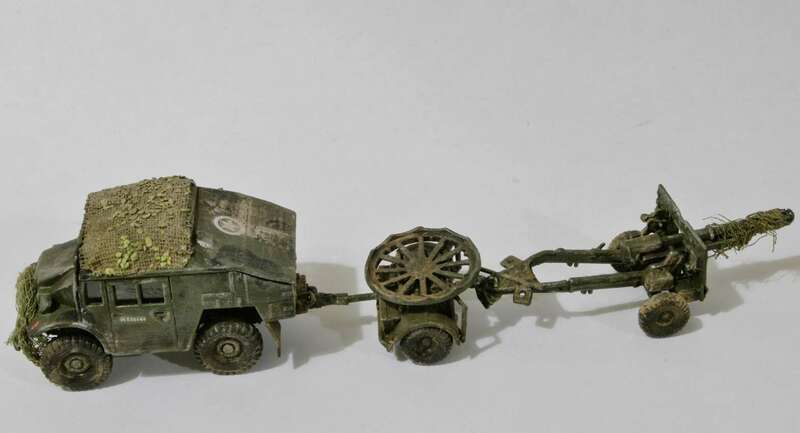 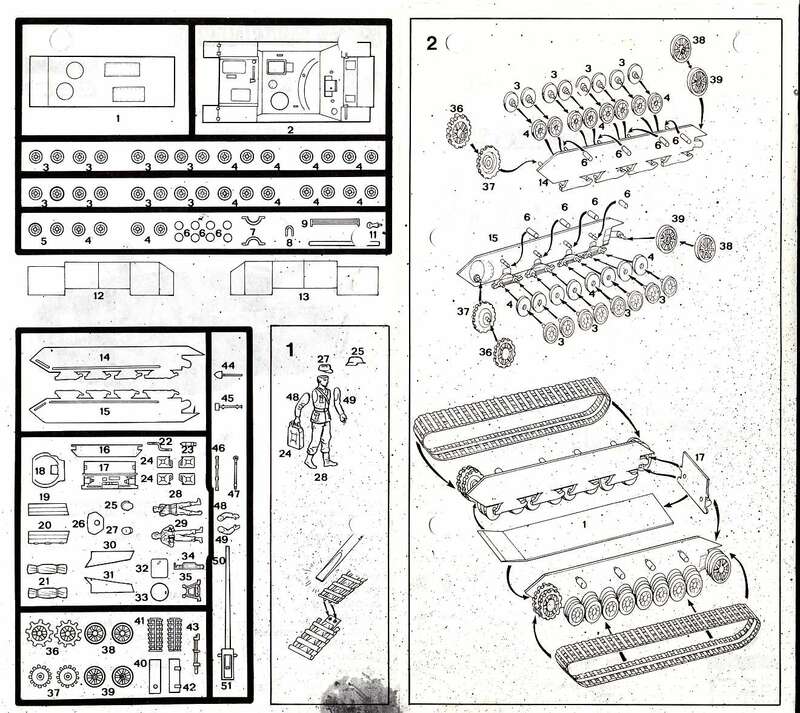 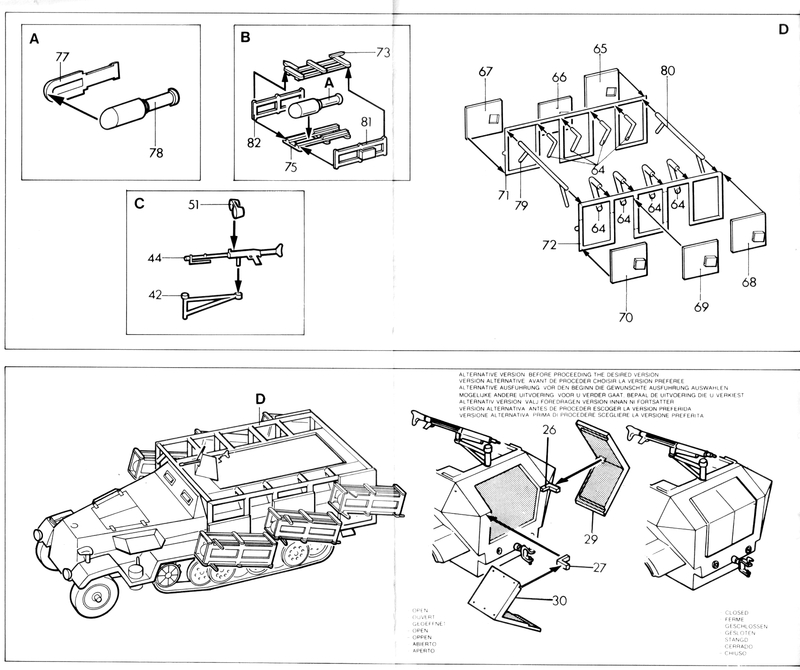 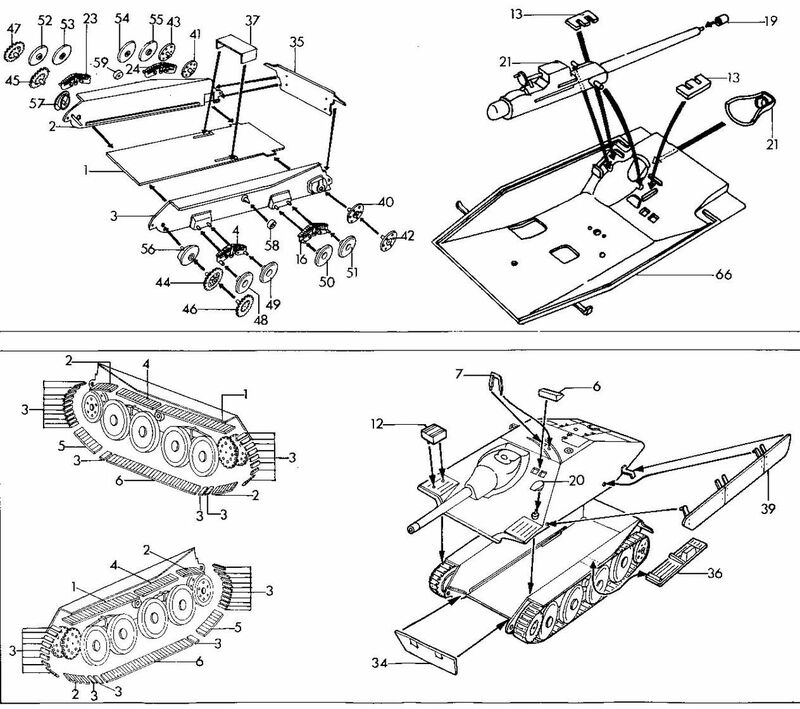 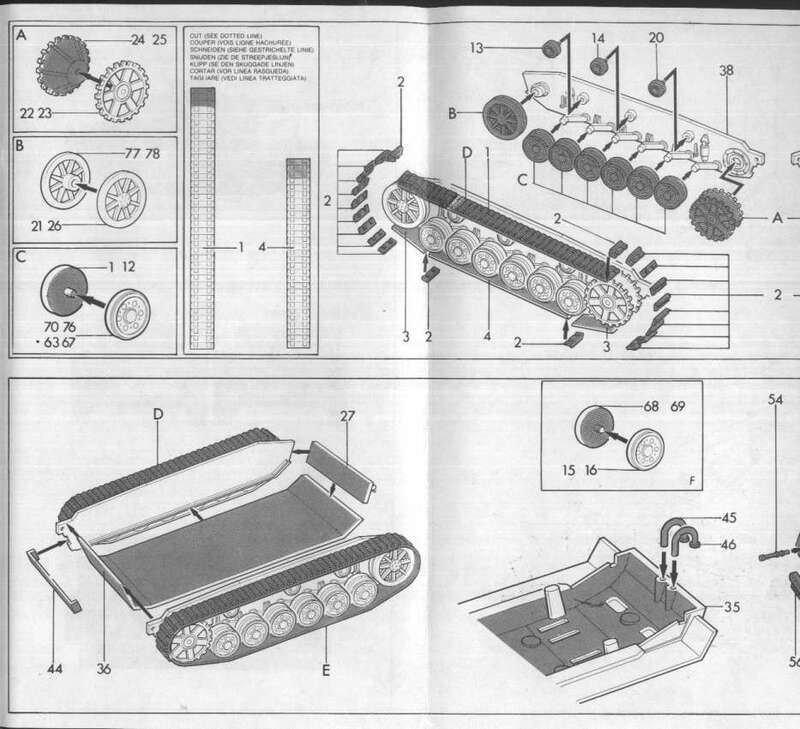 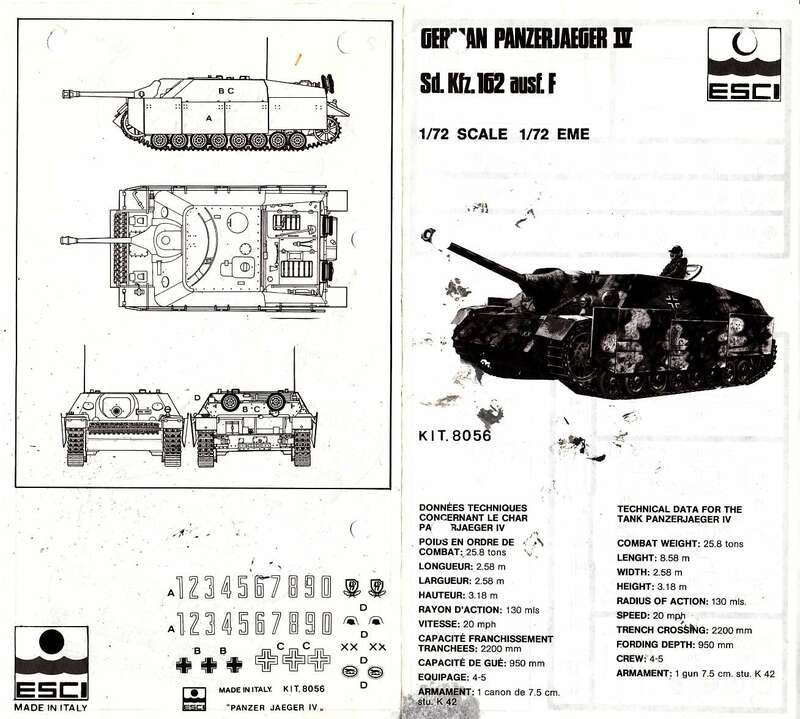 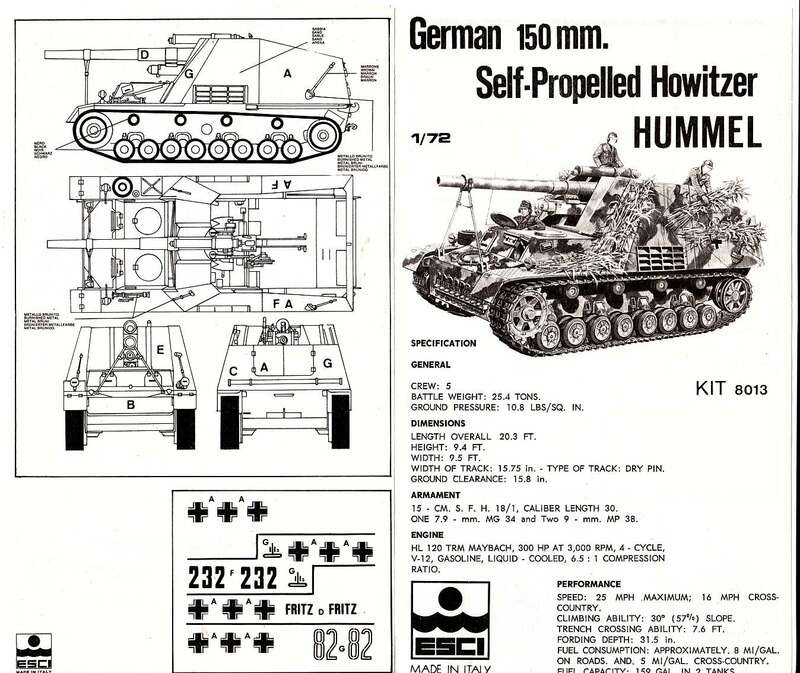 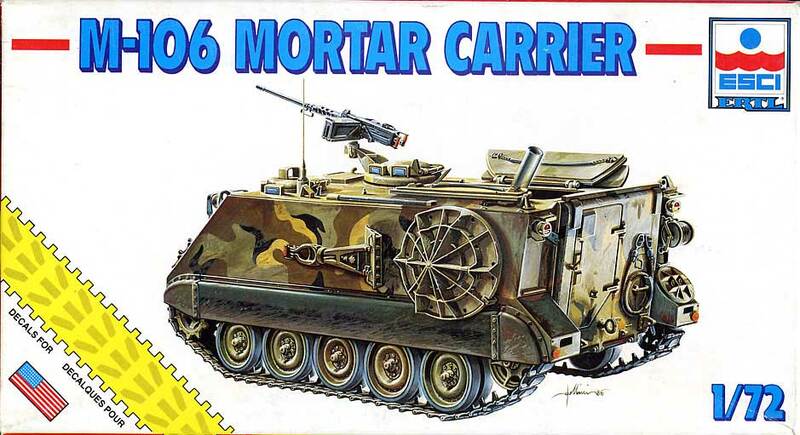 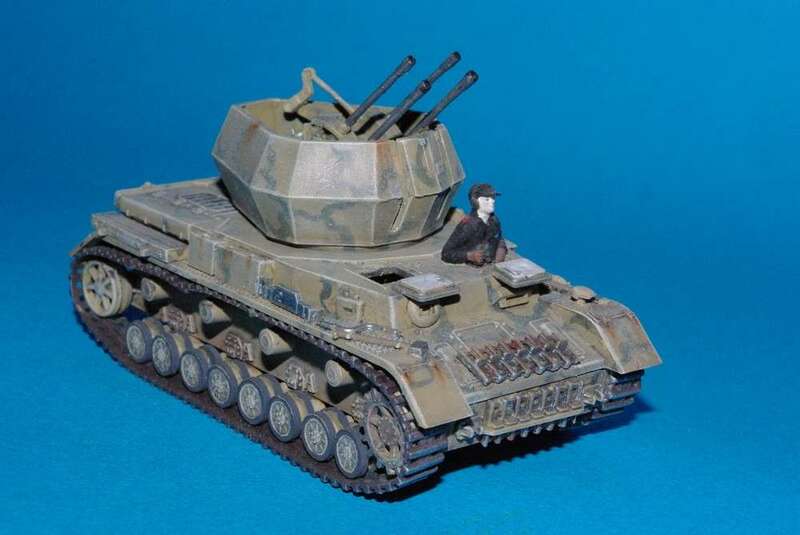 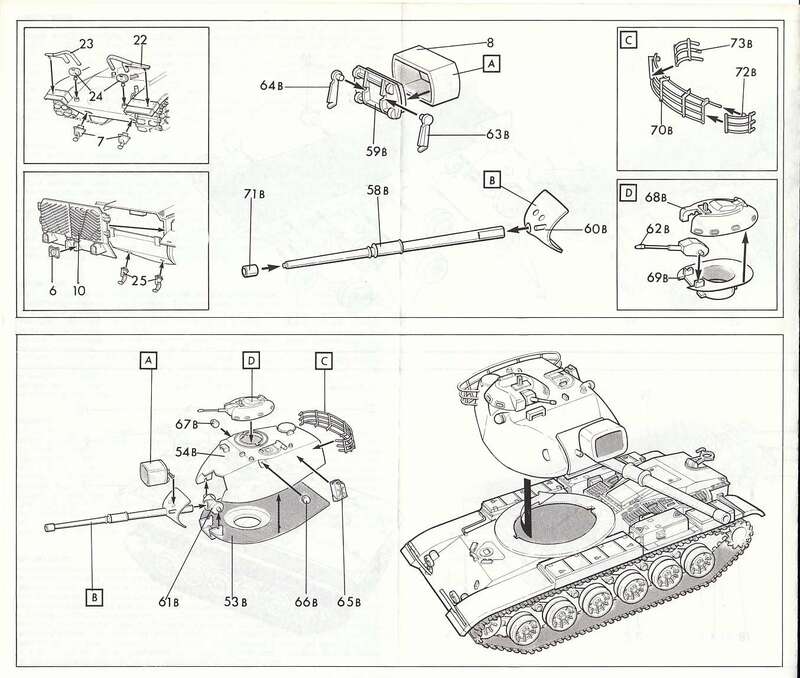 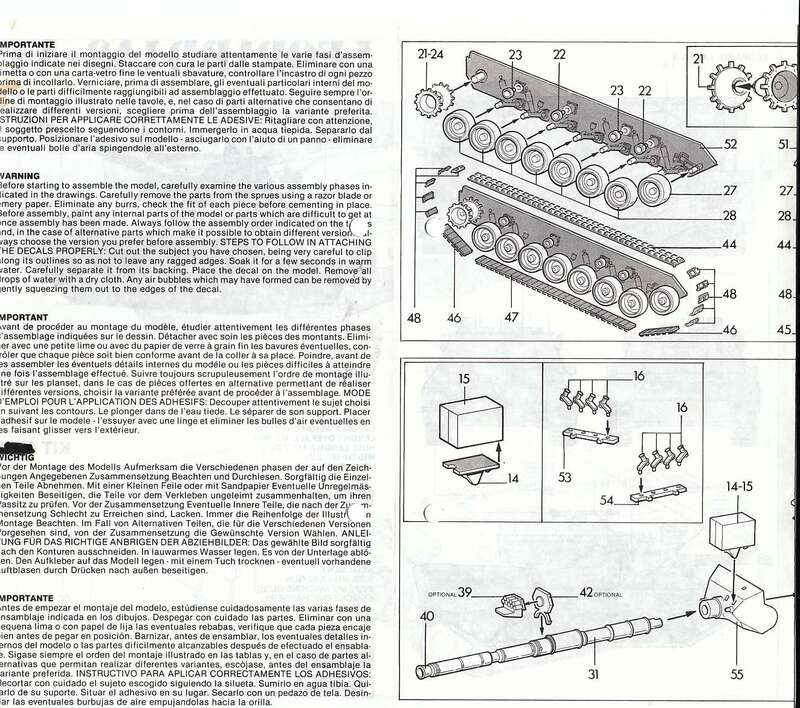 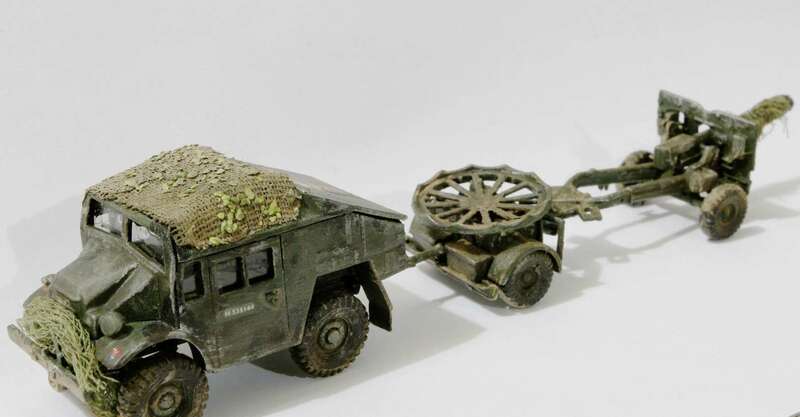 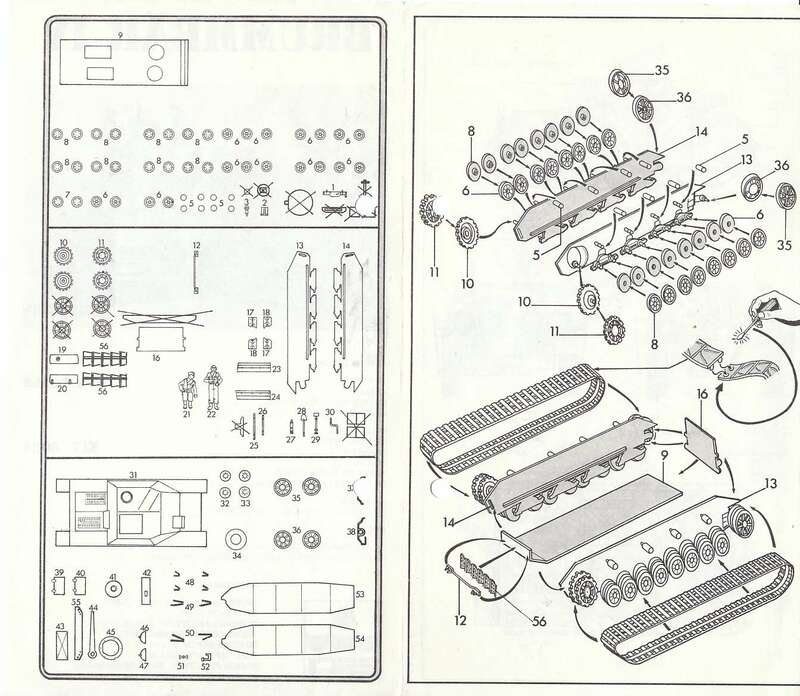 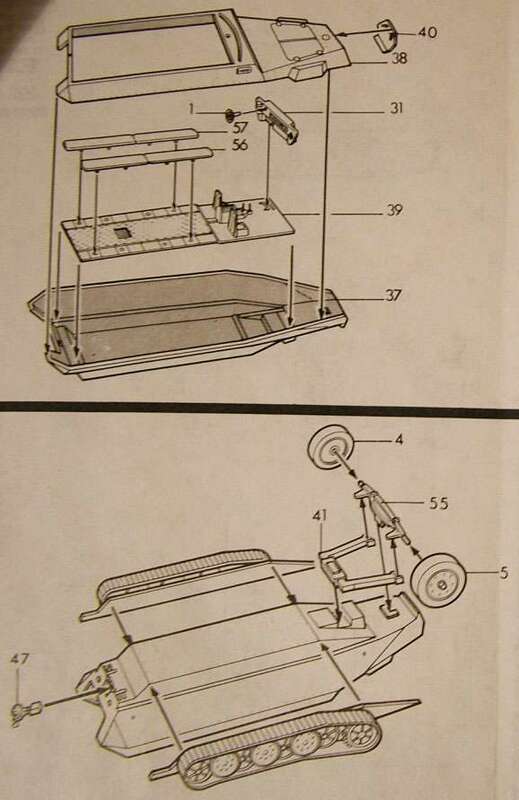 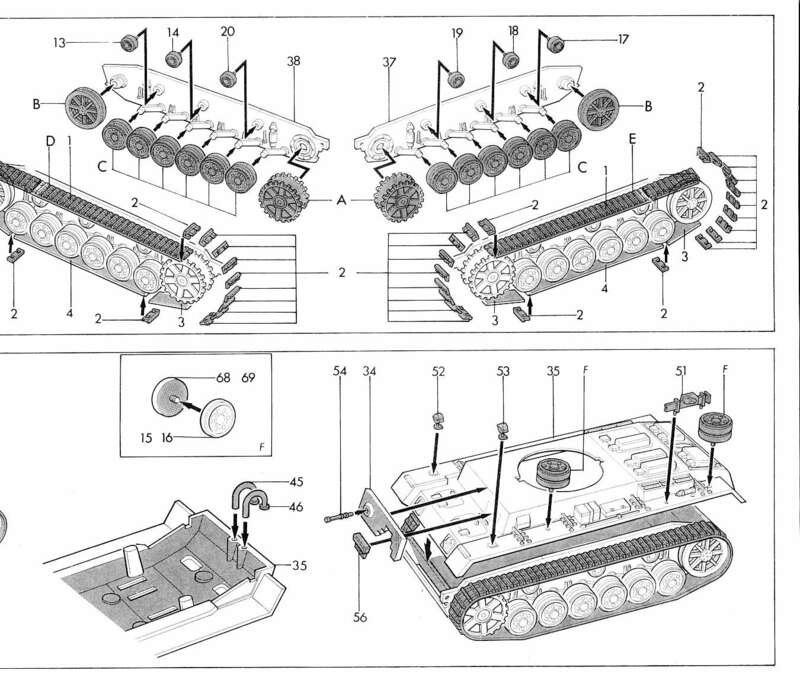 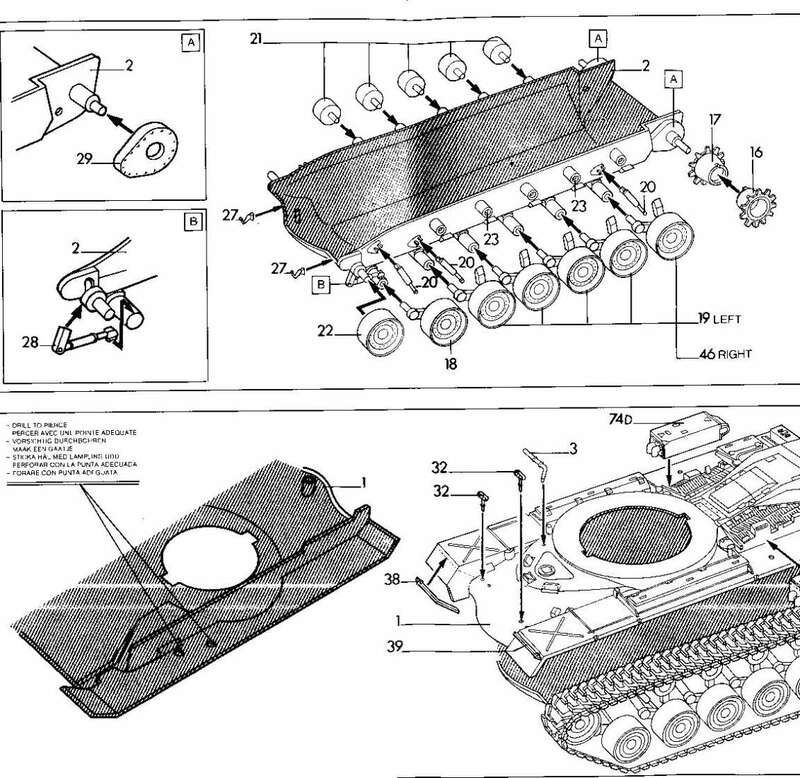 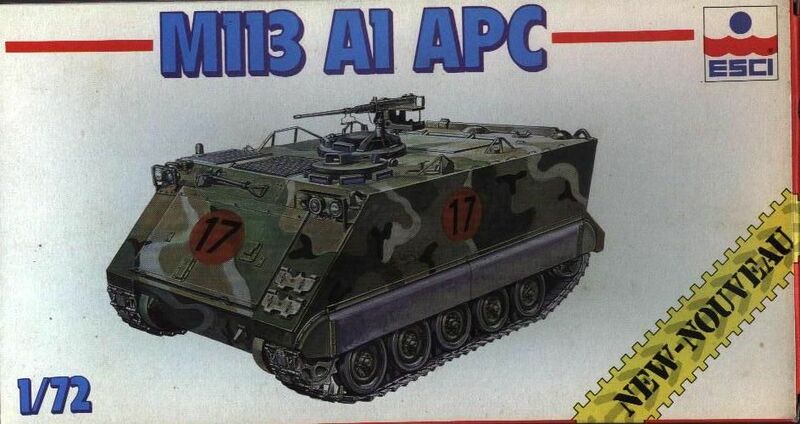 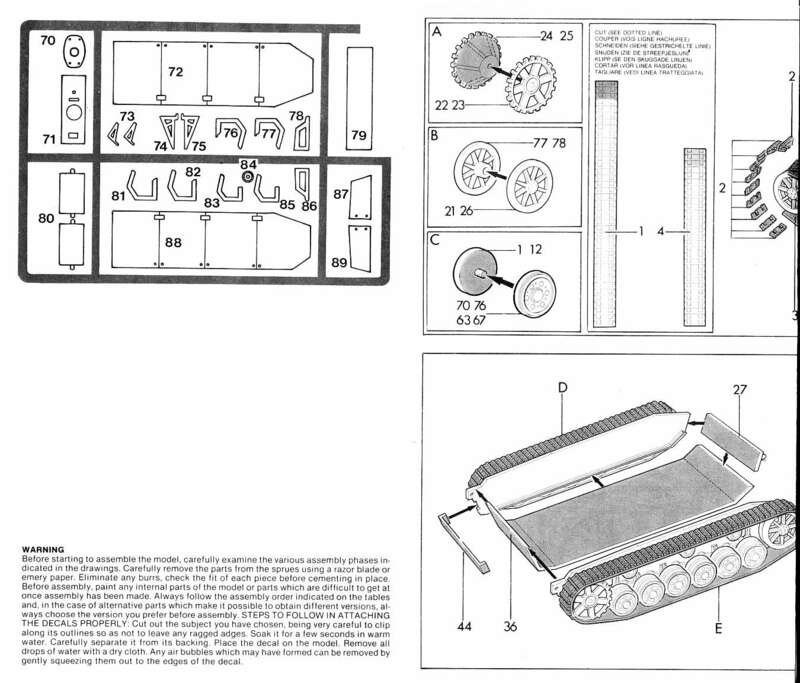 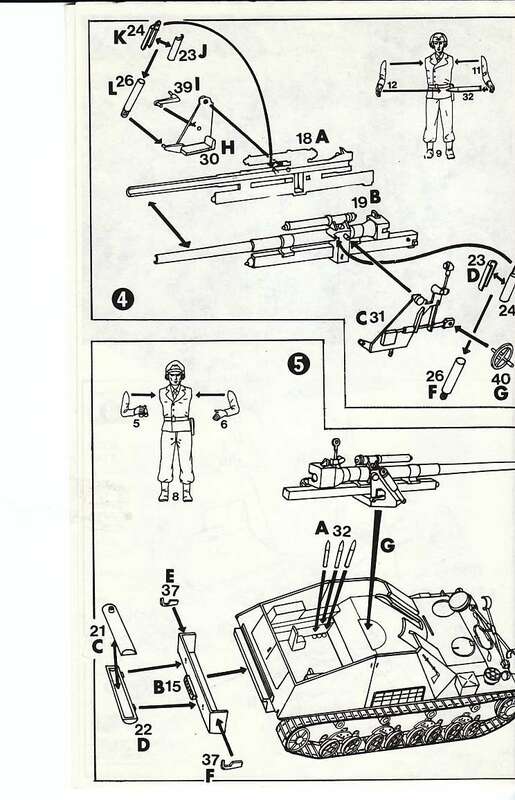 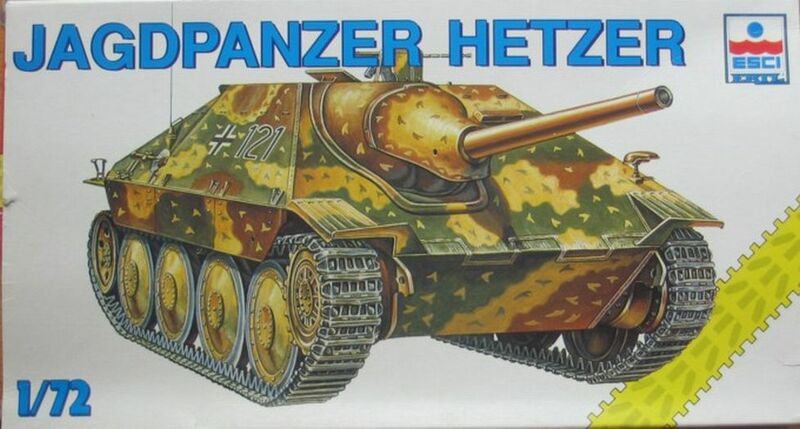 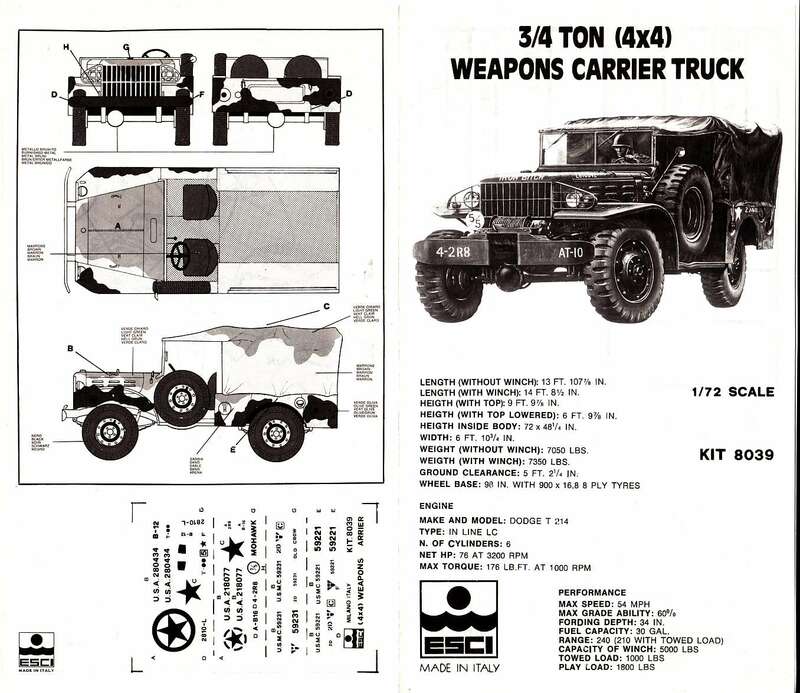 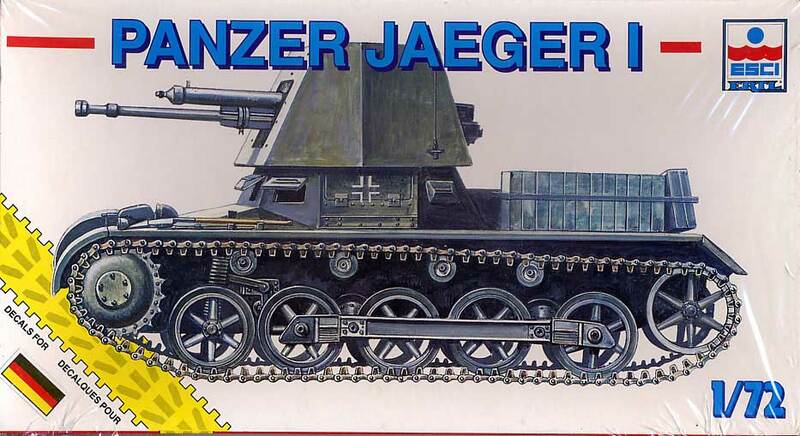 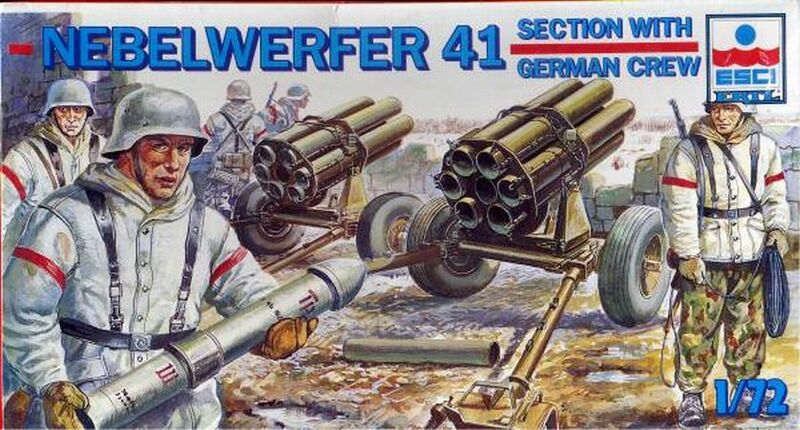 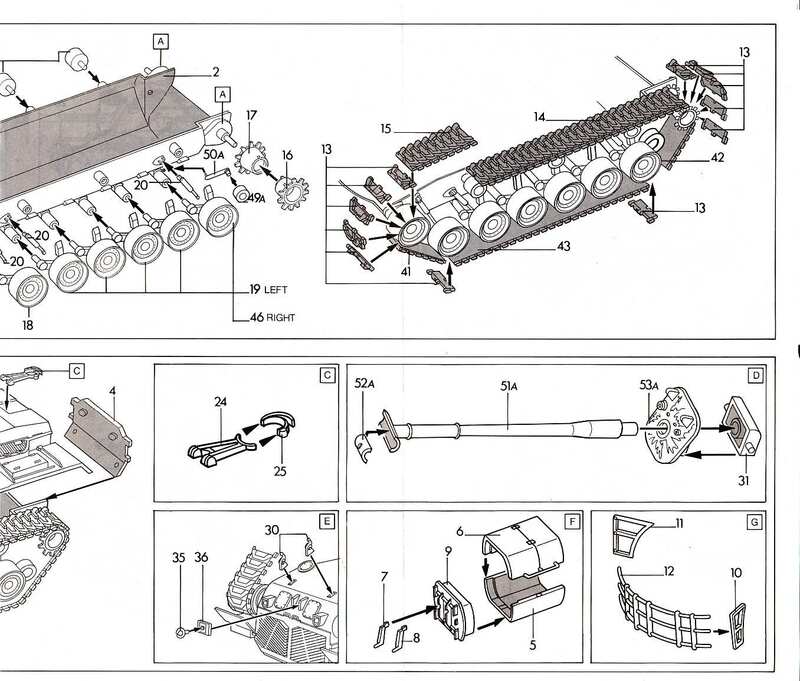 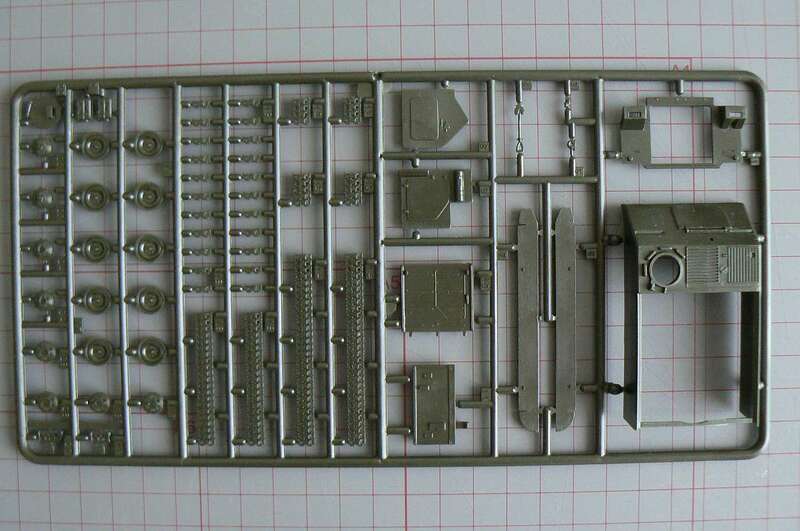 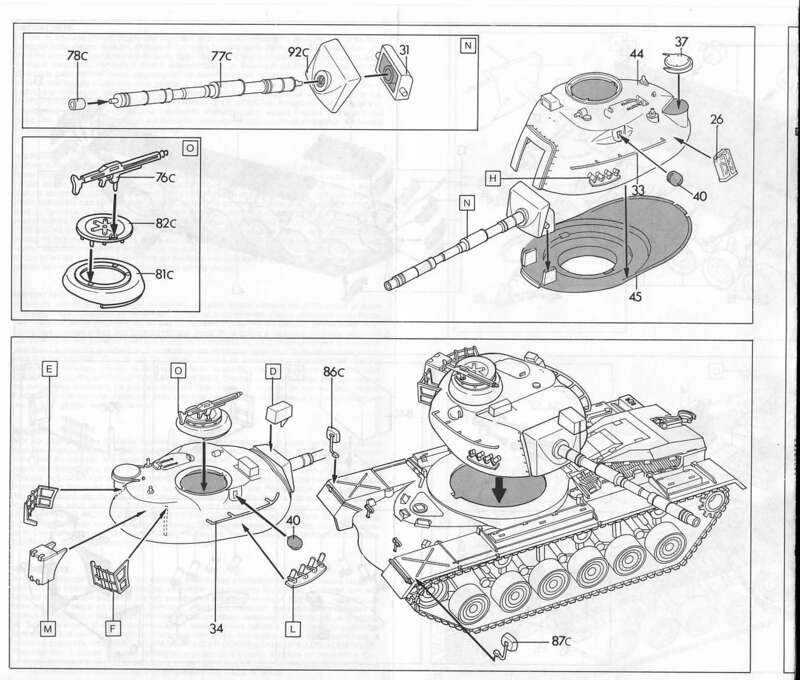 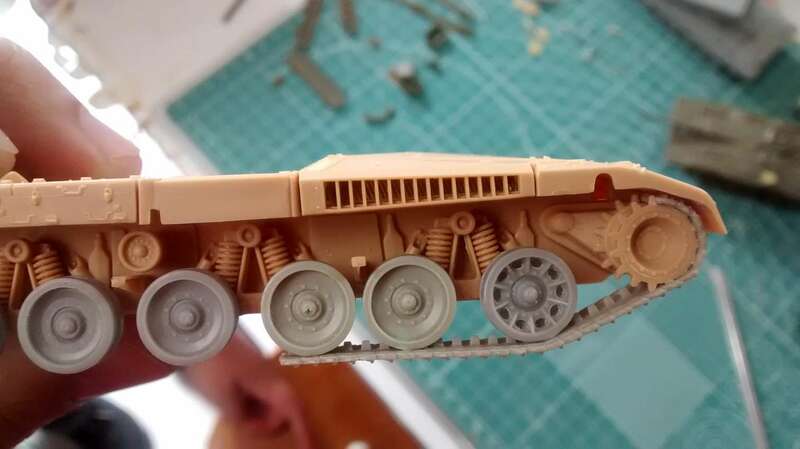 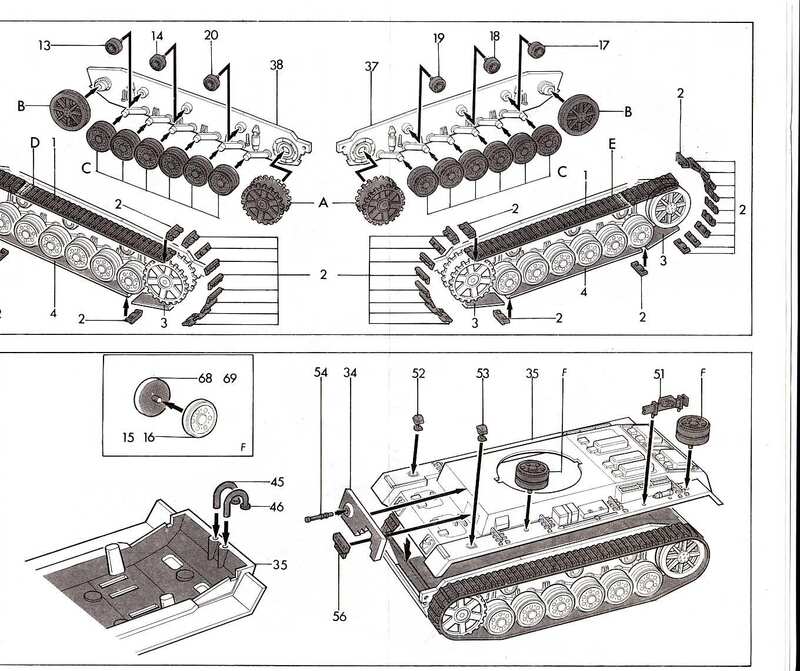 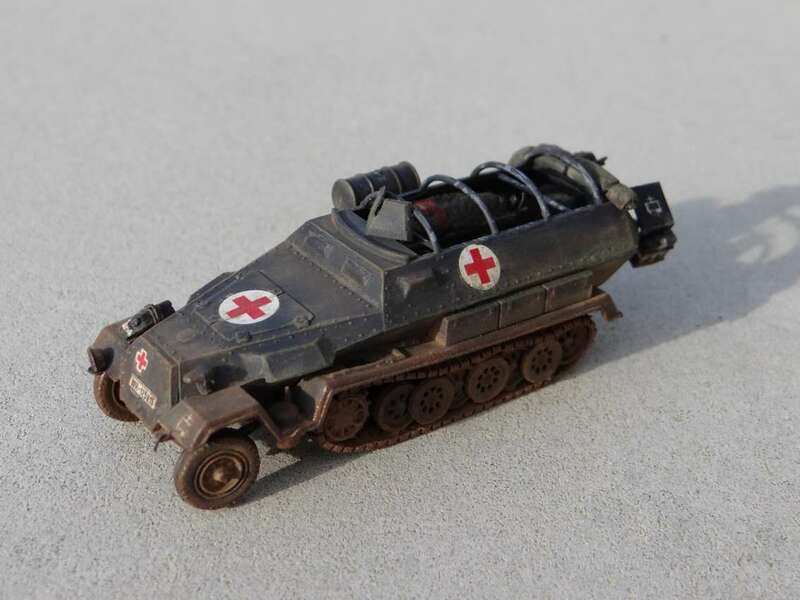 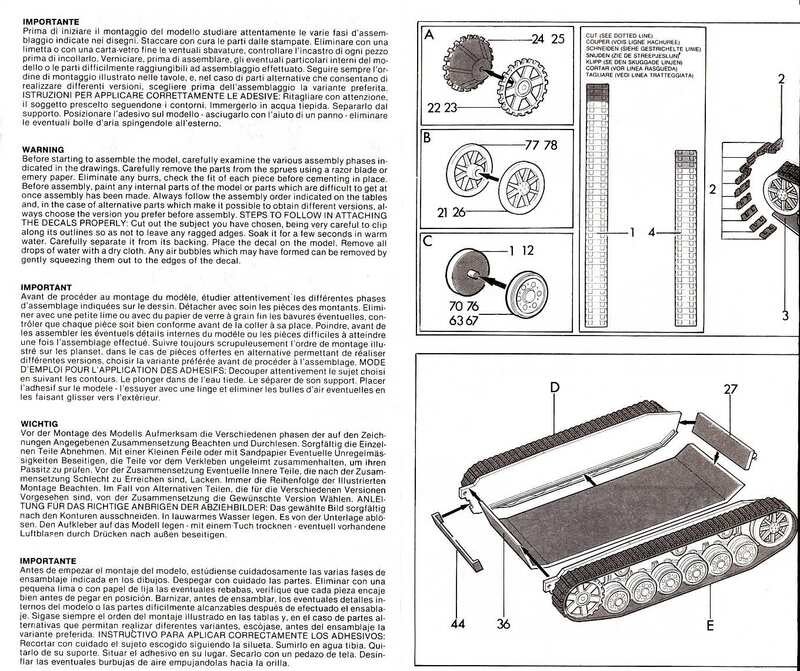 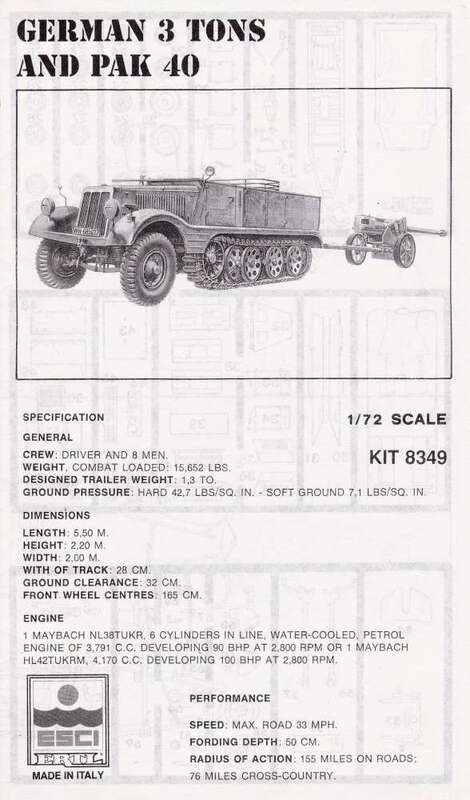 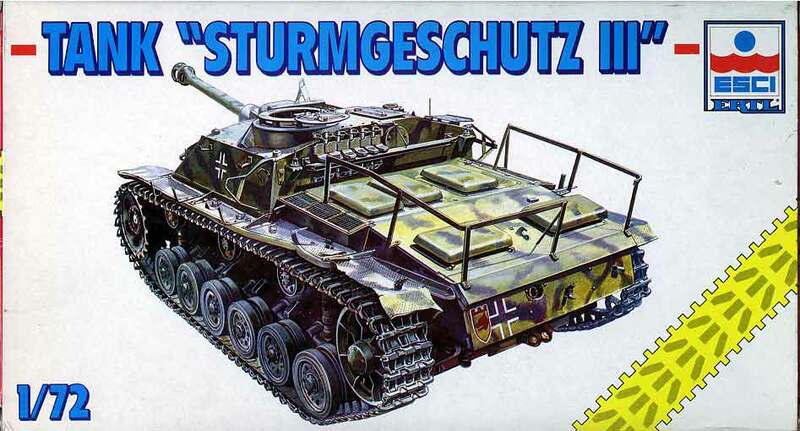 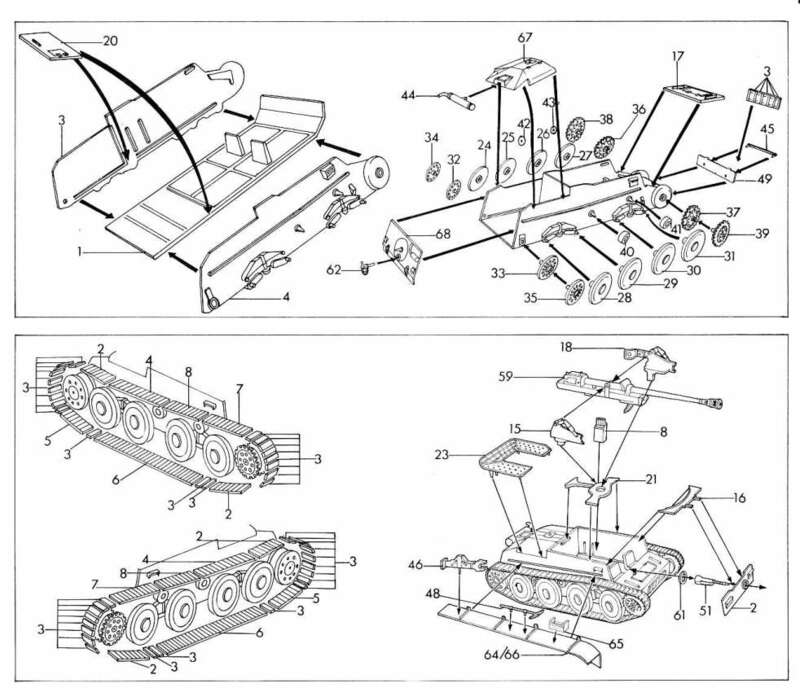 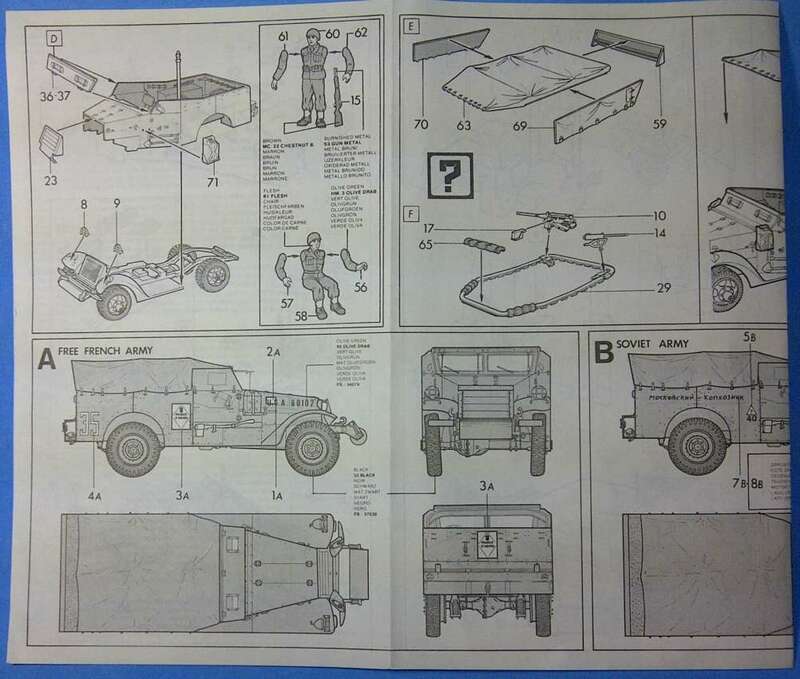 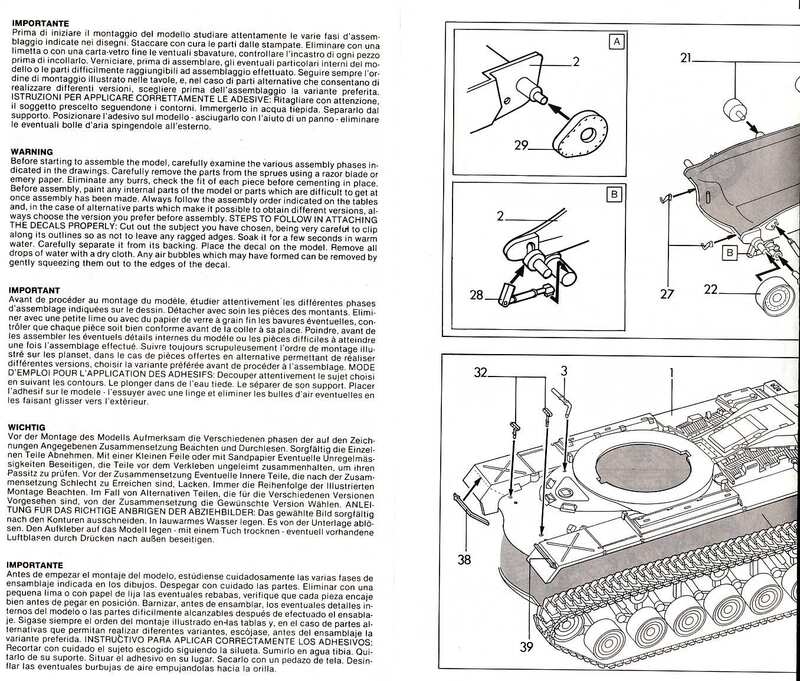 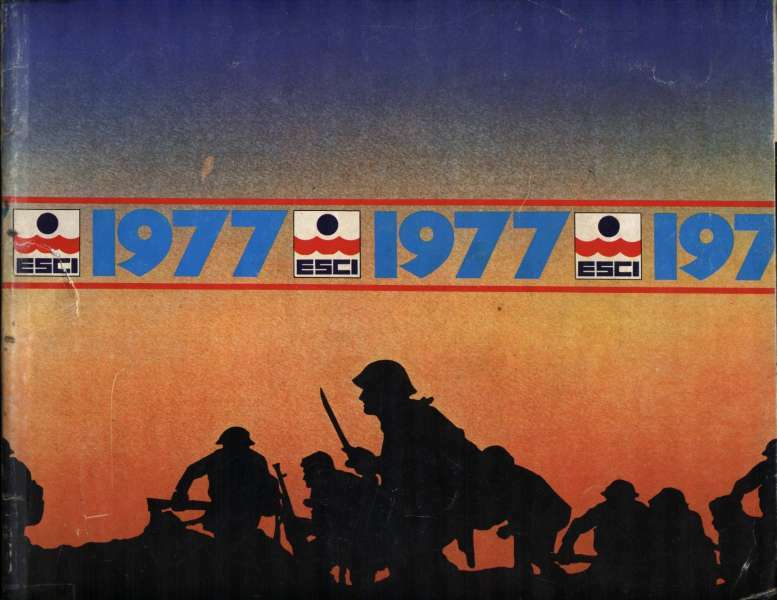 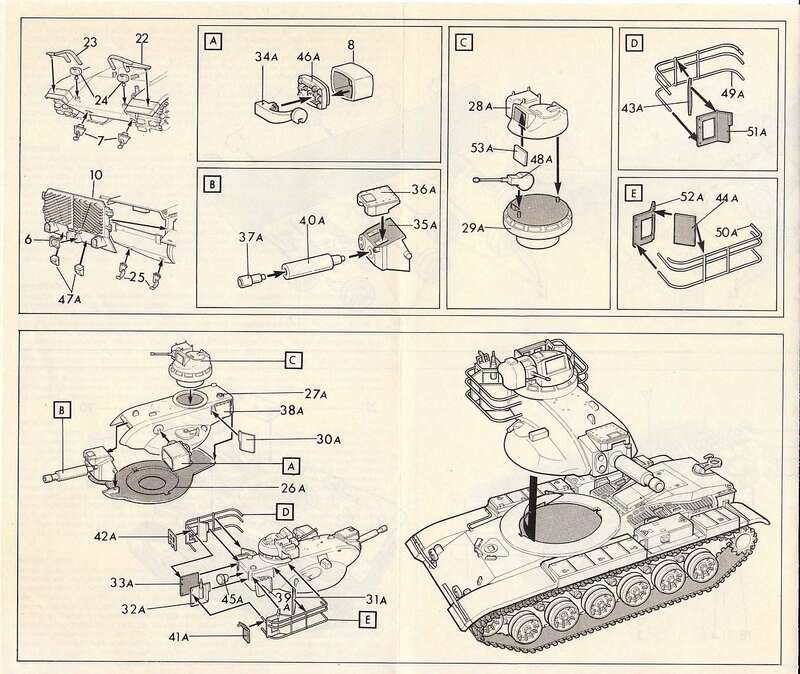 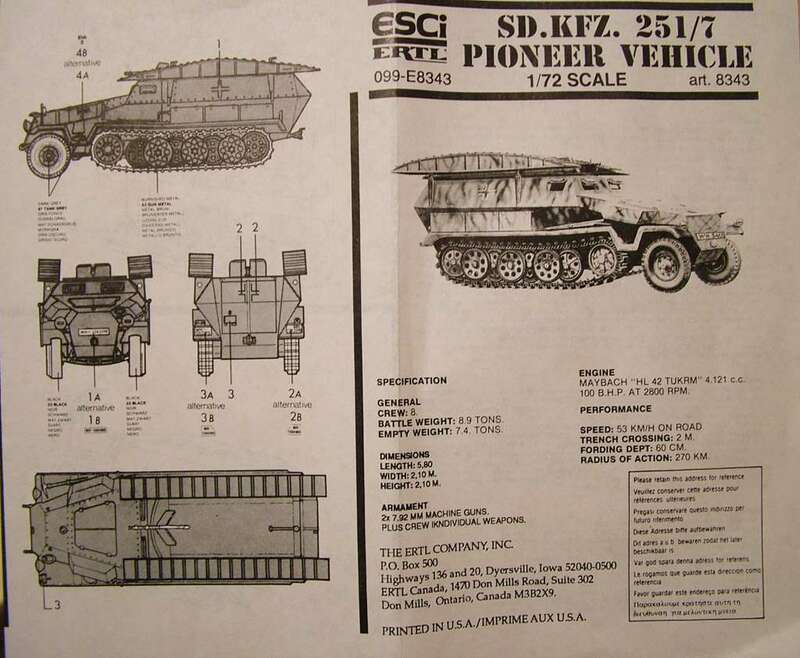 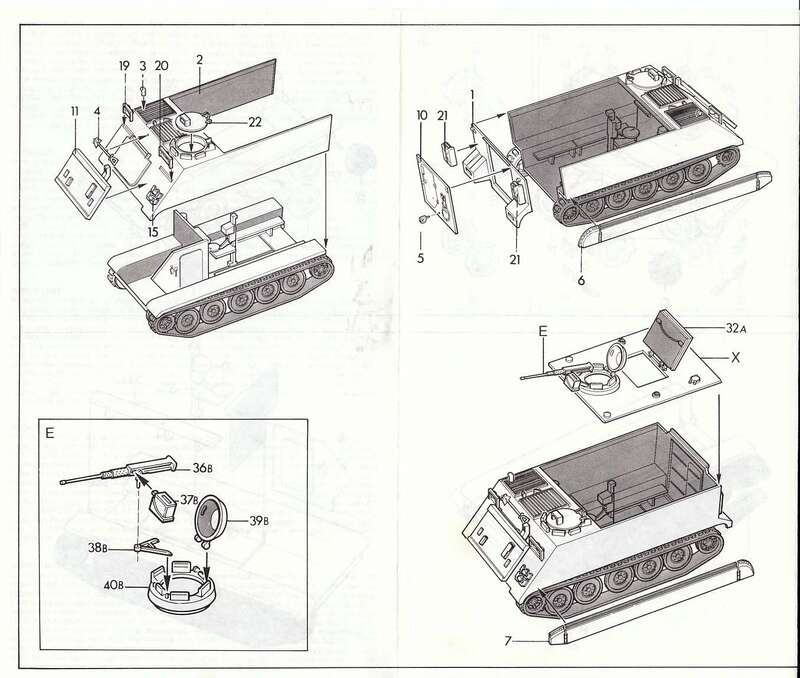 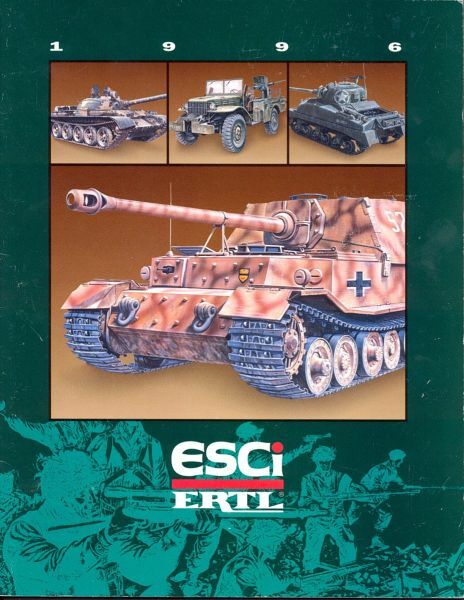 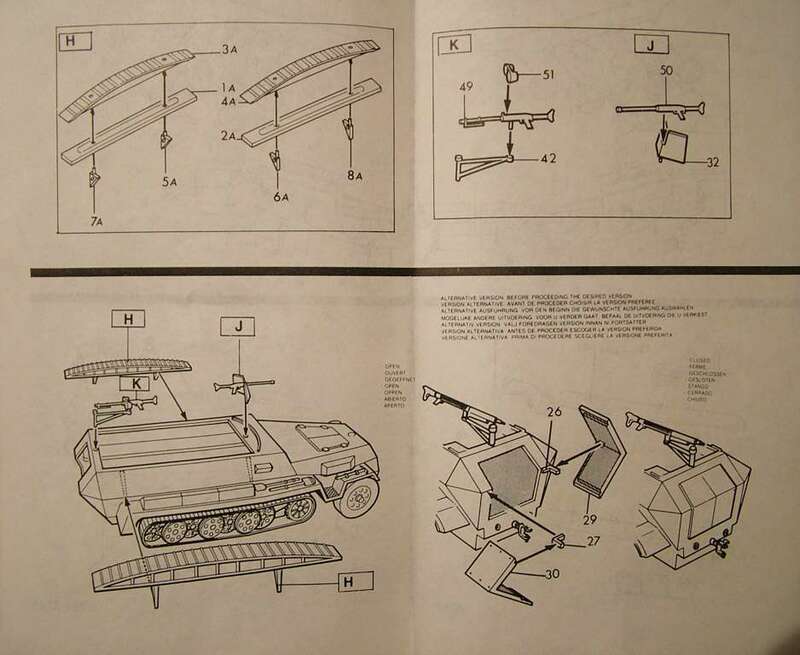 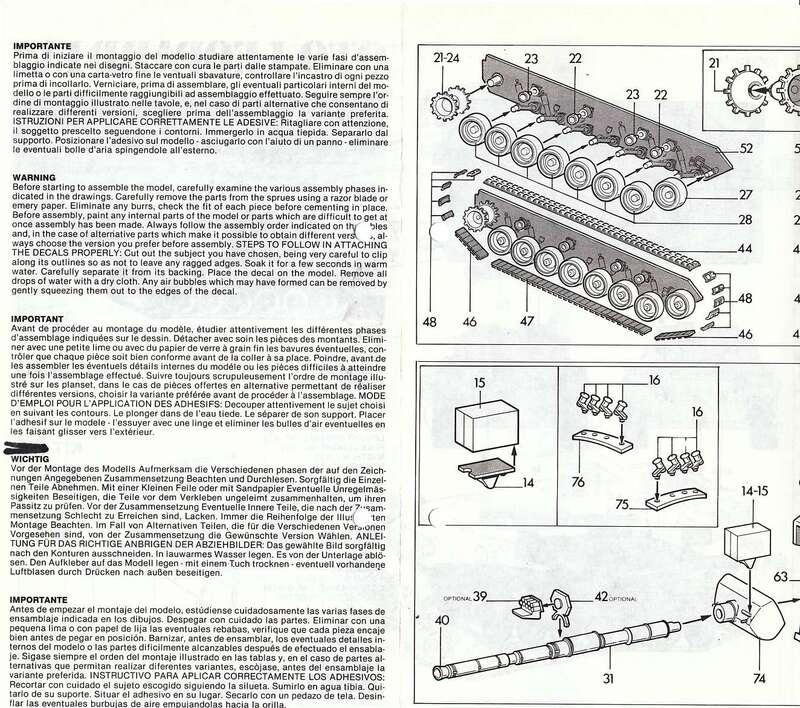 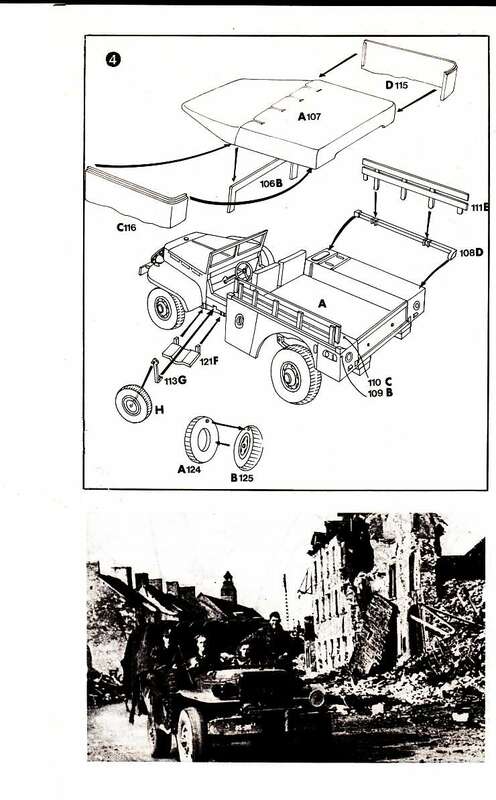 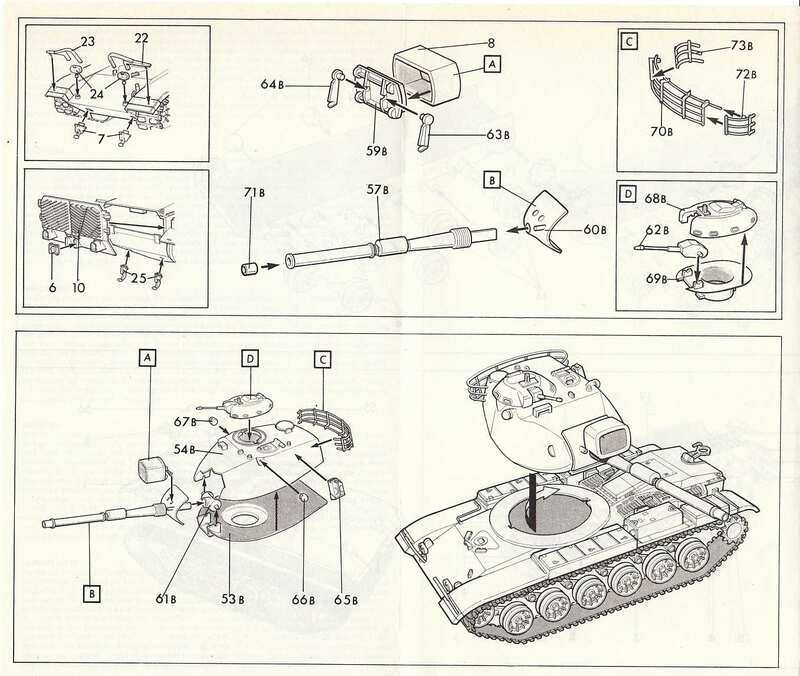 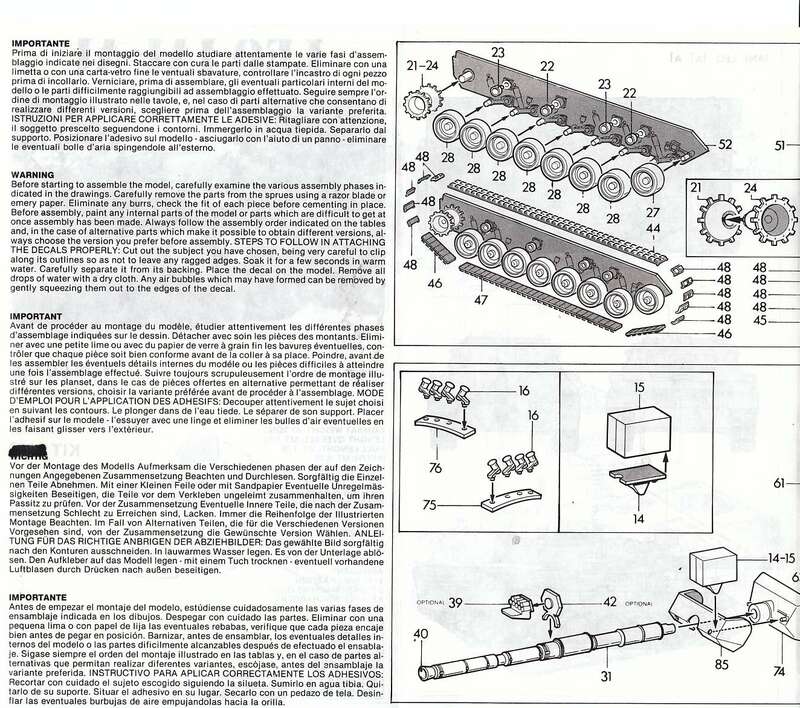 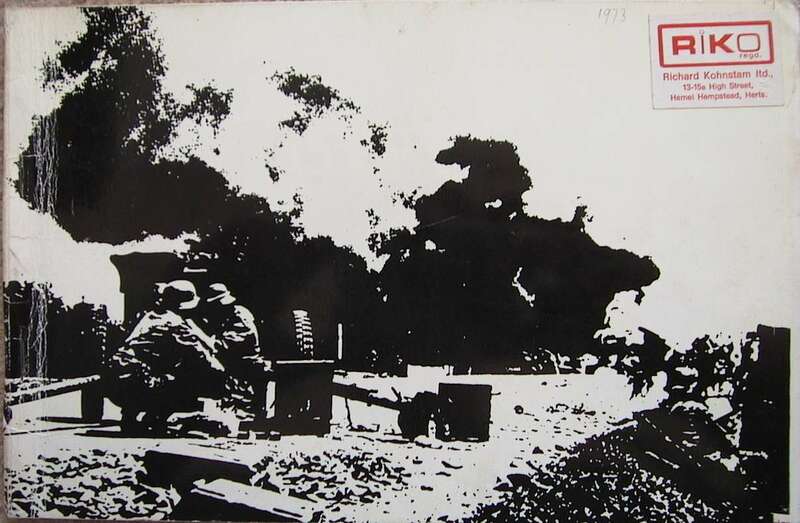 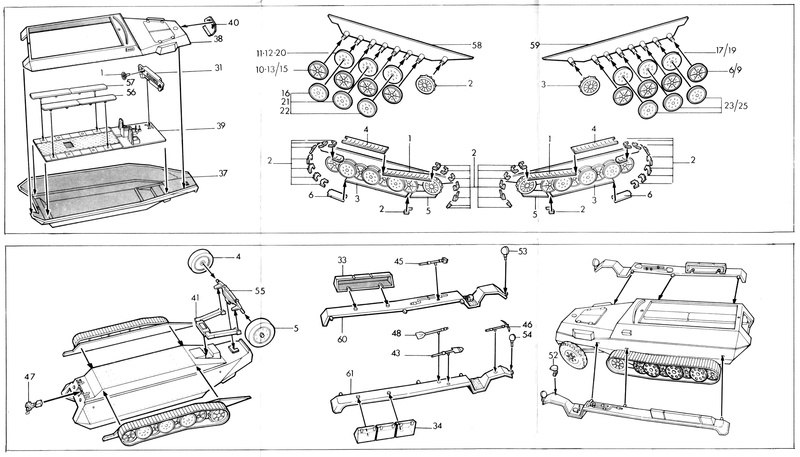 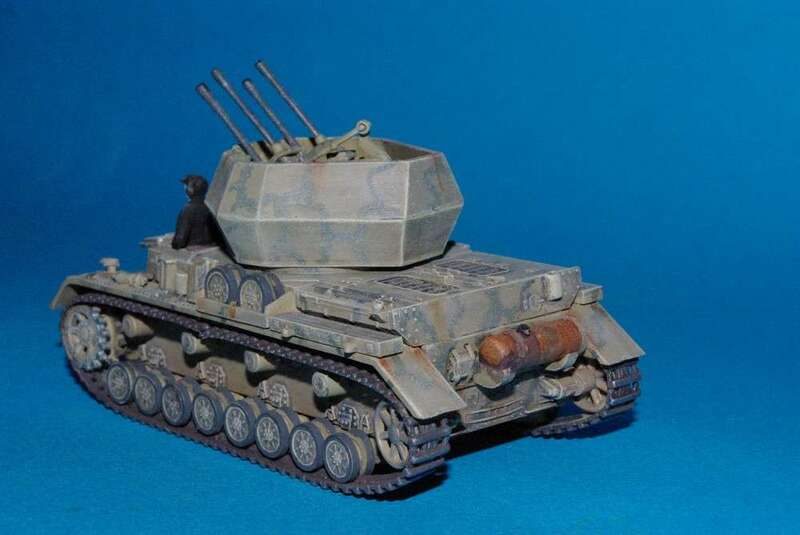 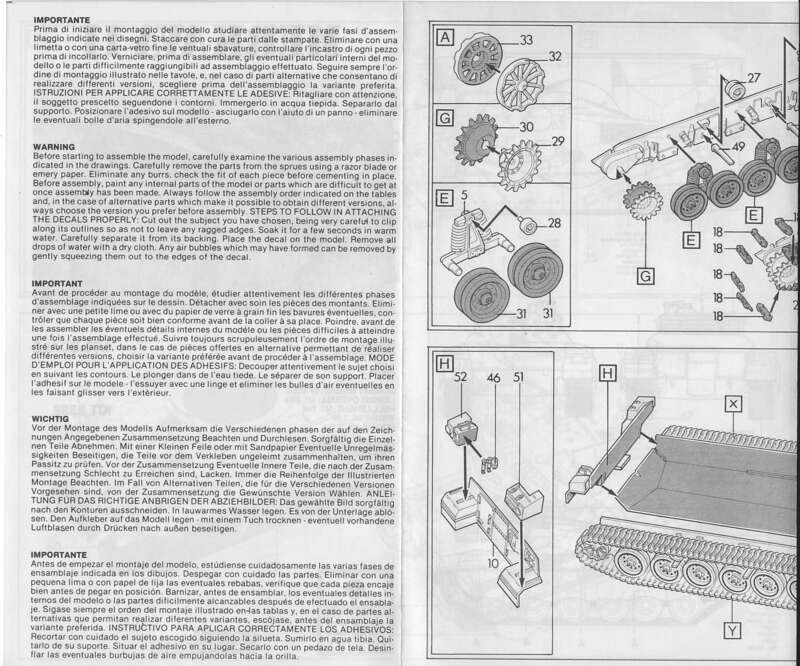 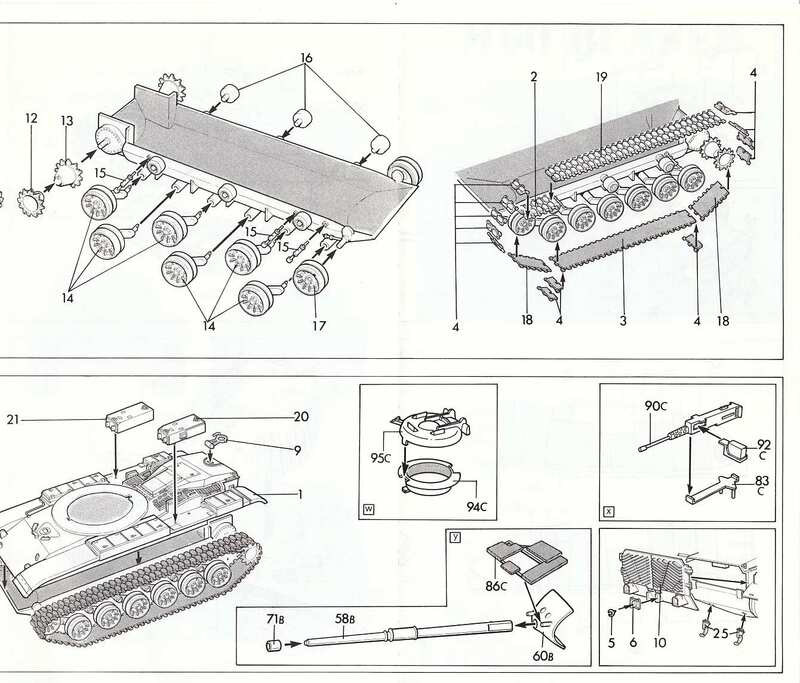 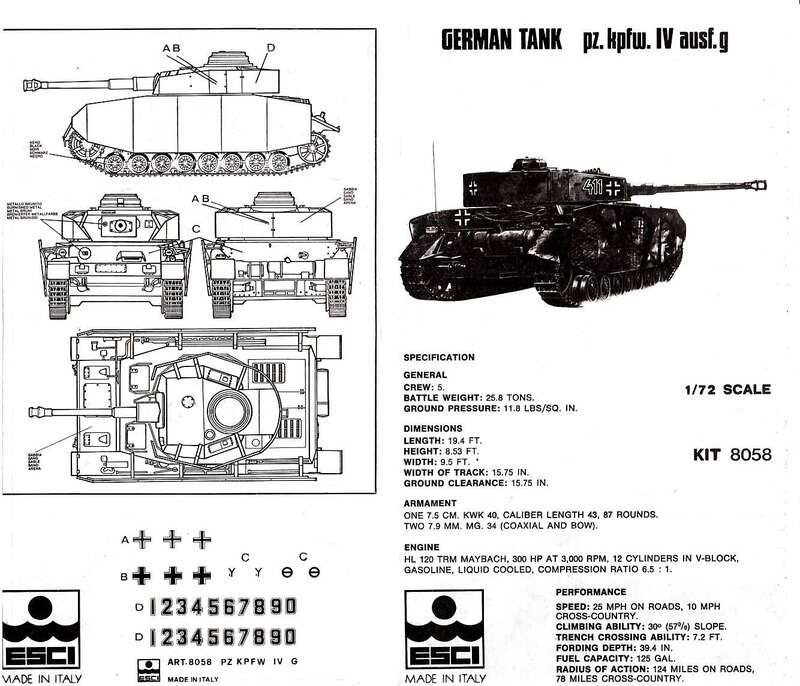 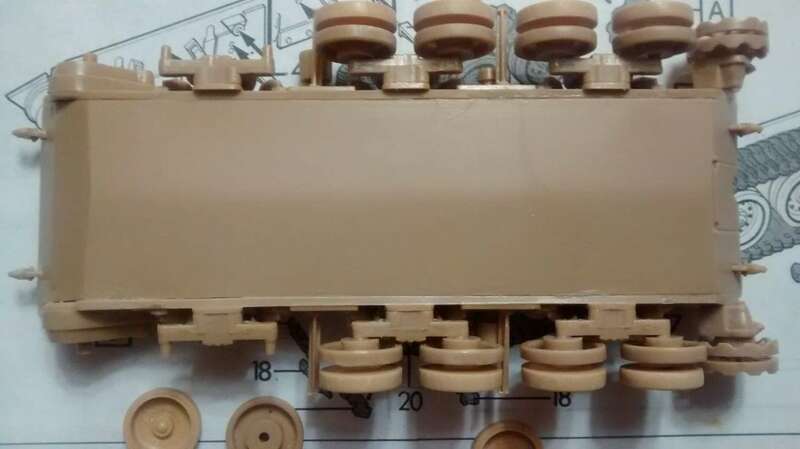 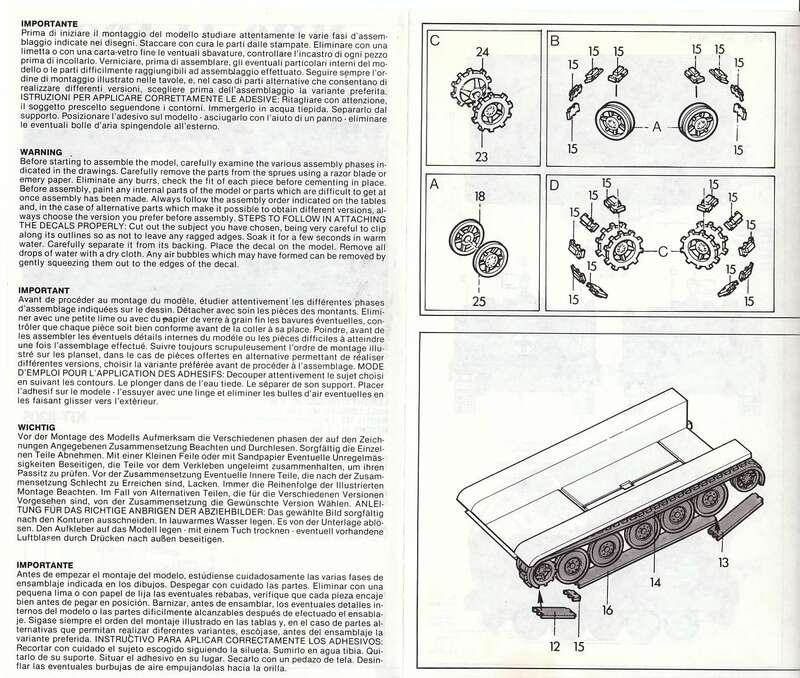 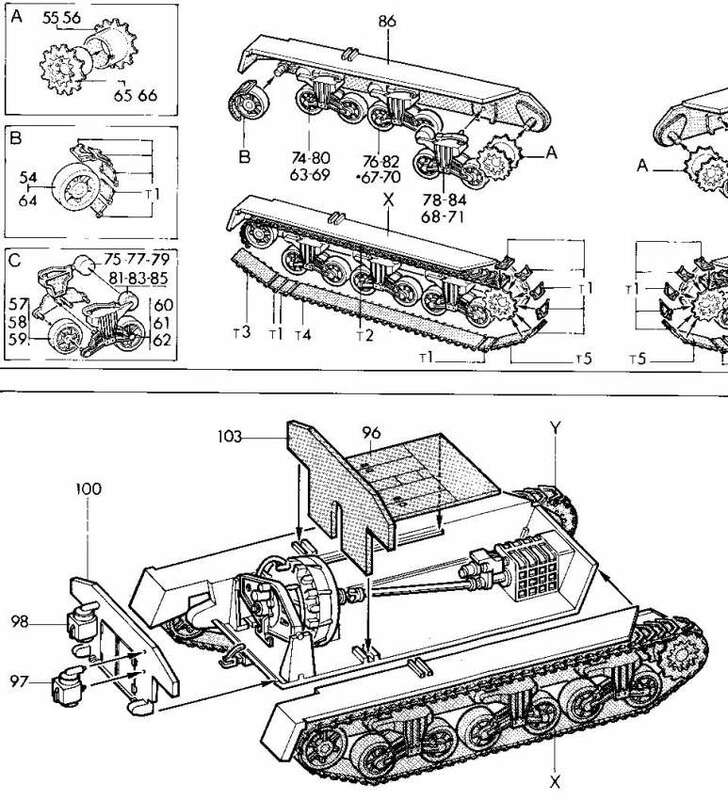 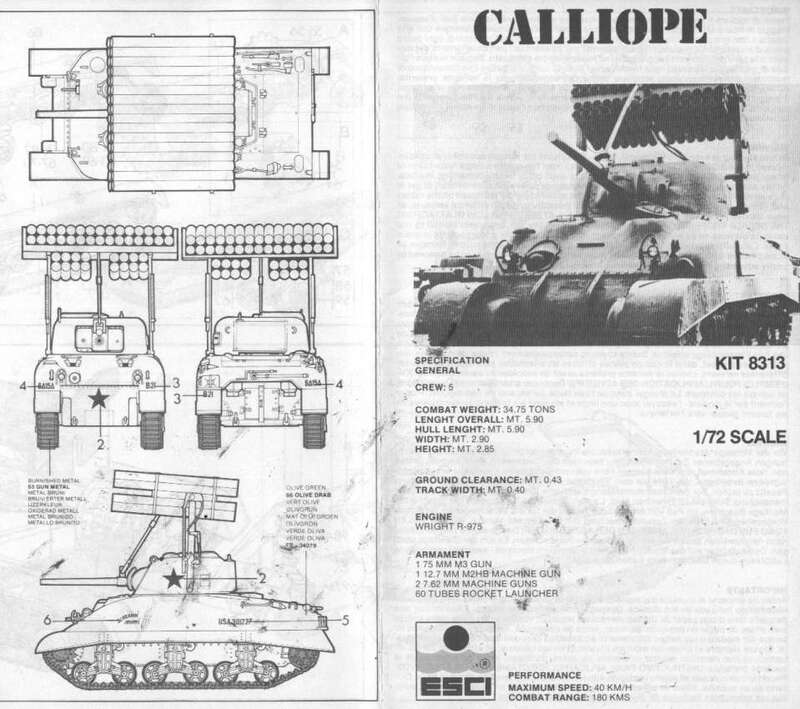 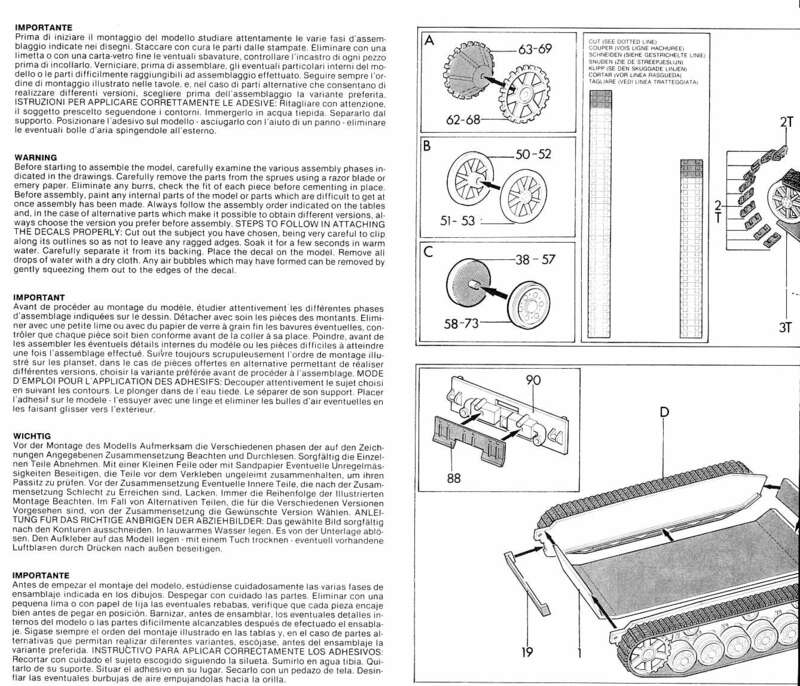 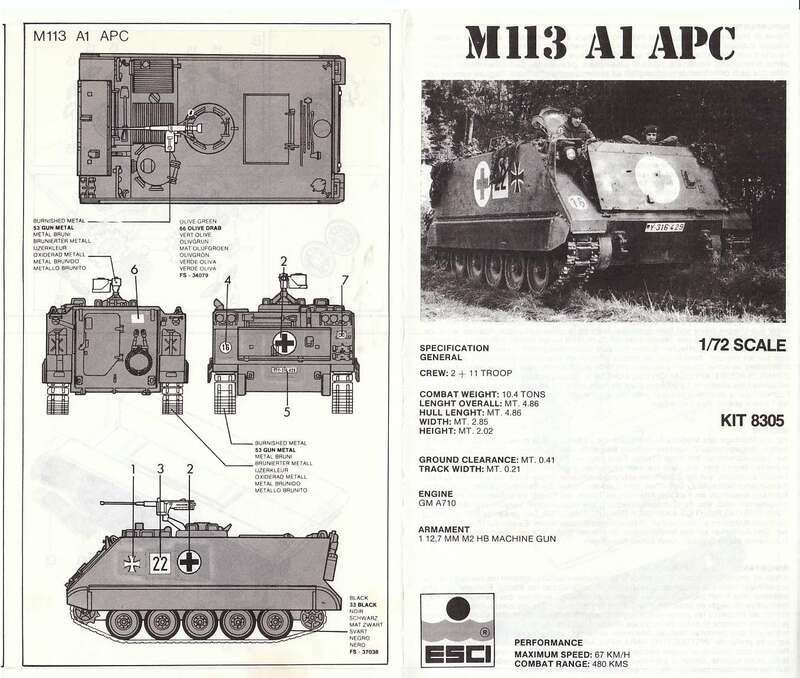 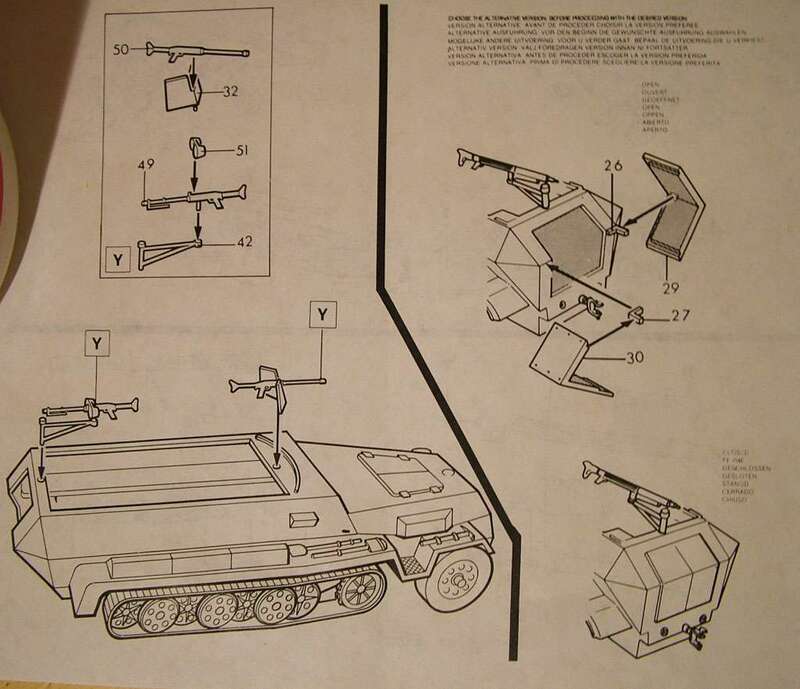 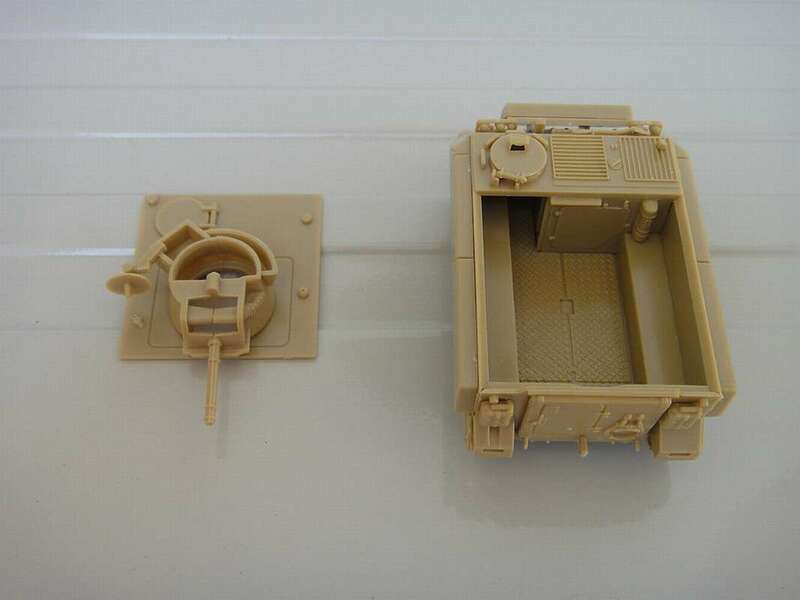 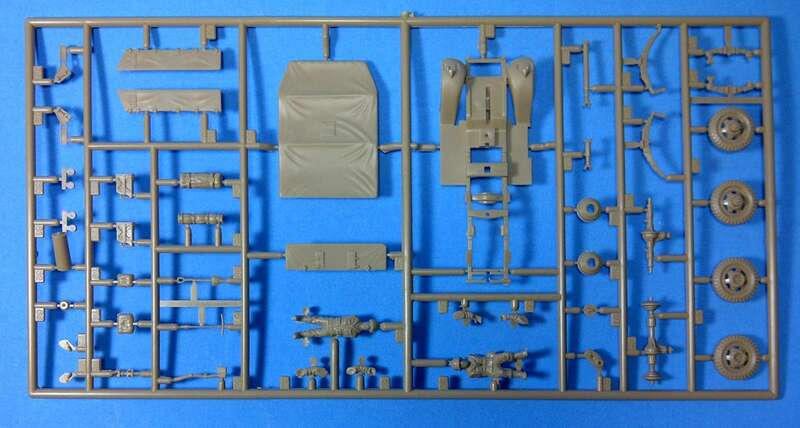 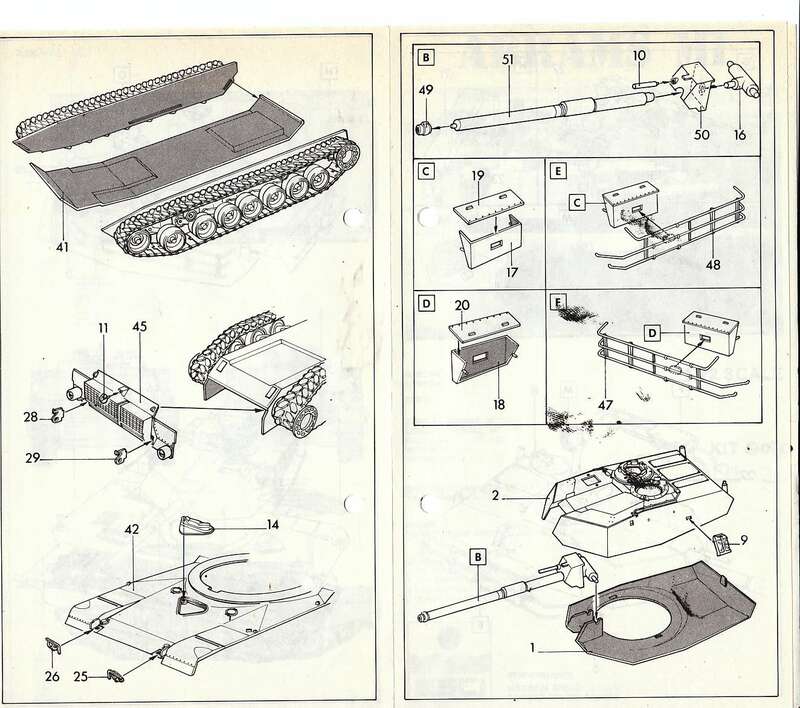 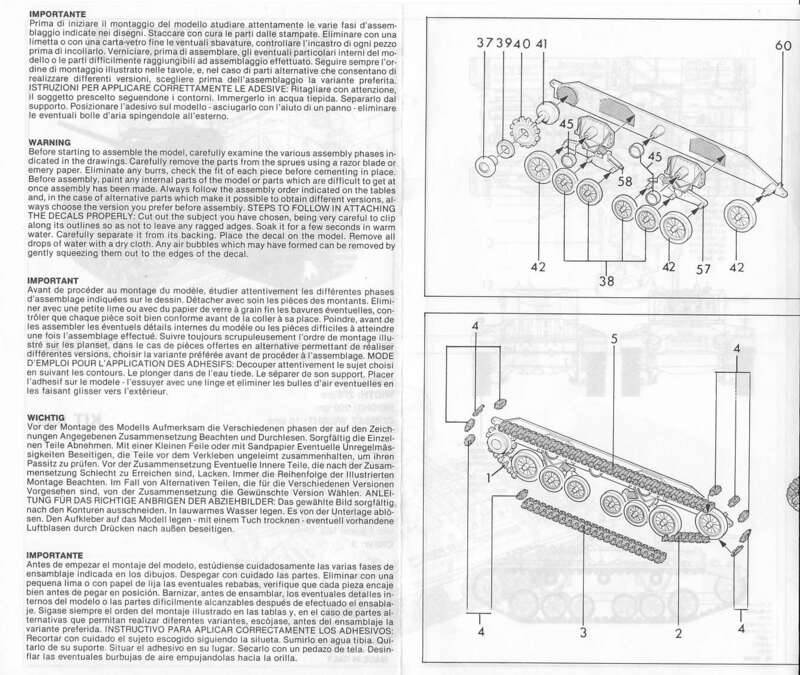 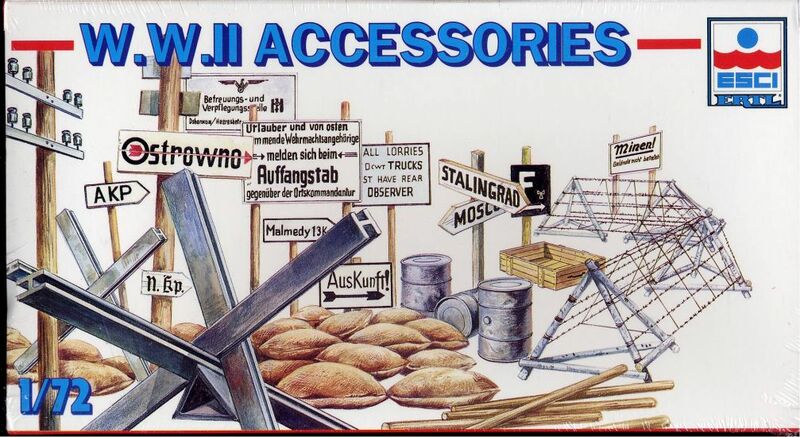 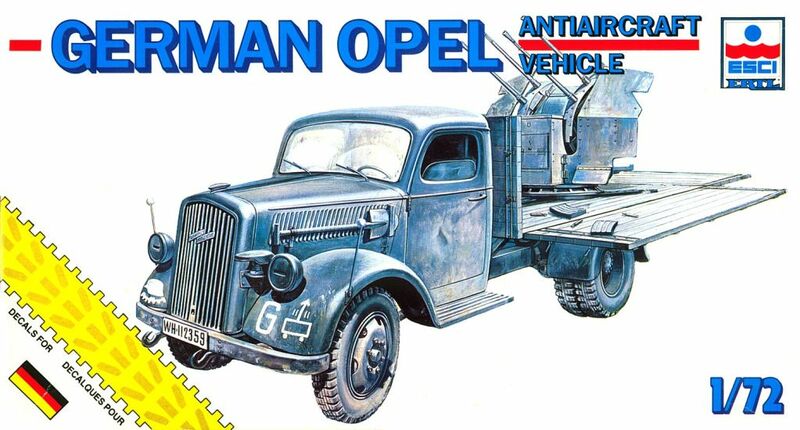 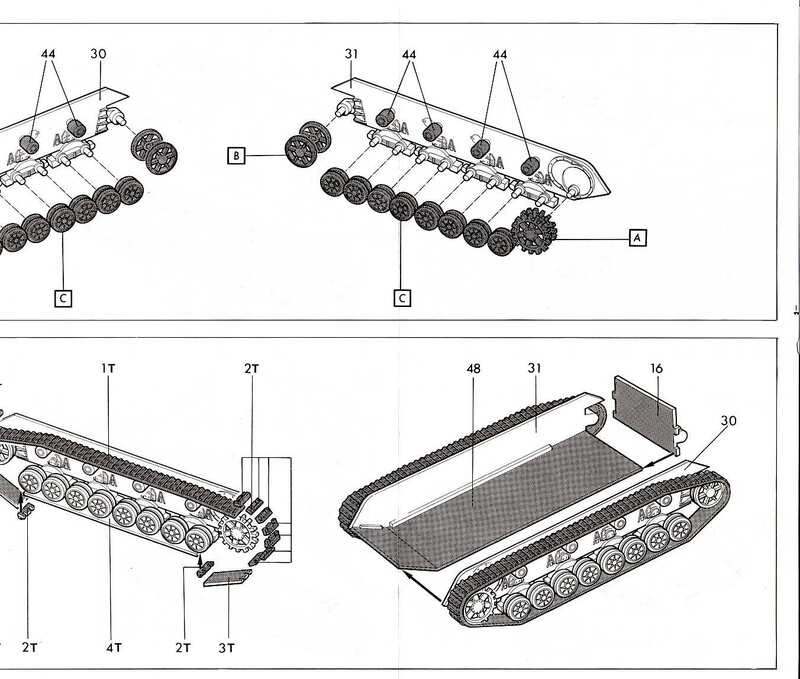 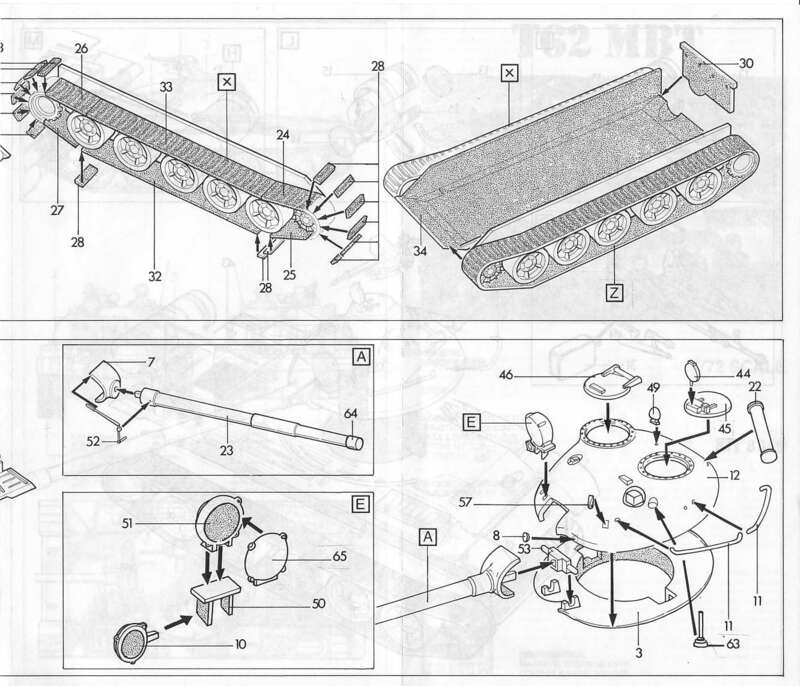 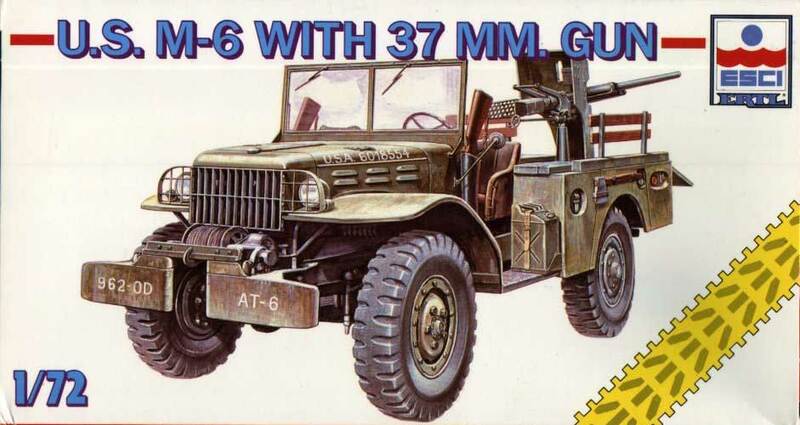 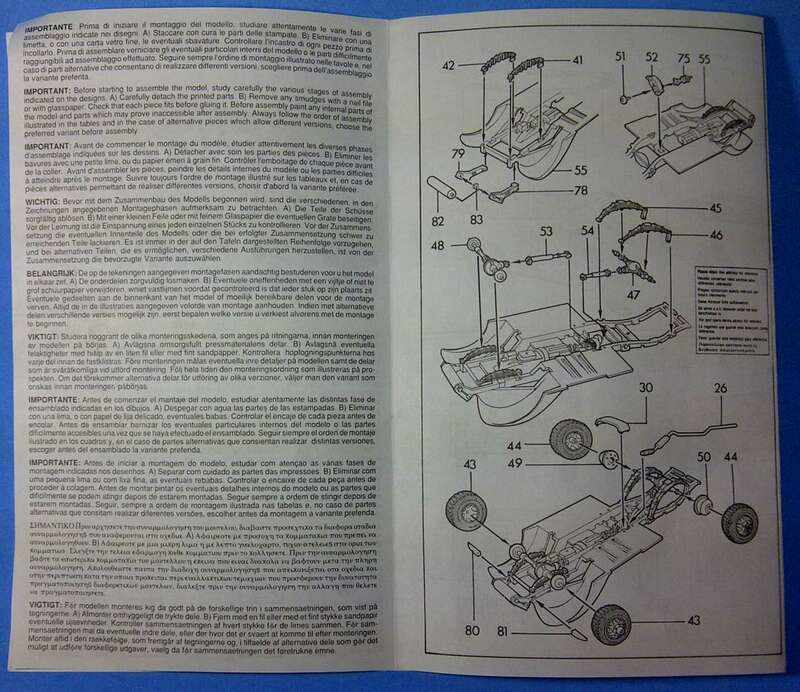 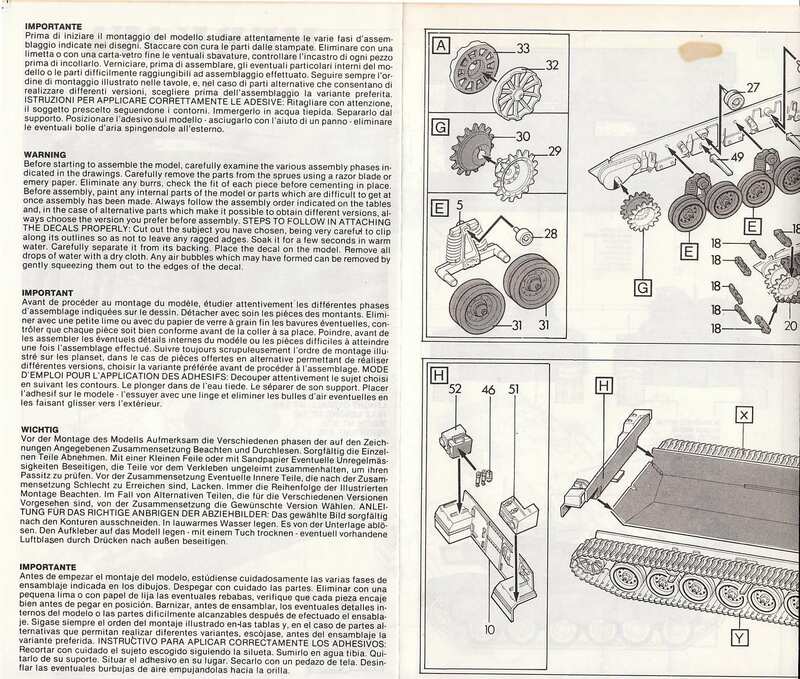 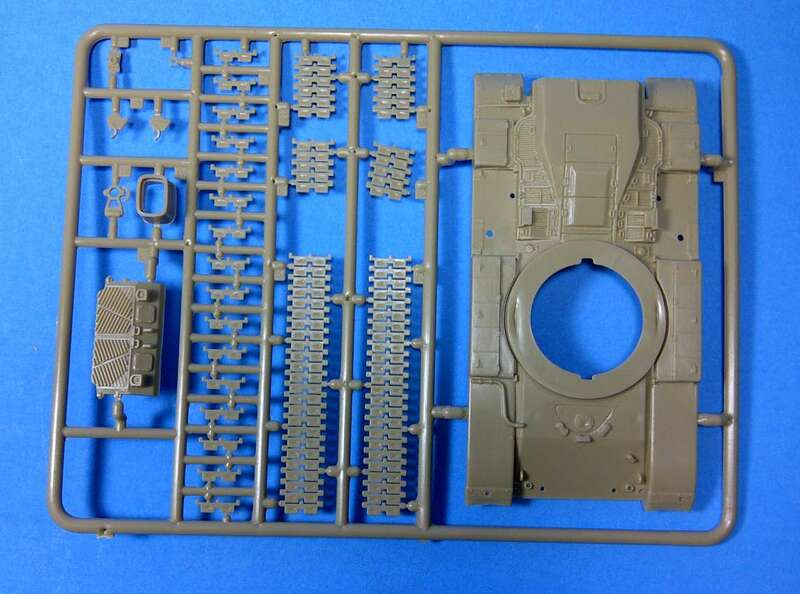 As in the Esci 1977 catalogue, the Polistil 1977 lists 5 Esci 1/72 kits that were never released (see pics) : 8052 German Sappers with Goliath, 8053 German Green Devils Fallschirmjager, 8058 Chevrolet LRDG, 8060 Horh typ 1a and 8061 horch ambulance. 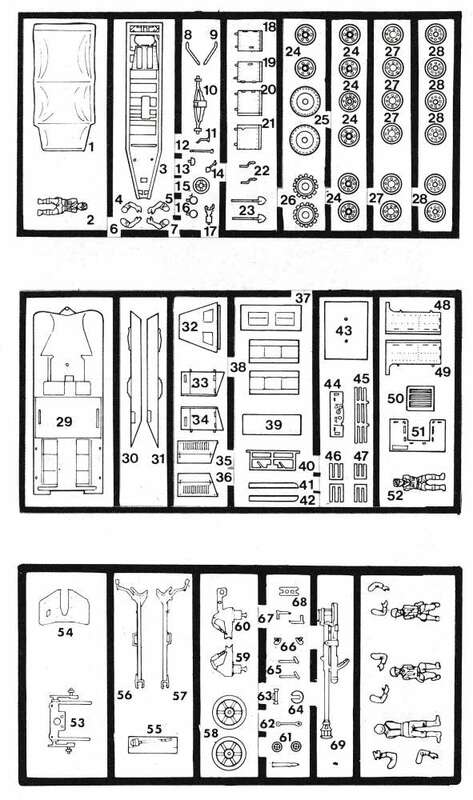 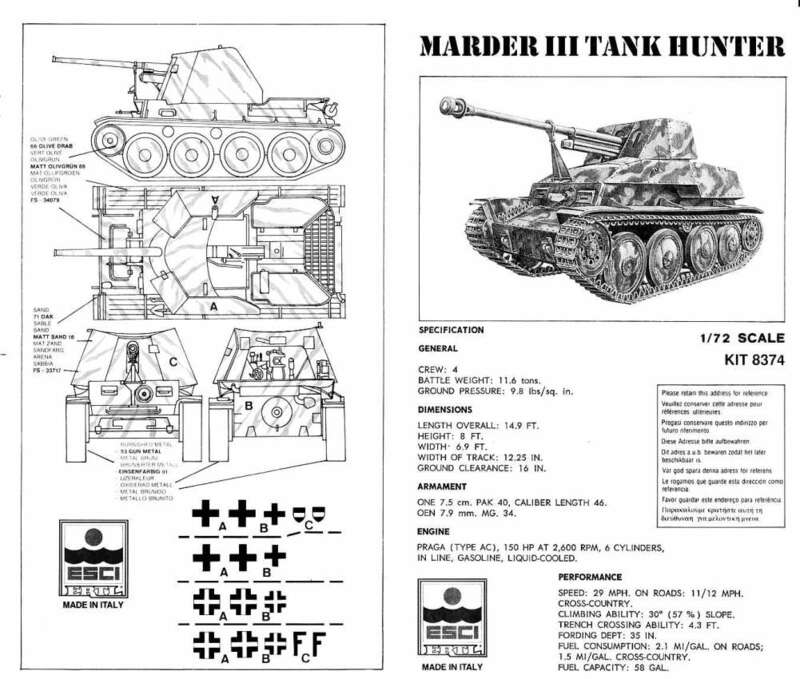 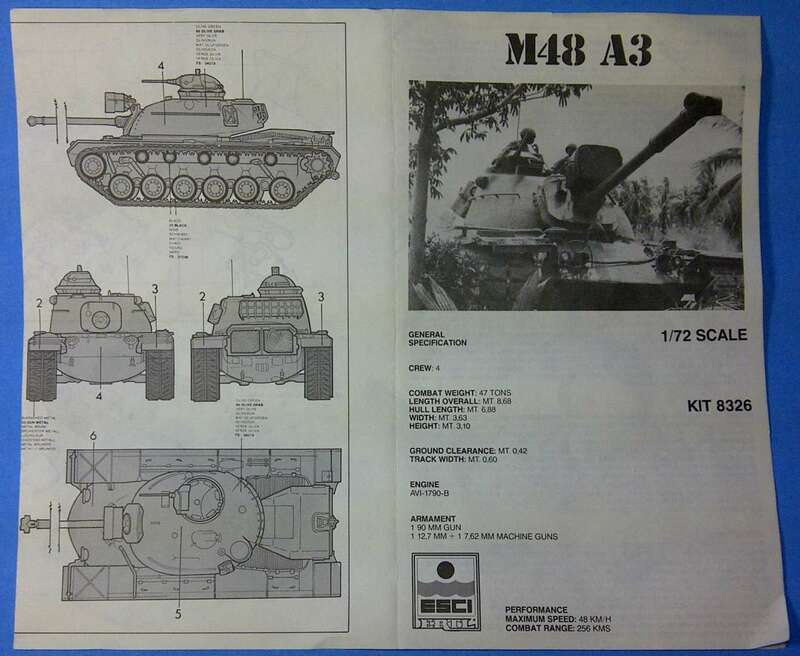 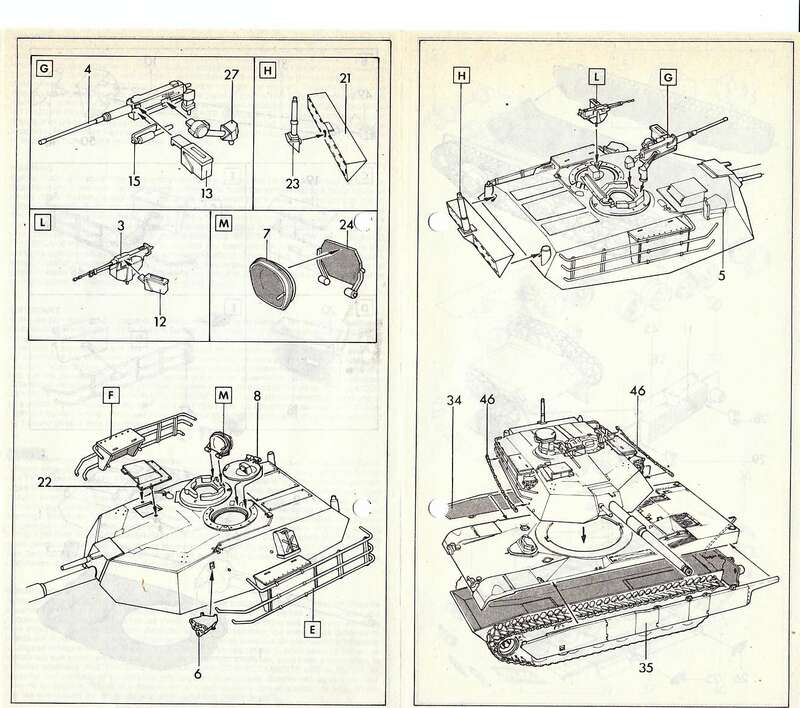 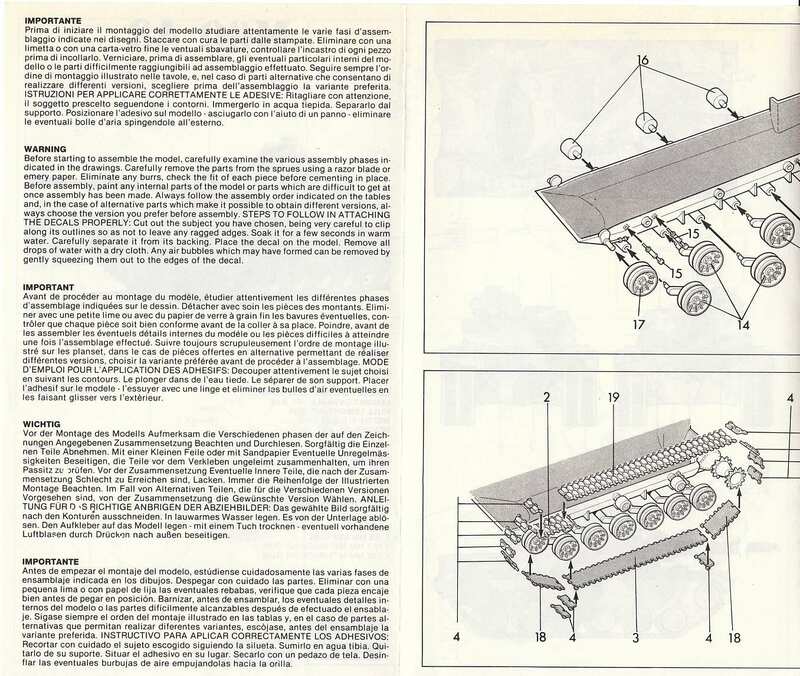 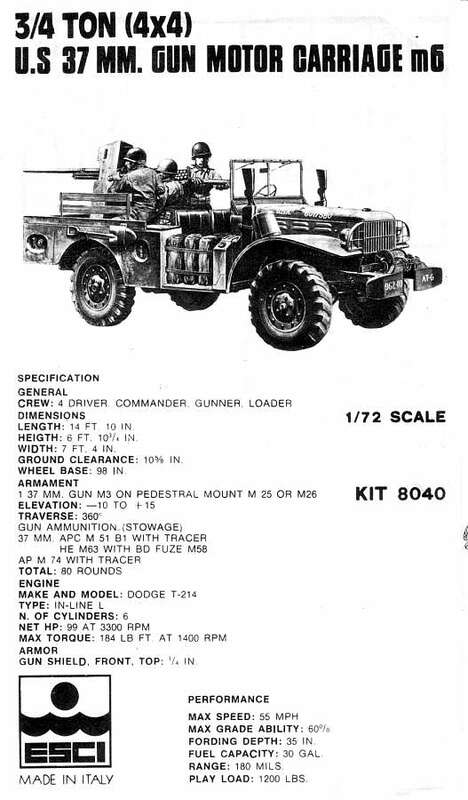 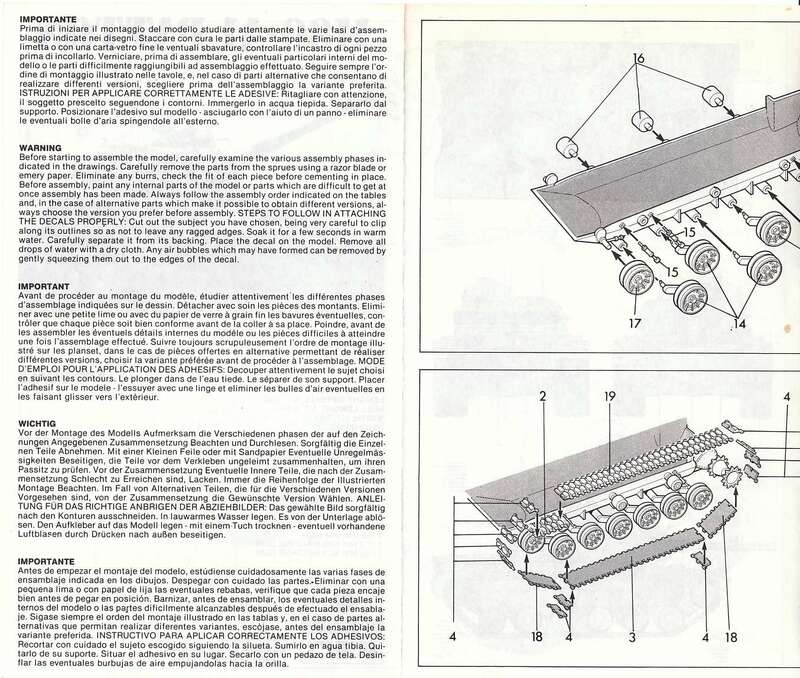 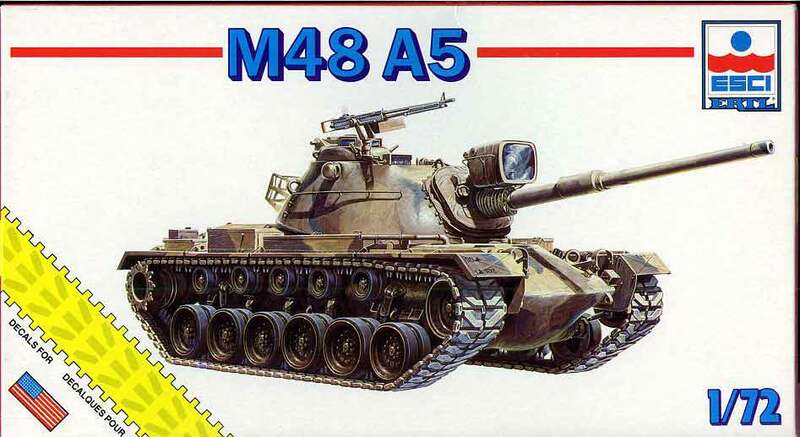 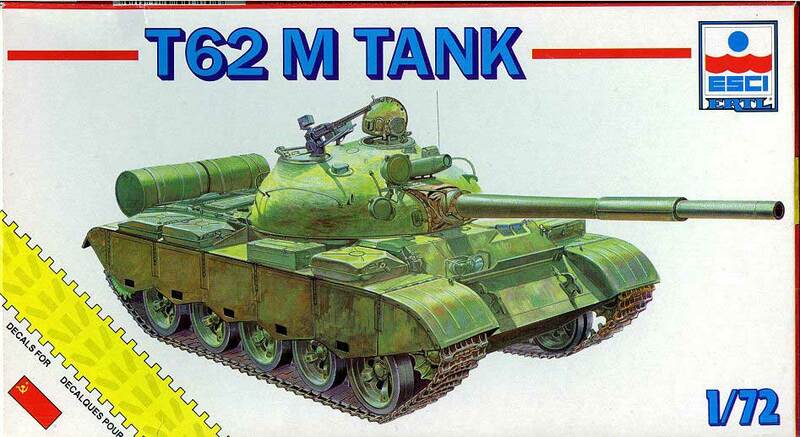 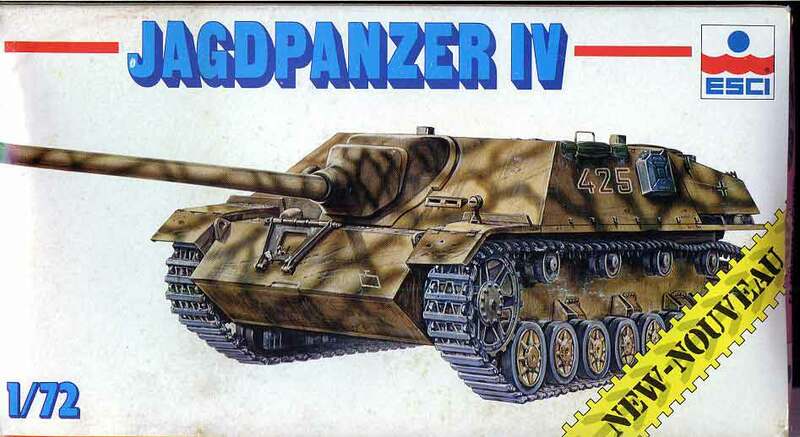 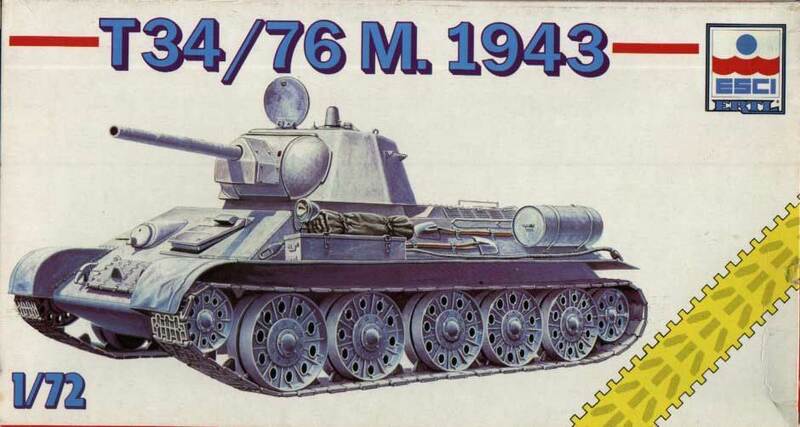 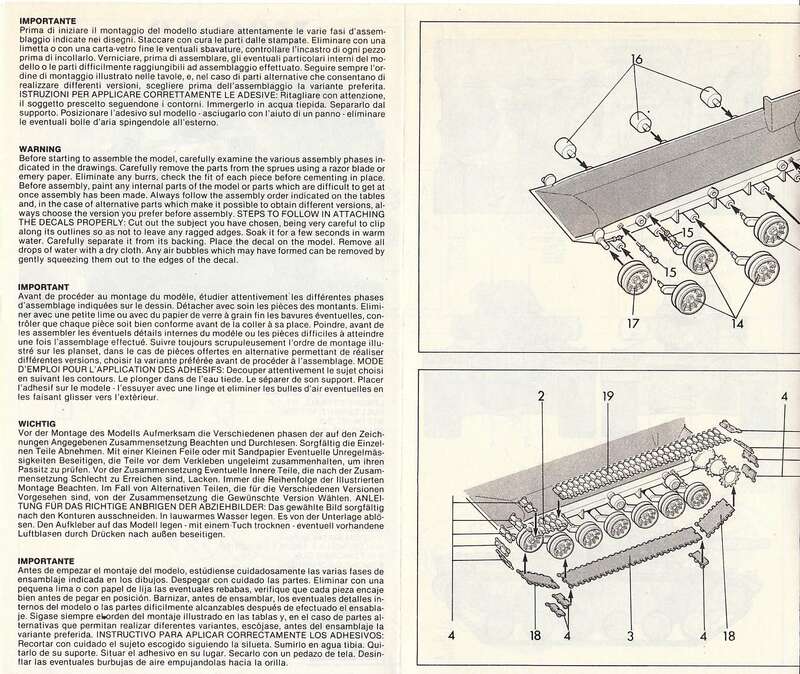 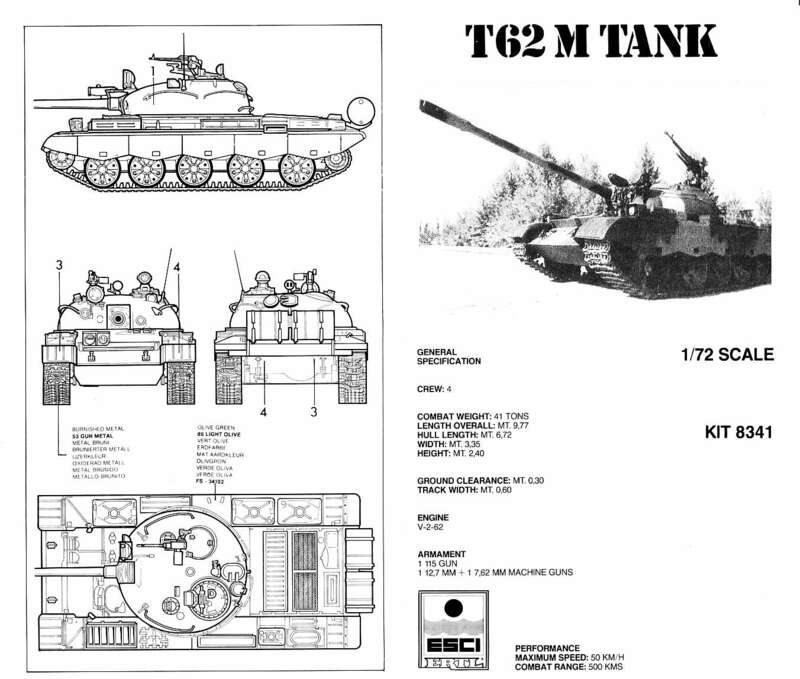 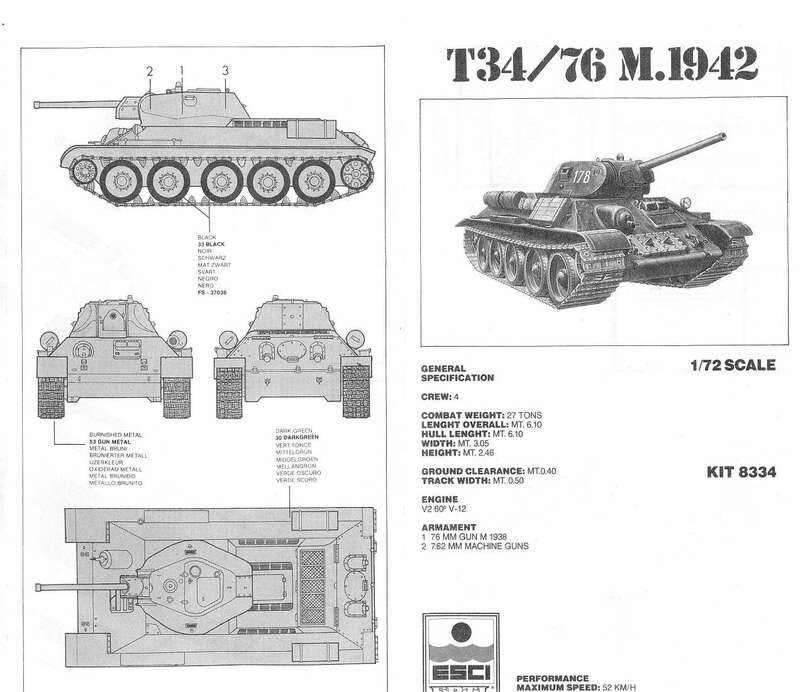 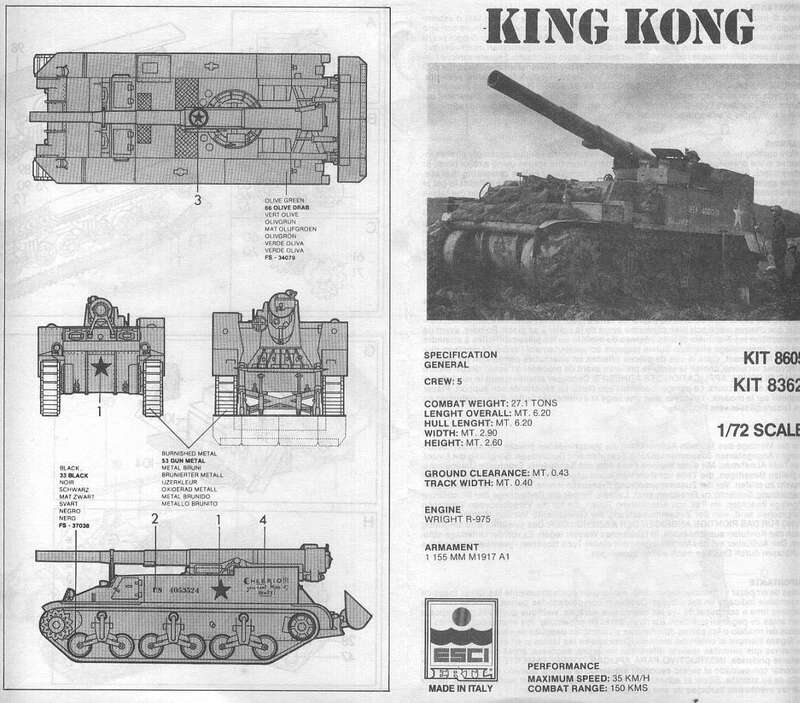 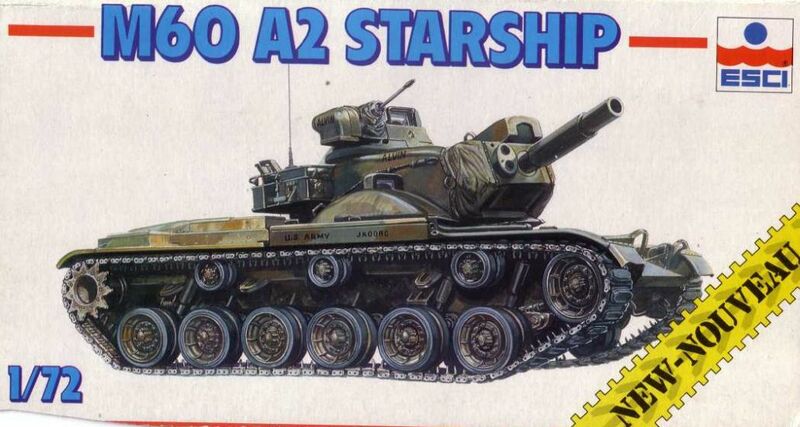 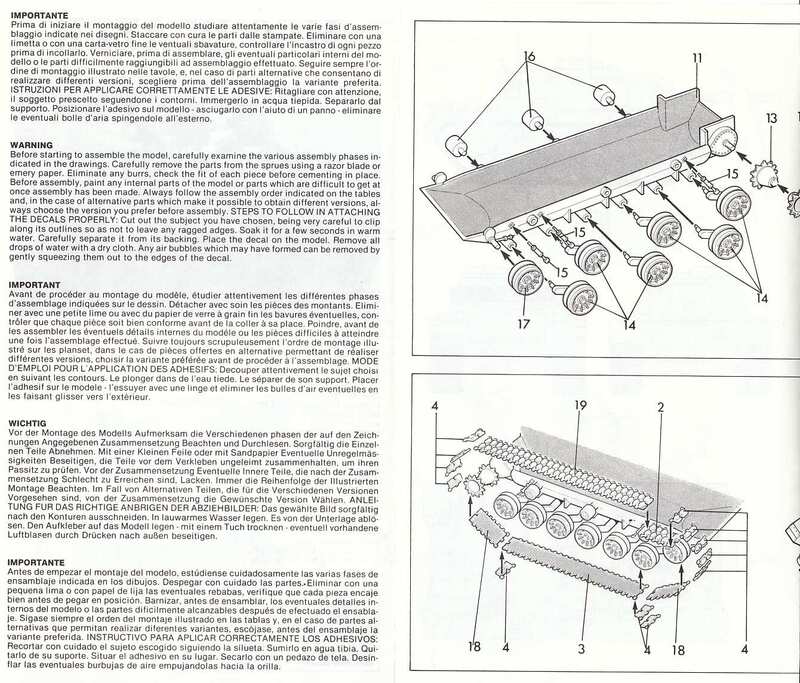 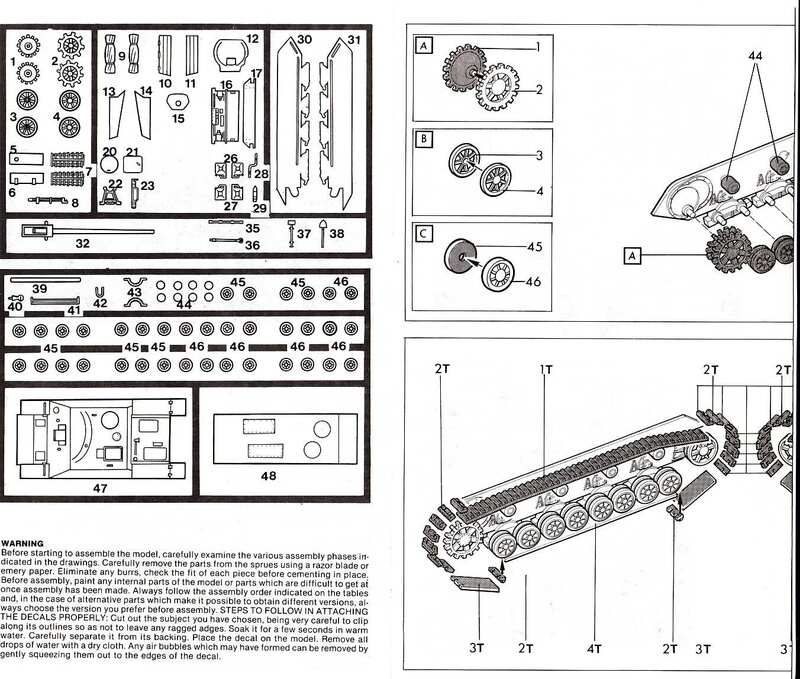 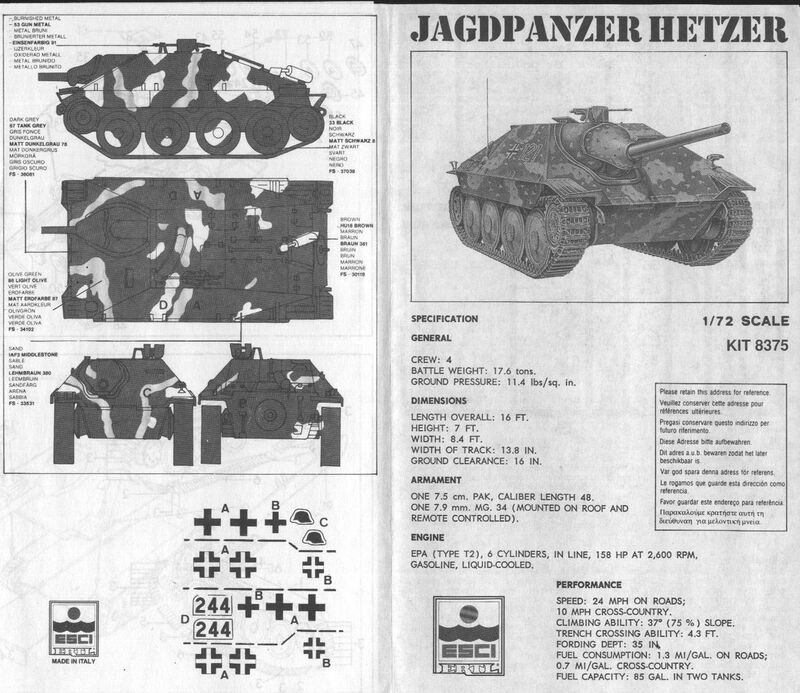 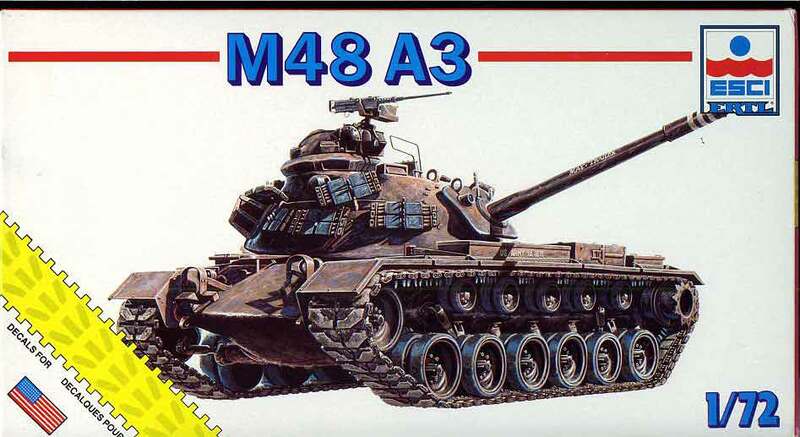 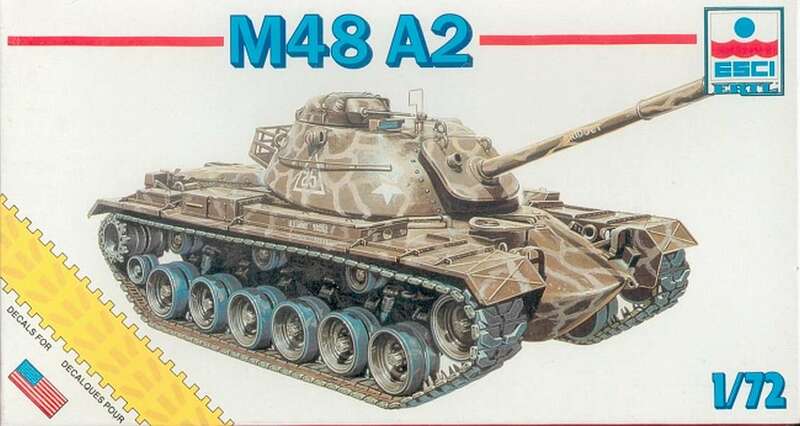 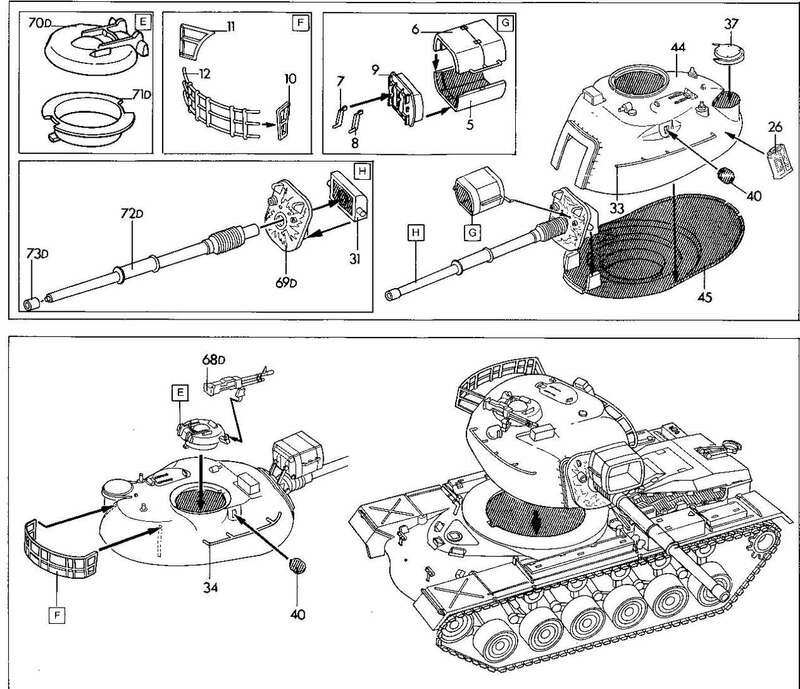 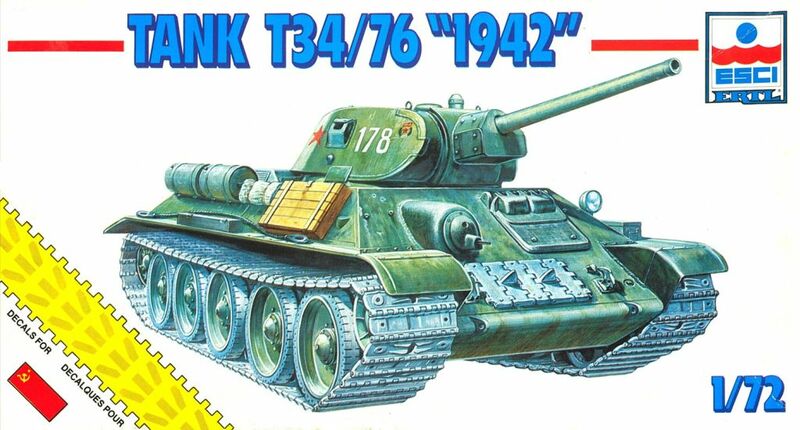 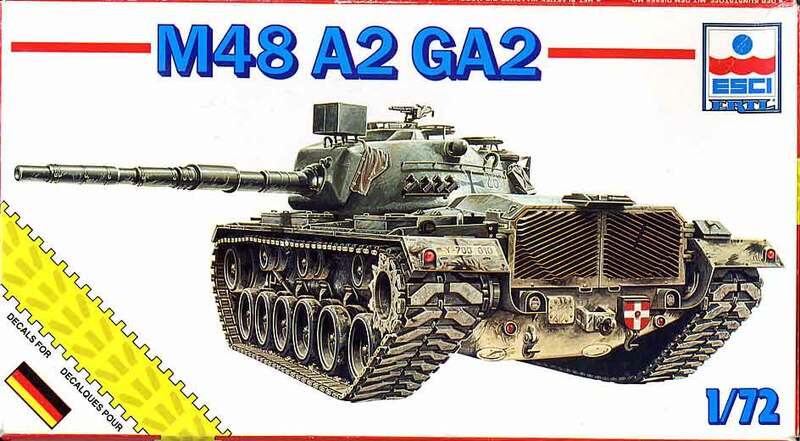 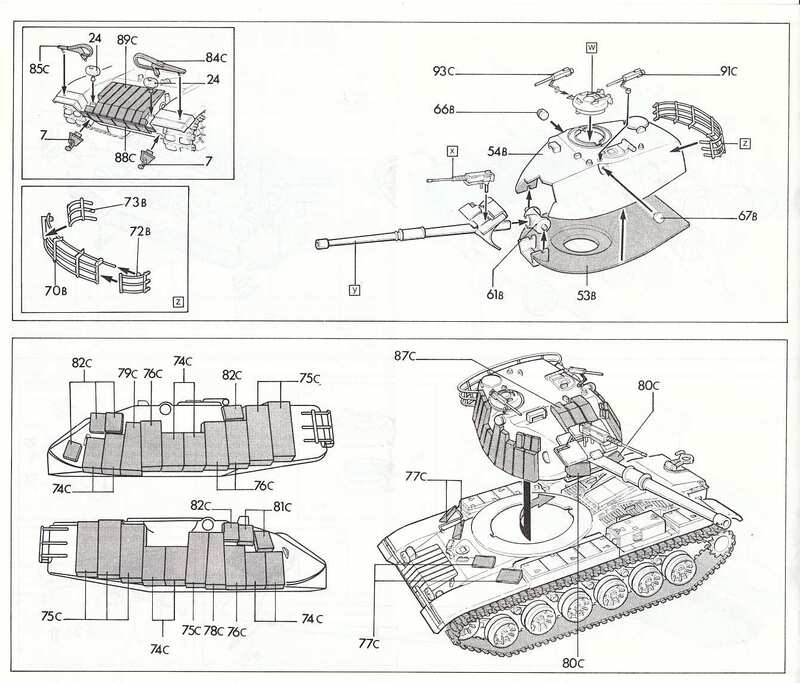 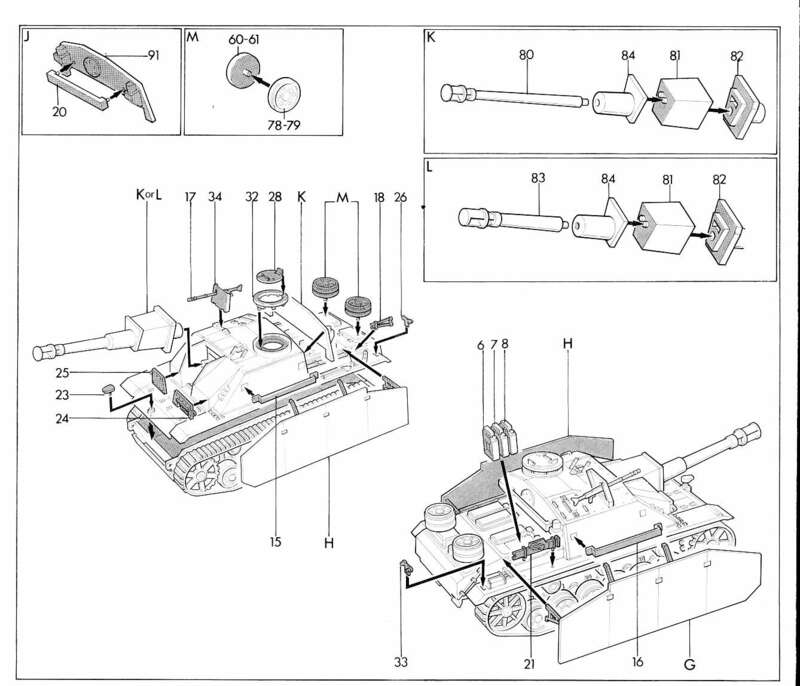 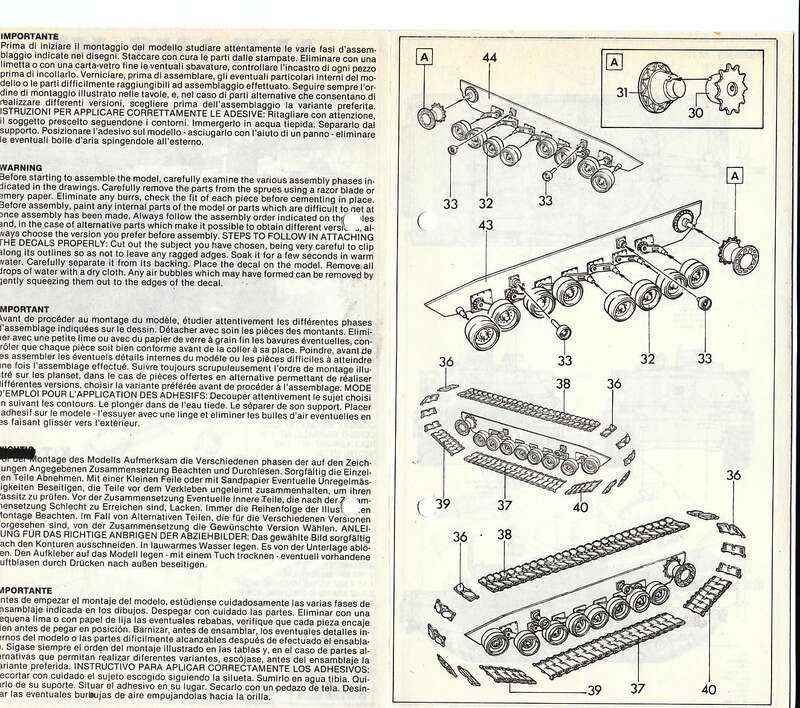 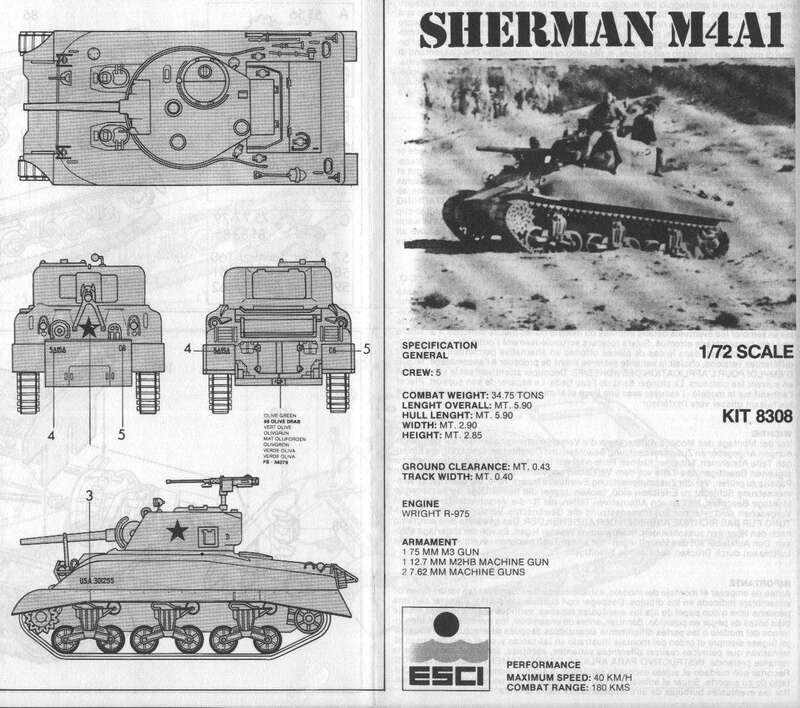 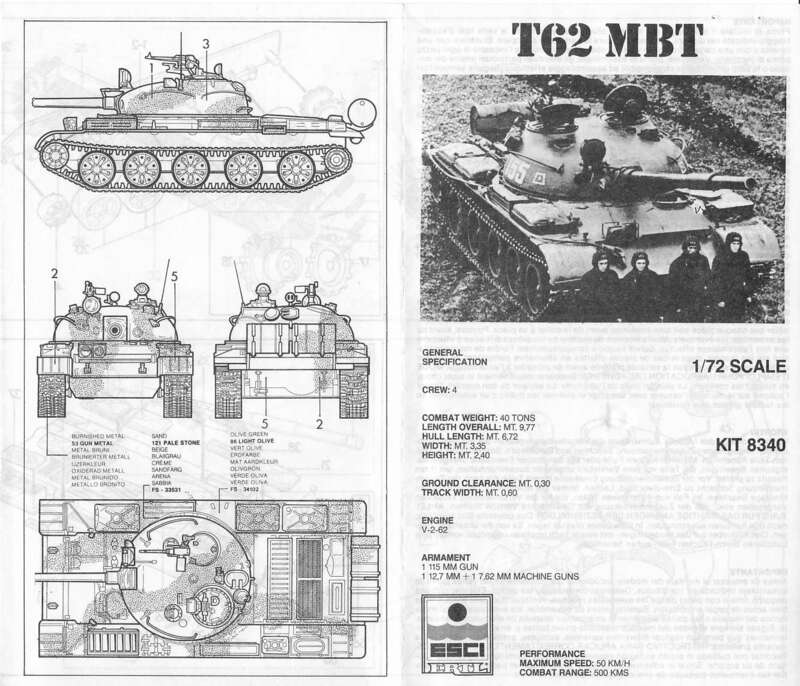 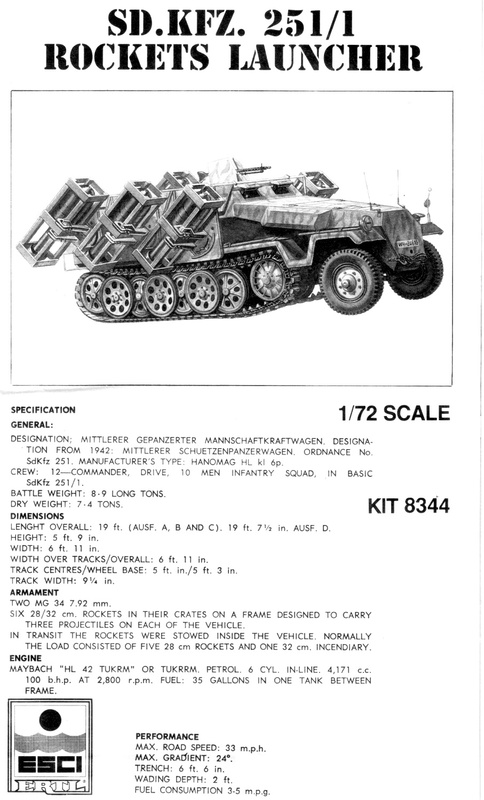 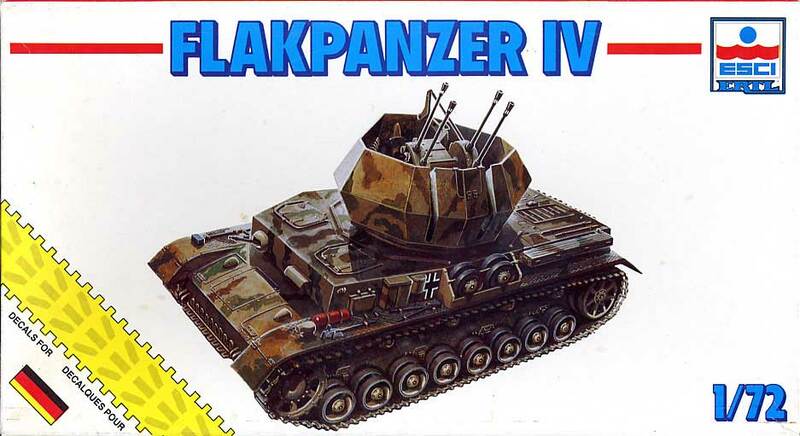 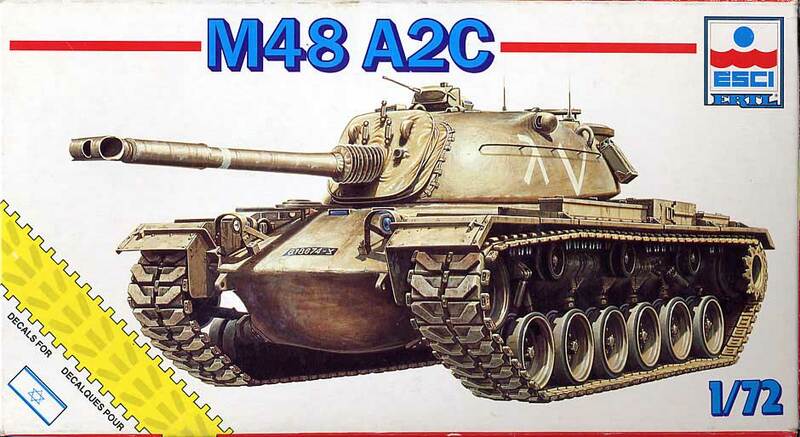 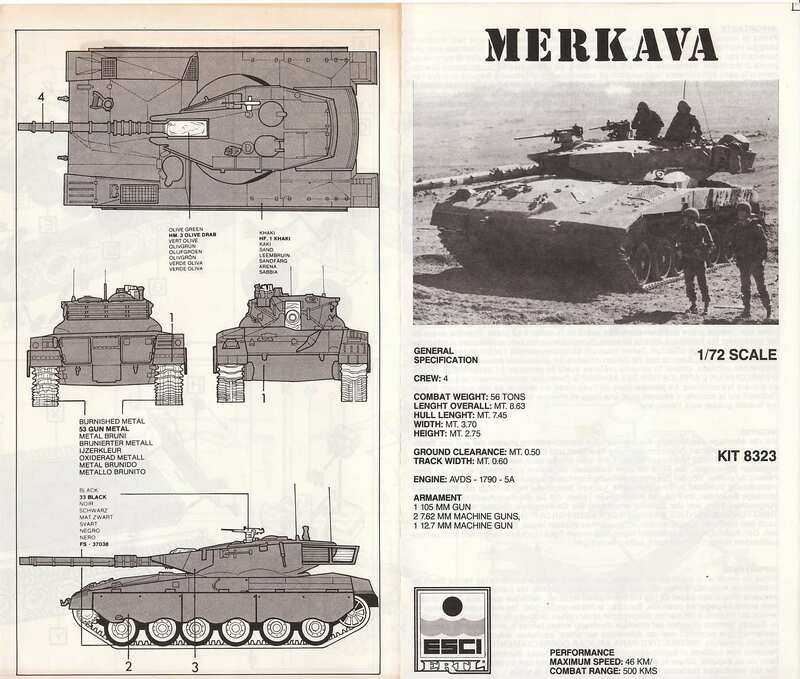 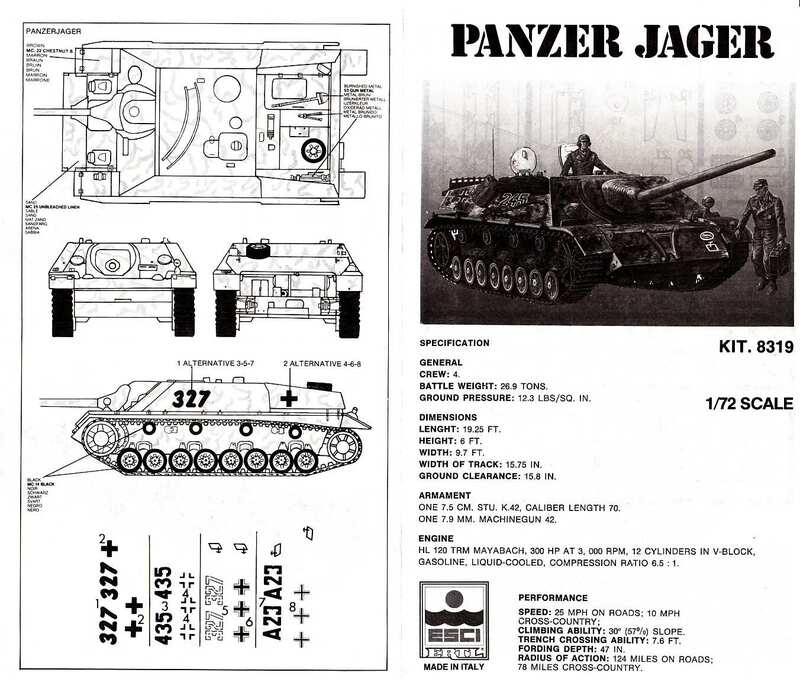 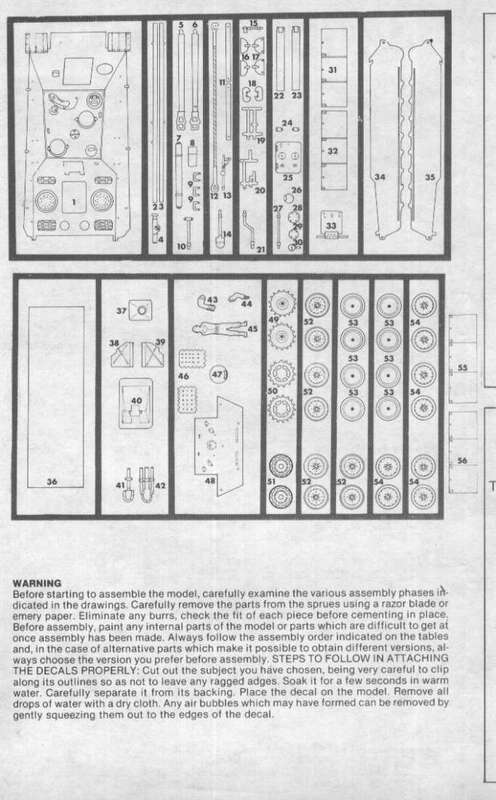 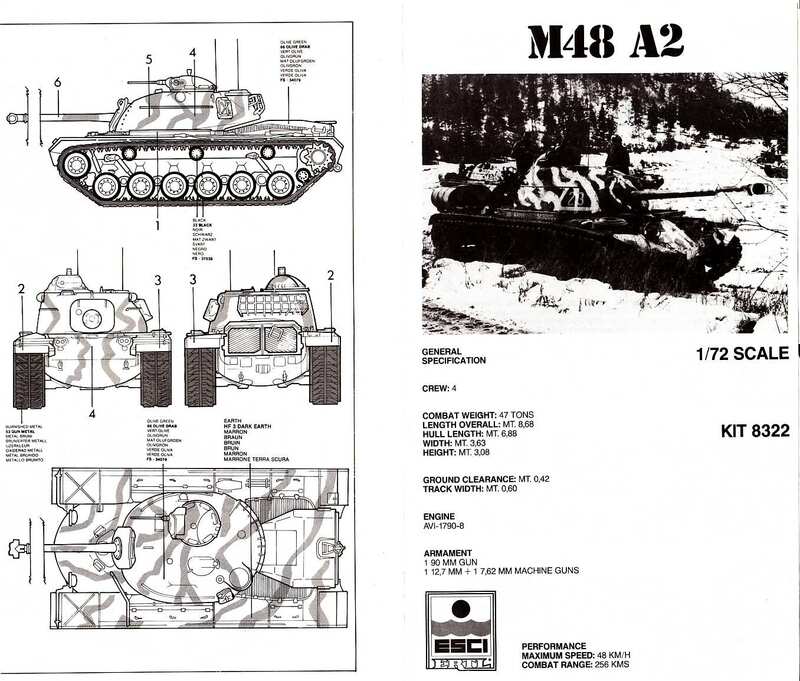 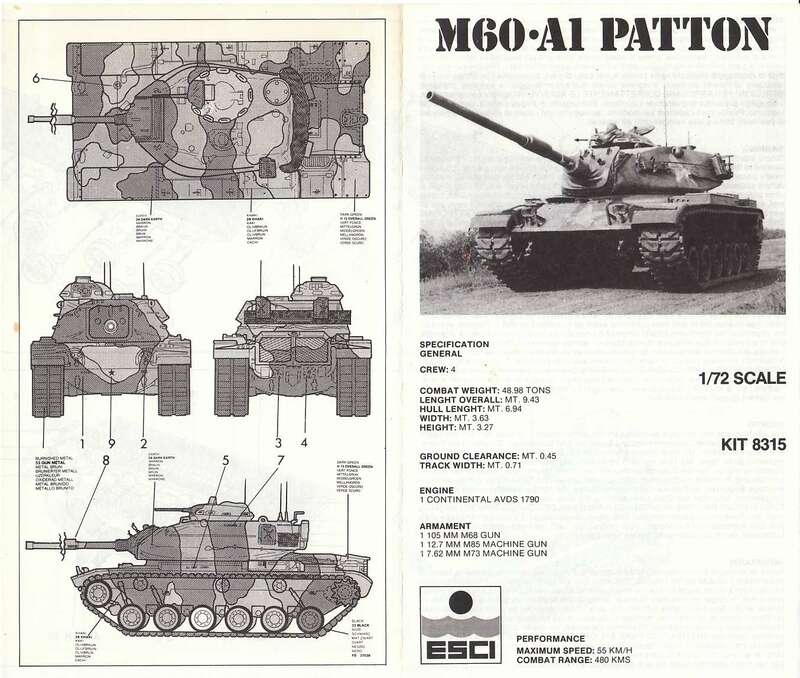 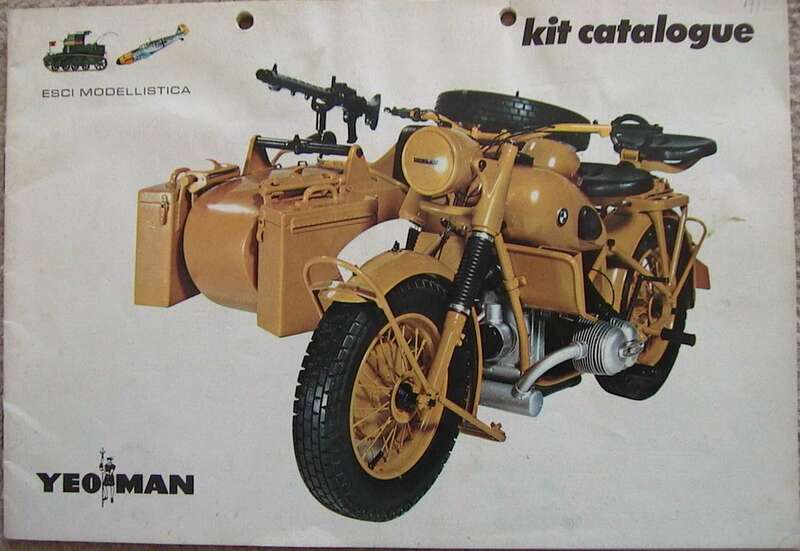 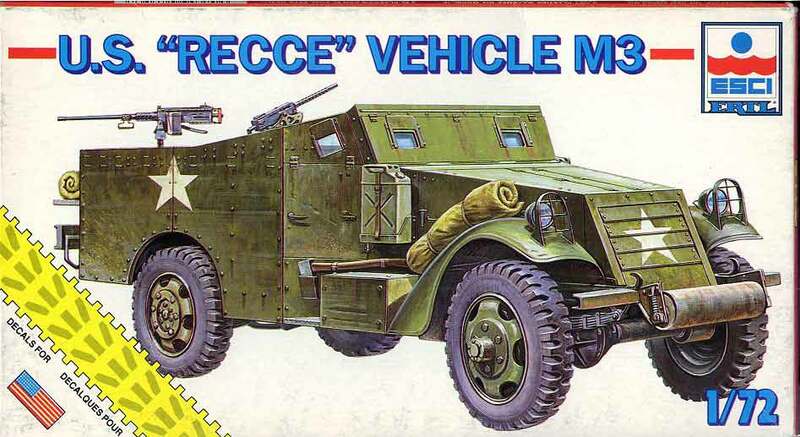 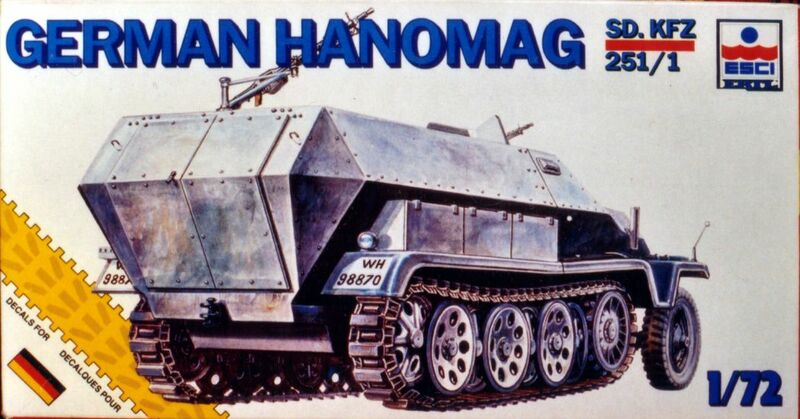 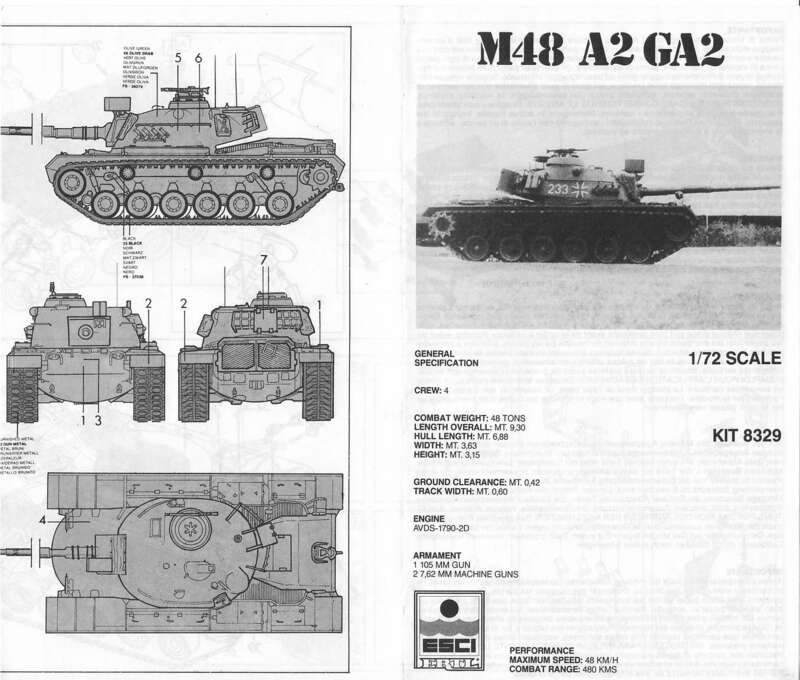 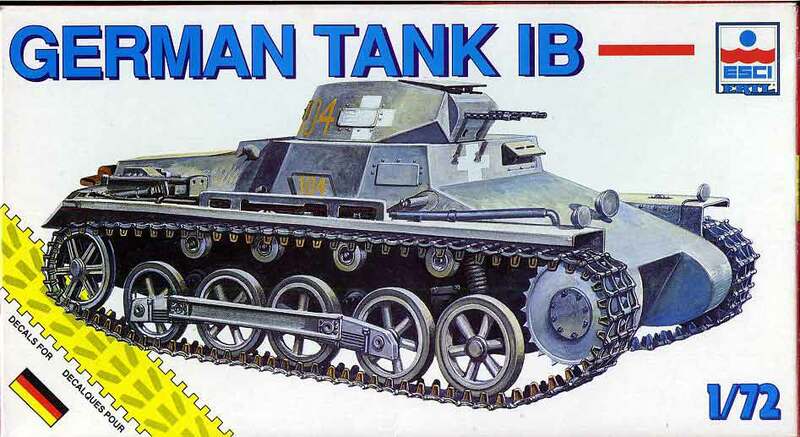 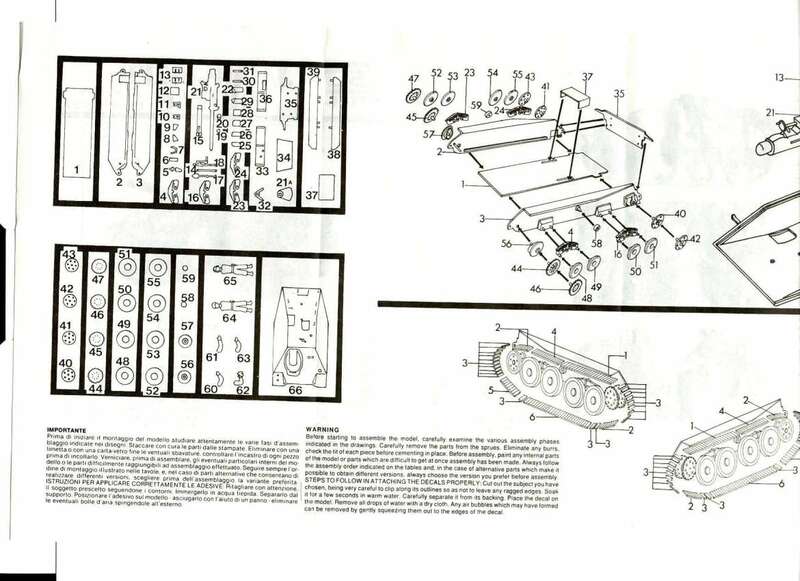 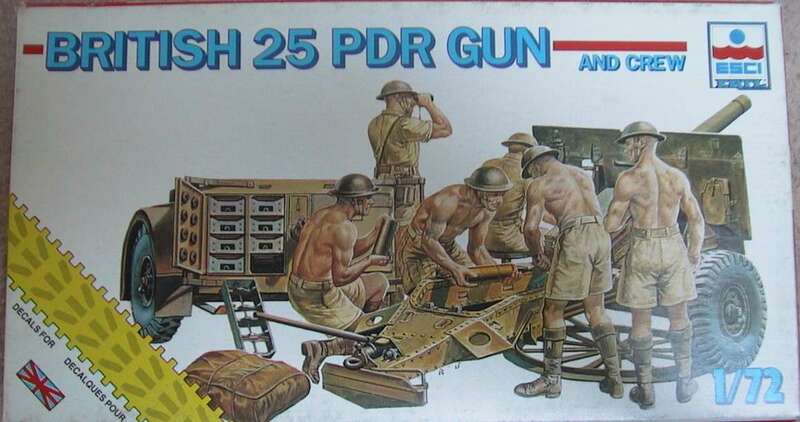 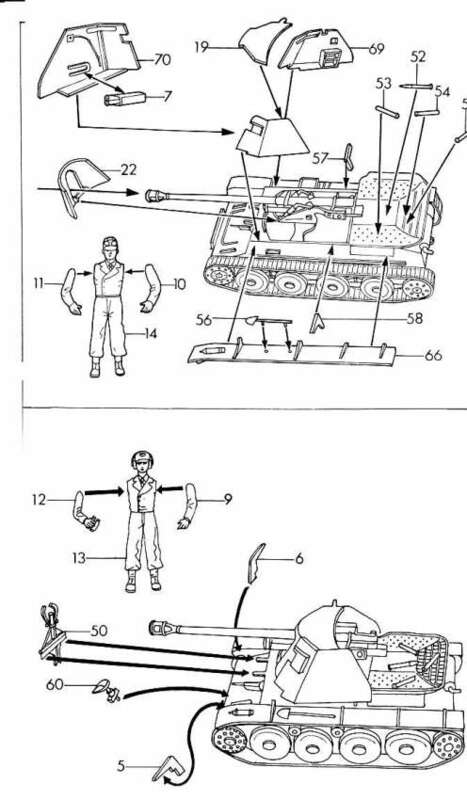 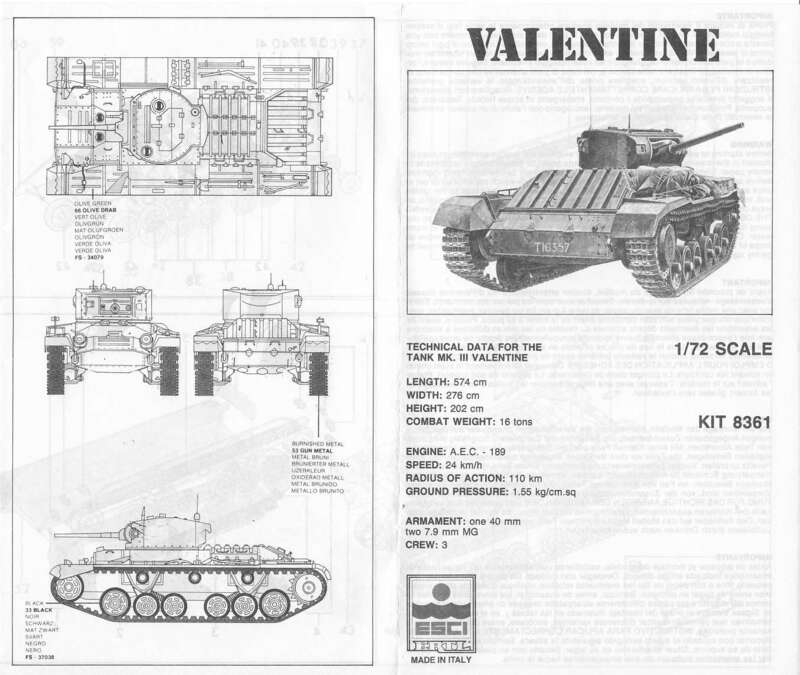 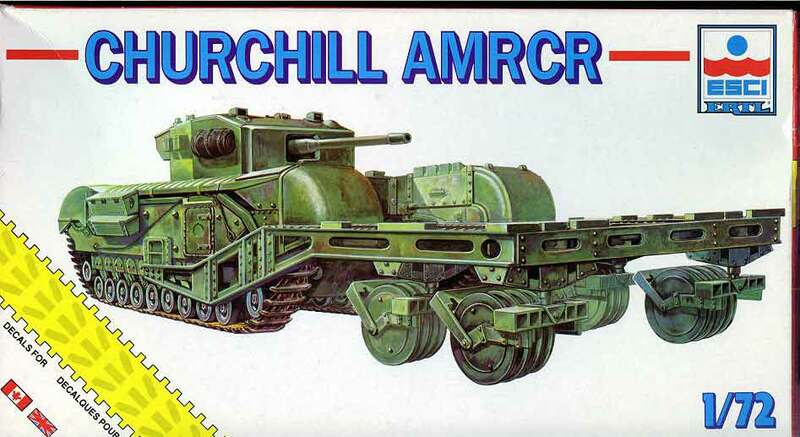 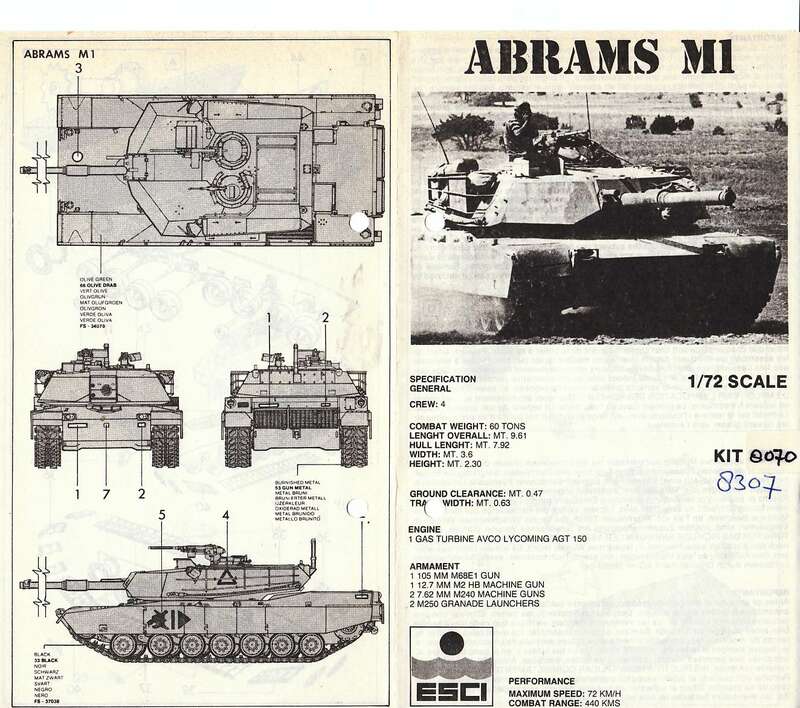 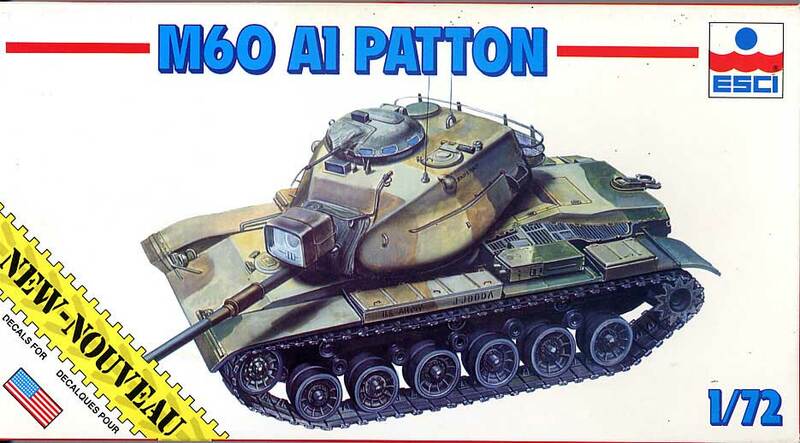 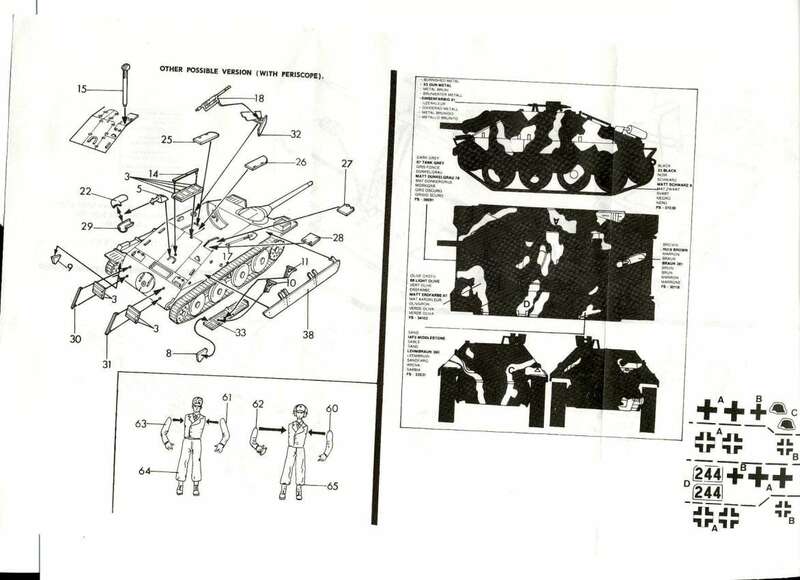 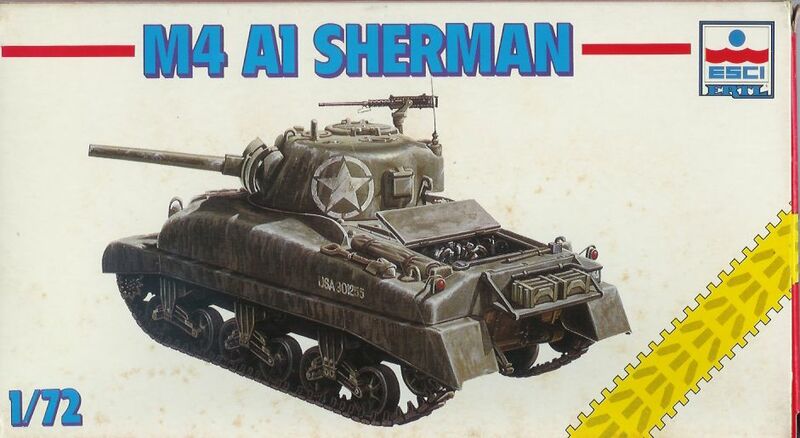 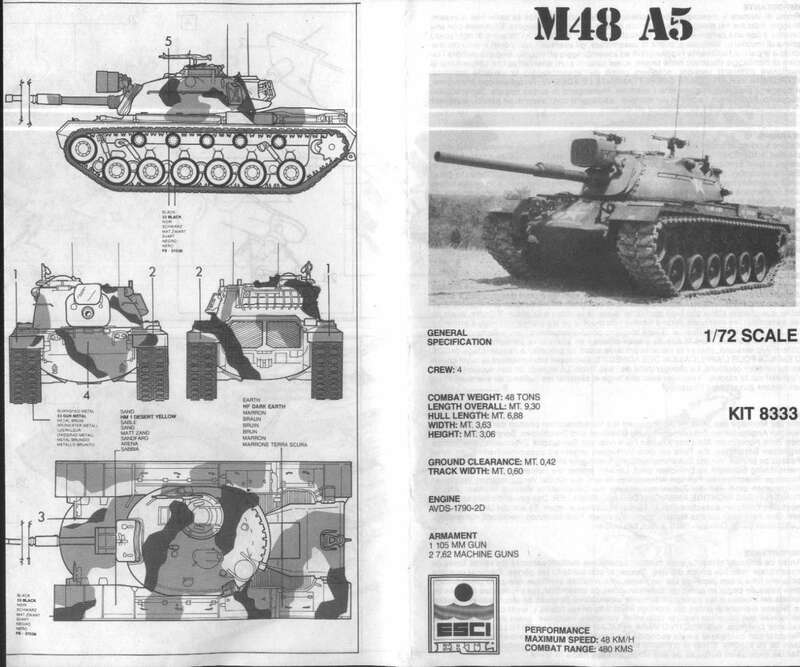 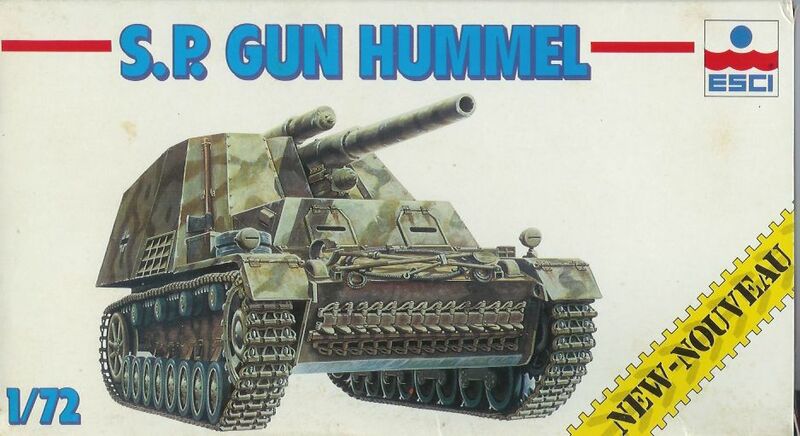 The 1974 Catalogue is the first to list the beloved 1/72 Armor range. 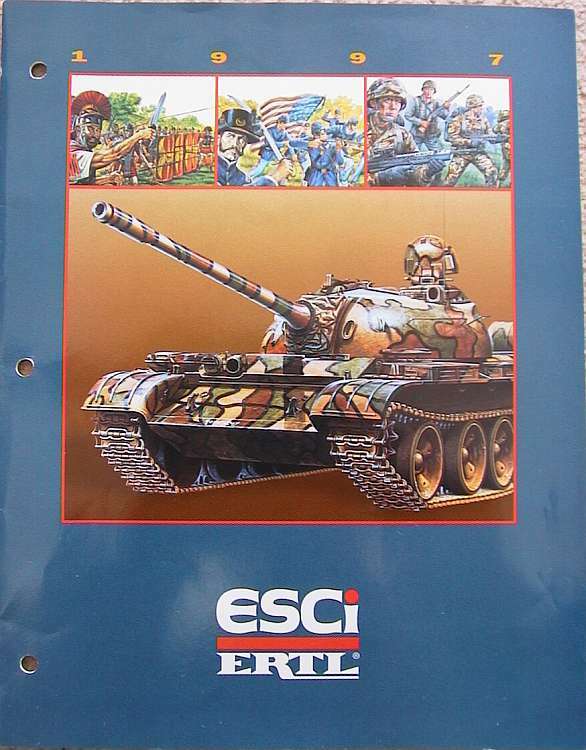 Some pictures are different in detail from the final Esci-Armor box top art !! 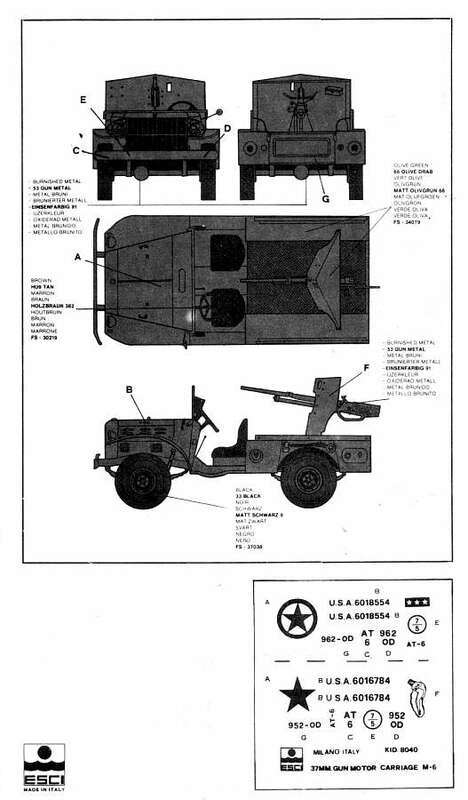 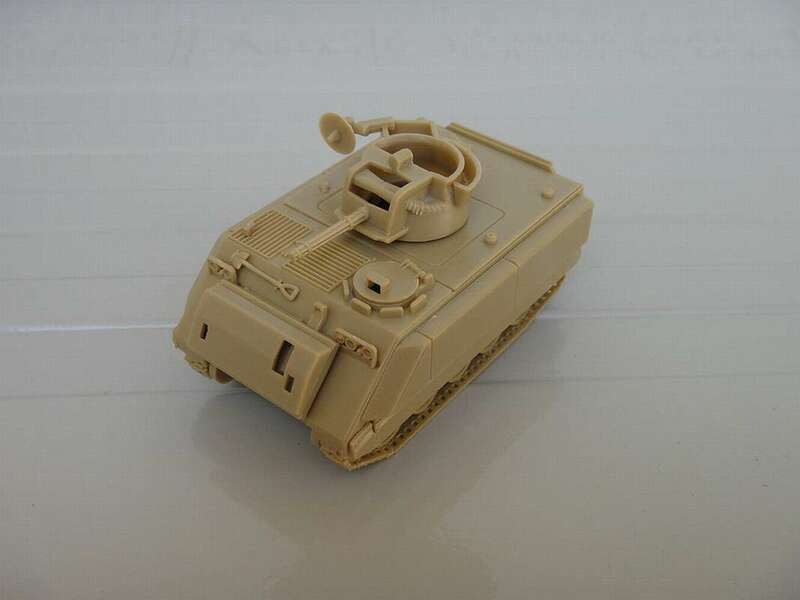 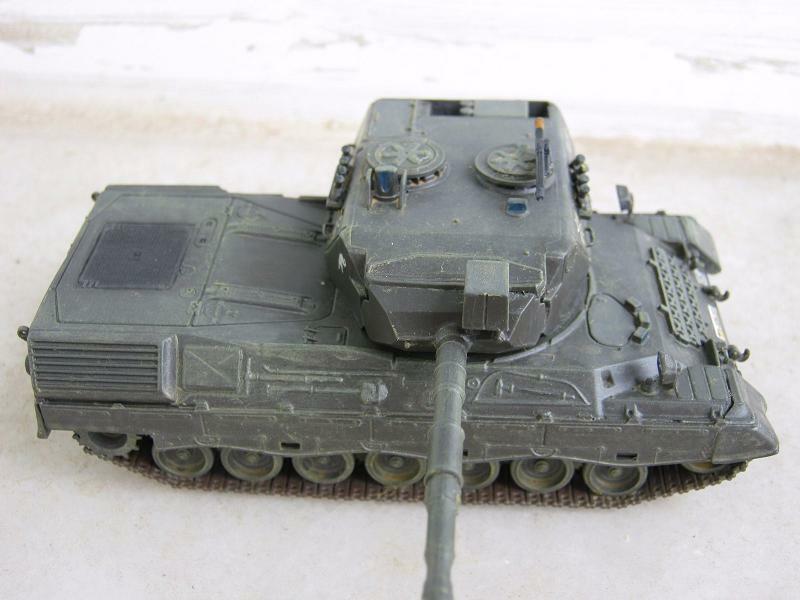 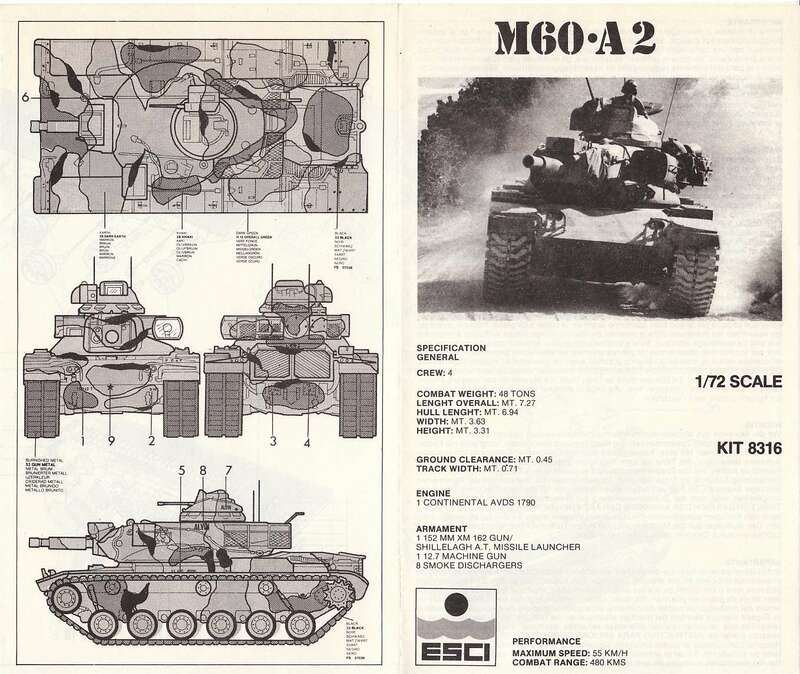 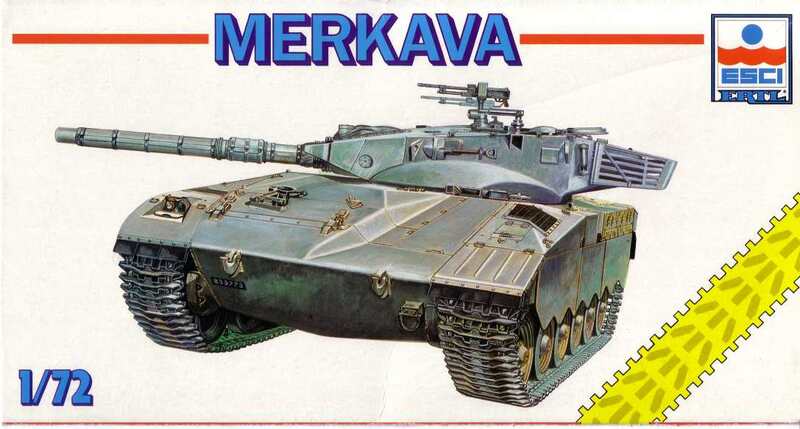 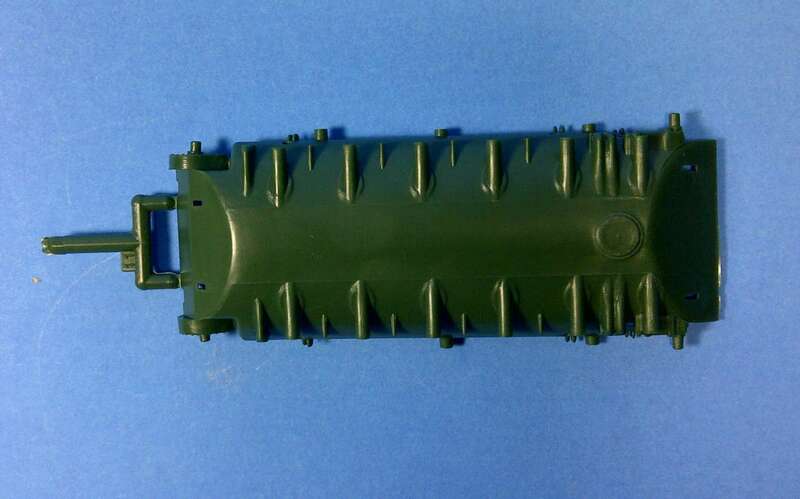 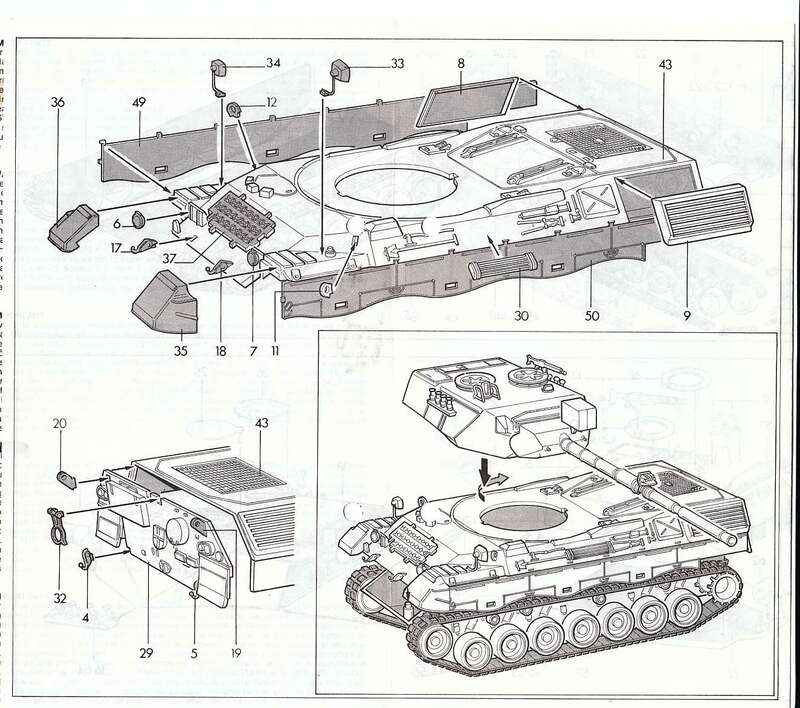 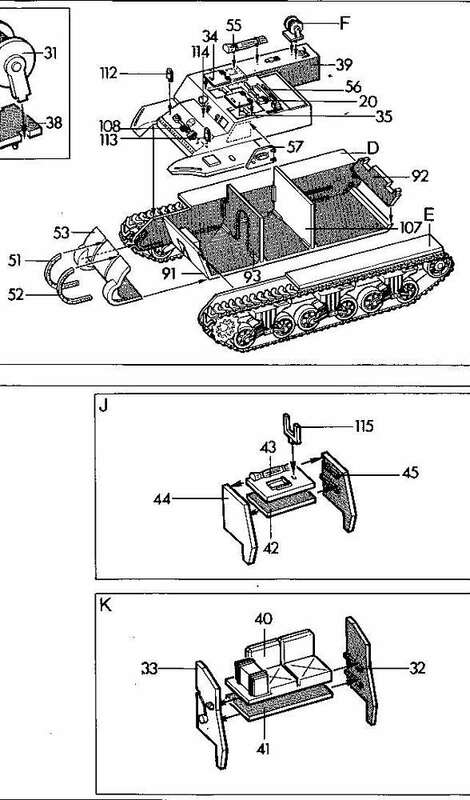 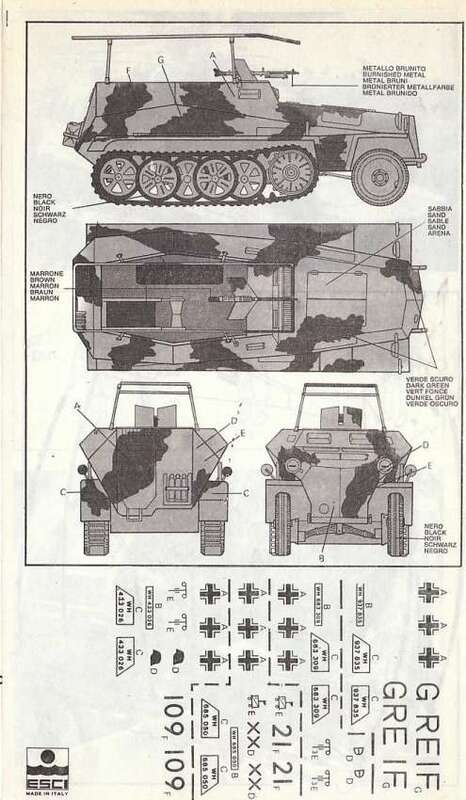 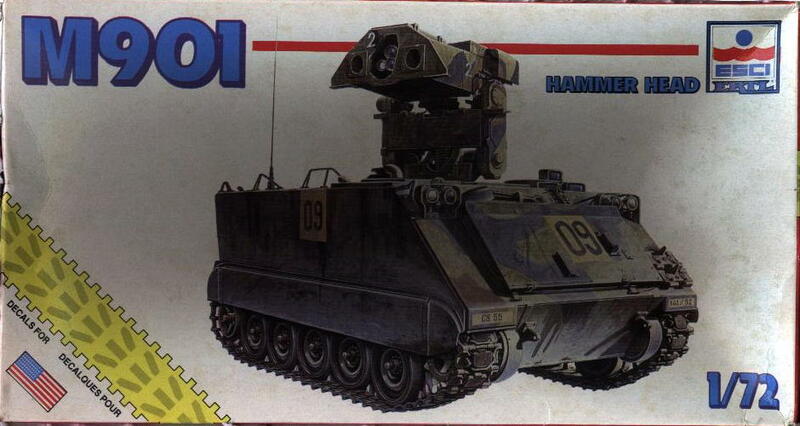 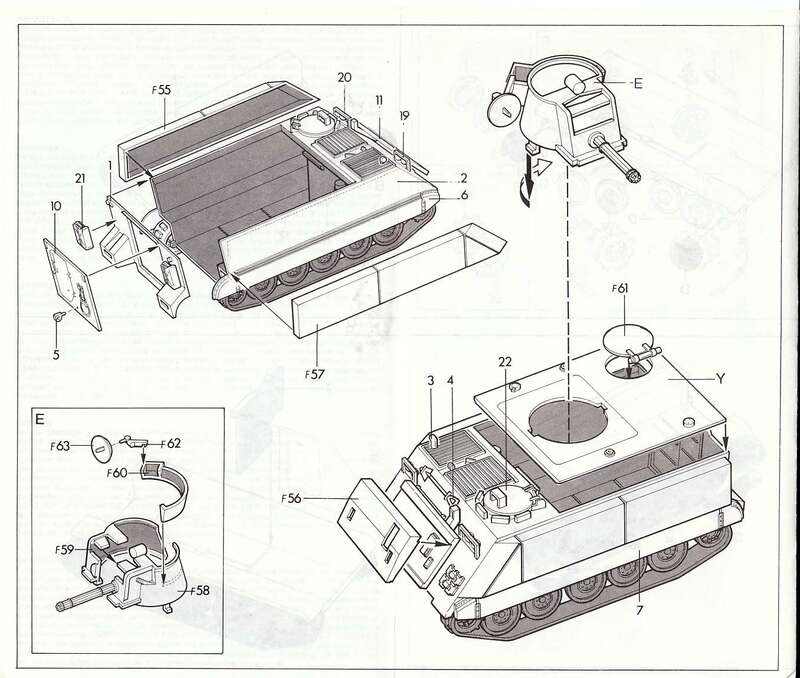 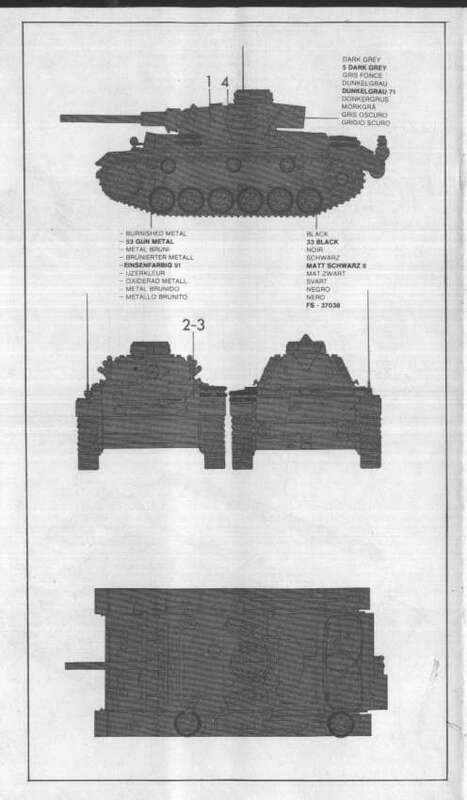 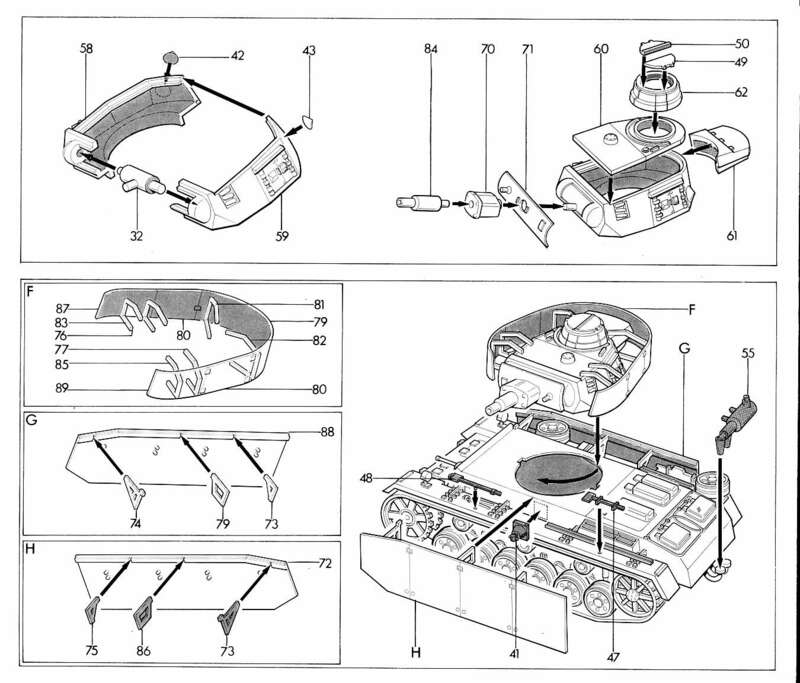 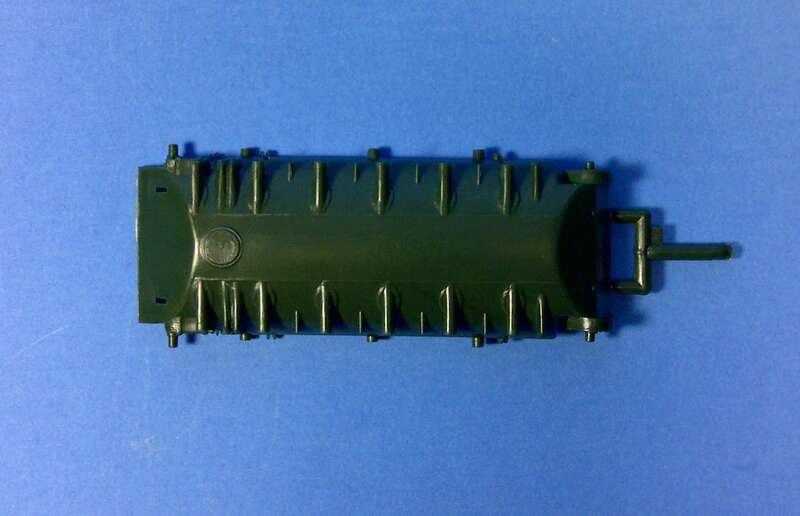 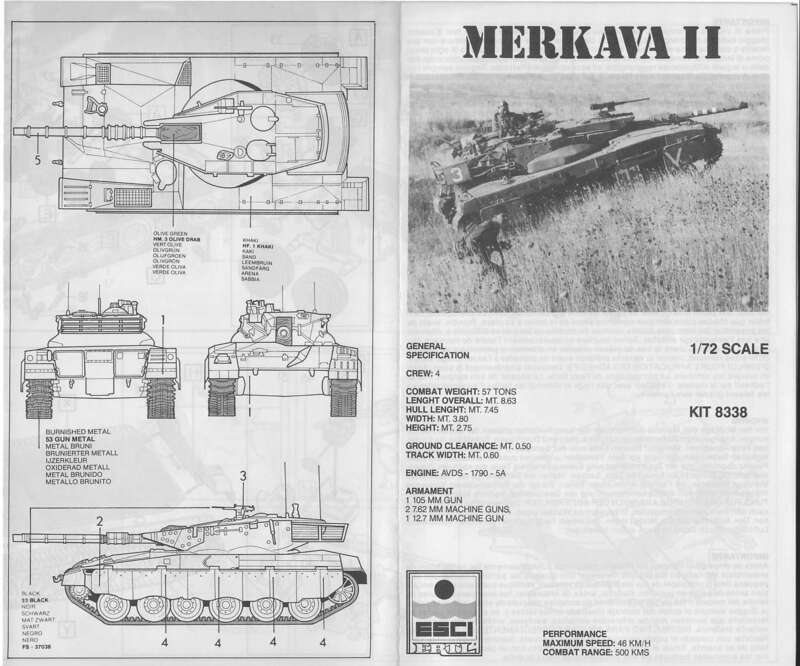 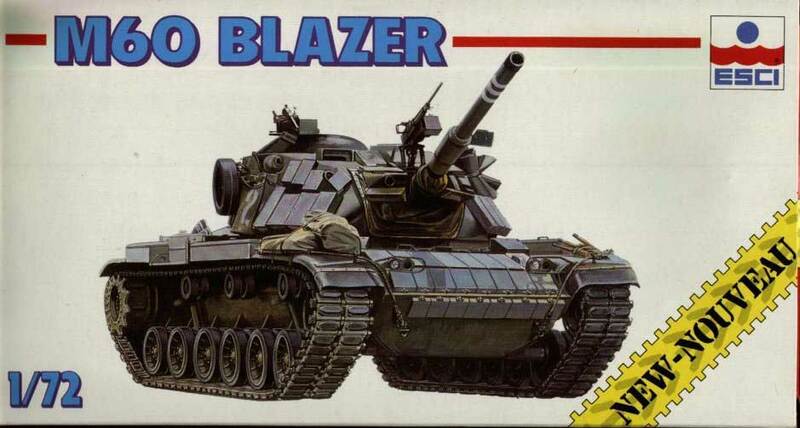 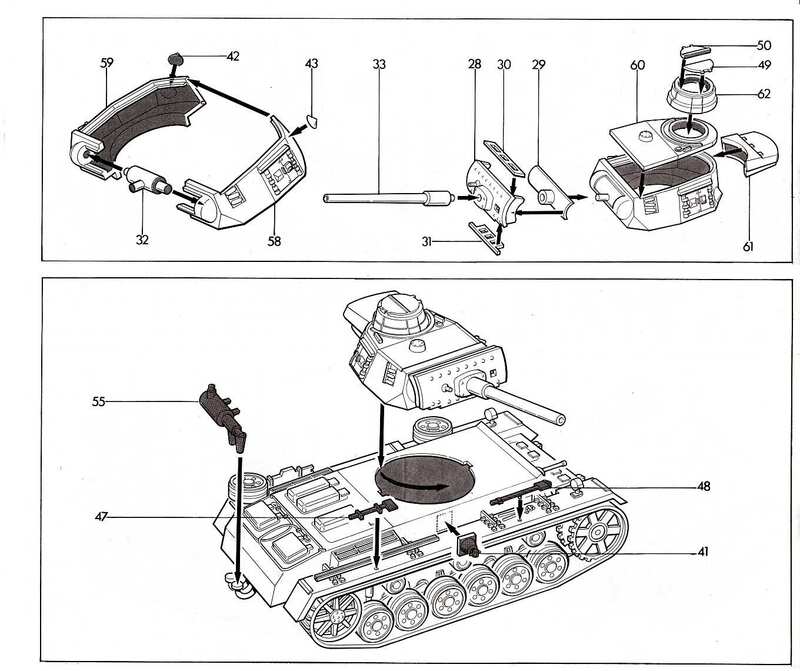 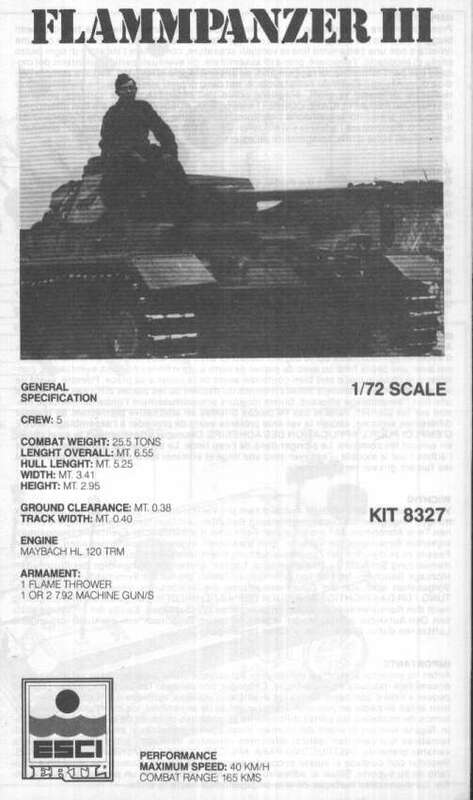 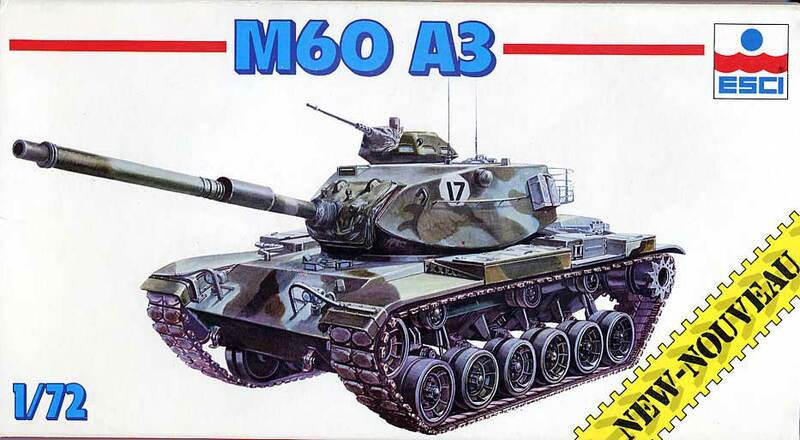 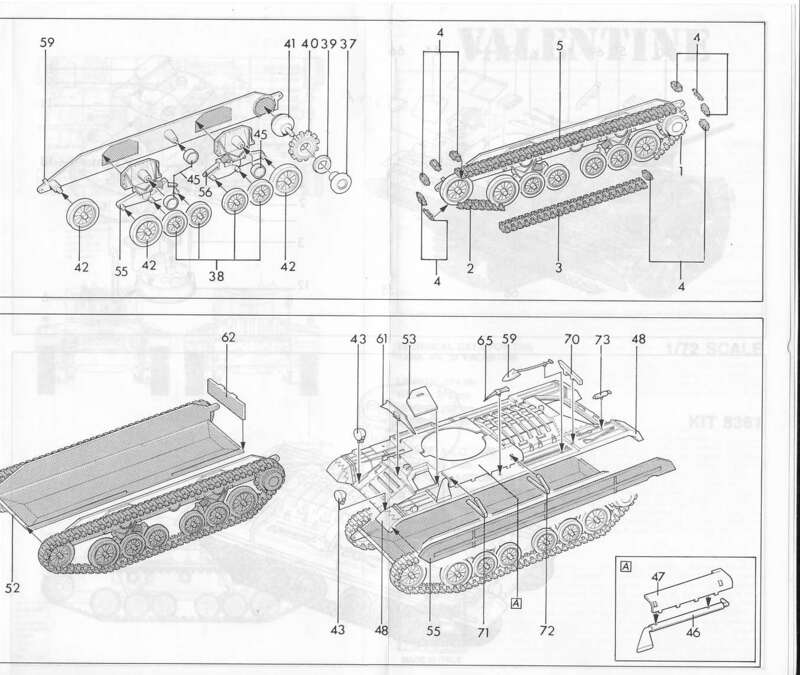 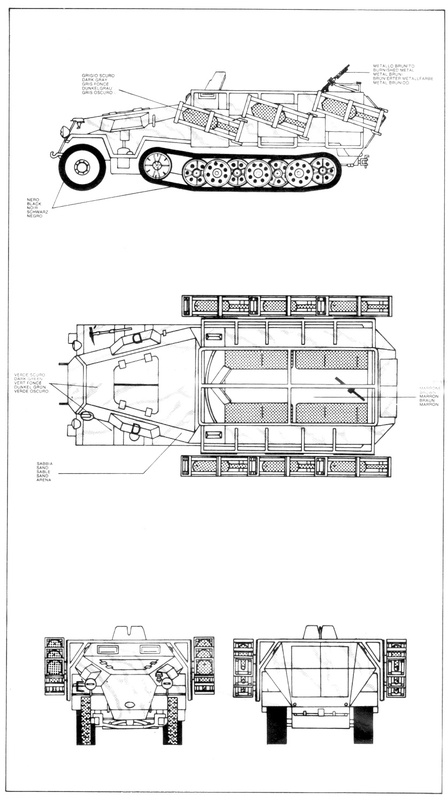 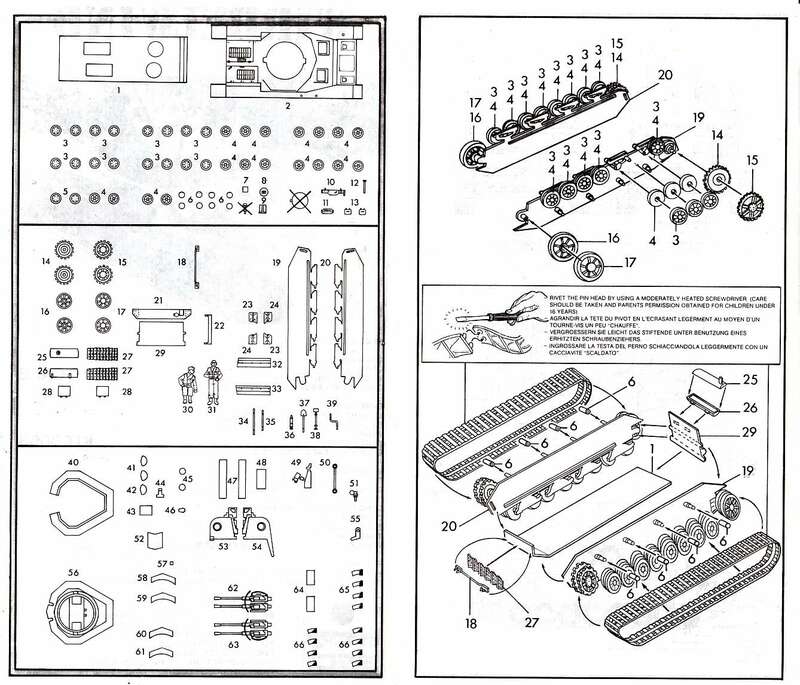 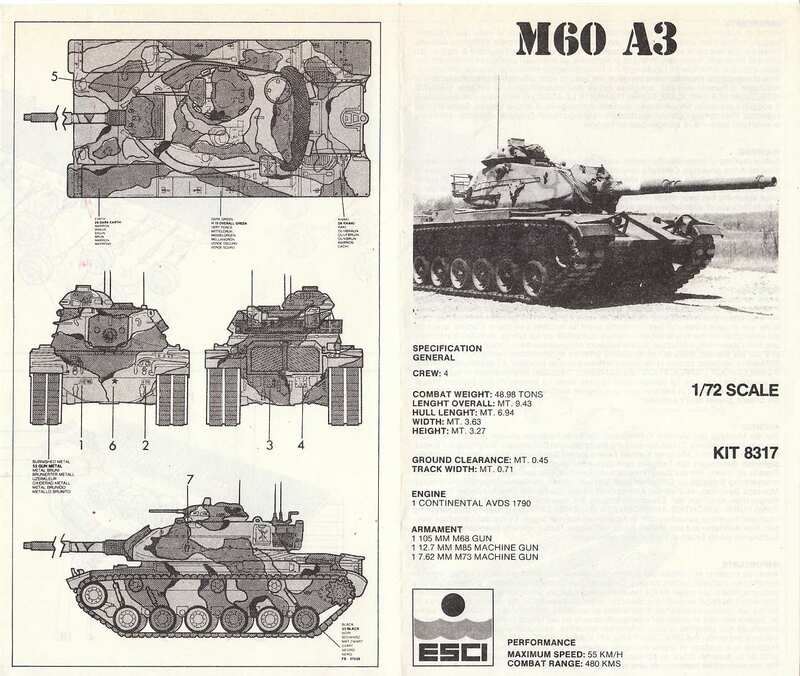 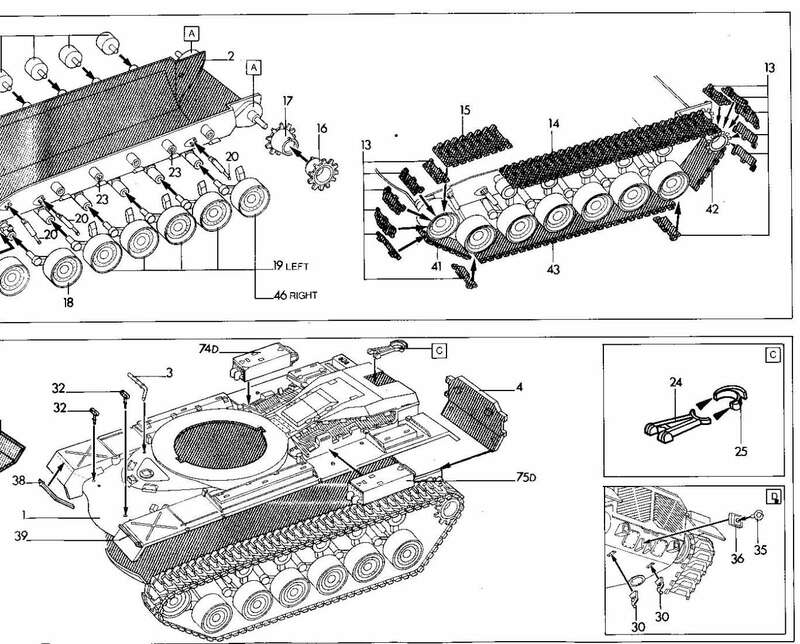 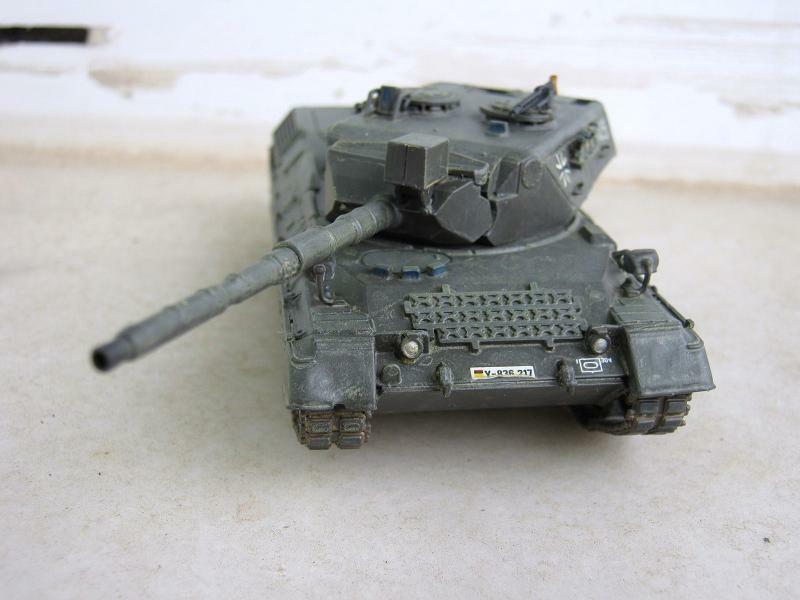 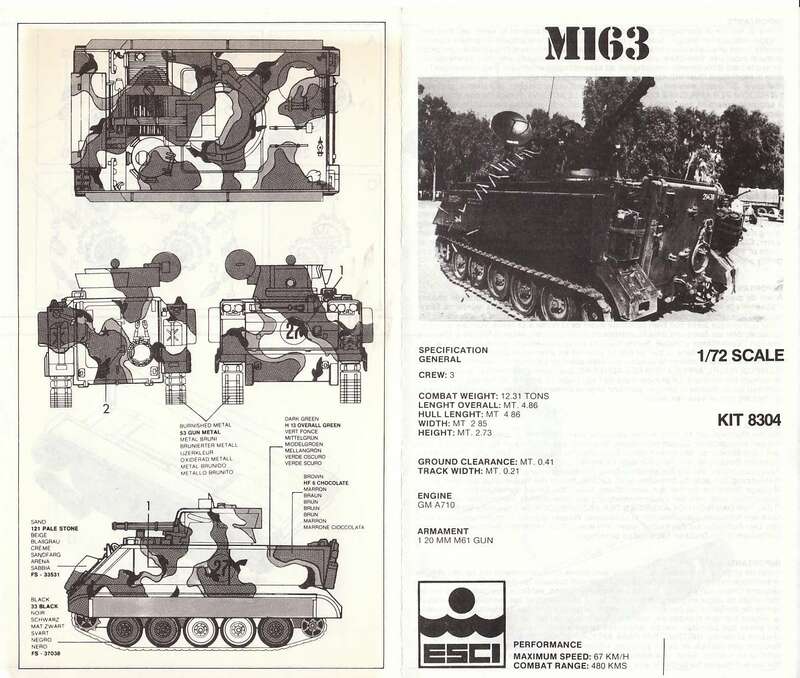 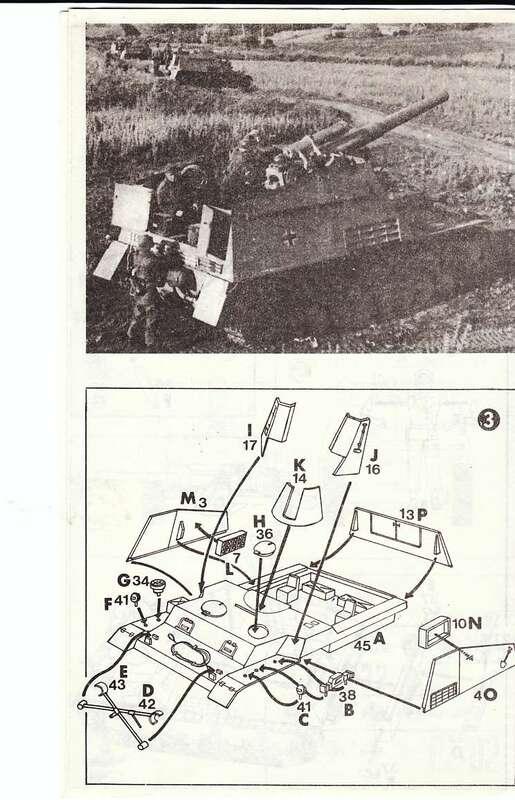 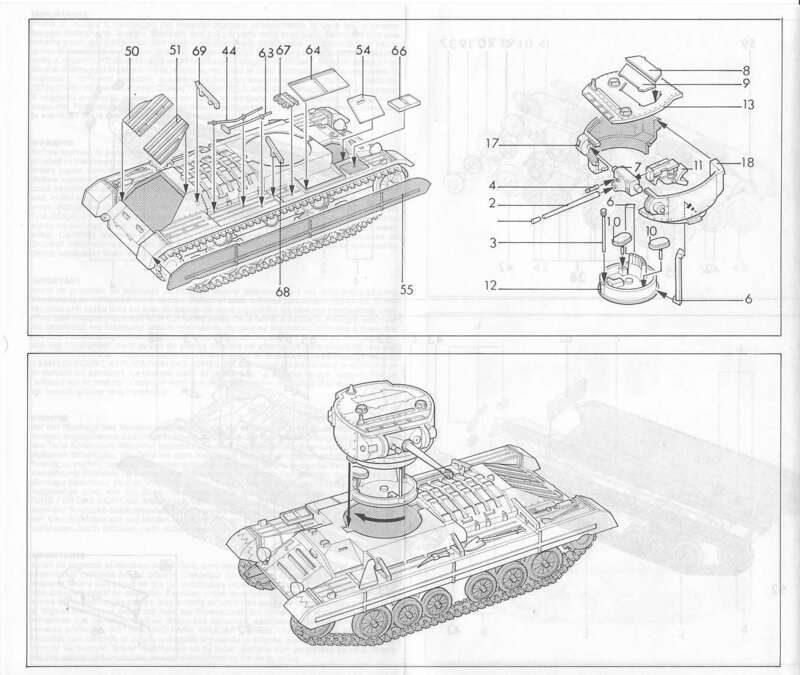 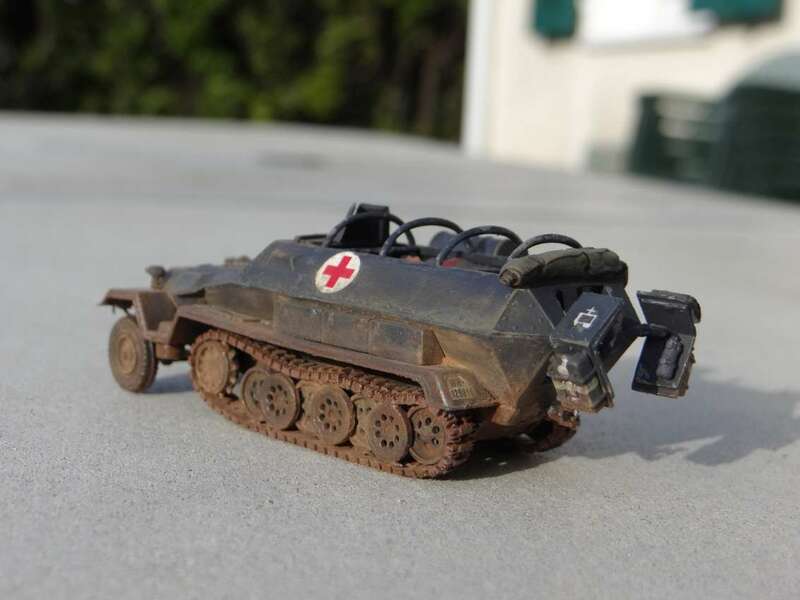 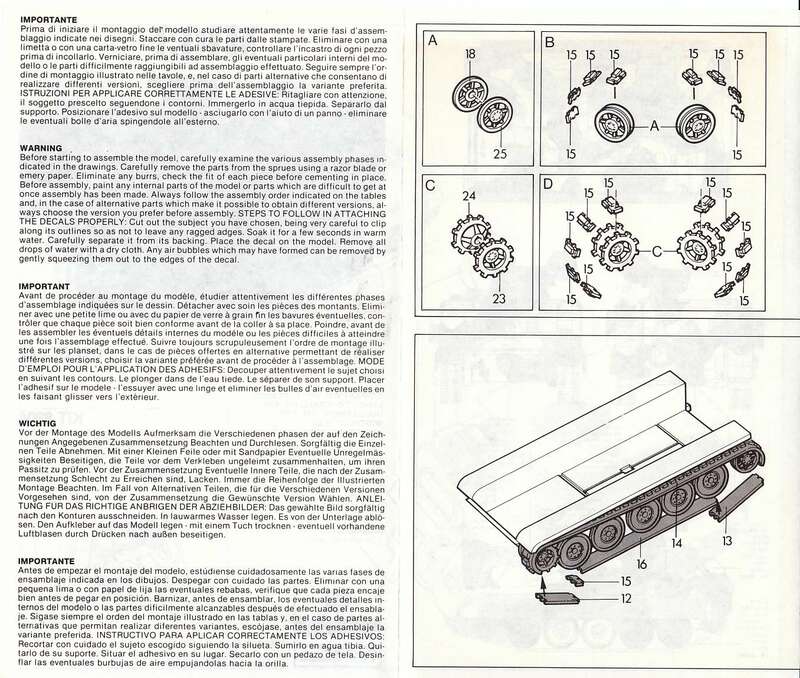 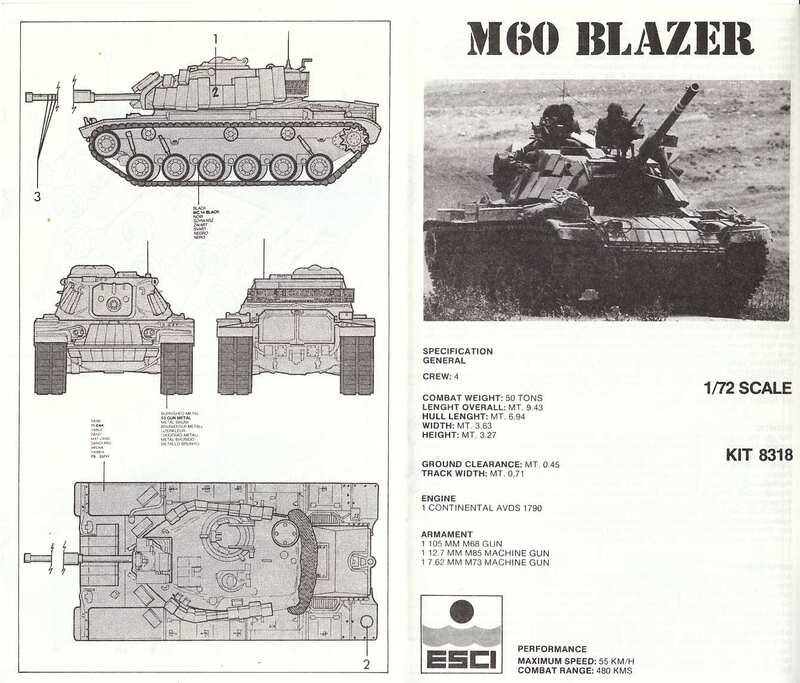 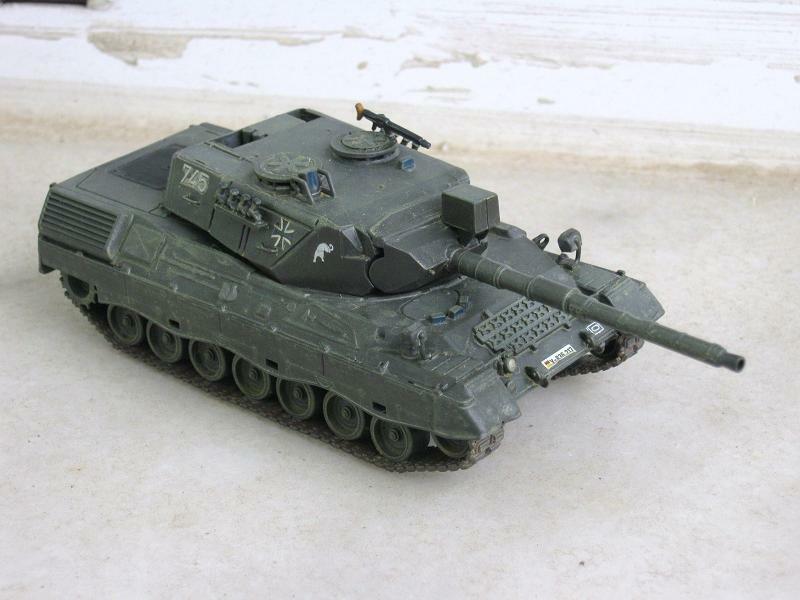 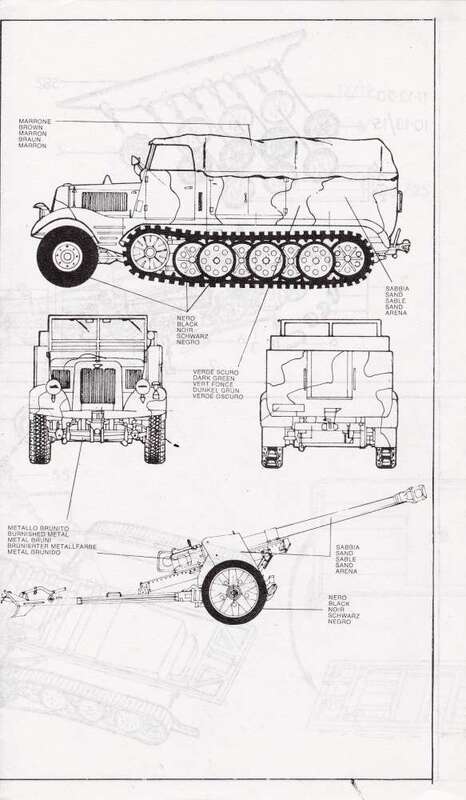 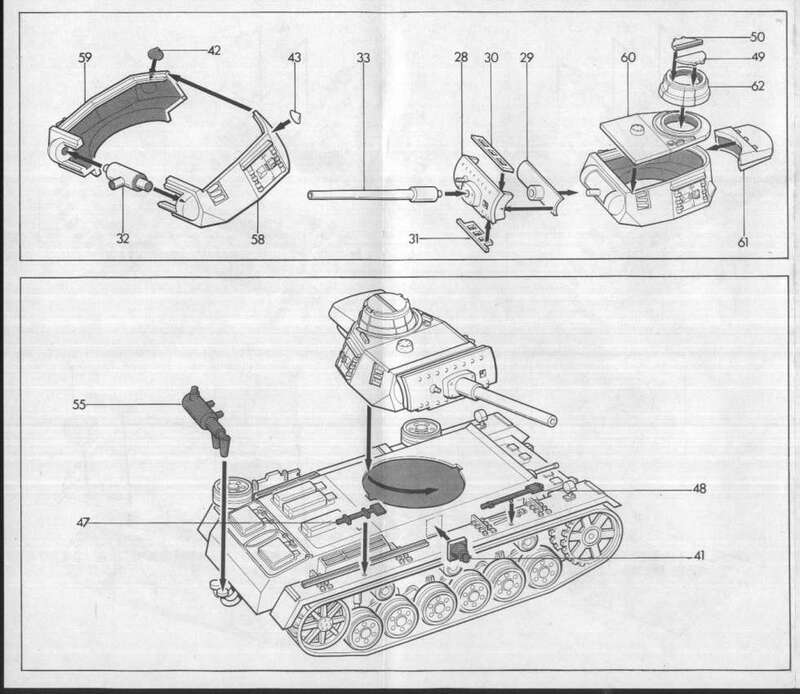 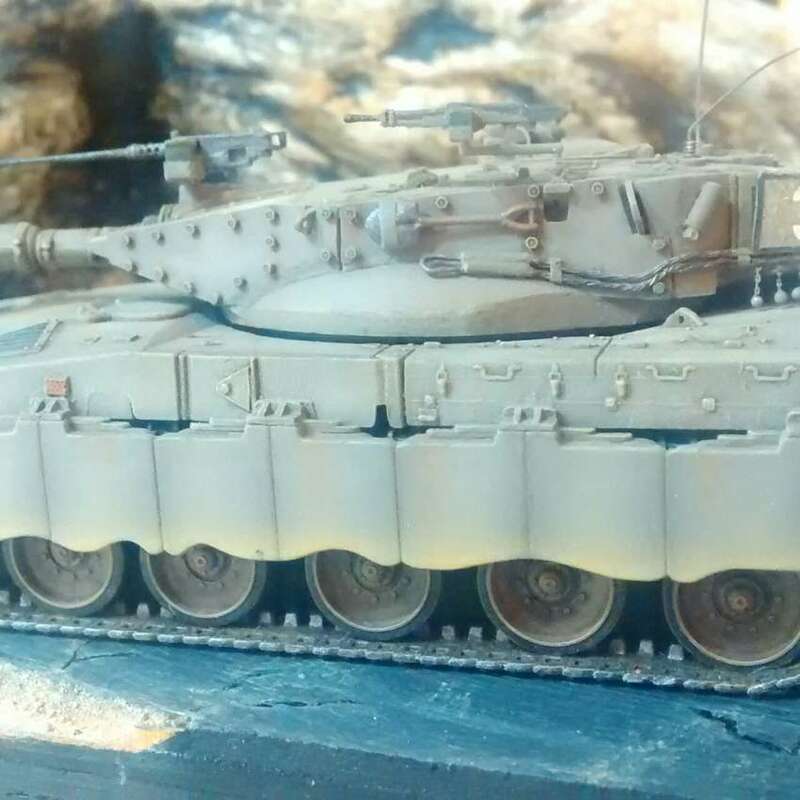 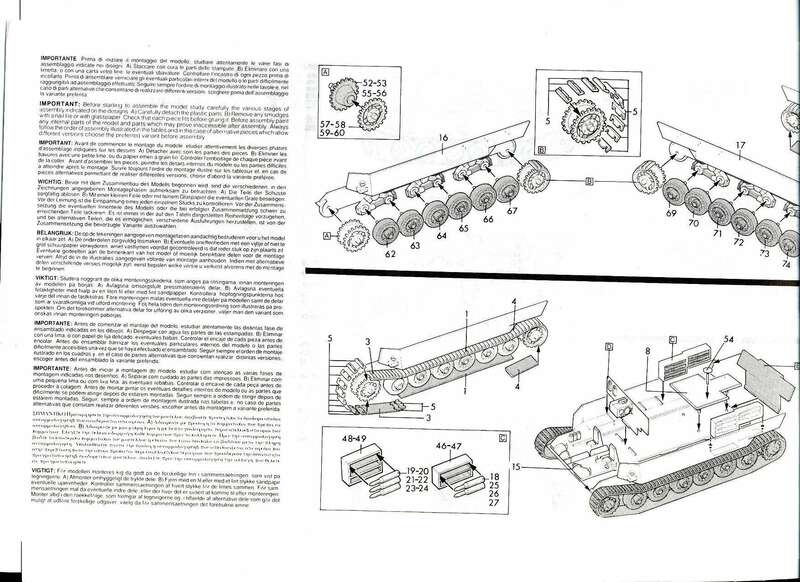 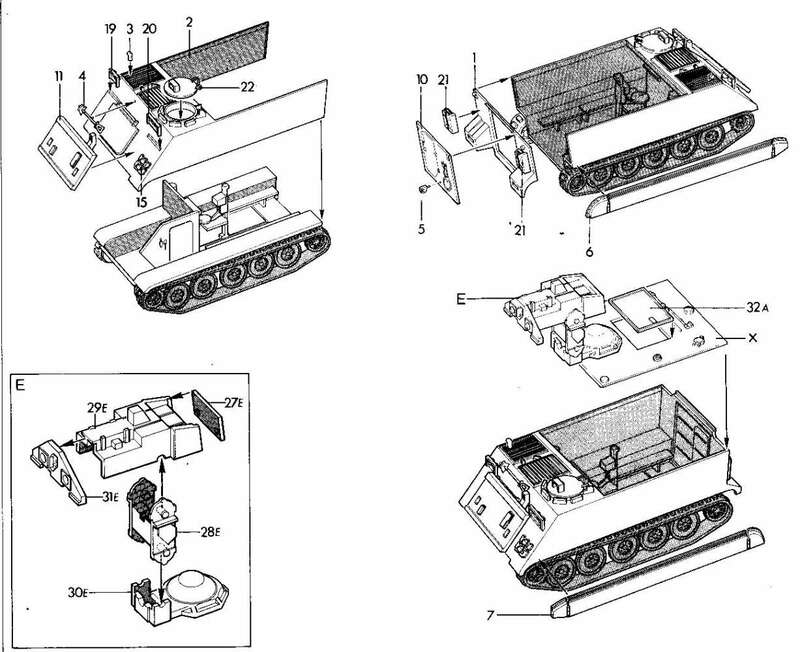 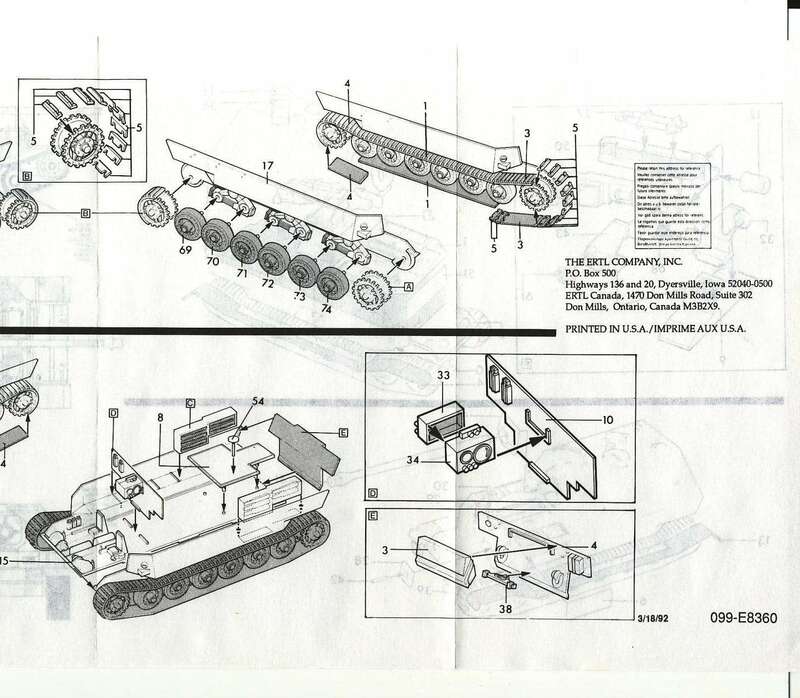 The 8300 series In 1987 Esci dropped a bombshell in the by then dormant 1/72 armor land : they started the 8300 series containing many new modern armor kits. 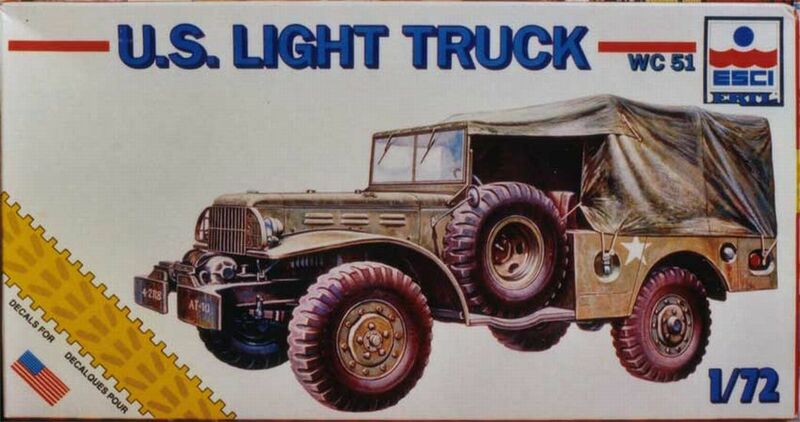 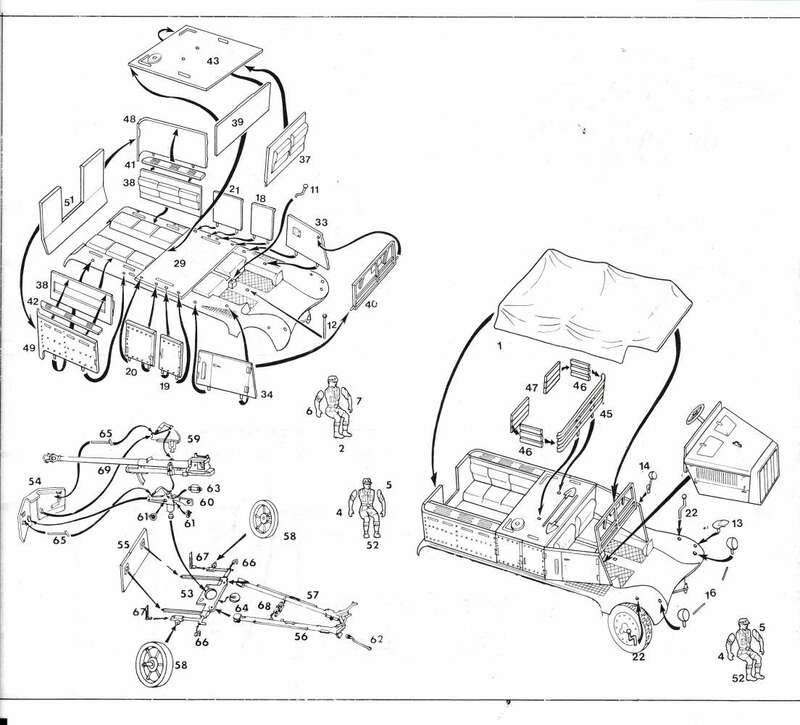 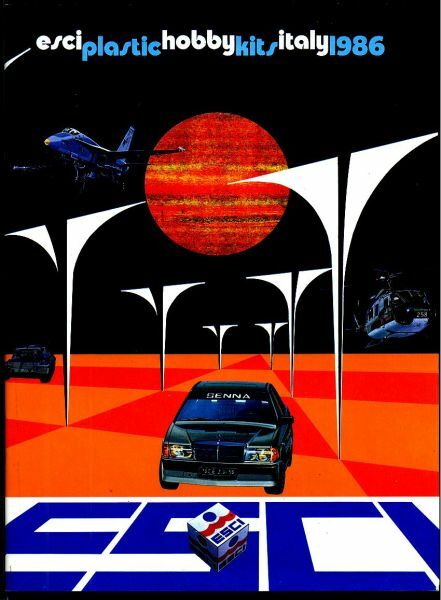 They also returned to the "Whitebox" format with only a painting of the vehicle on both box sides. 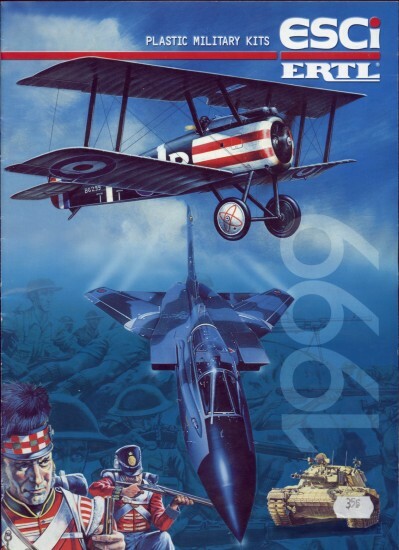 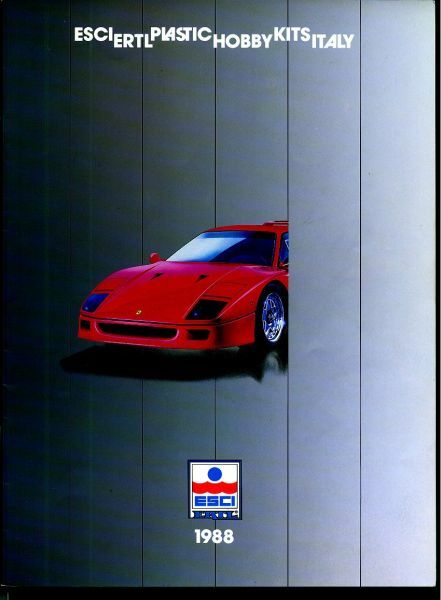 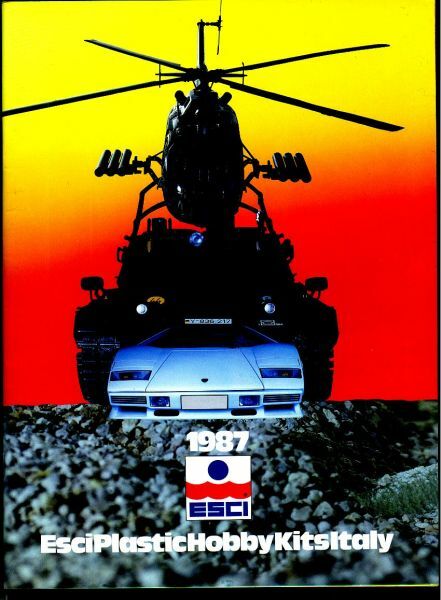 (luckily they didn't go with the real model picture boxart so "popular" then...). 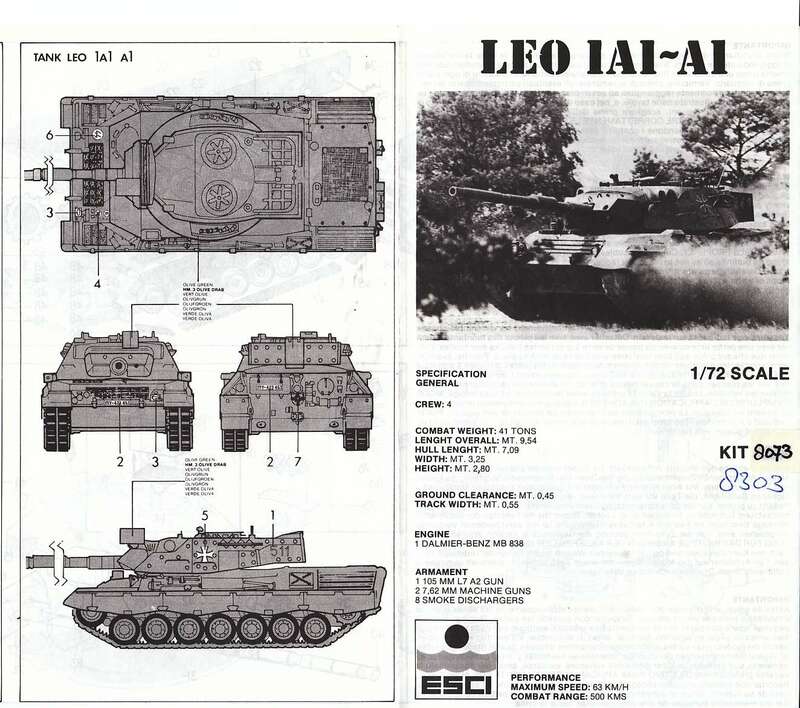 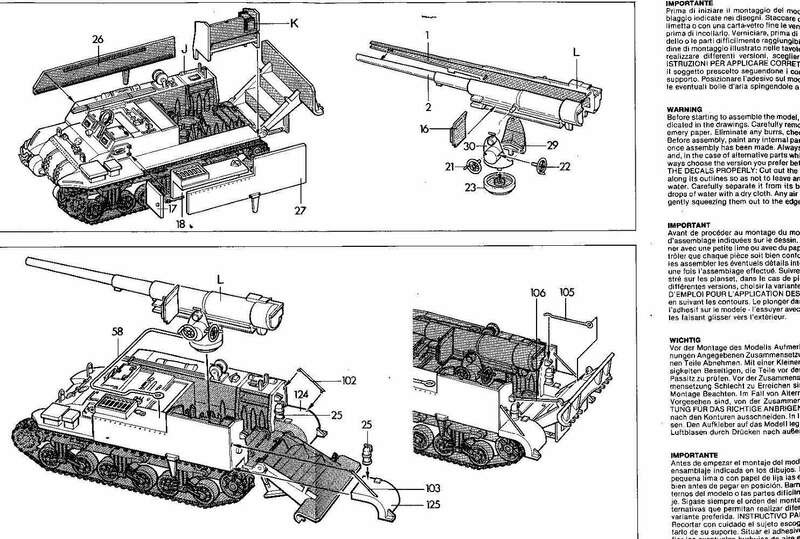 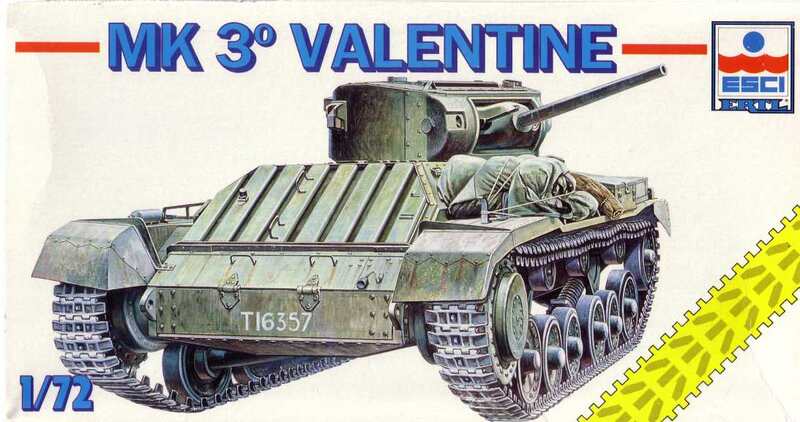 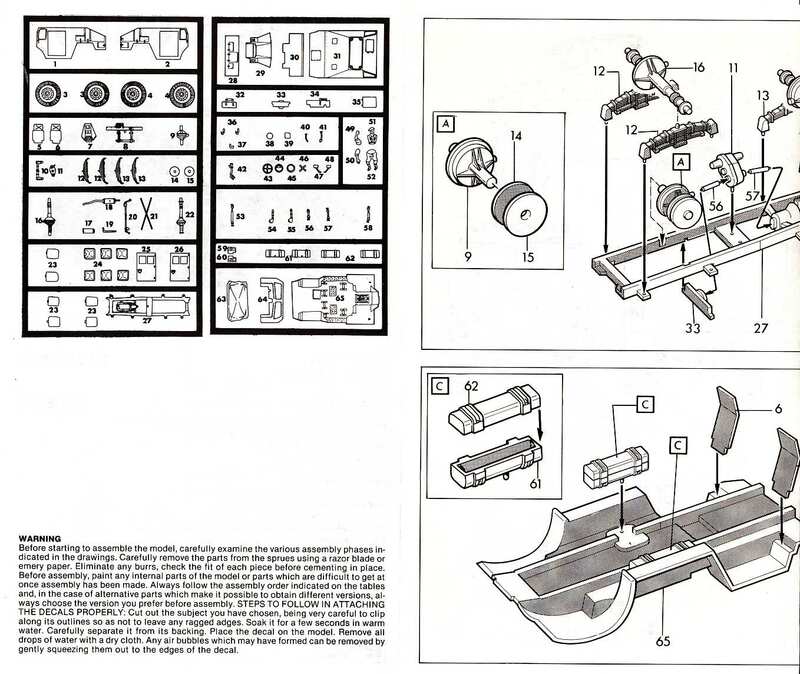 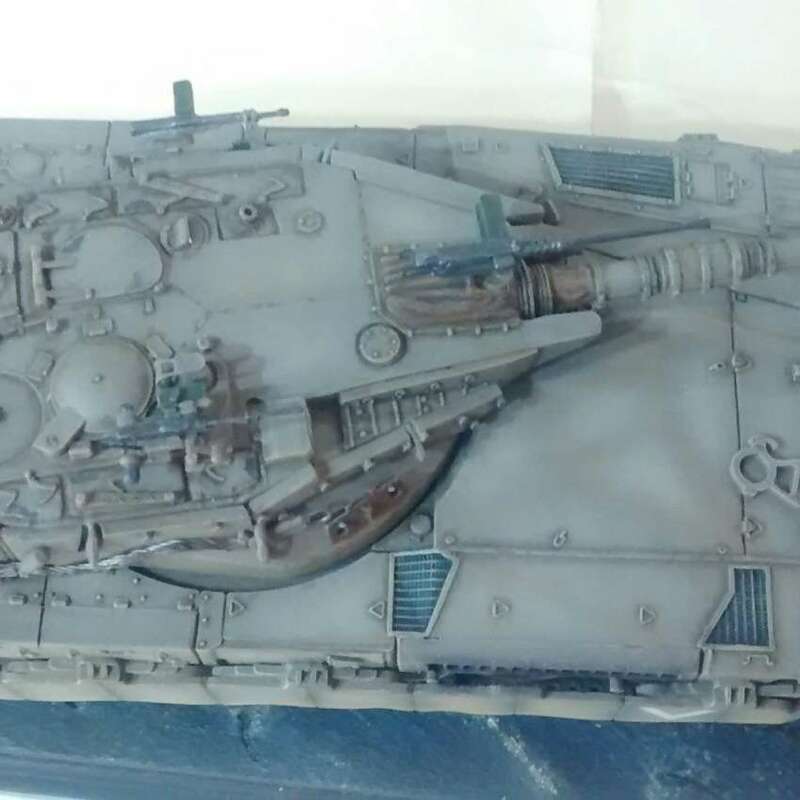 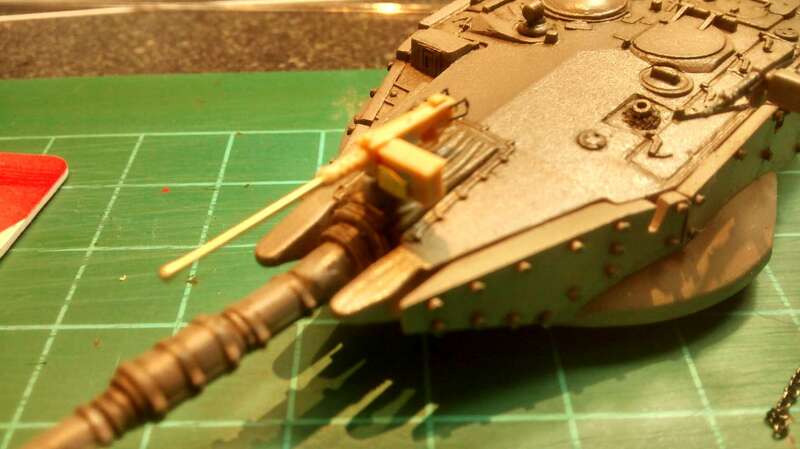 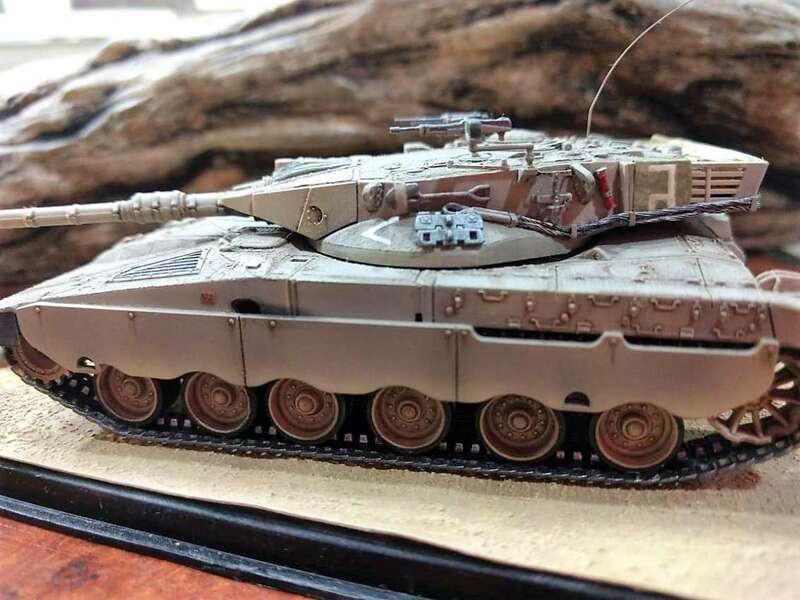 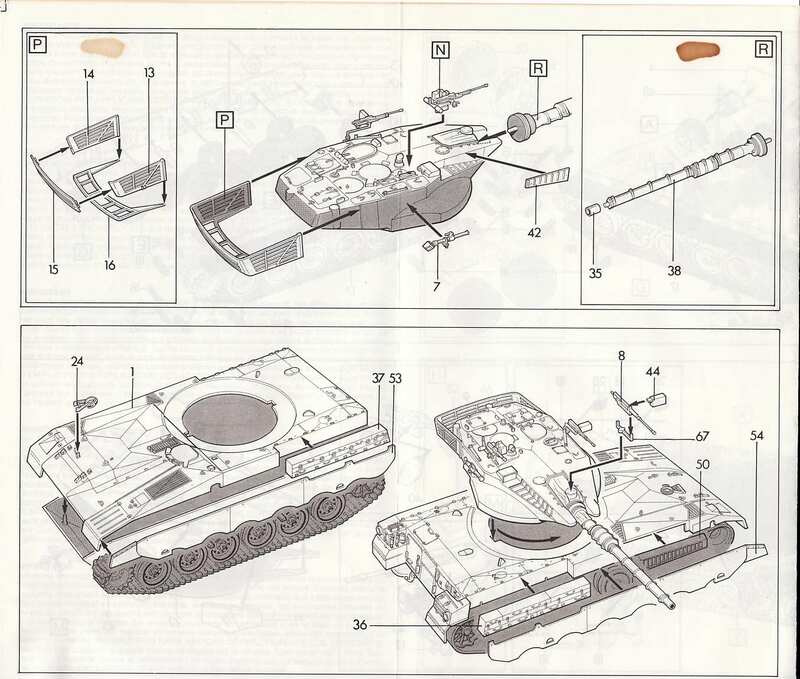 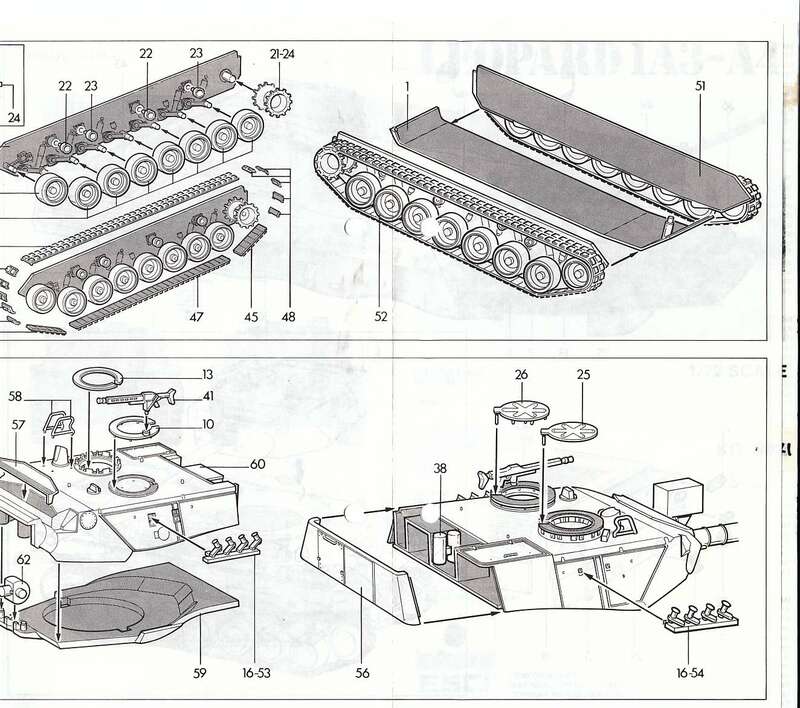 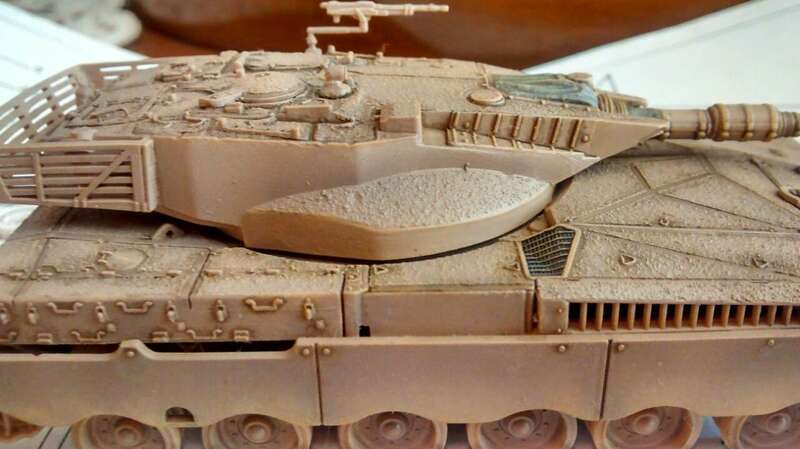 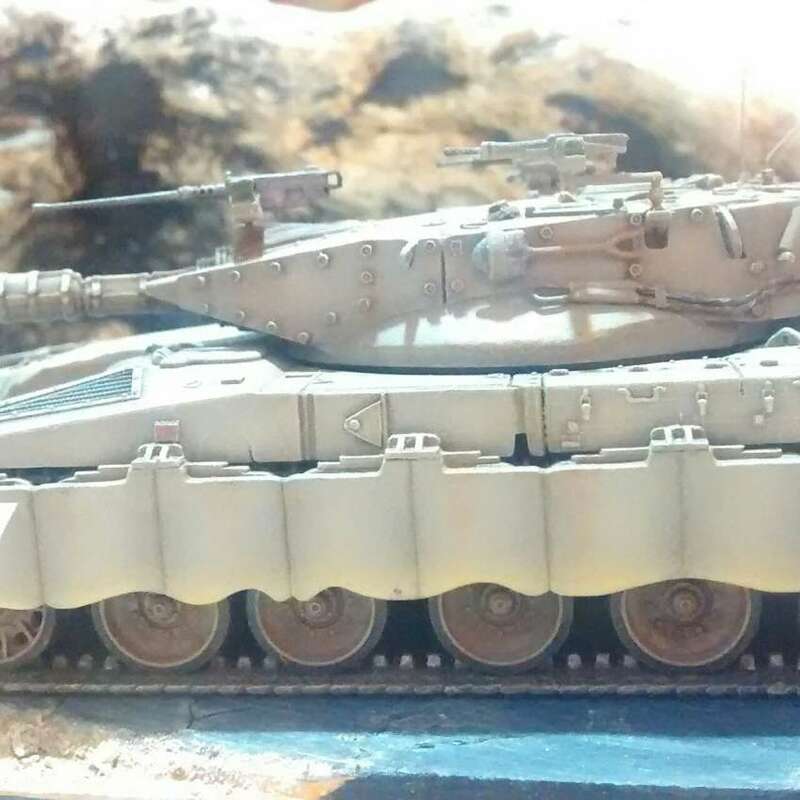 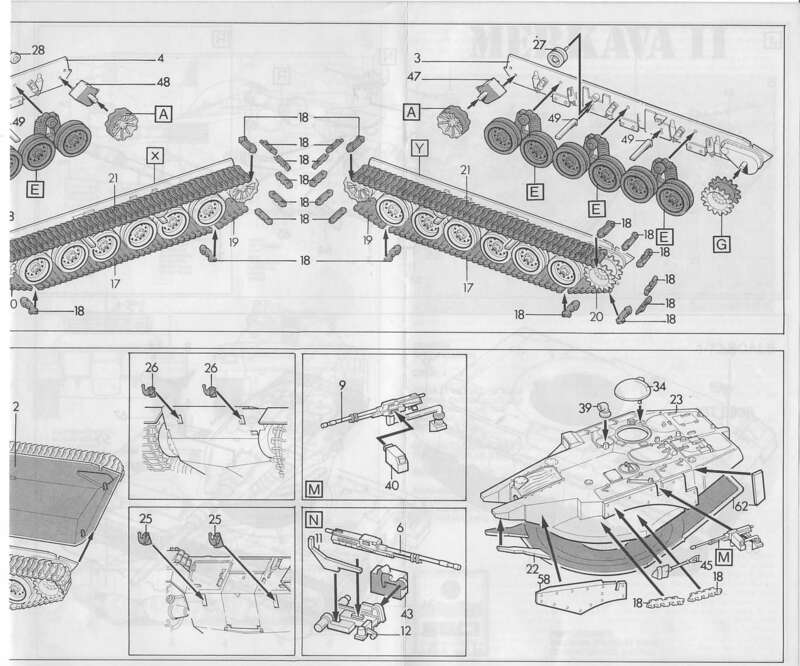 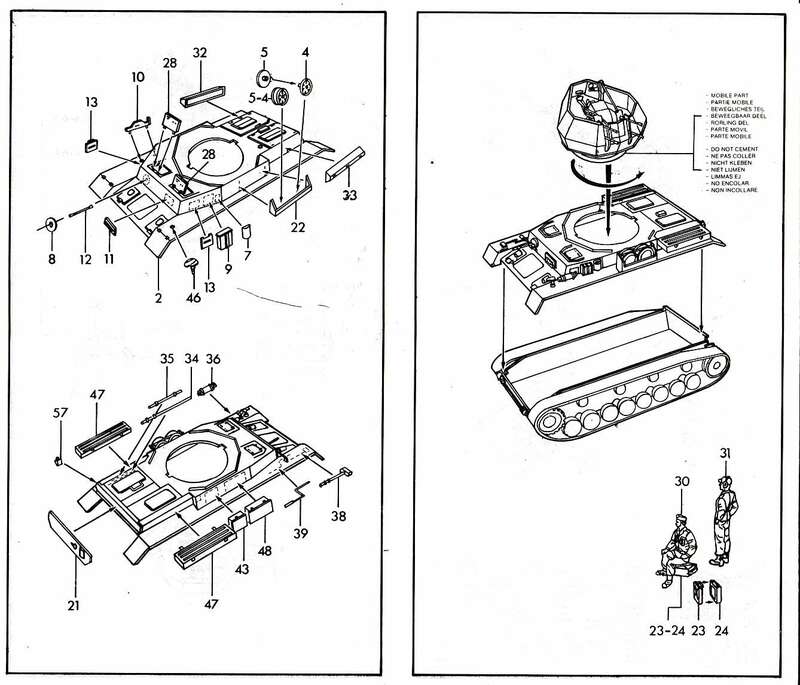 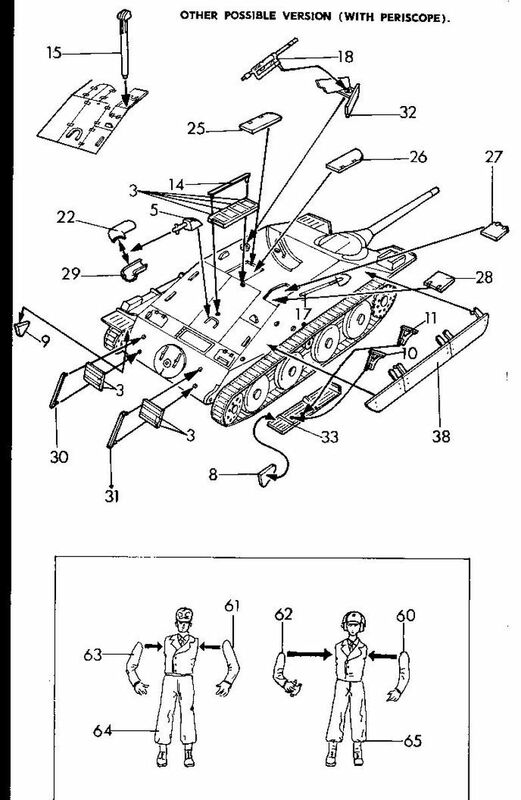 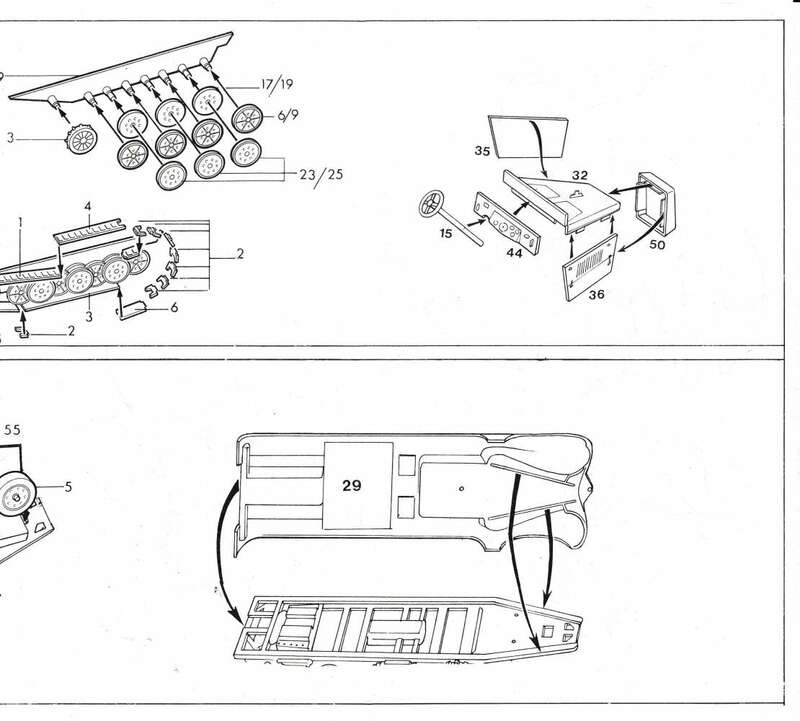 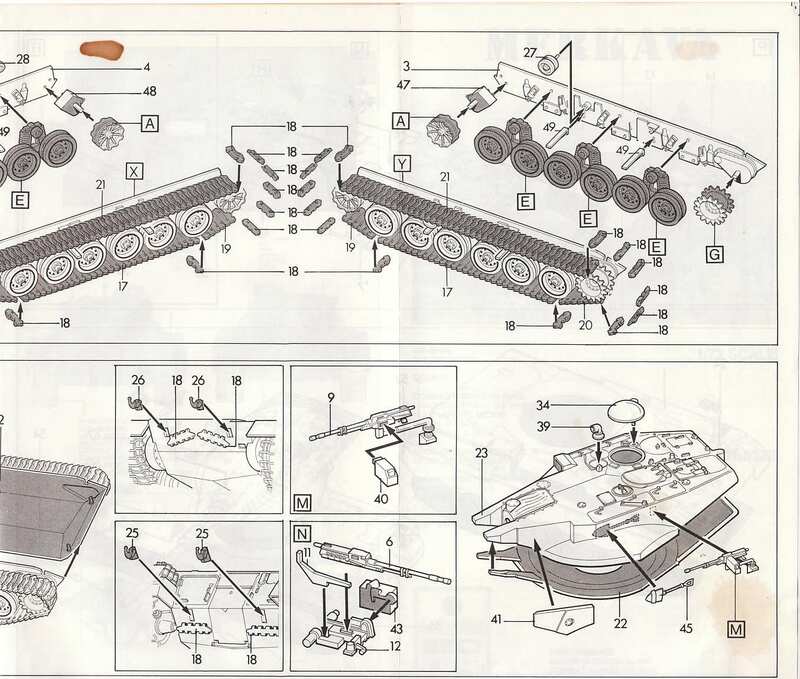 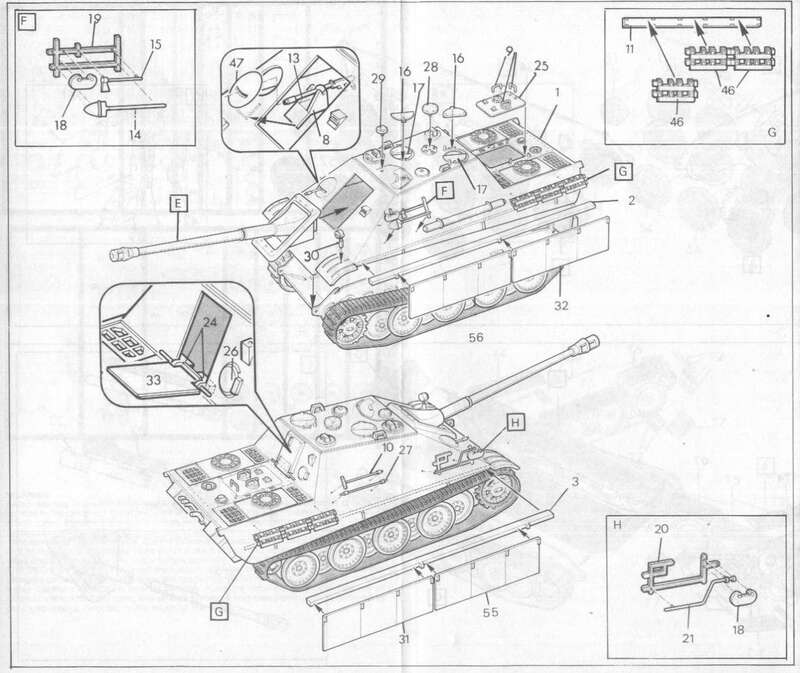 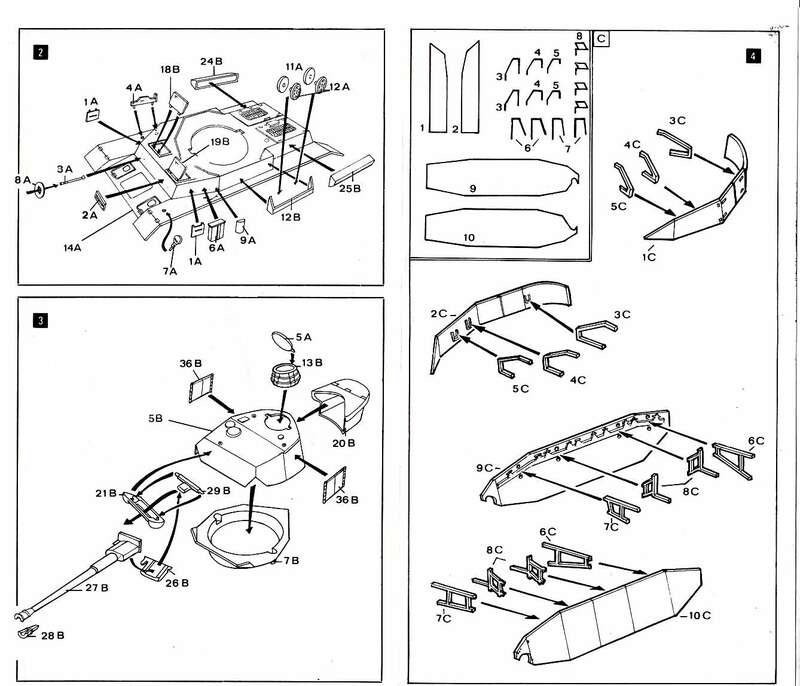 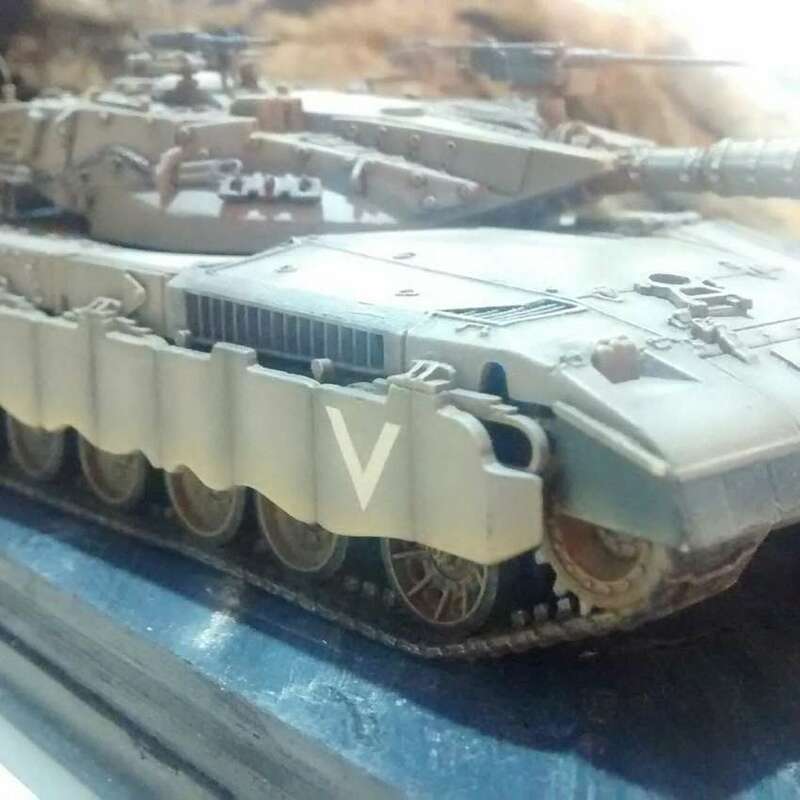 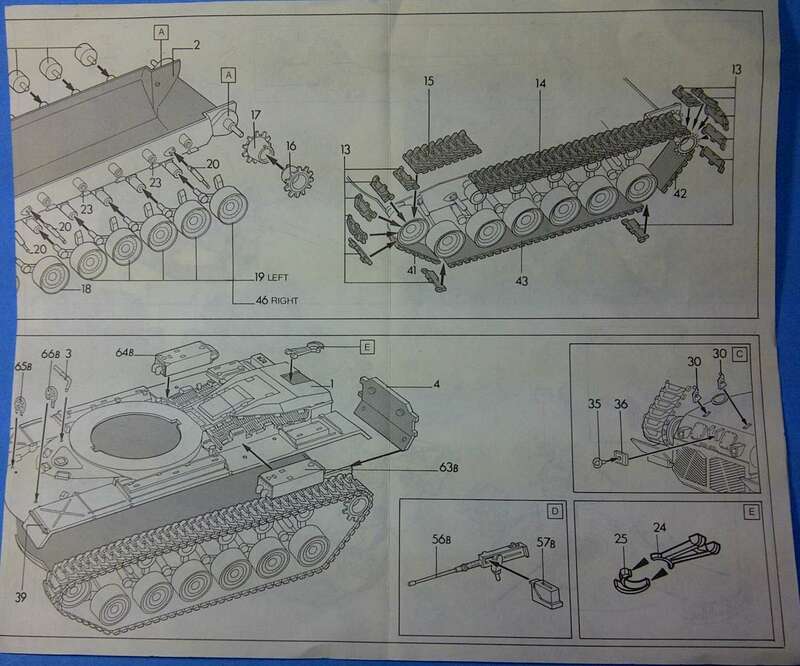 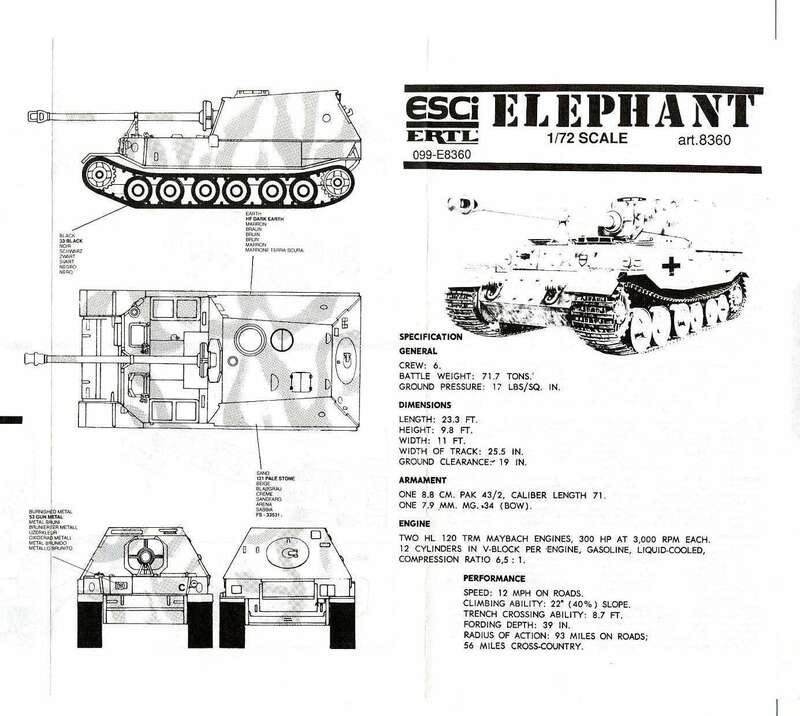 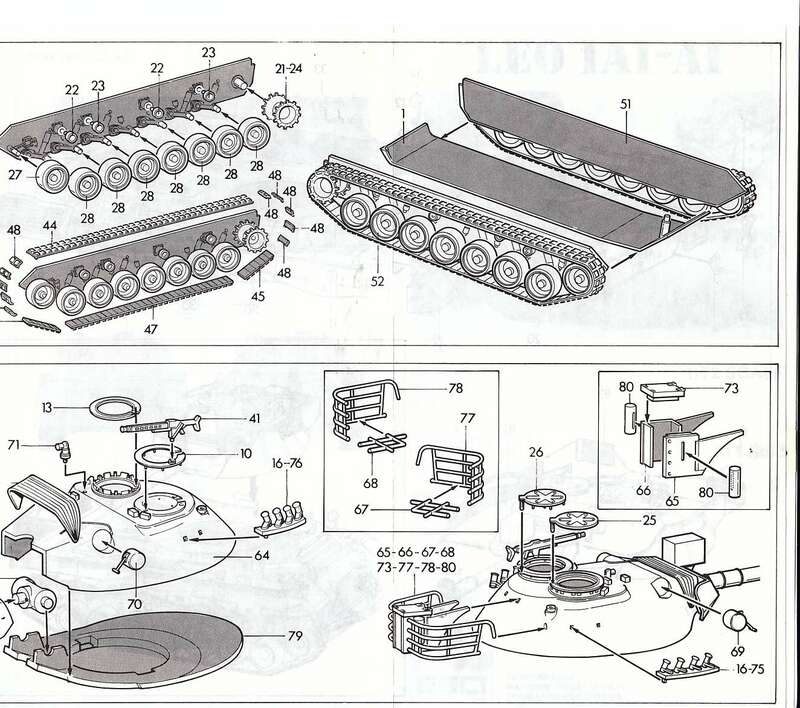 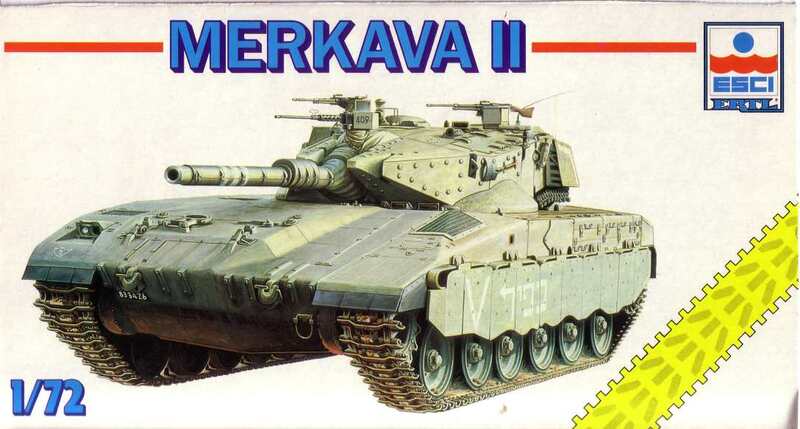 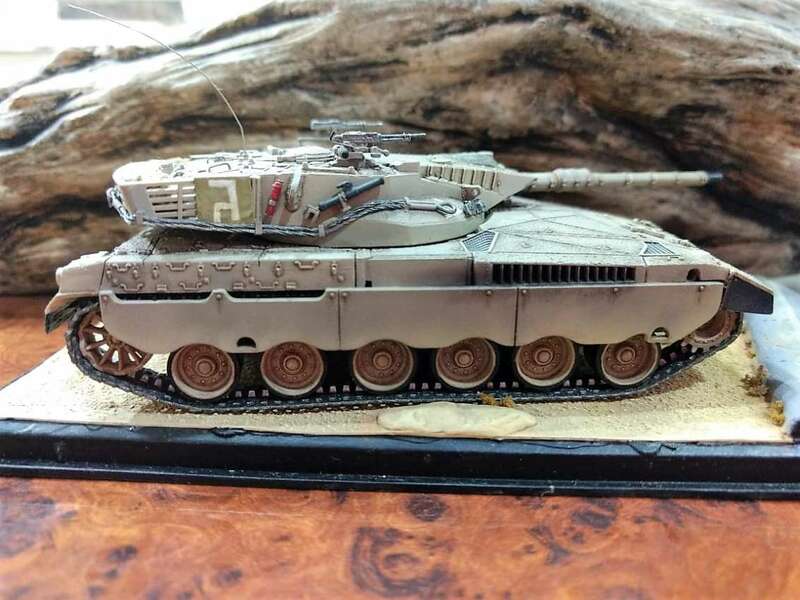 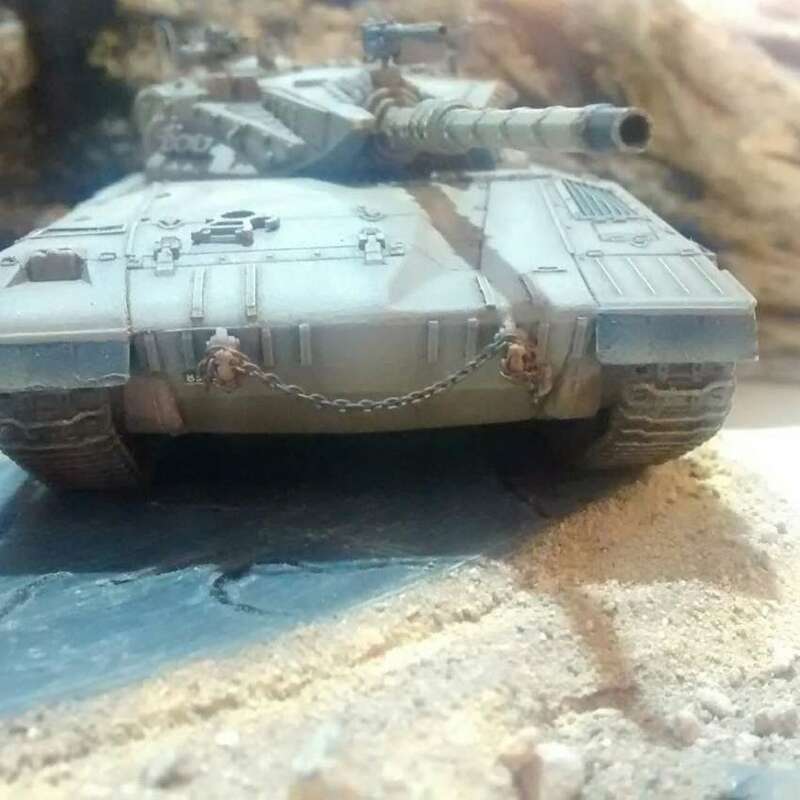 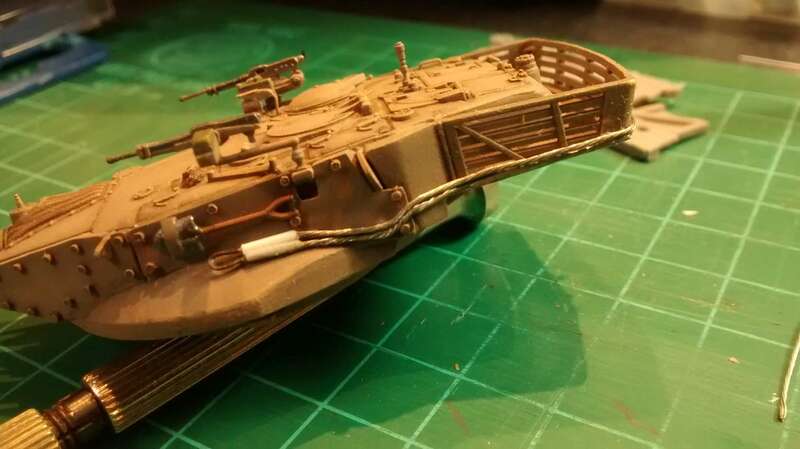 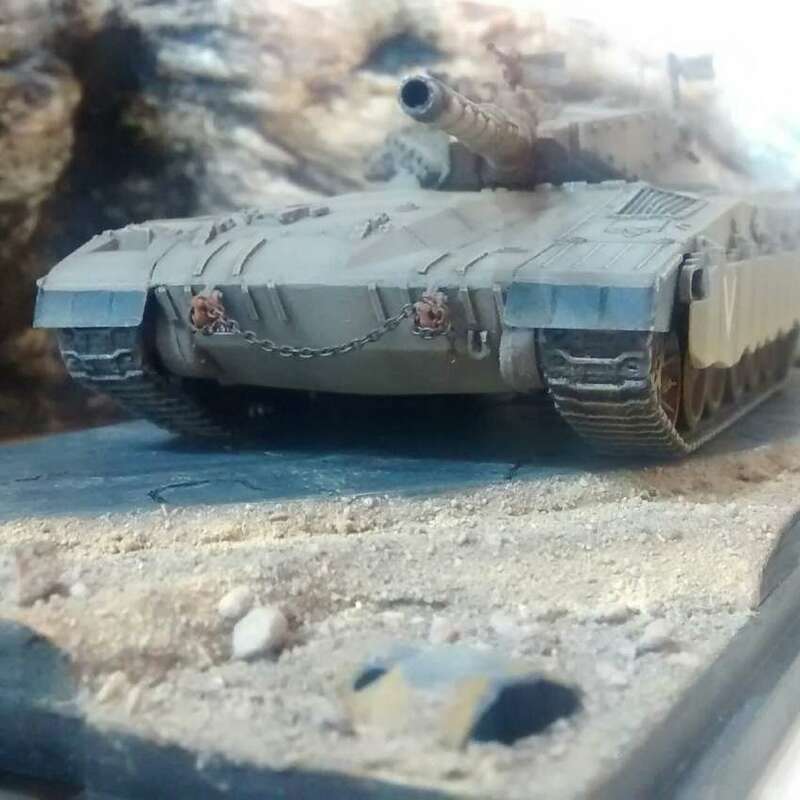 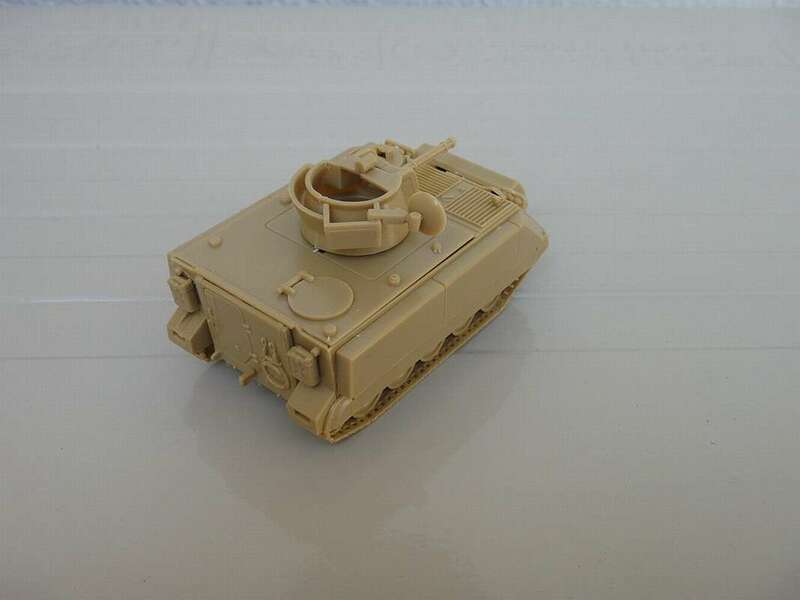 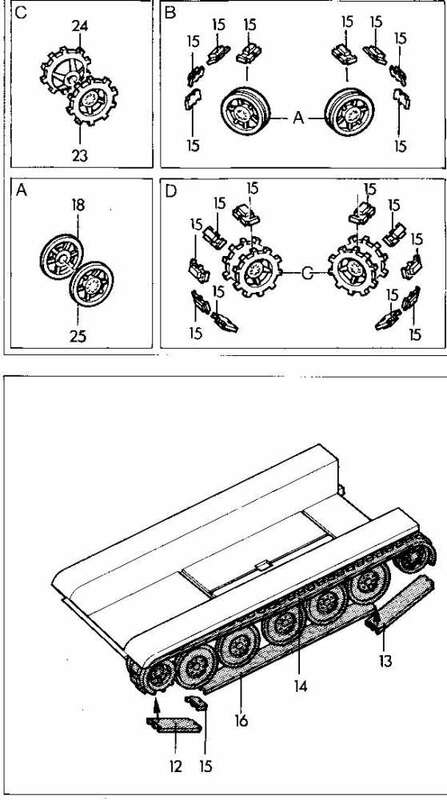 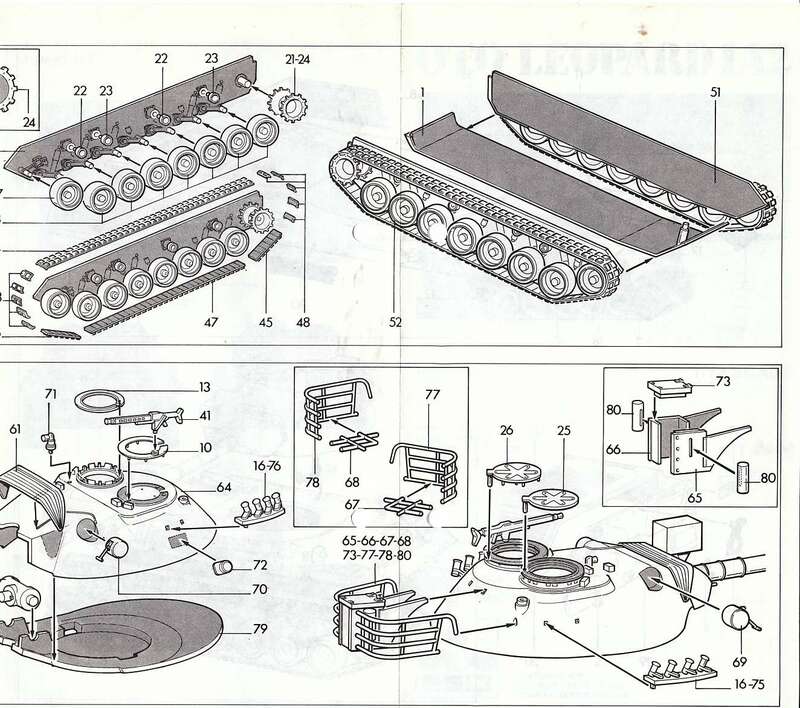 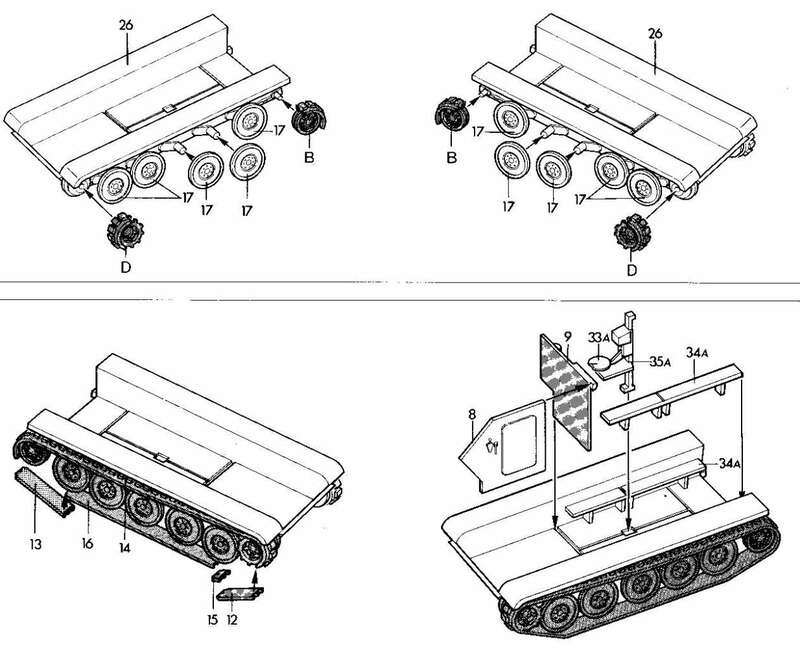 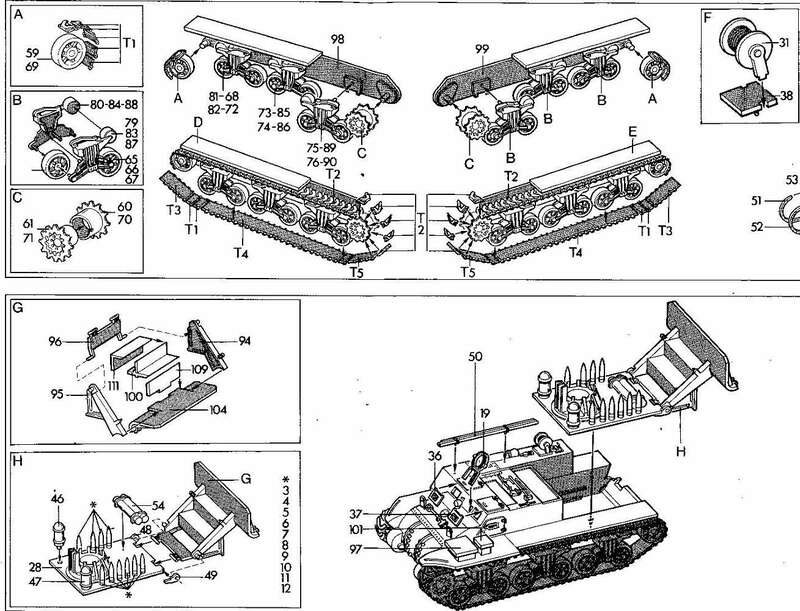 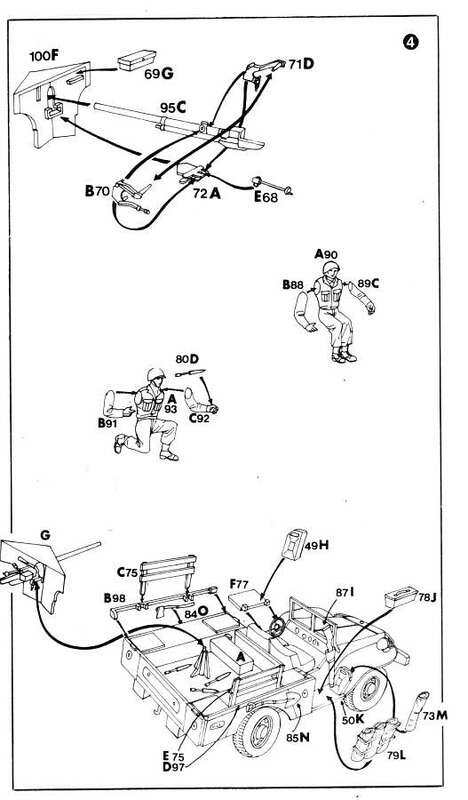 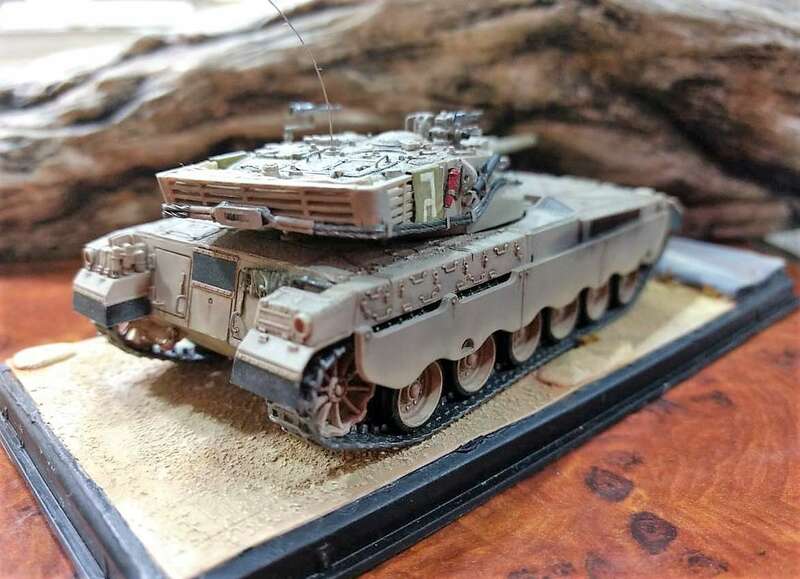 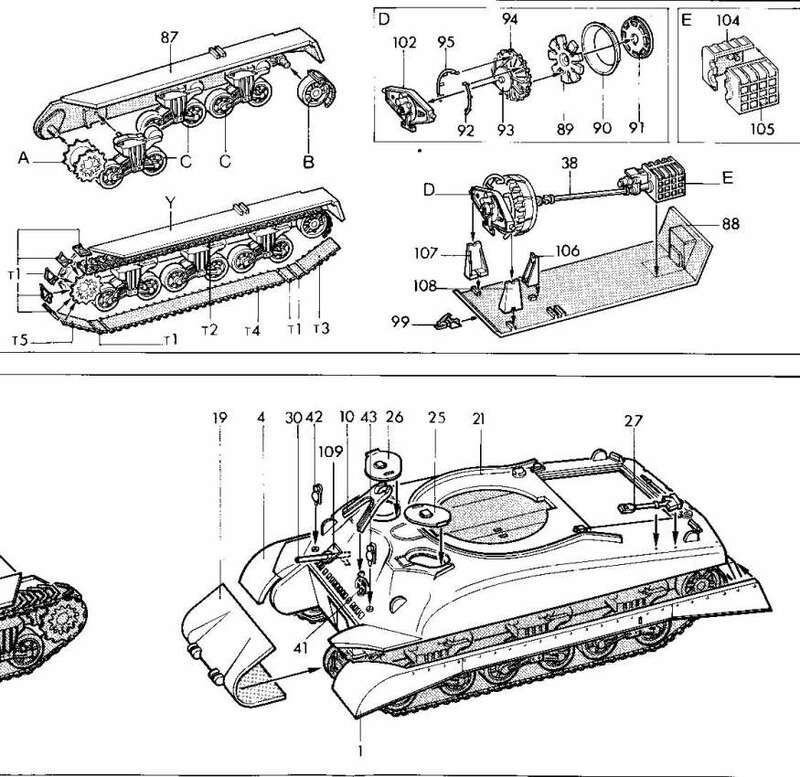 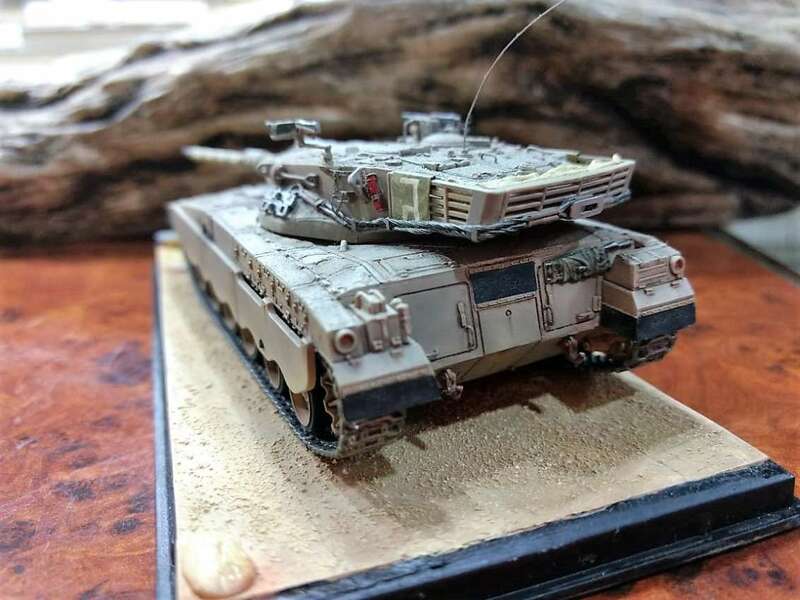 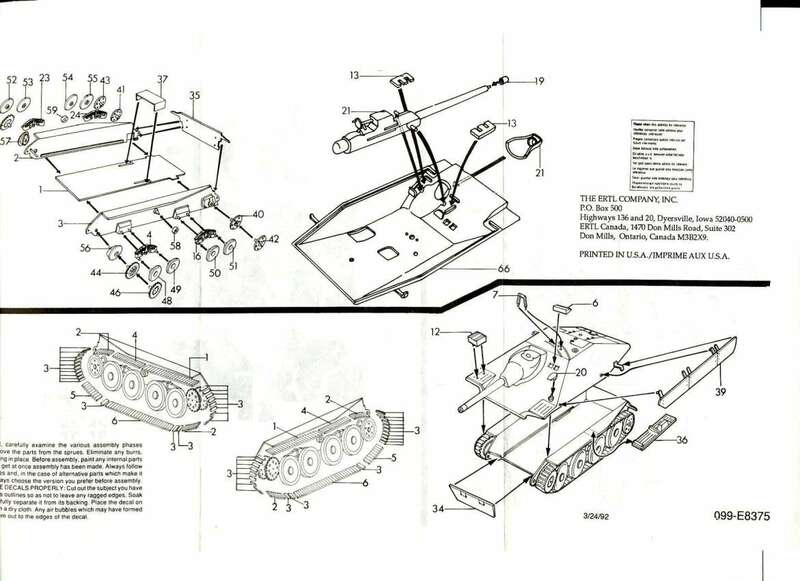 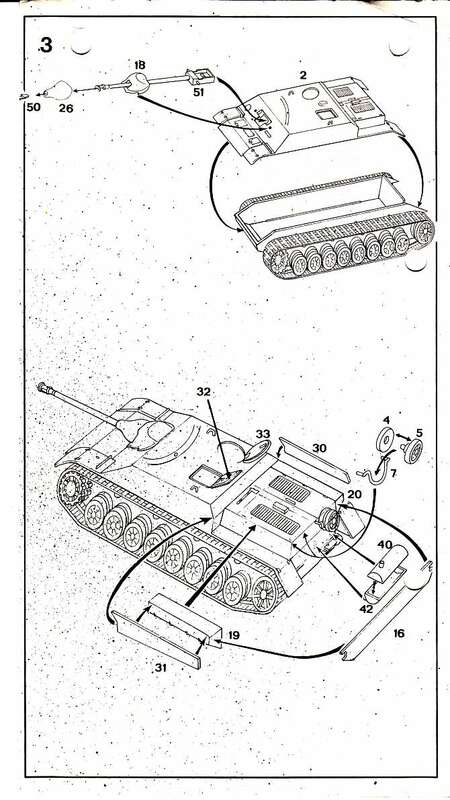 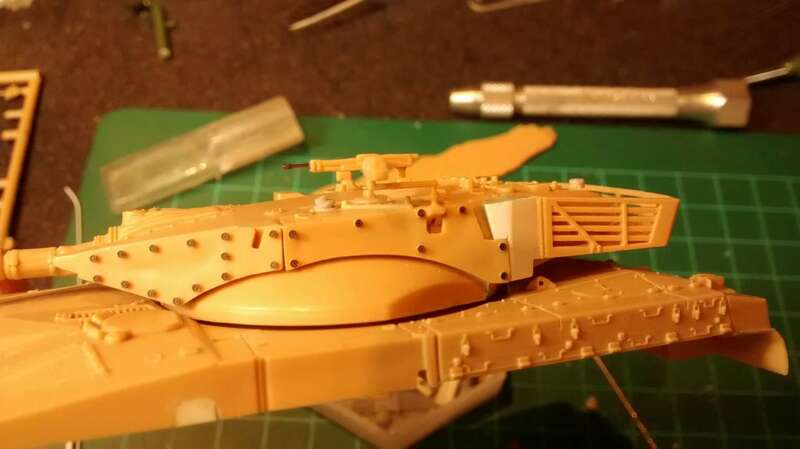 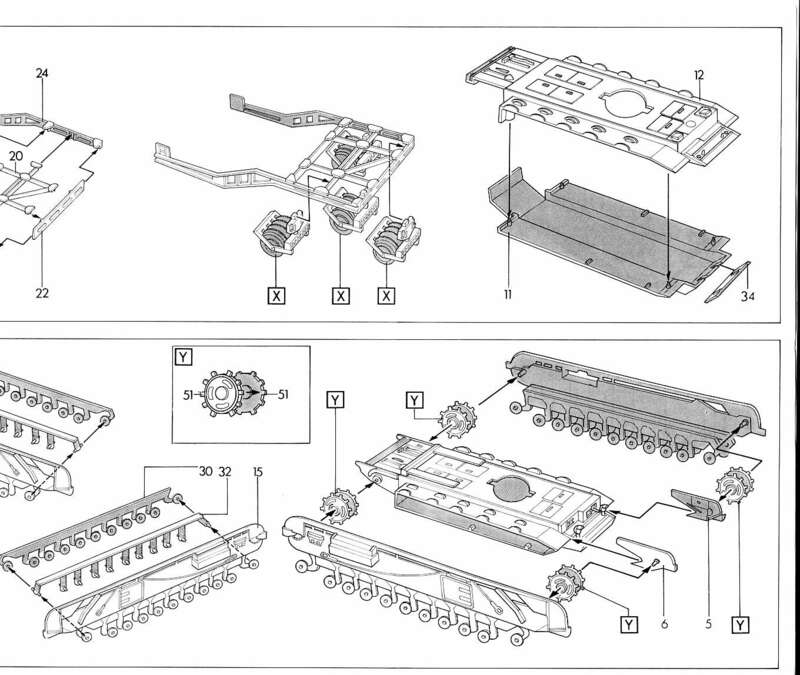 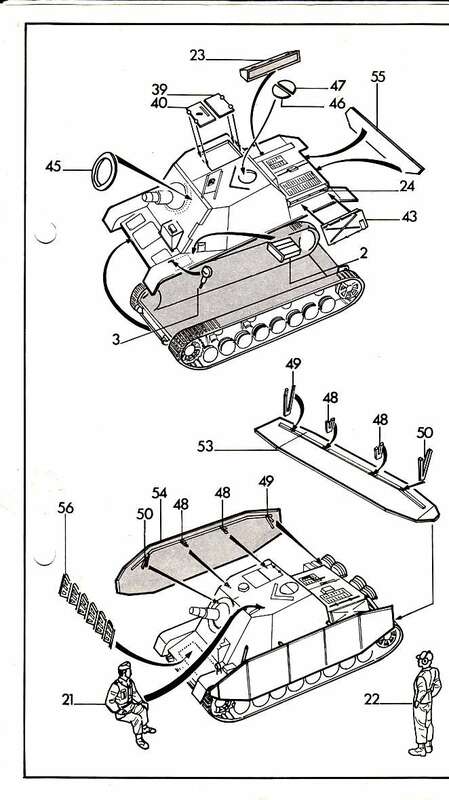 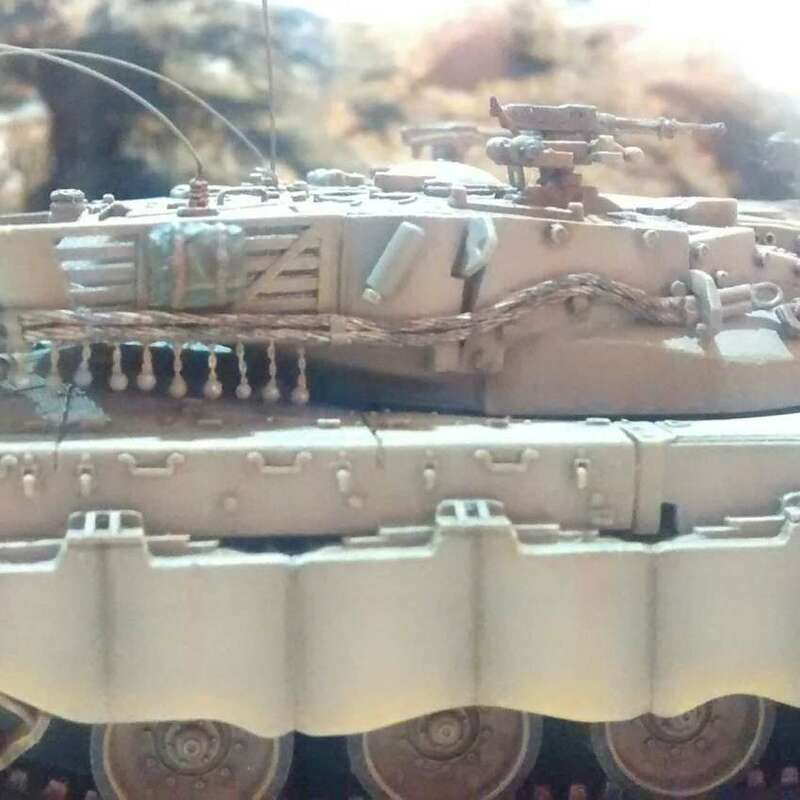 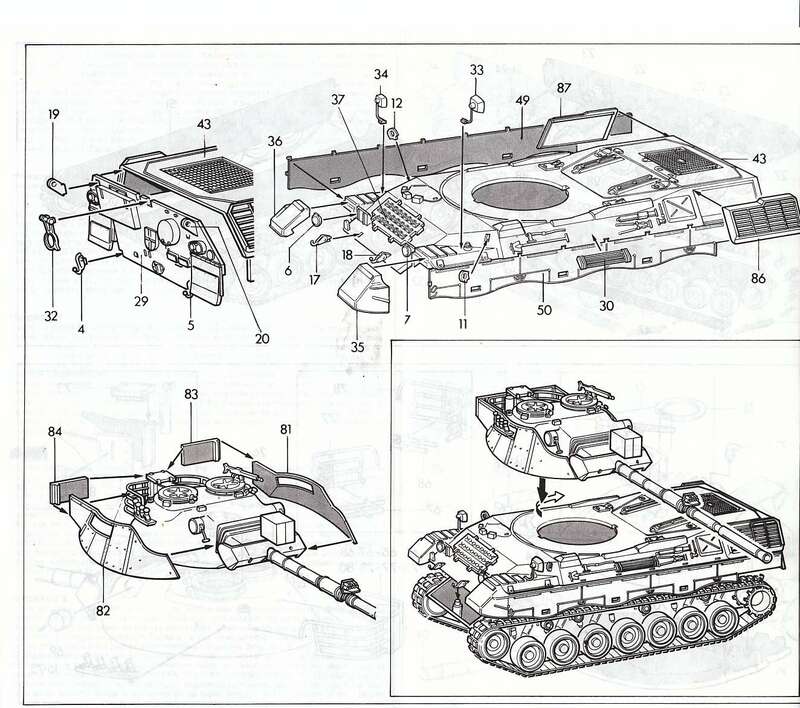 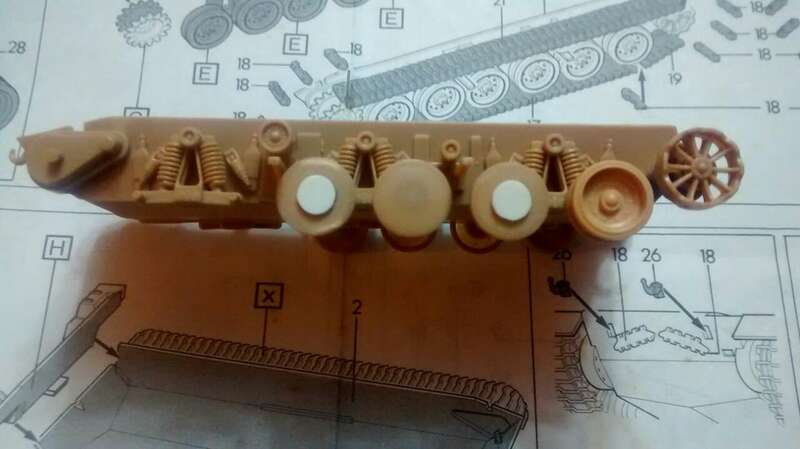 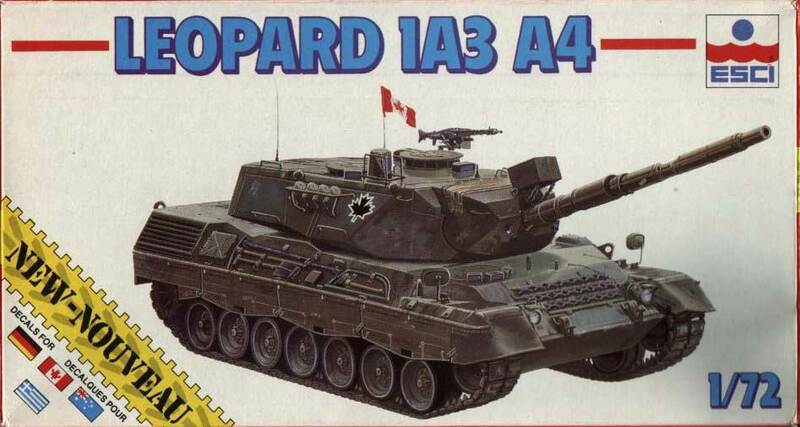 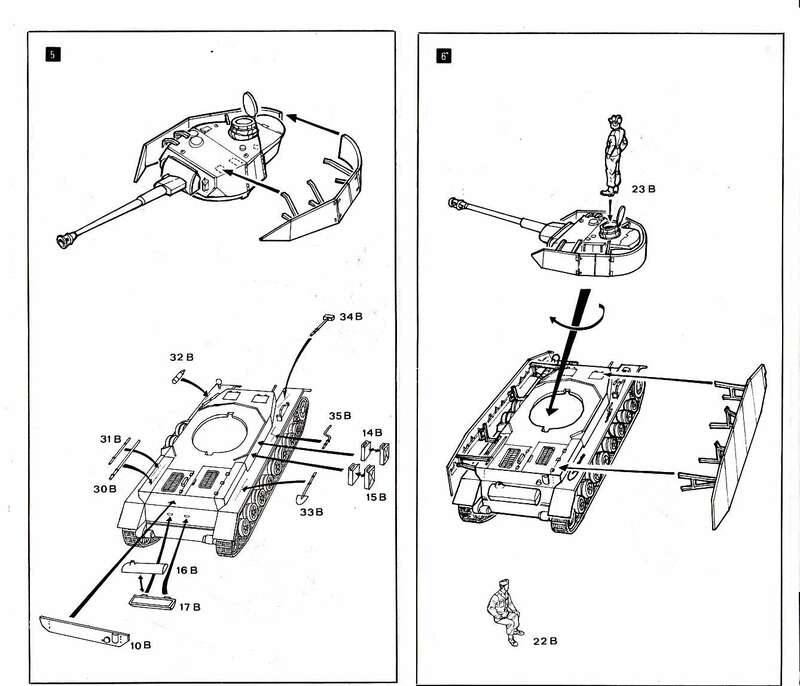 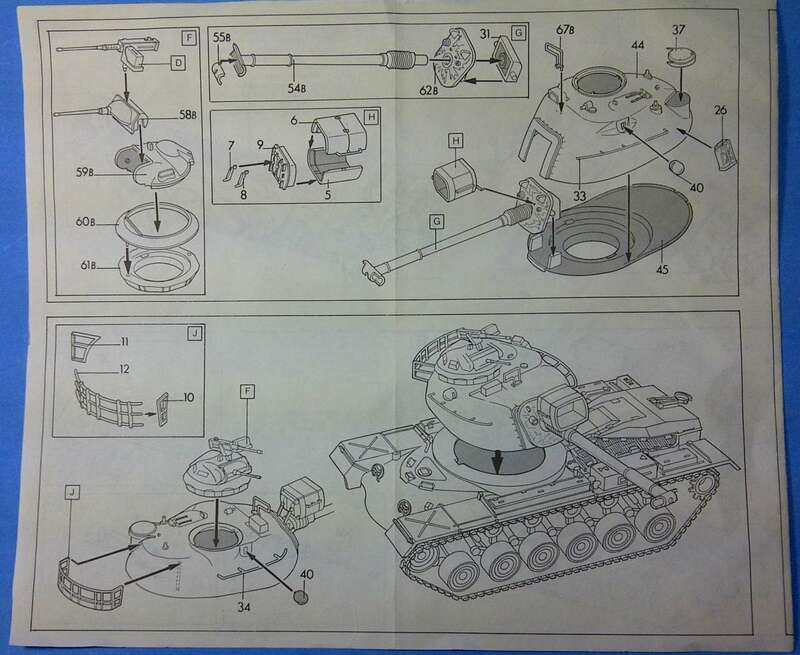 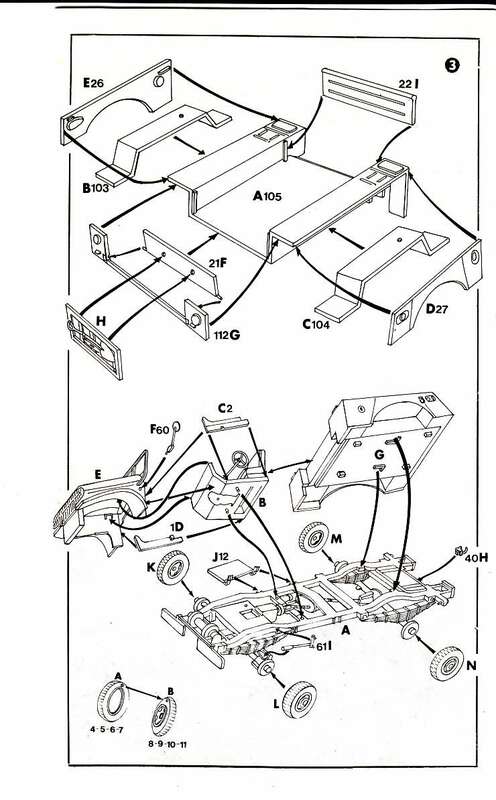 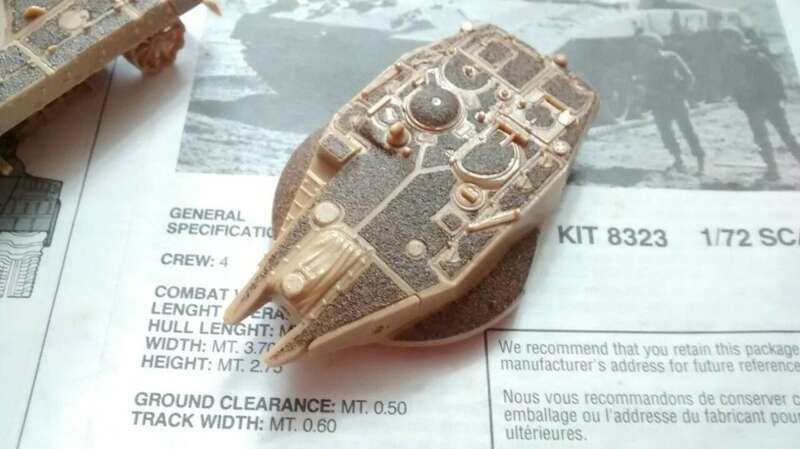 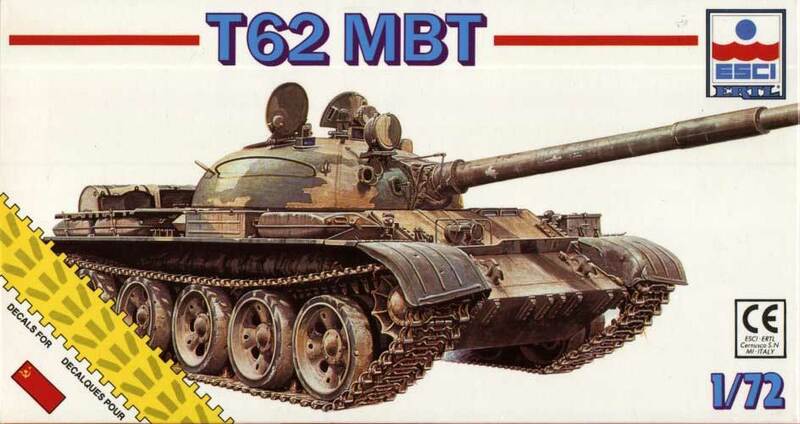 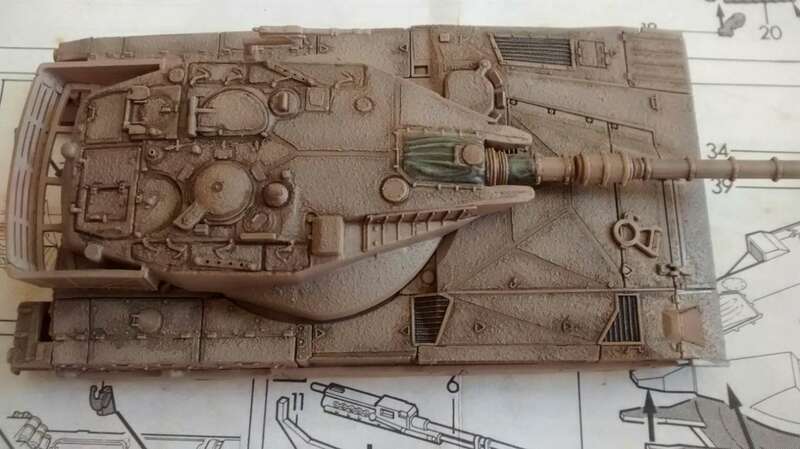 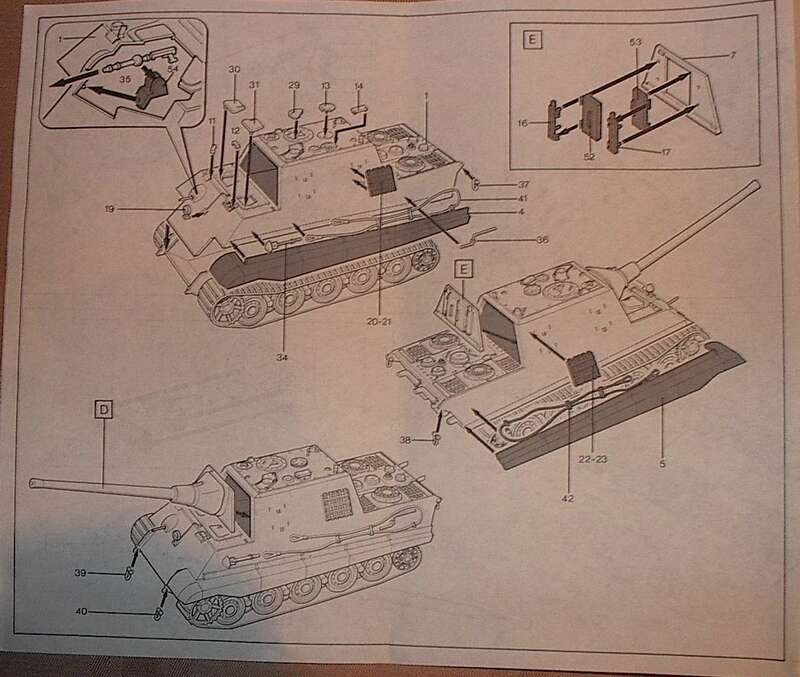 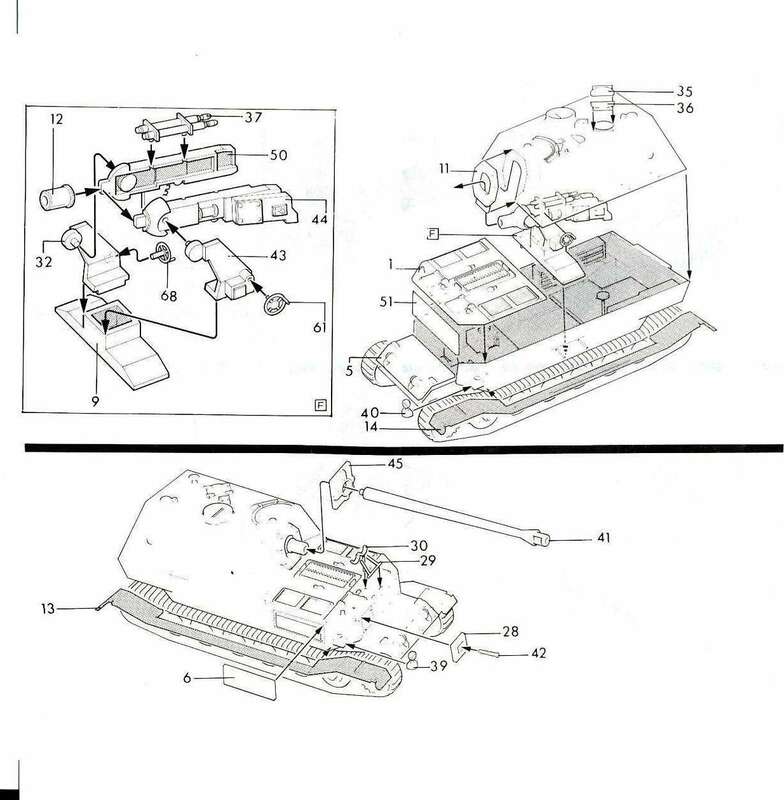 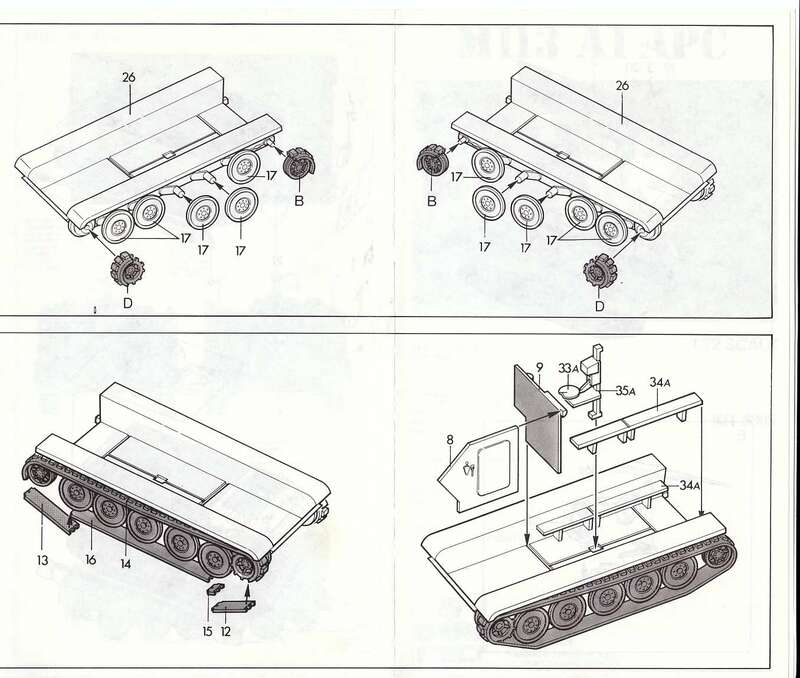 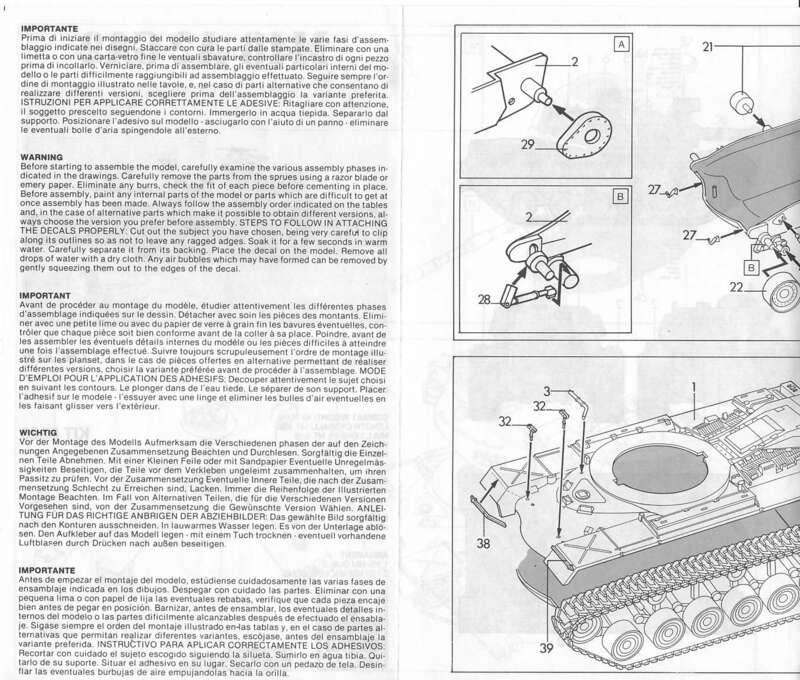 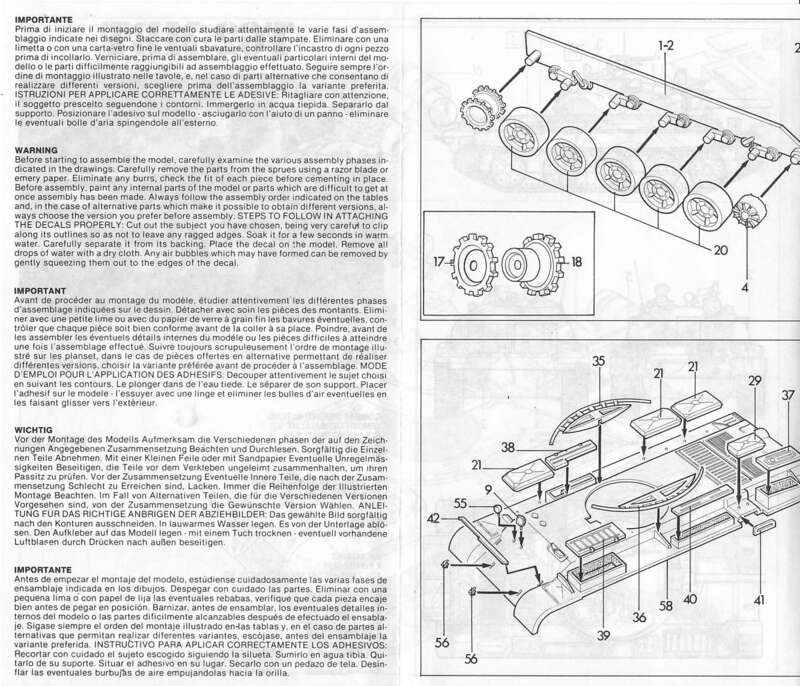 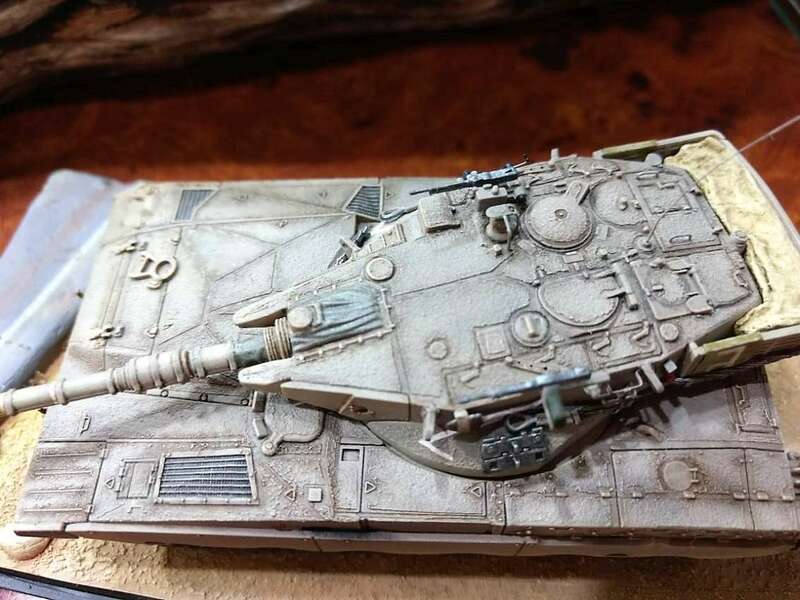 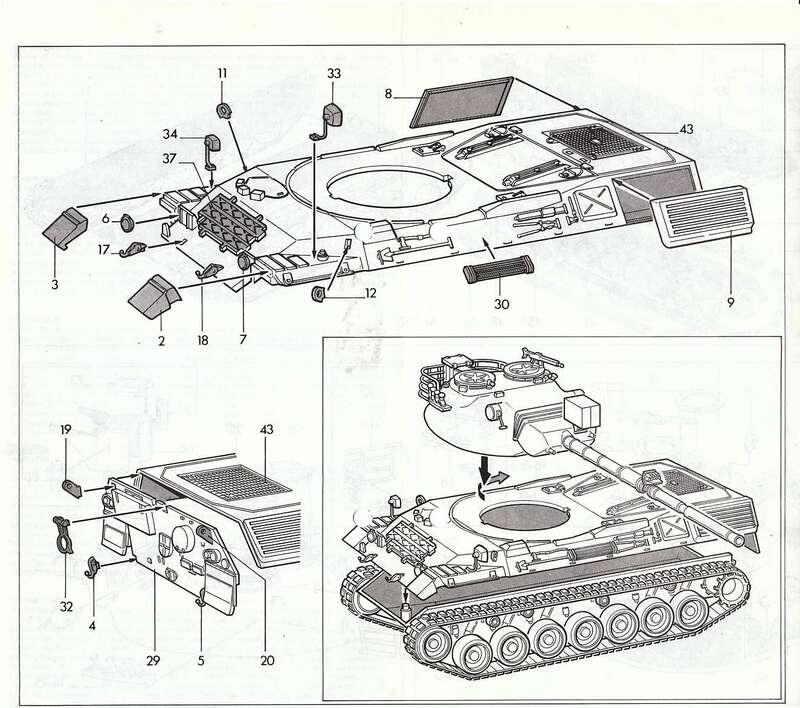 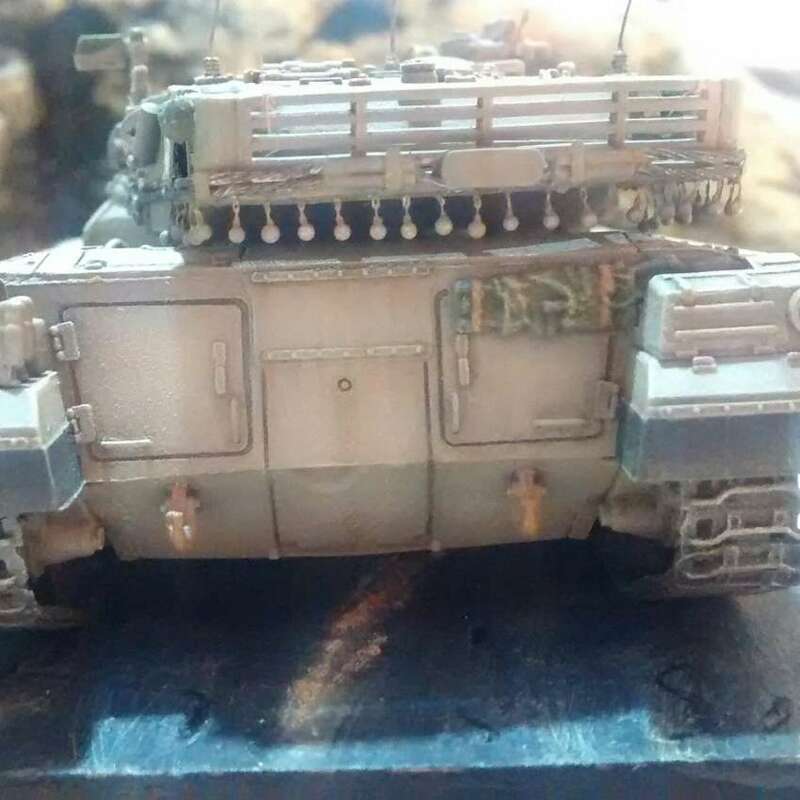 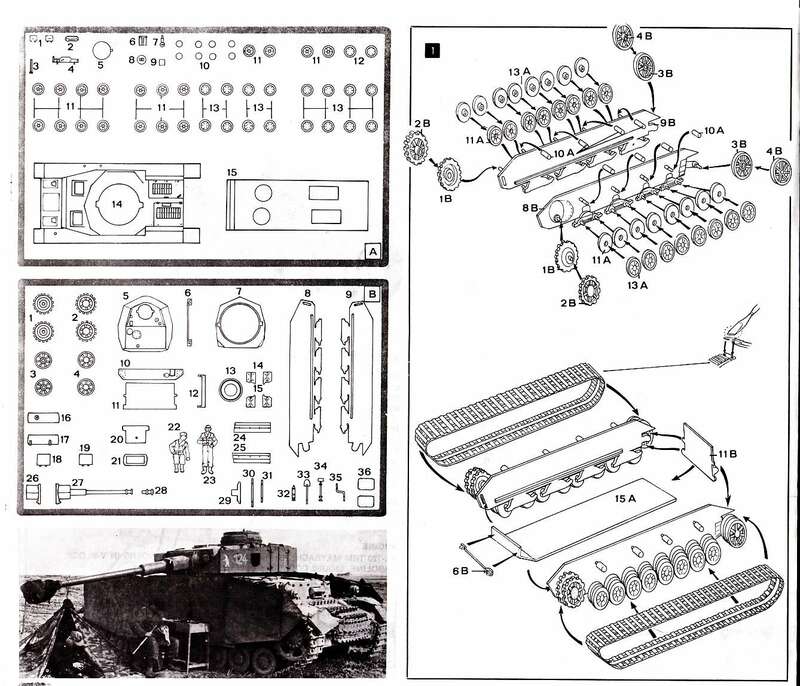 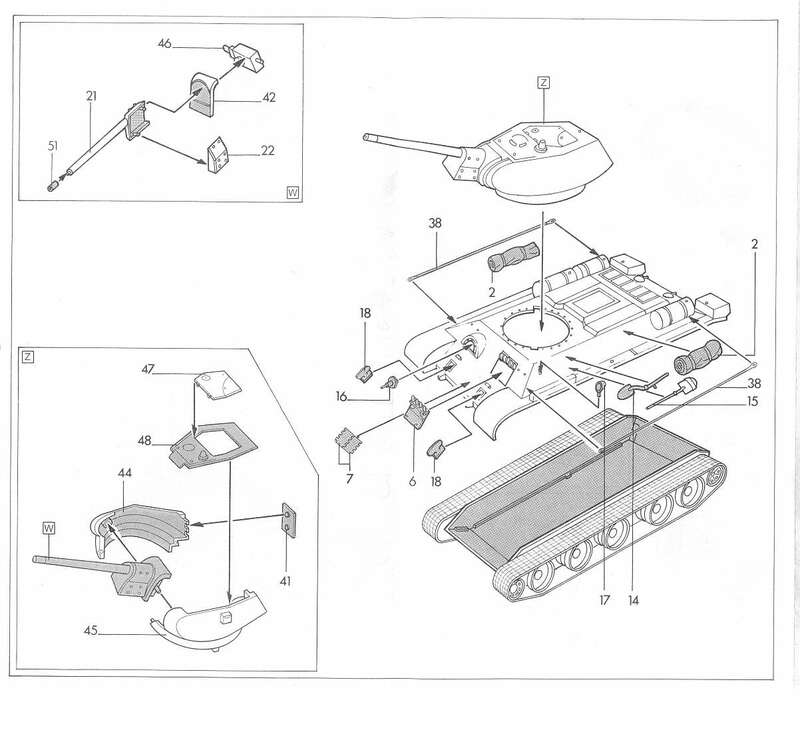 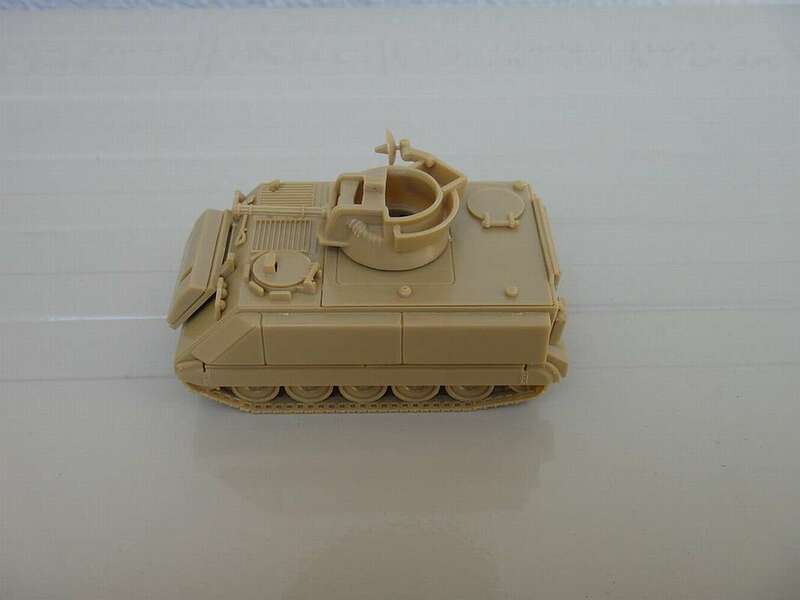 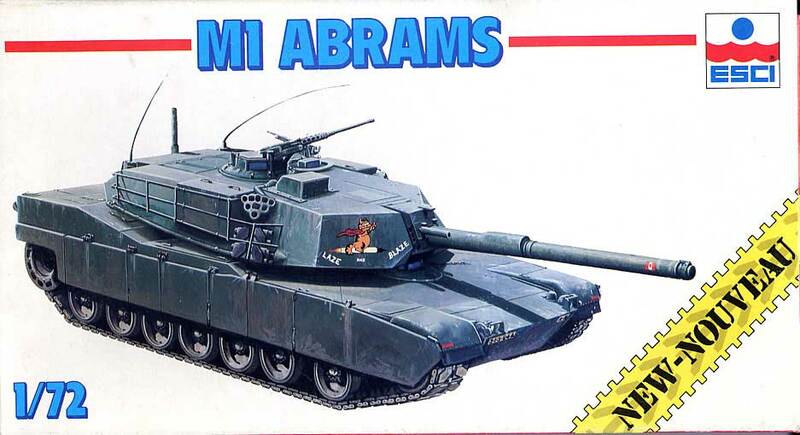 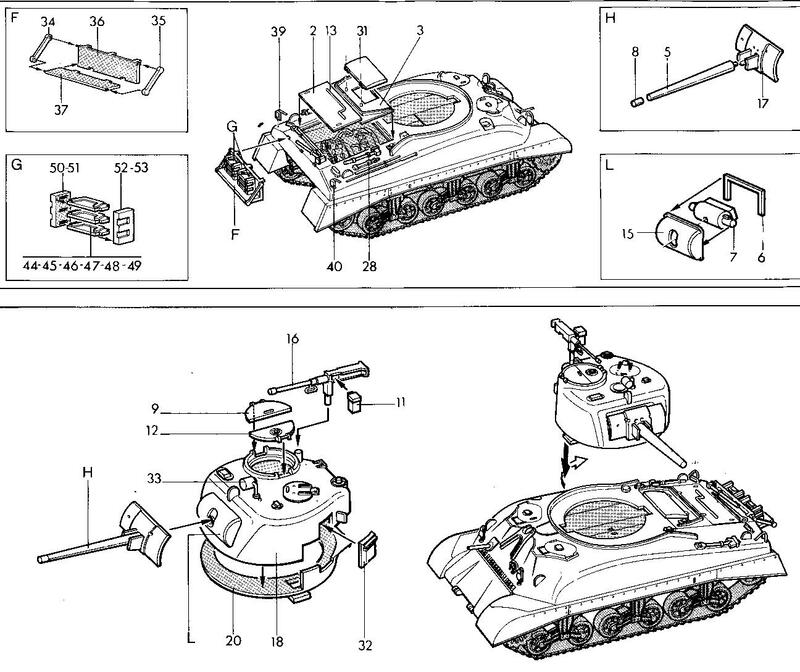 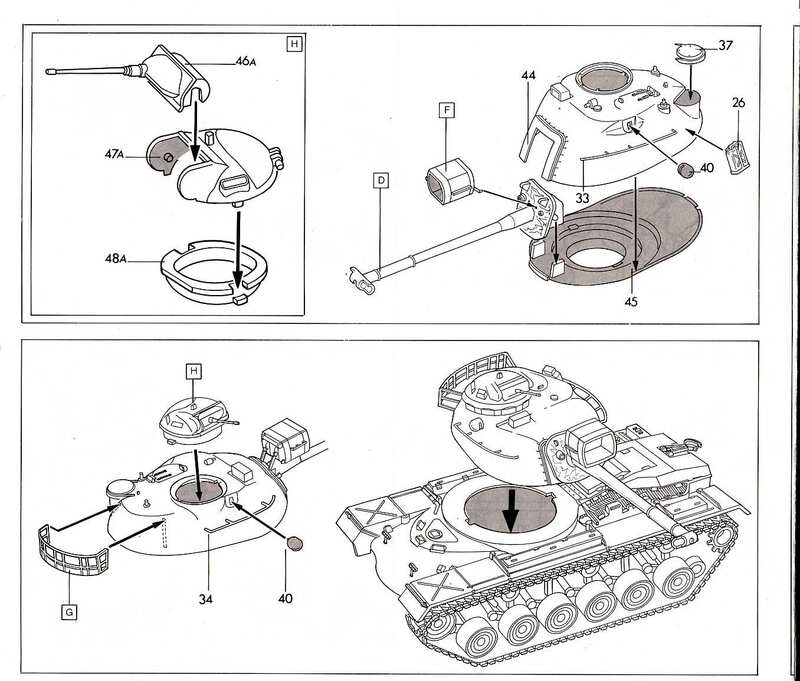 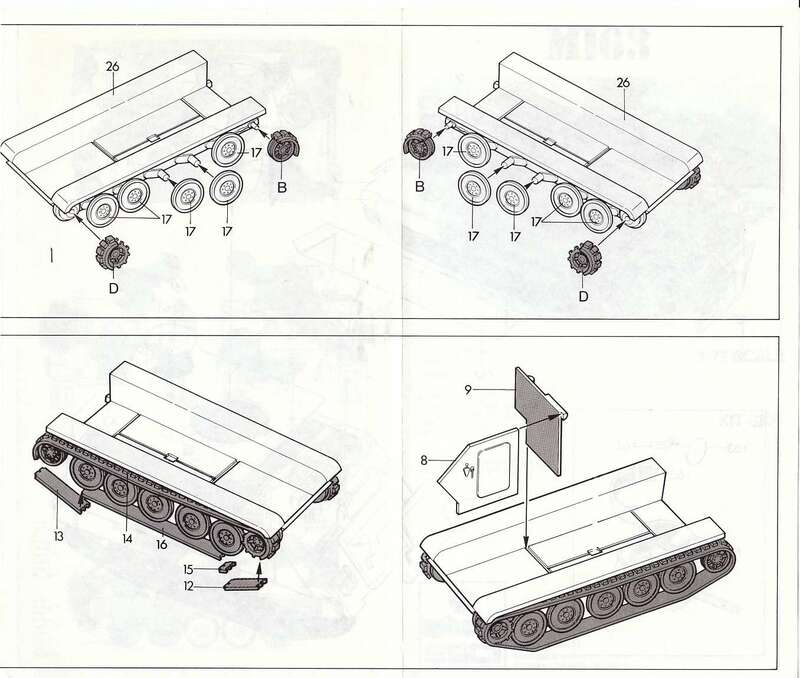 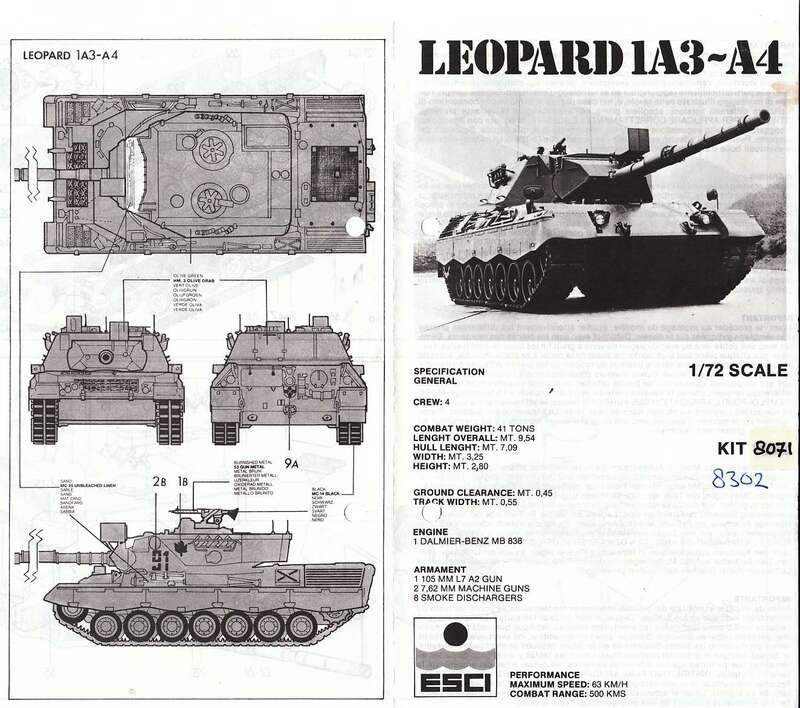 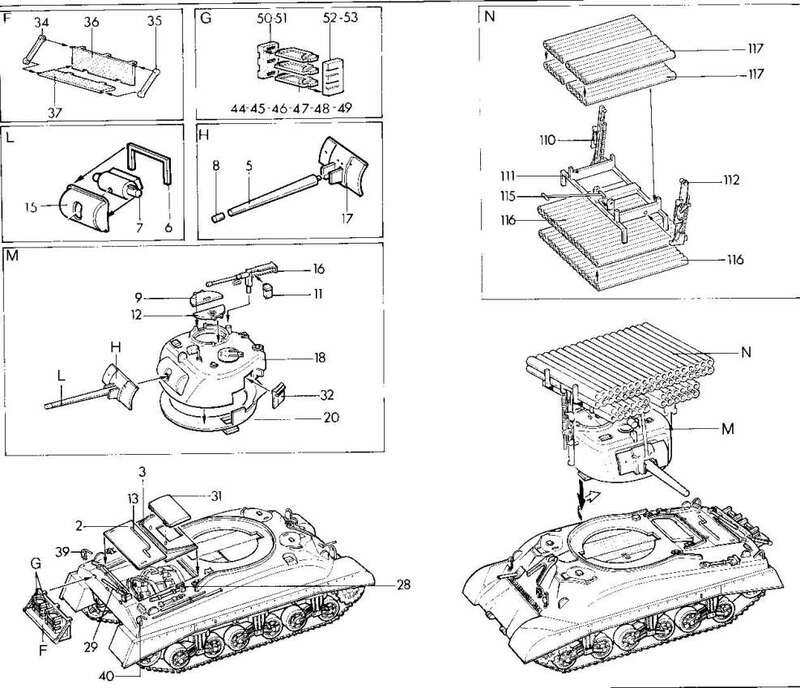 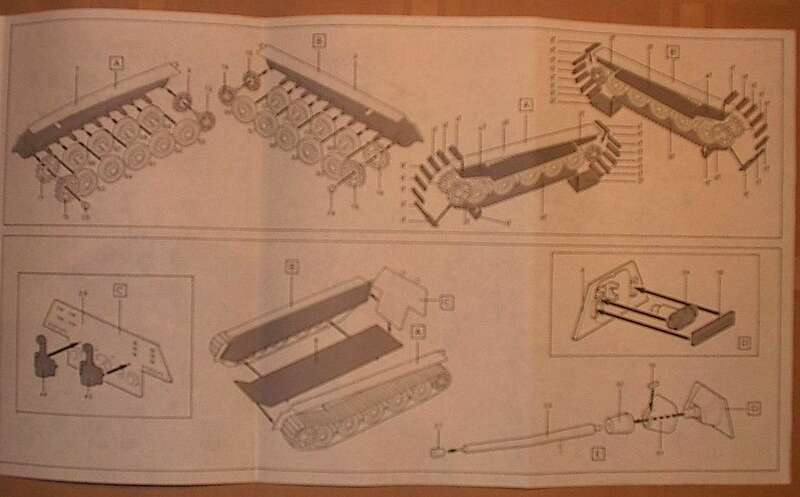 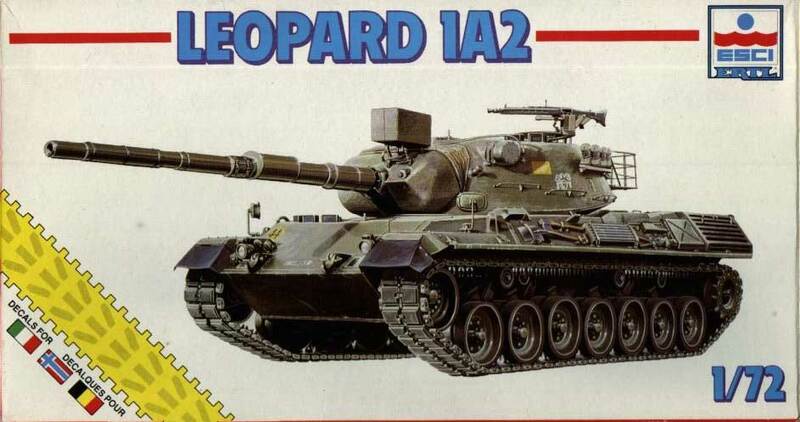 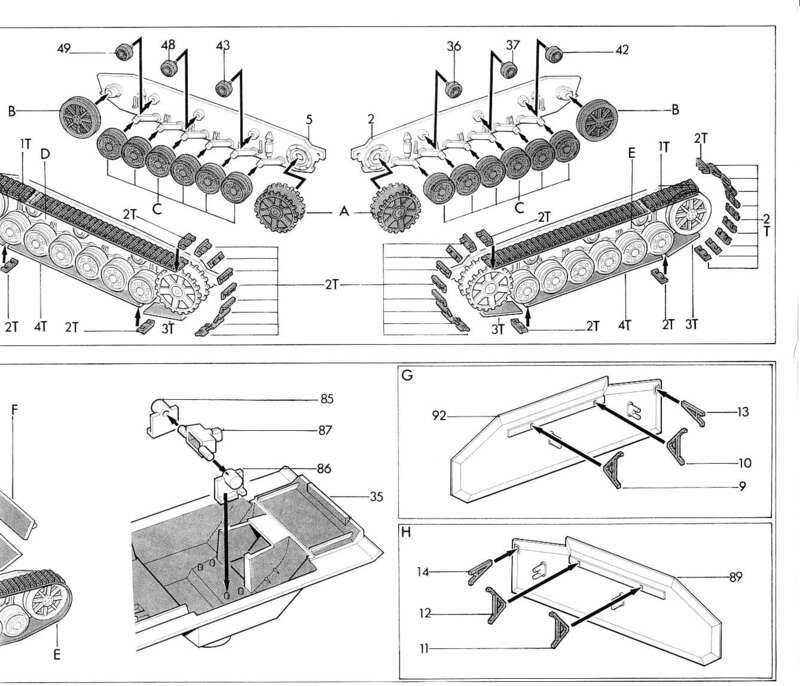 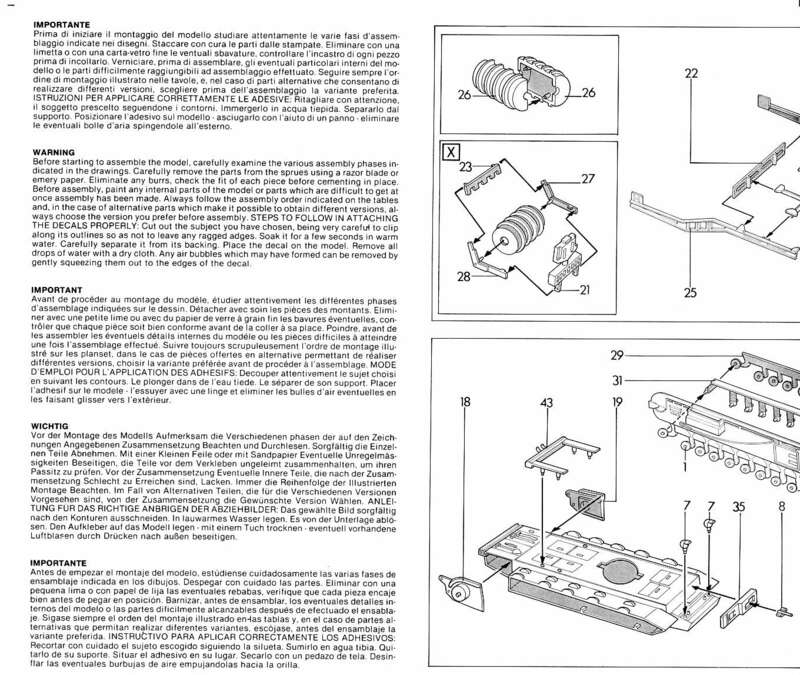 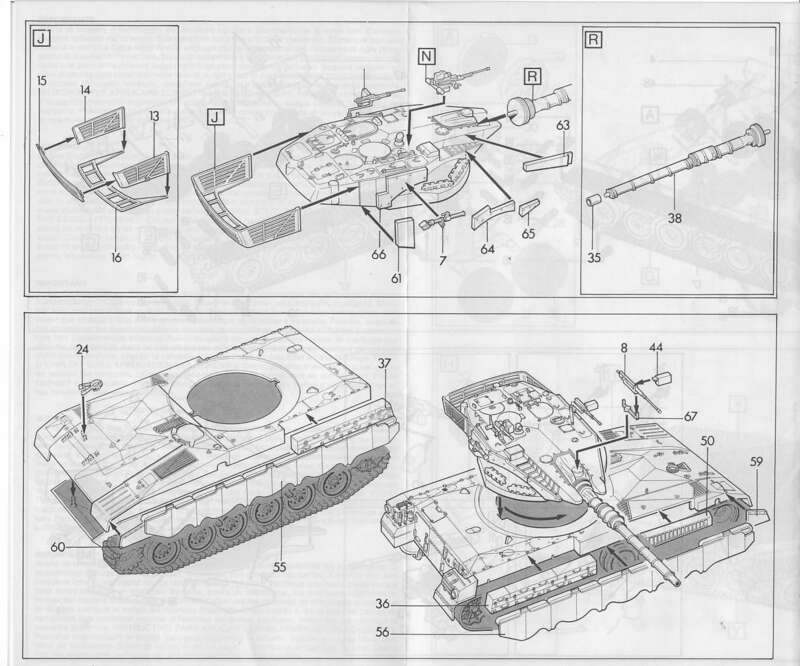 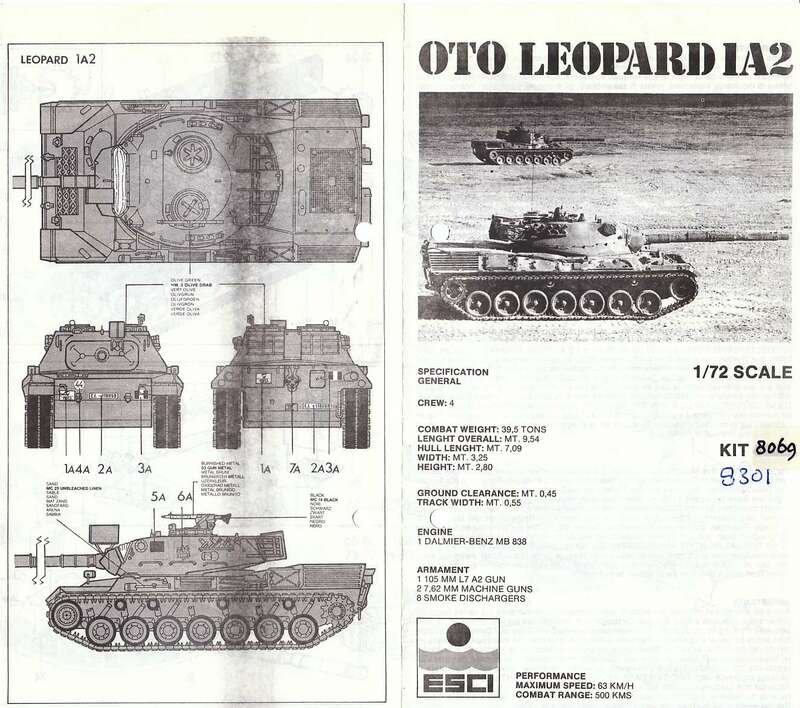 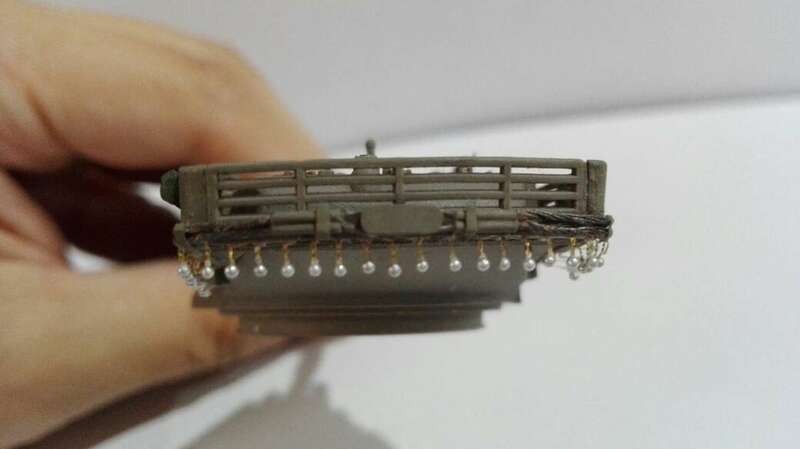 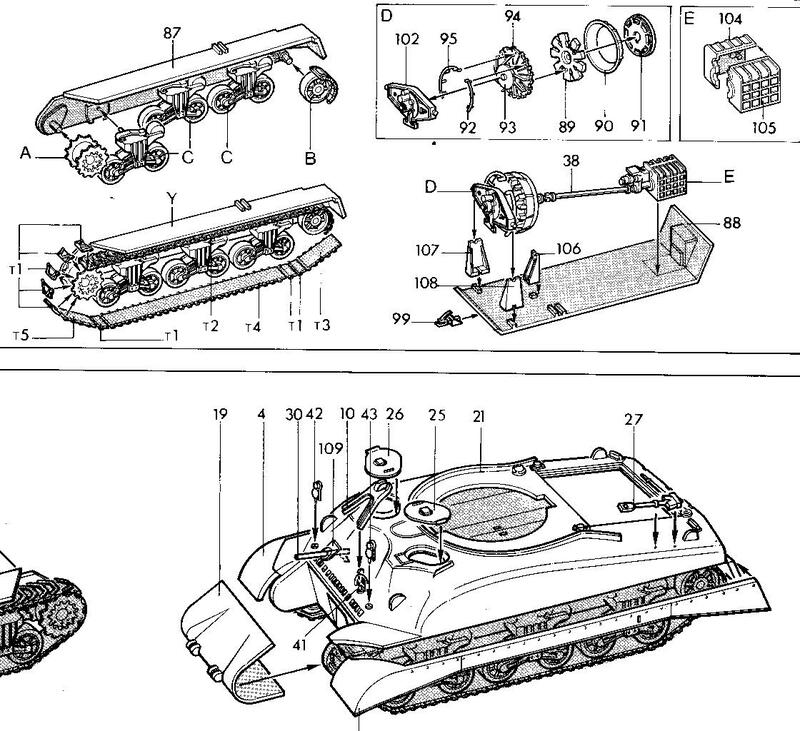 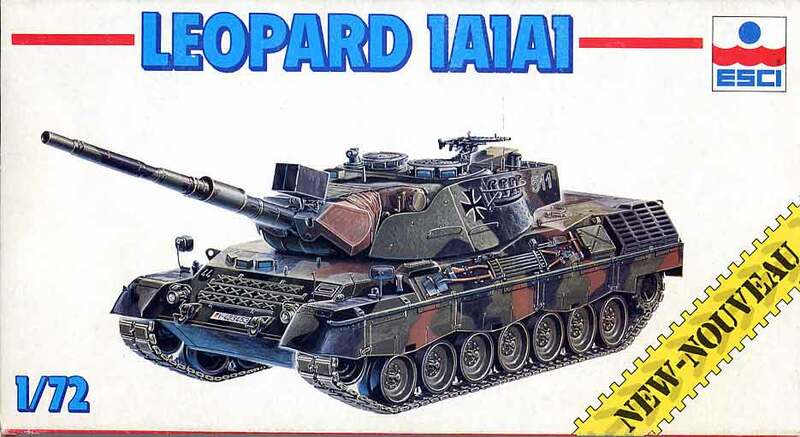 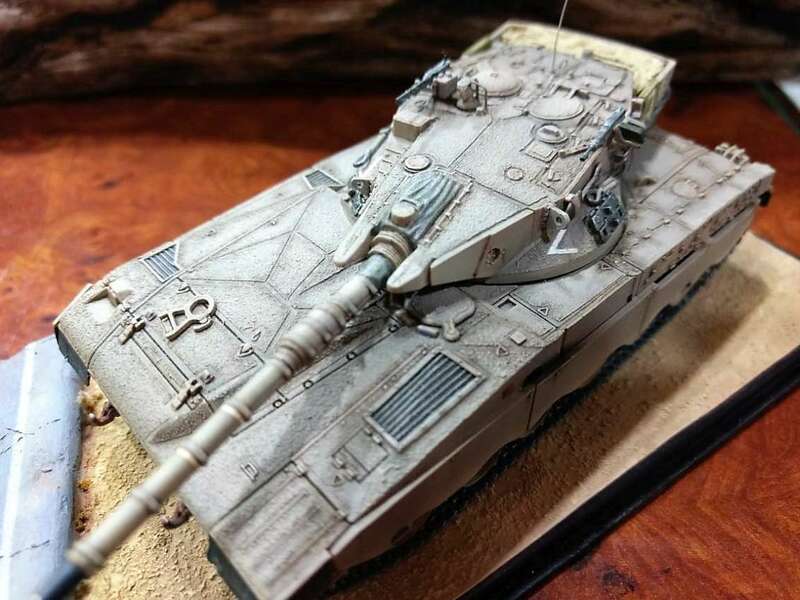 Although they had teased us the year before with the five last 8000 series kits of the Abrams and Leopard, Esci realy started with the series in 87. 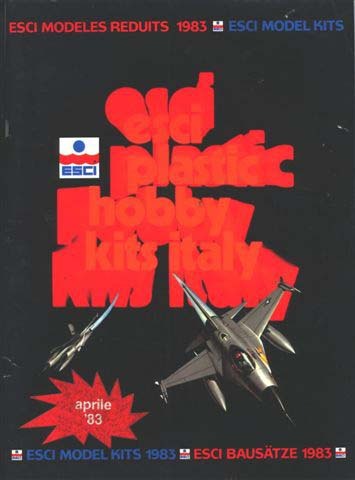 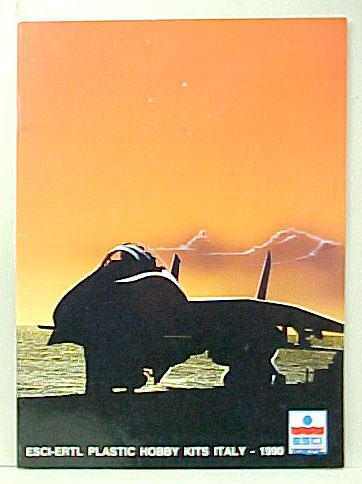 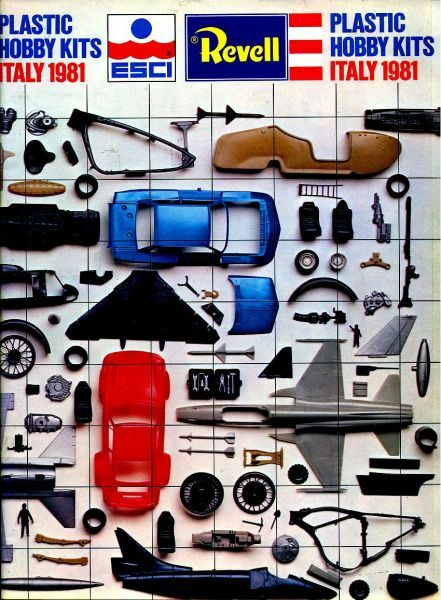 Releases came out quickly too but by then there were hardly any model kit shops left to buy them from, yes in the late eighties we had a crisis too !! 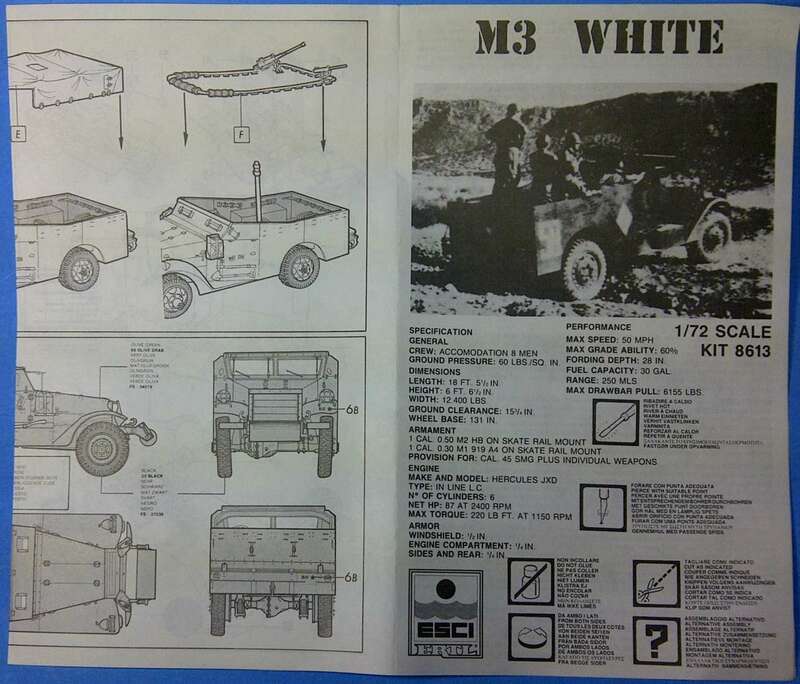 The boxes, as said, were plain white with a vehicle painting on both sides. 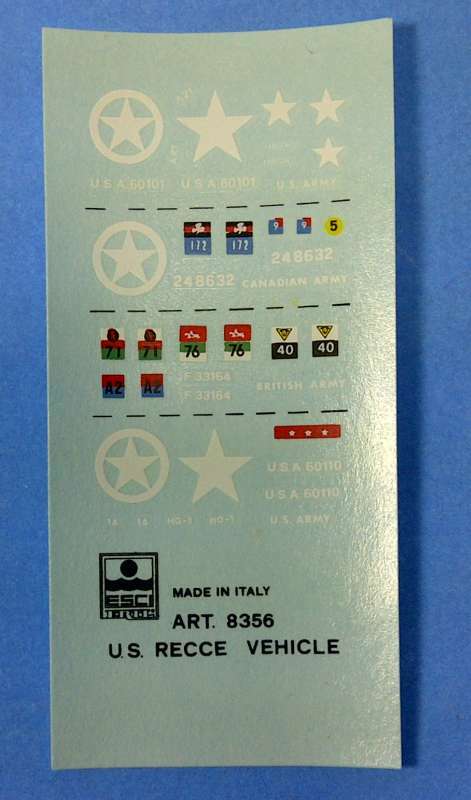 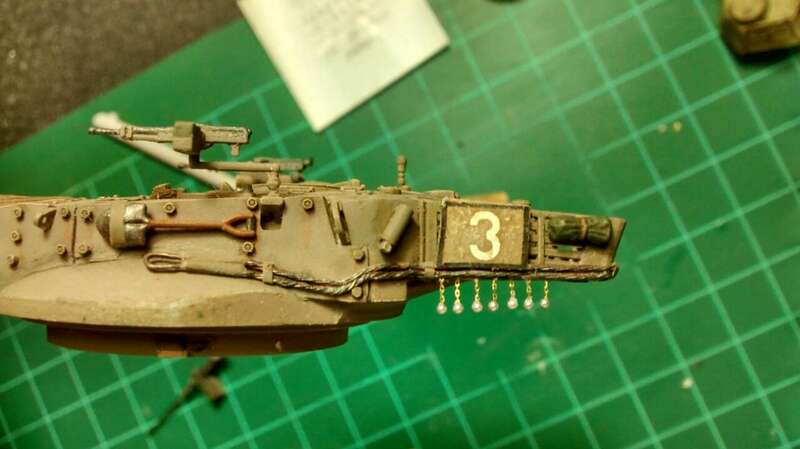 At the lower corner on the top side a track print was put with nations flags of the decal options. 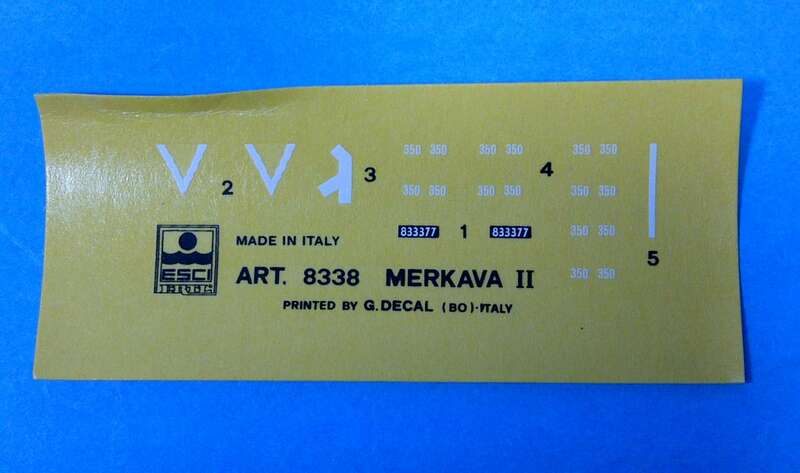 Side ends of the boxes were red as the previous 8000 series. 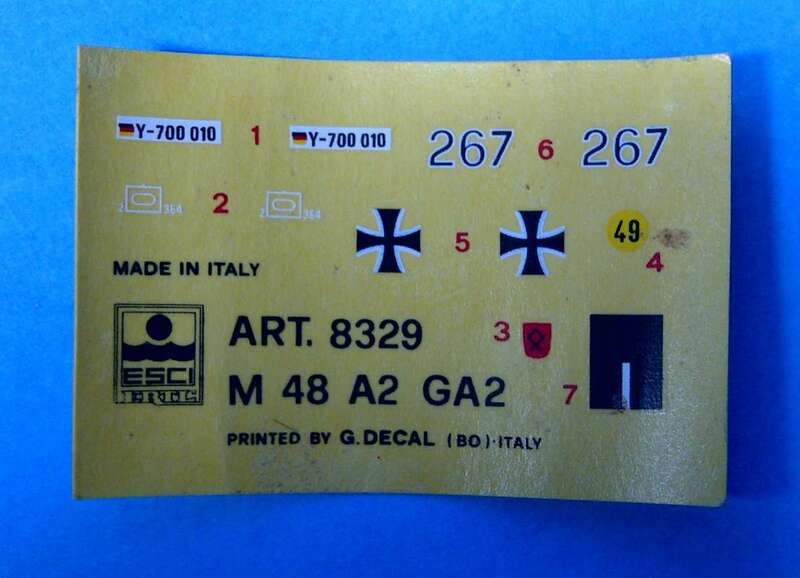 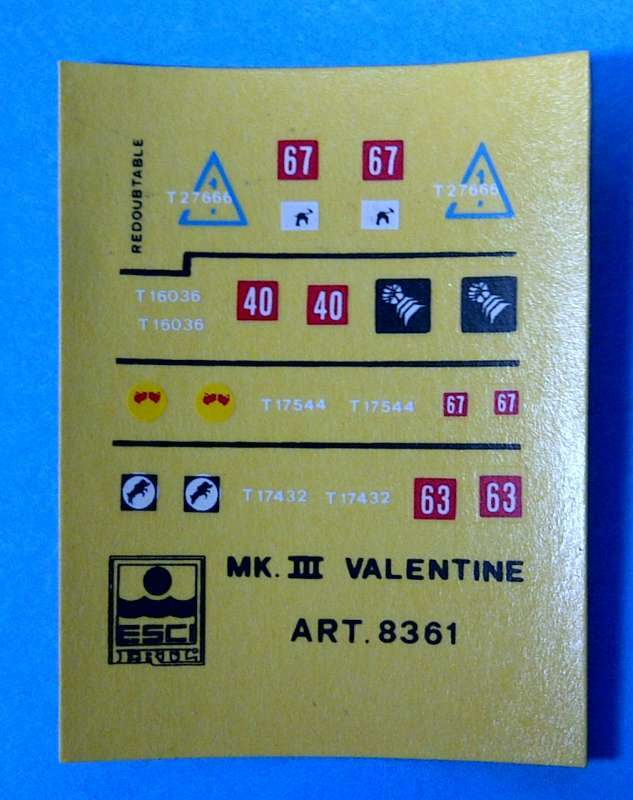 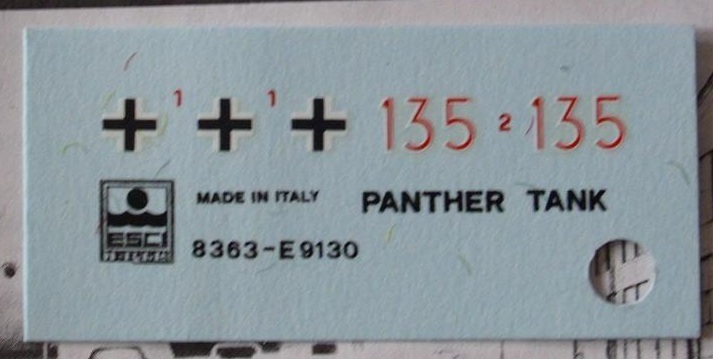 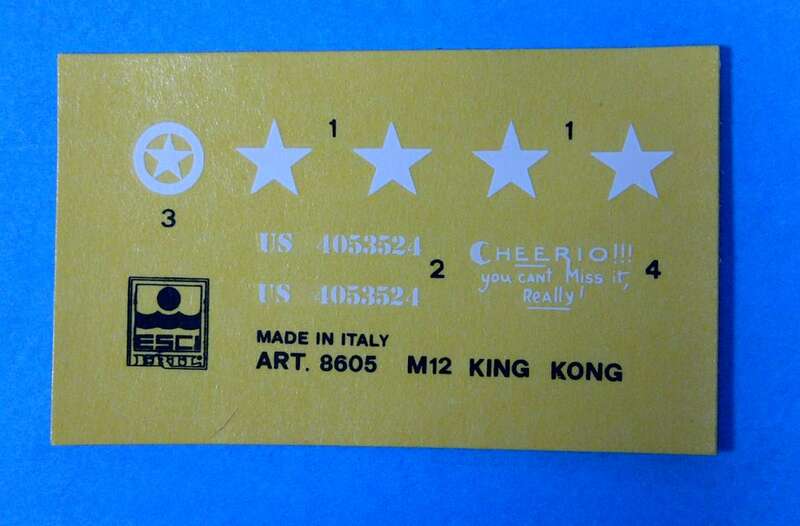 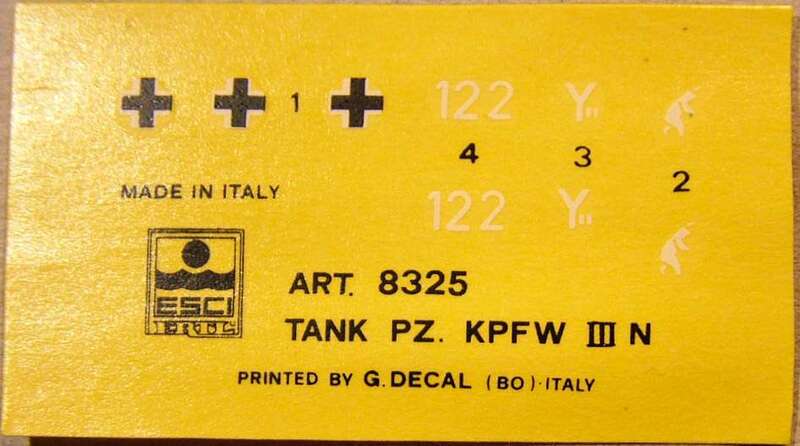 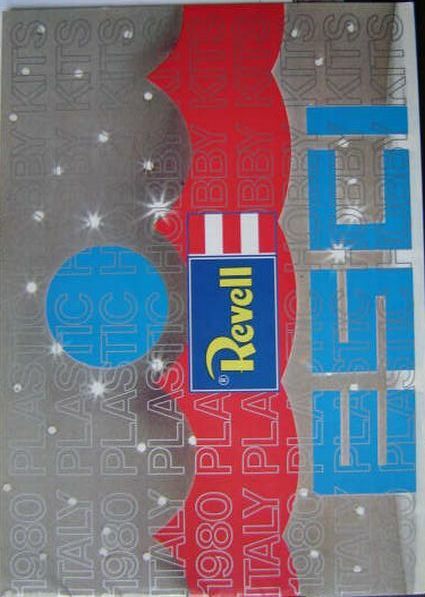 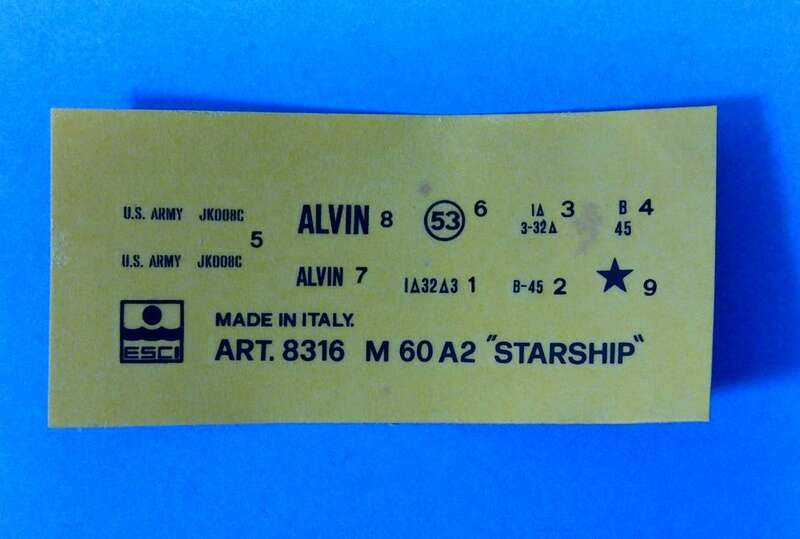 the first 21 kits (8301 to 8321) had "NEW / NOUVEAU" printed on front and sides, and the kits thereafter had the new Esci/Ertl logo. 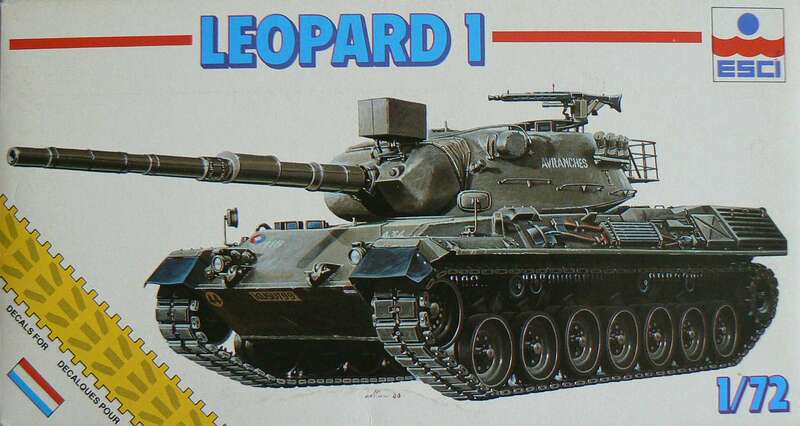 Curiously the series started with number 8301 (Leopard IA1). 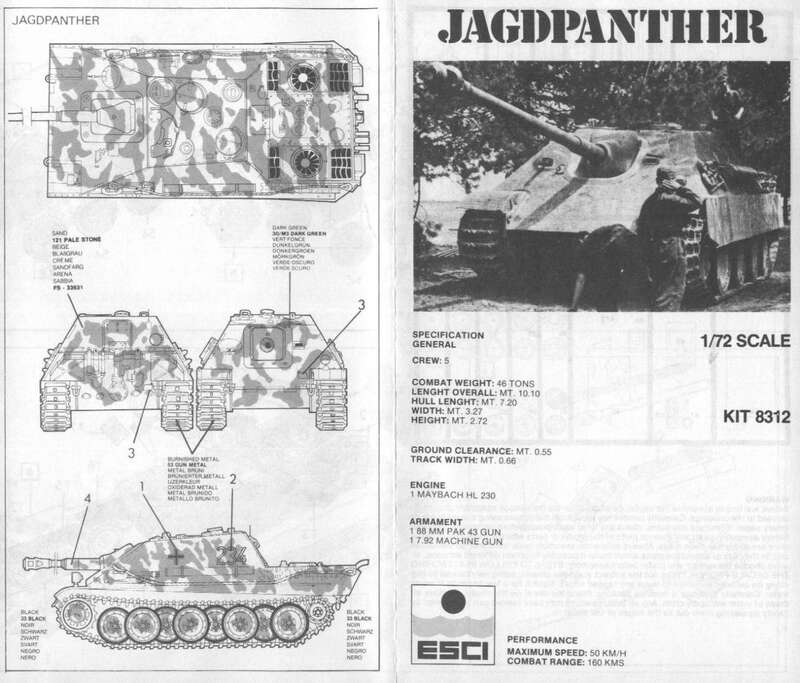 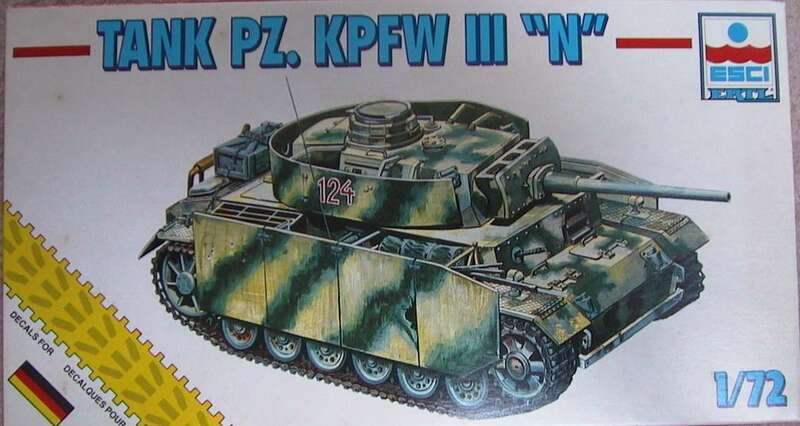 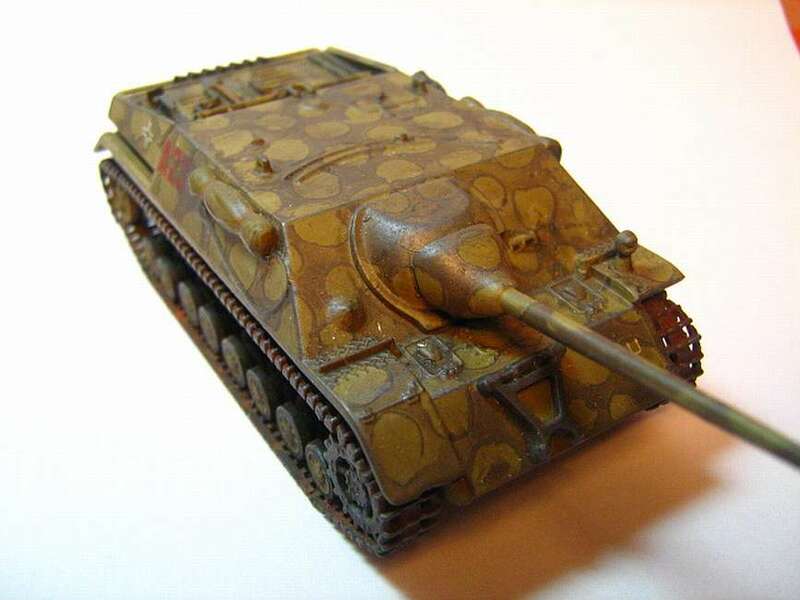 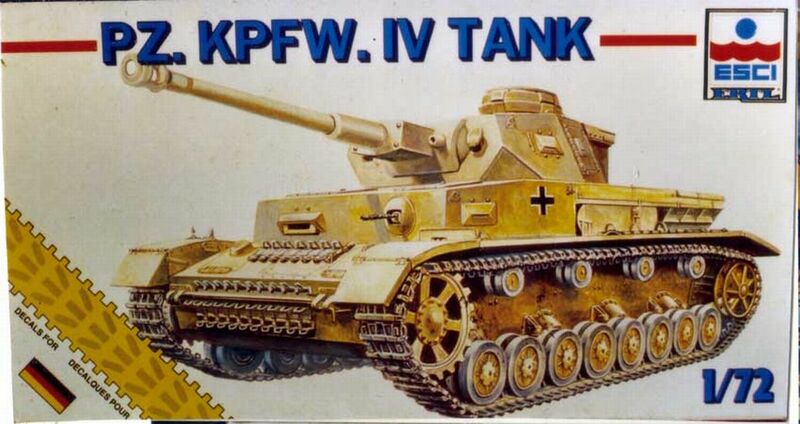 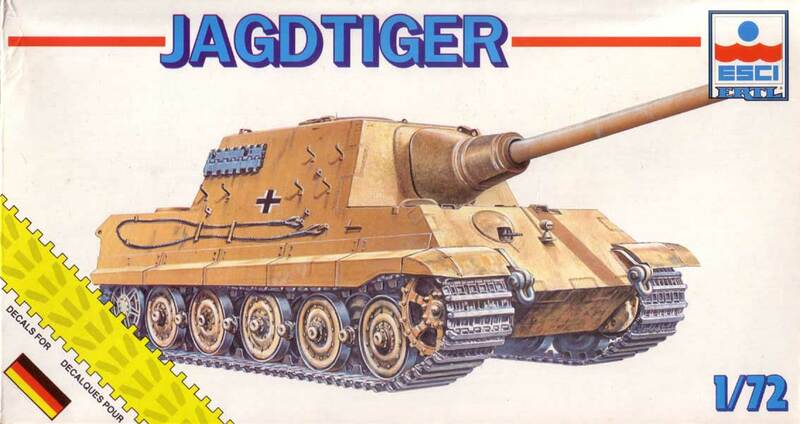 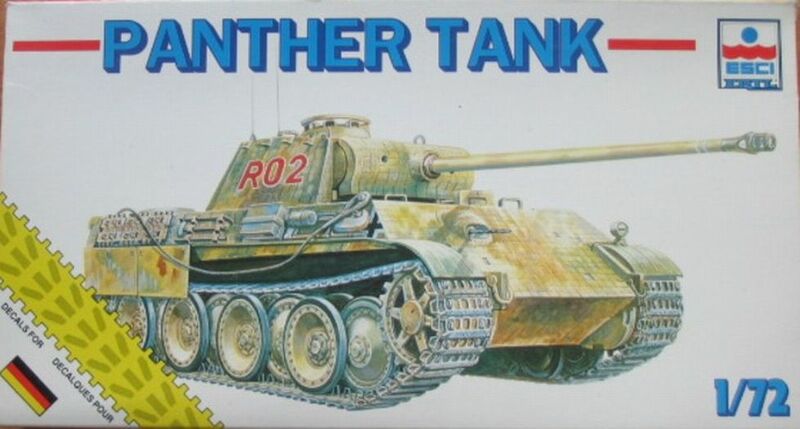 A year later kit 8300 was released, also a Leopard I but only with Dutch decal options. 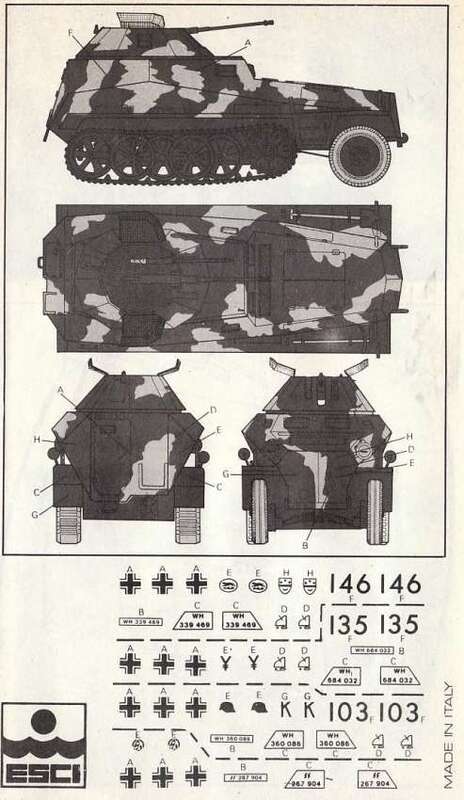 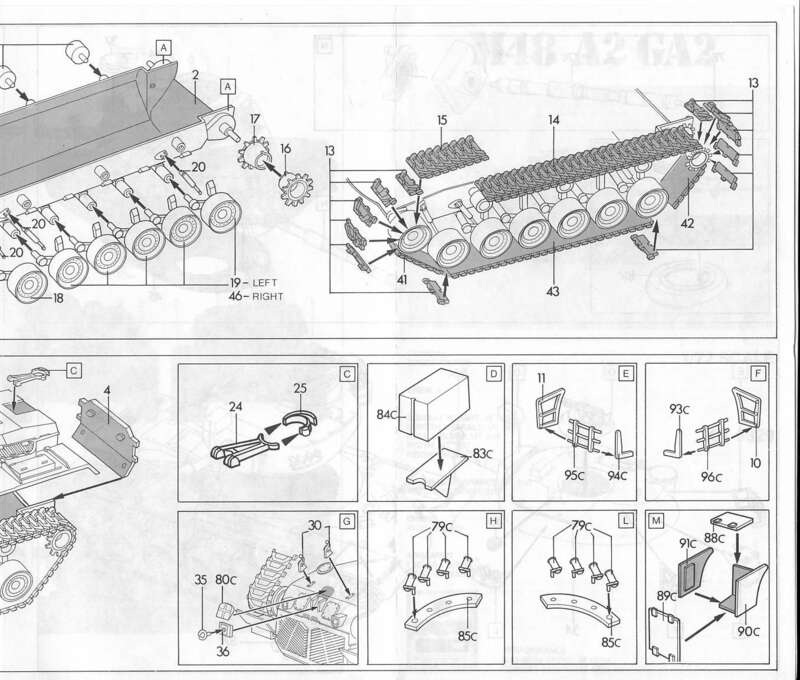 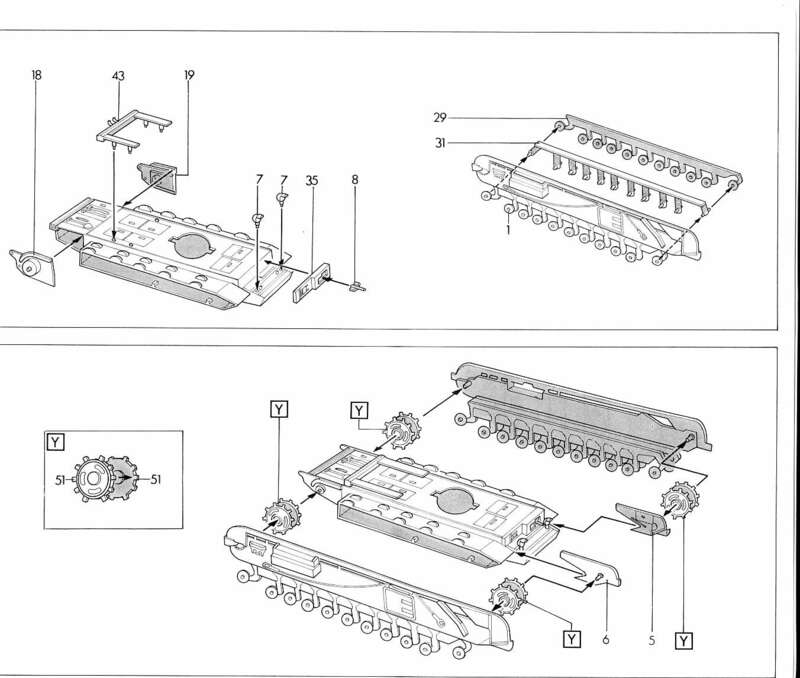 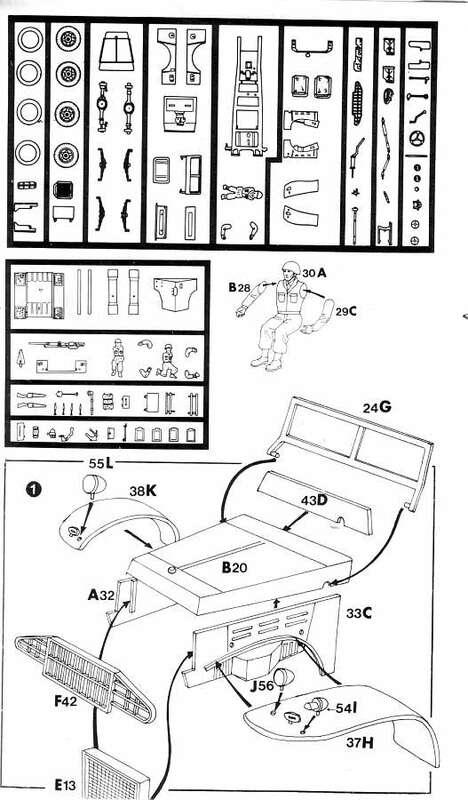 Number 8300 does not appear in any official kit listing nor in any catalogue It also has no "NEW/NOUVEAU" logo. 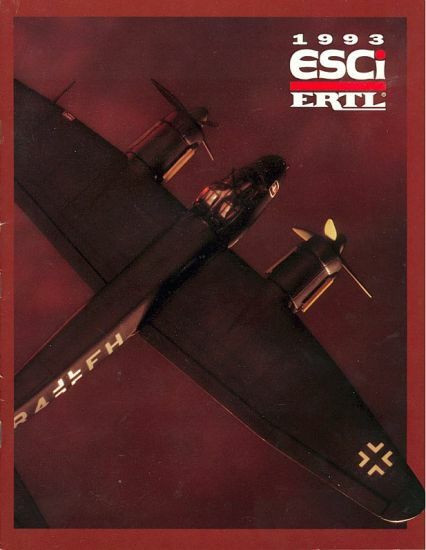 It seems that Esci honoured us Dutch Esci kitlovers with a special and rare extra release !!! 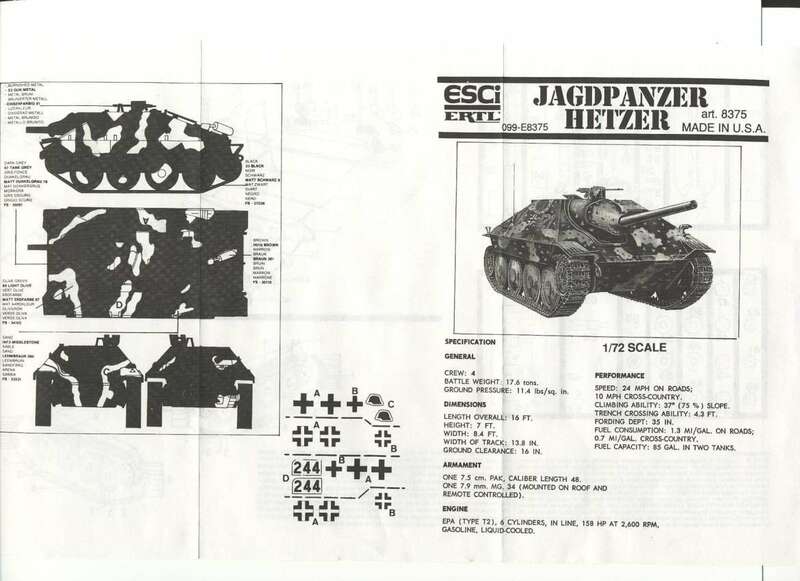 From 1987 up to 1990 Esci released new kits and all but a few old kits in the 8300 series, running from 8300 to 8375 and so being the largest Esci 1/72 armor range ever. 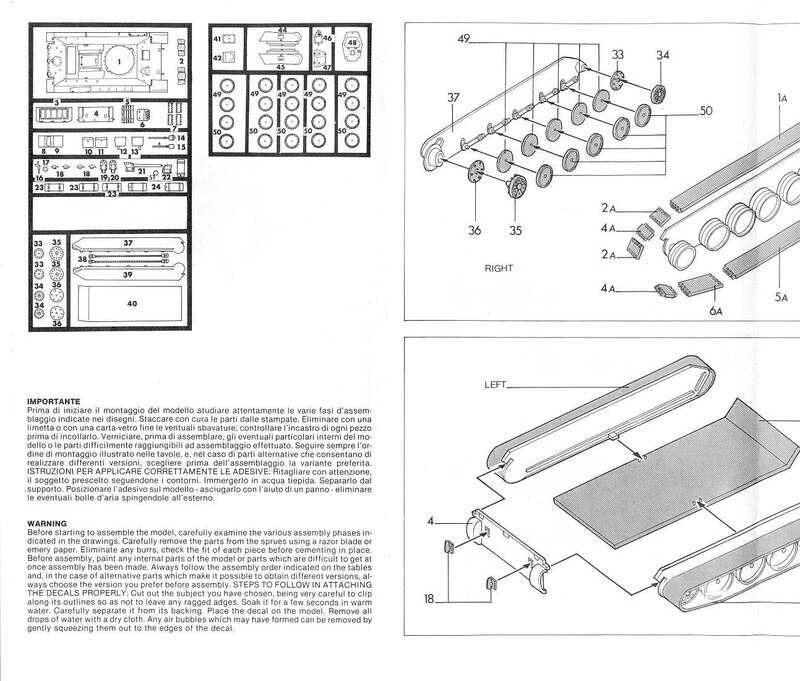 Up to 1990 the 8000 series was listed along the 8300 series graduately dissolving into it. 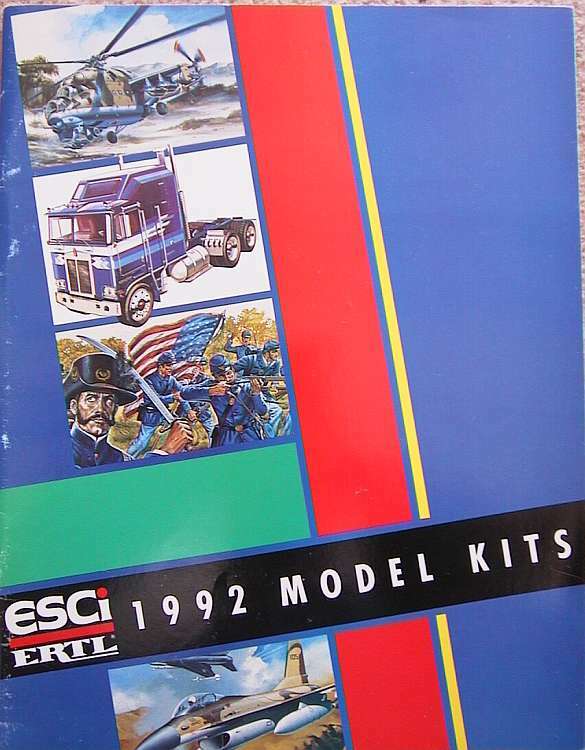 In 1988 Ertl takes influence in Esci and logo's on the kits change into the ESCI/ERTL logo. 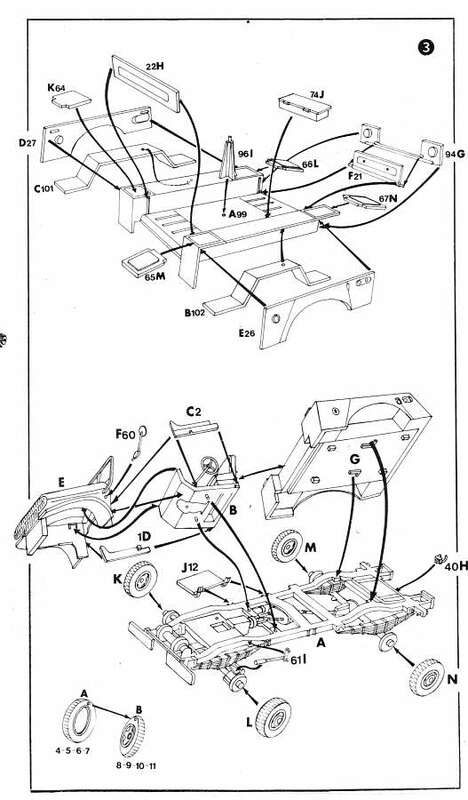 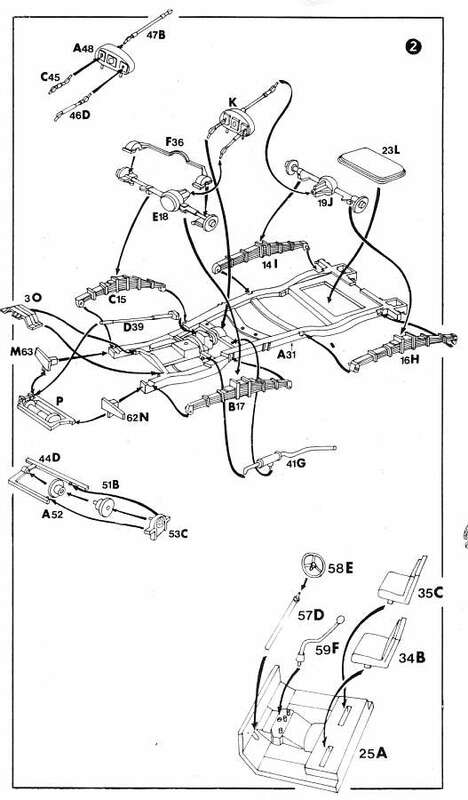 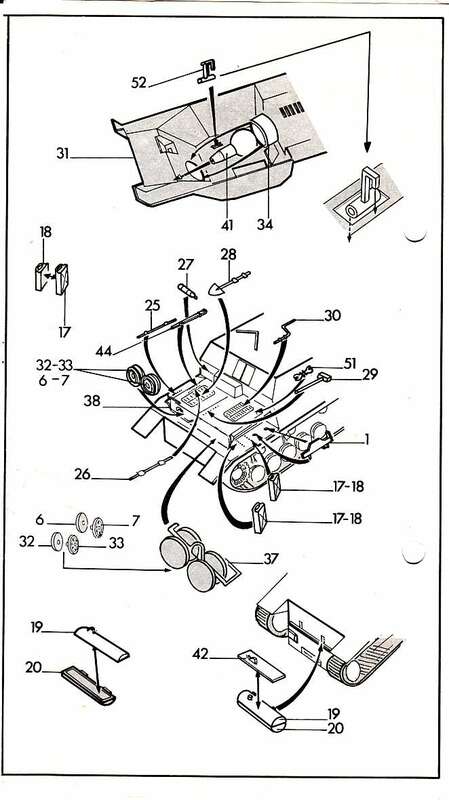 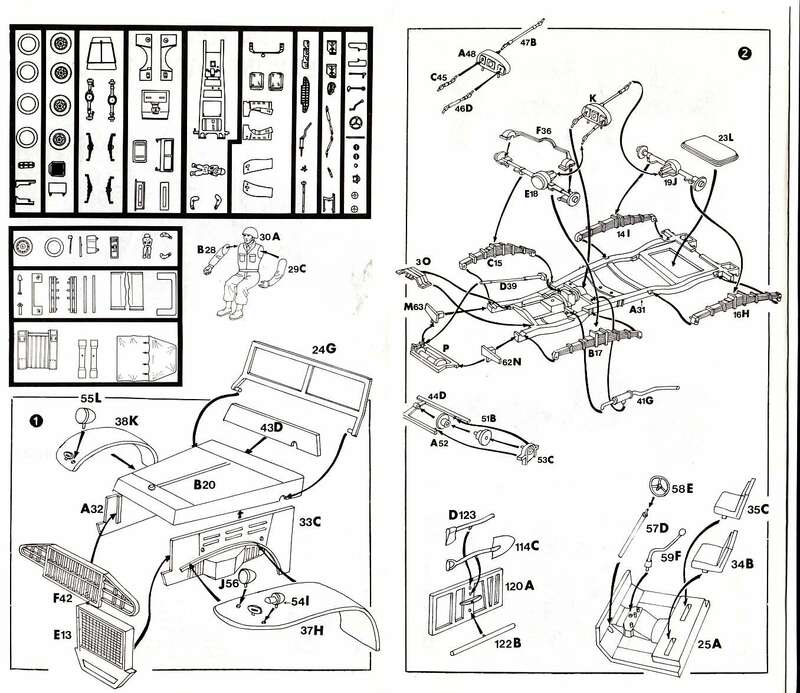 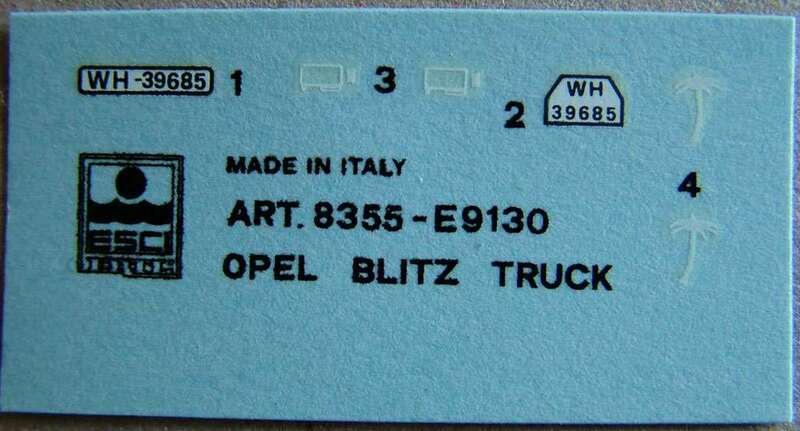 This also happens to the few 8000 series kits still produced. 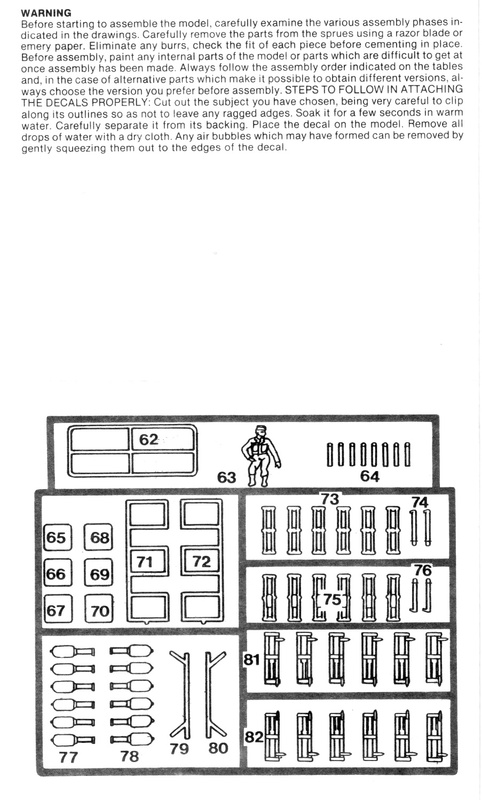 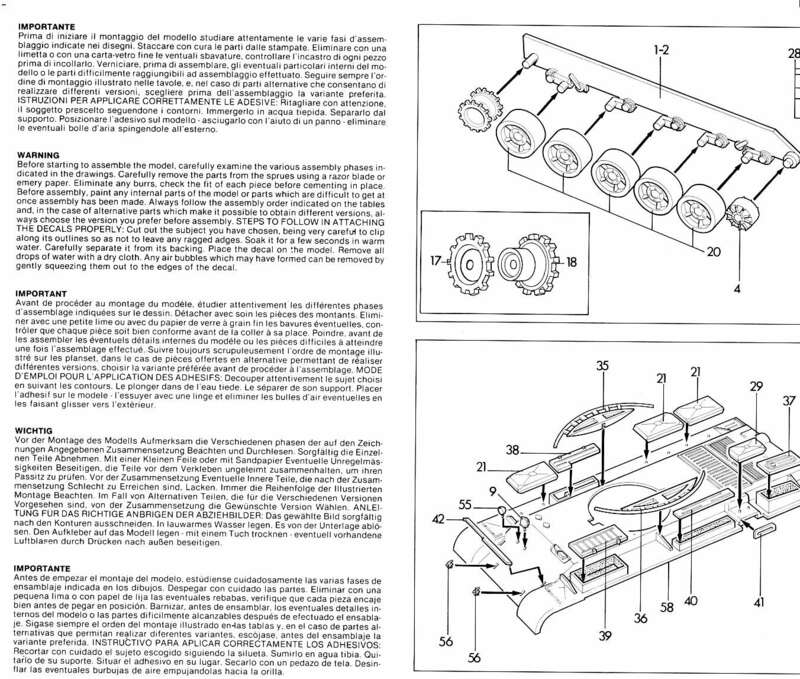 In 1990 for the last time the whole 8300 series is listed in a Catalogue. 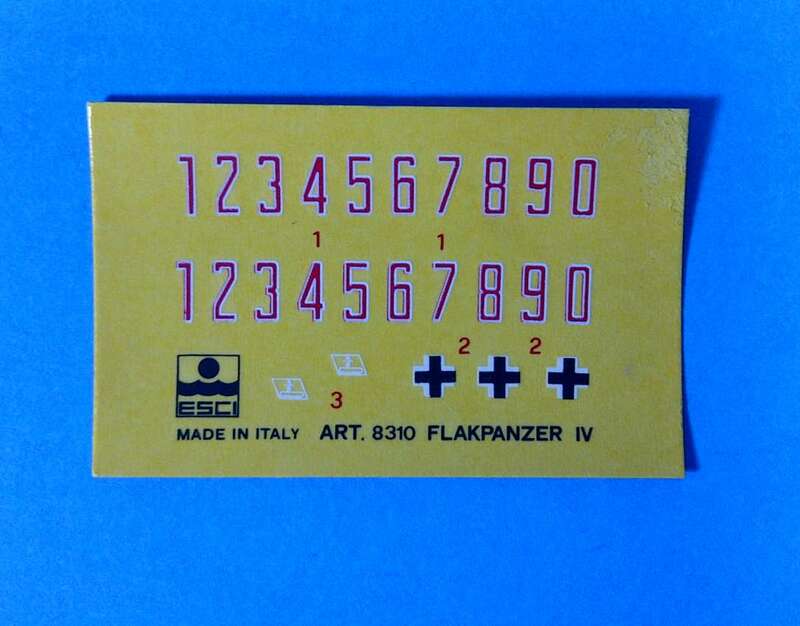 (8301 to 8375). 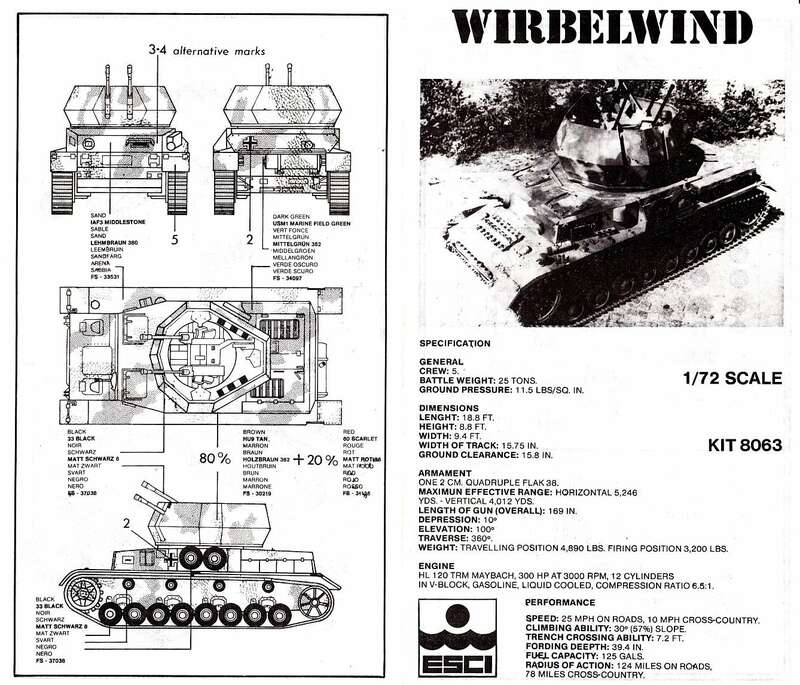 From then on all starts going down the mountain. 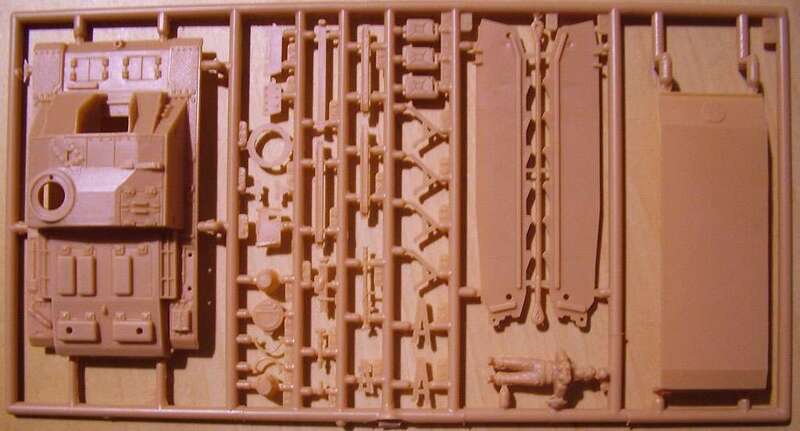 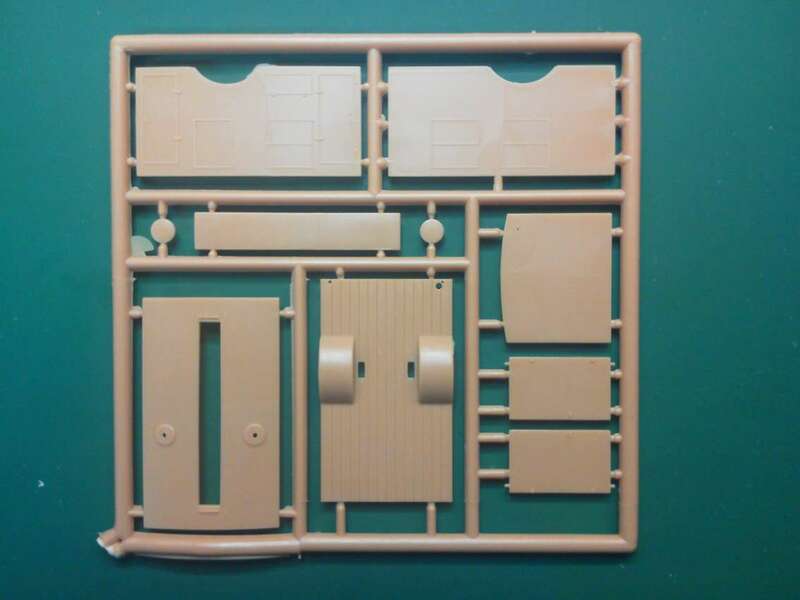 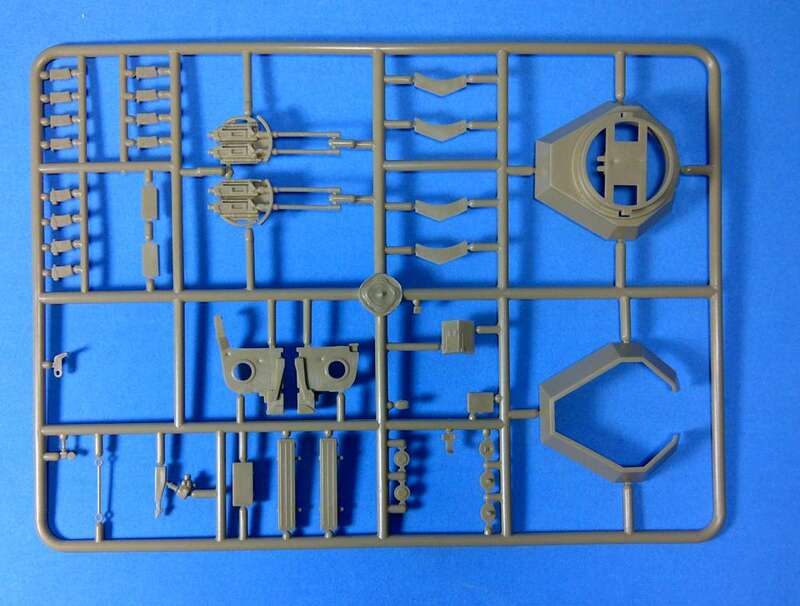 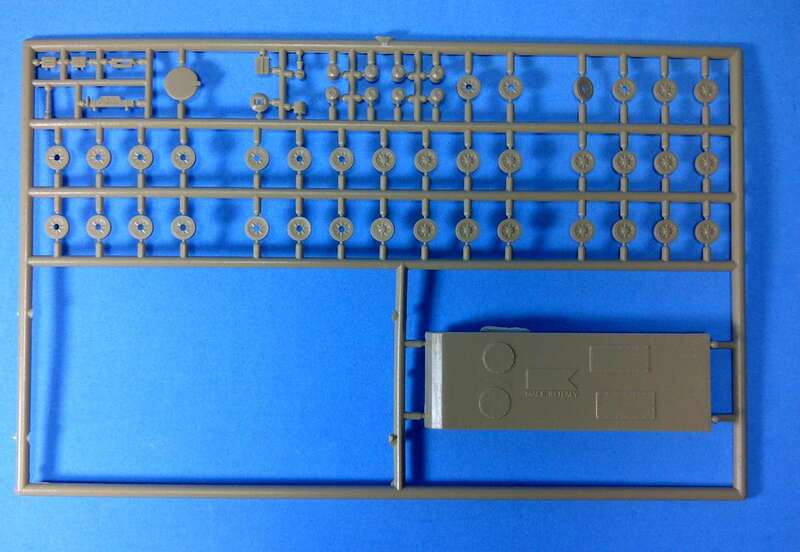 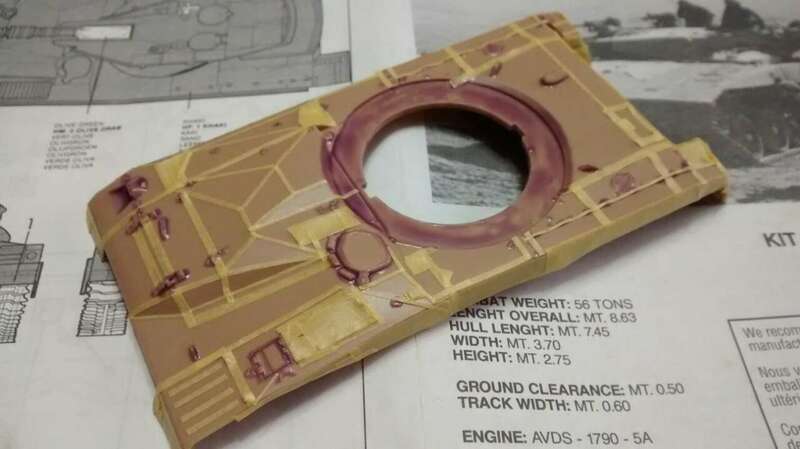 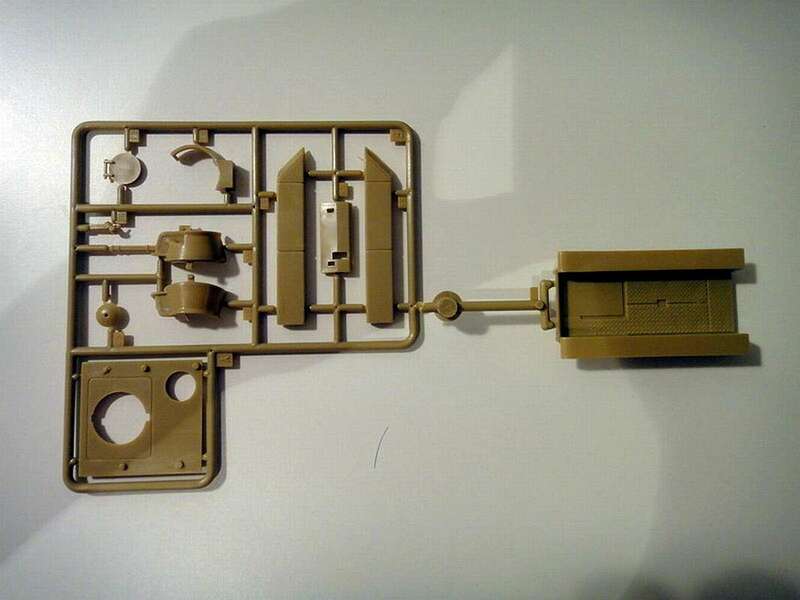 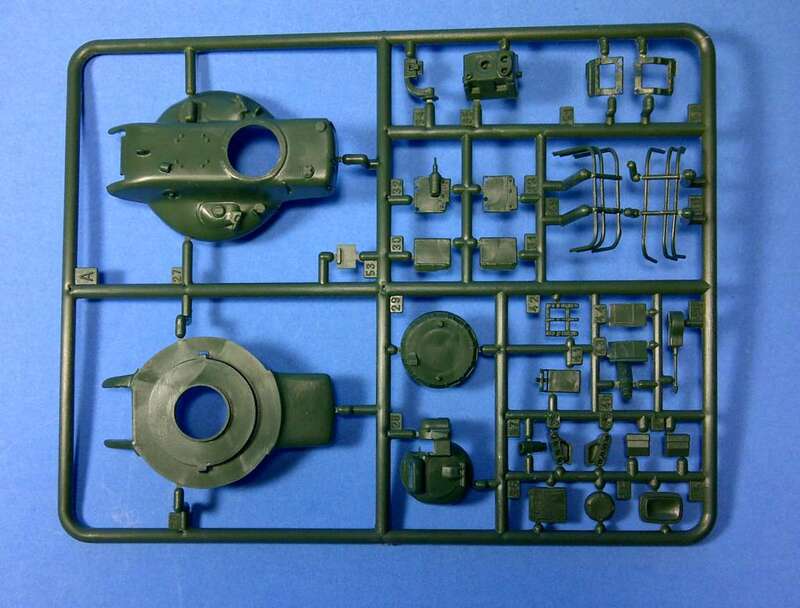 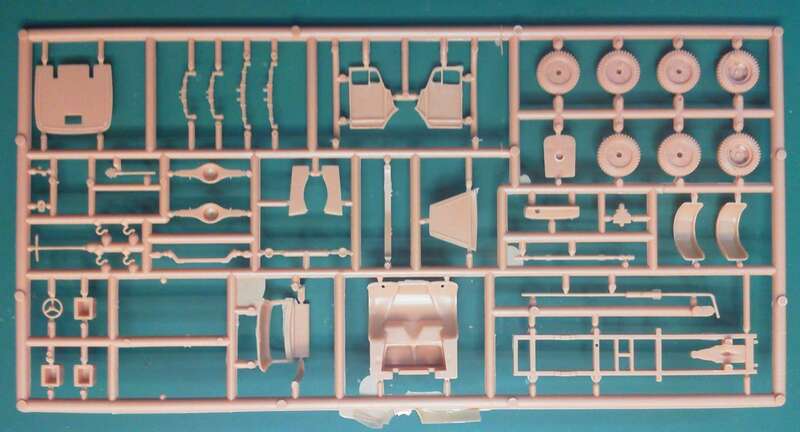 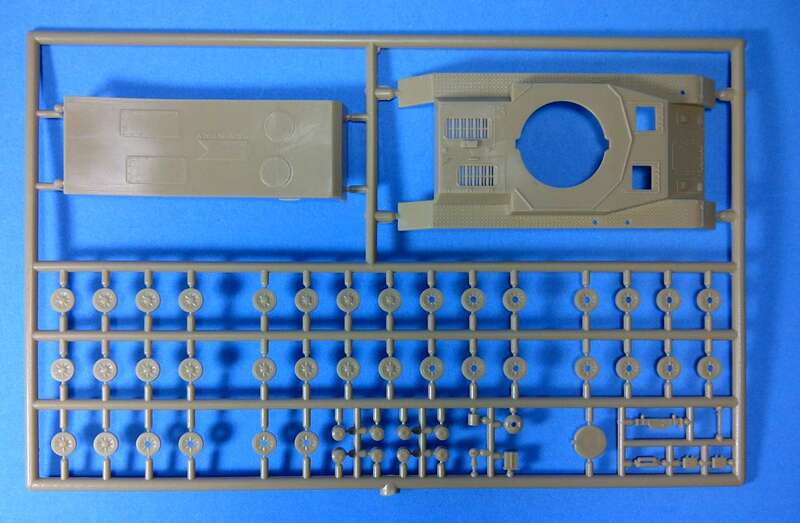 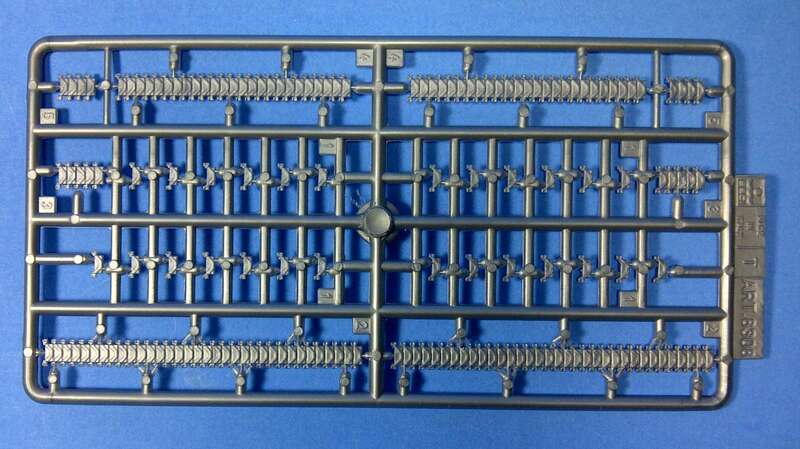 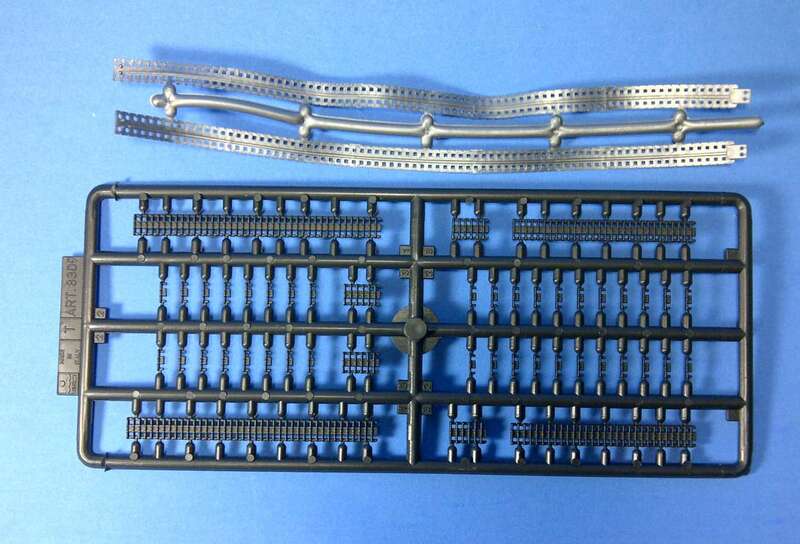 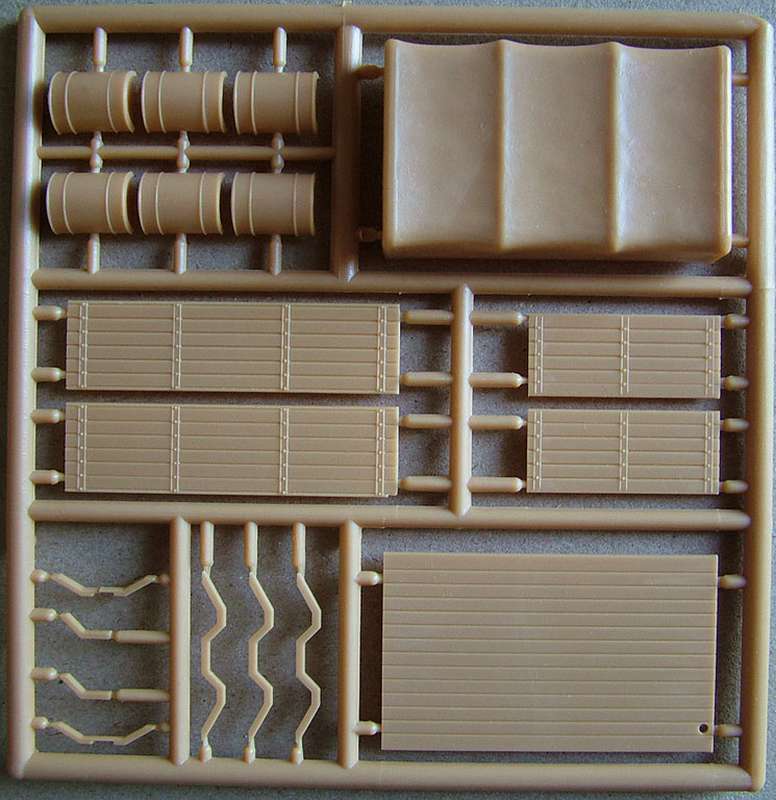 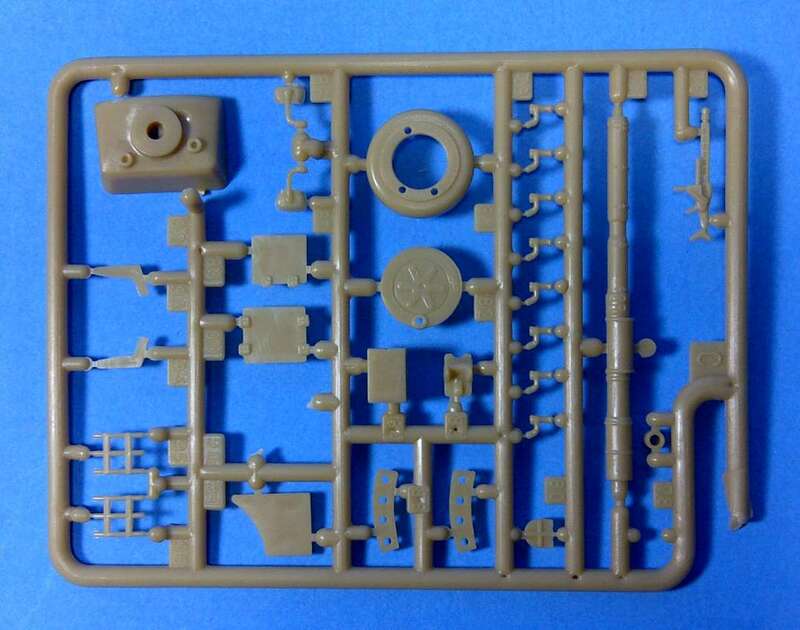 Kit moulding quality drops and through ERTL influence kits are produced in different countries like Mexico, Canada and China. 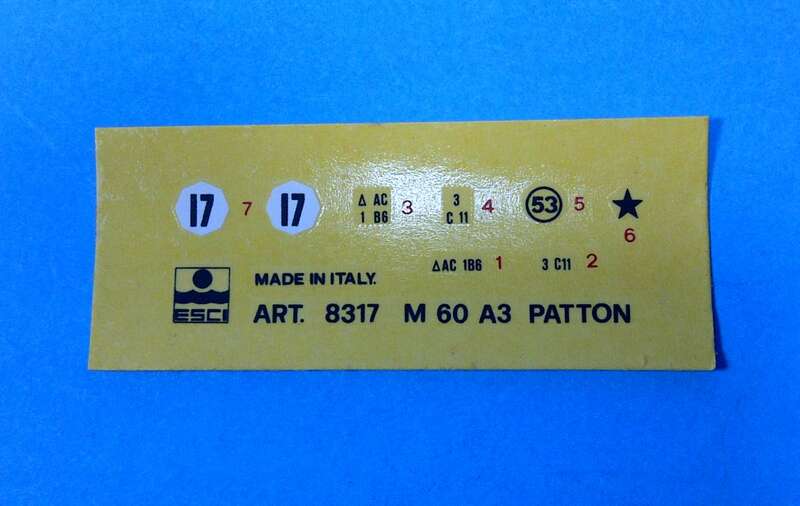 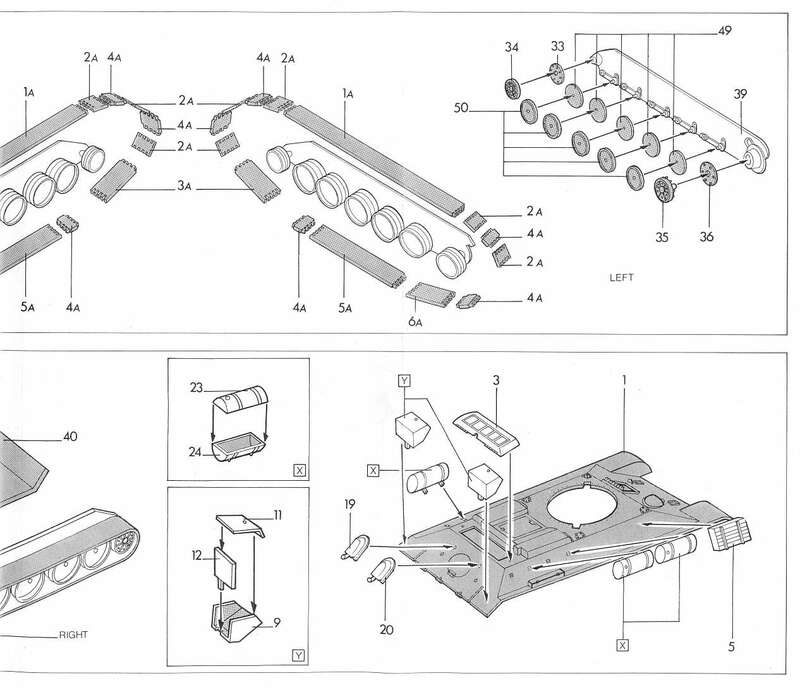 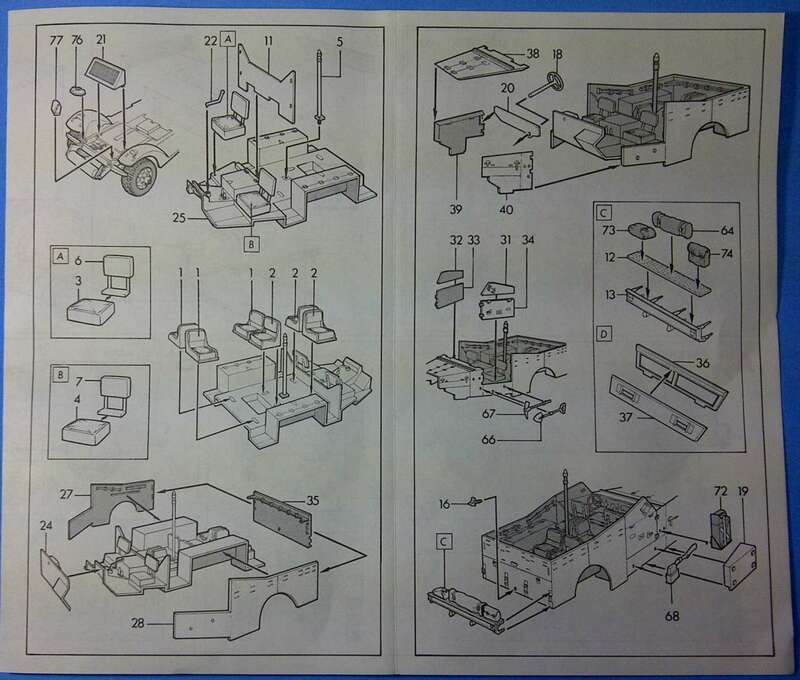 This all results in detail differences on the boxes like manufacture countries and safety instructions. 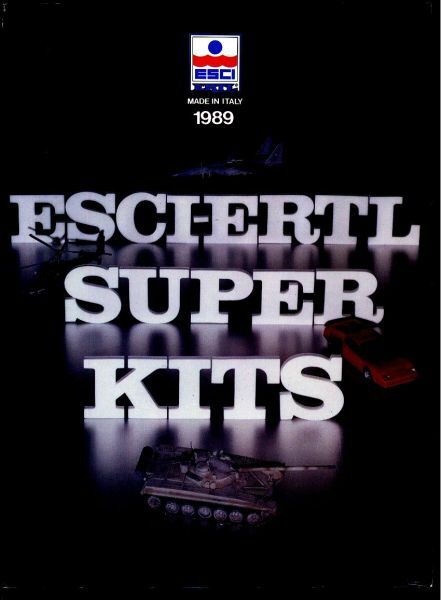 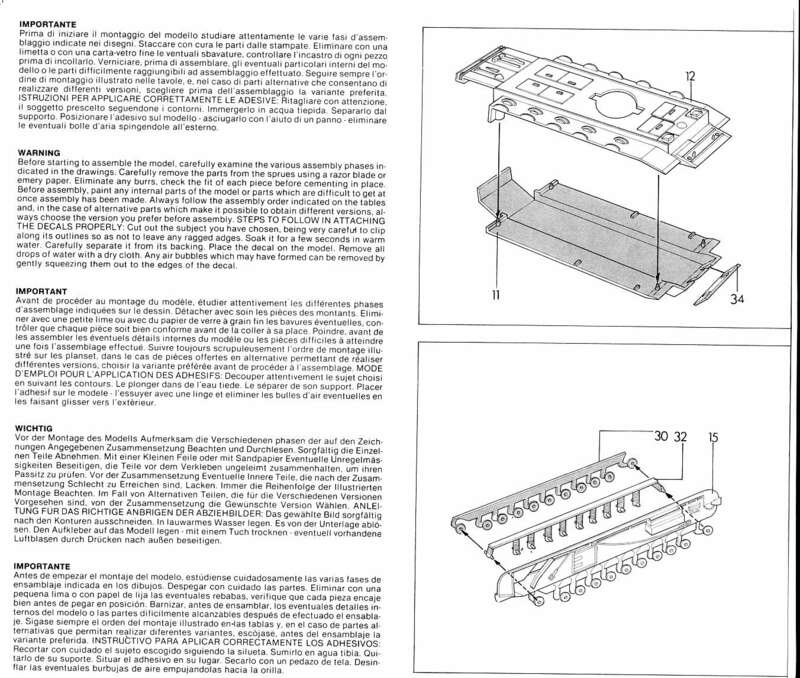 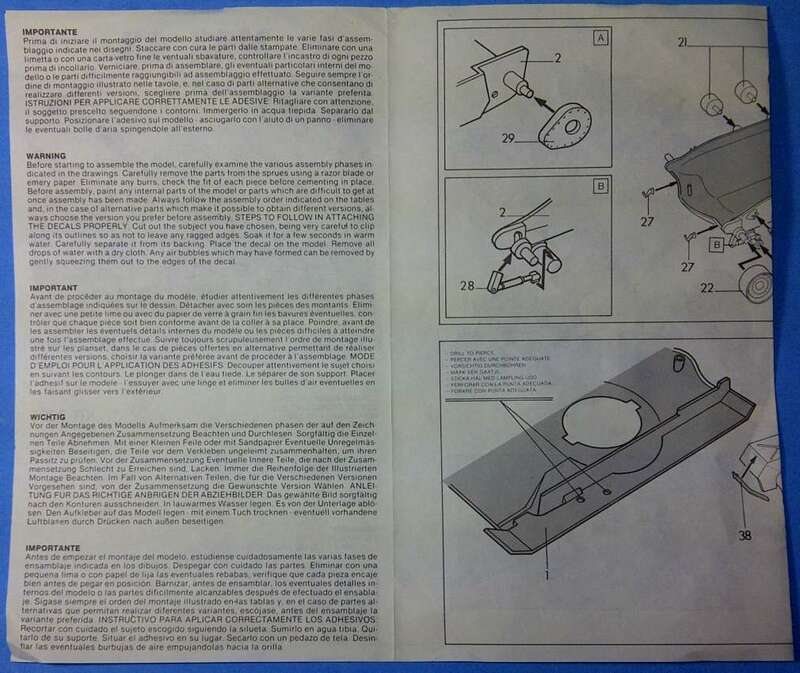 Right up to the end in 1999 the 8300 kits appear randomly in the Esci/Ertl catalogues from 1991 to 1999. 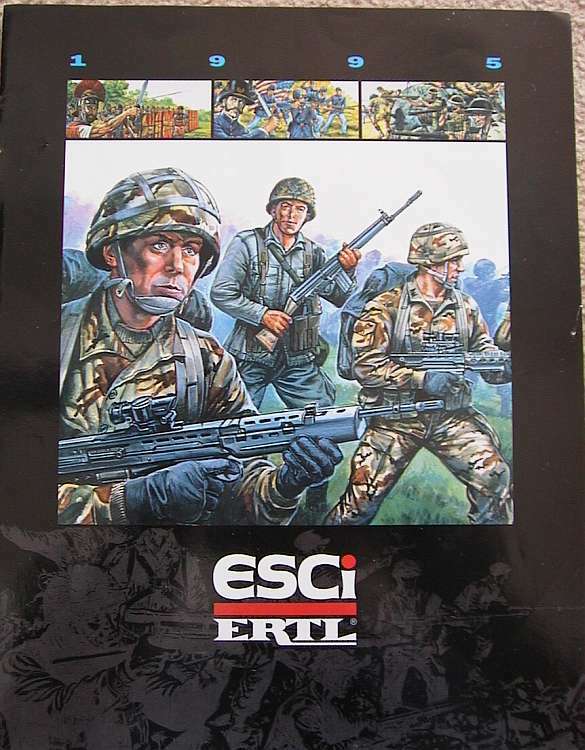 Some are in the Greenband series discussed elswhere. 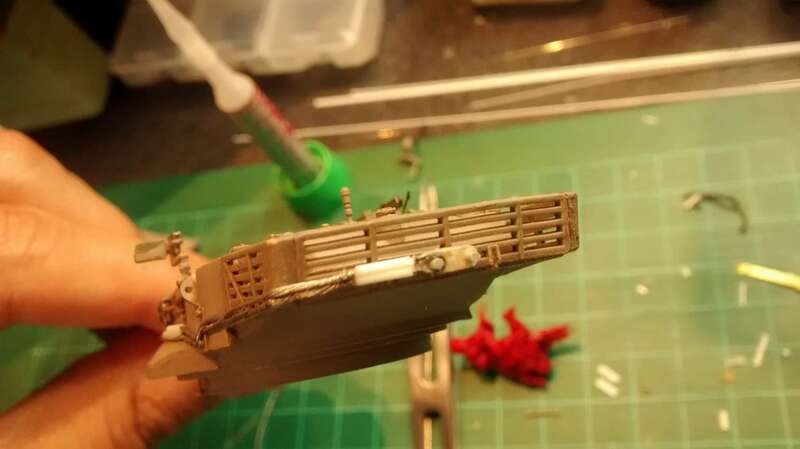 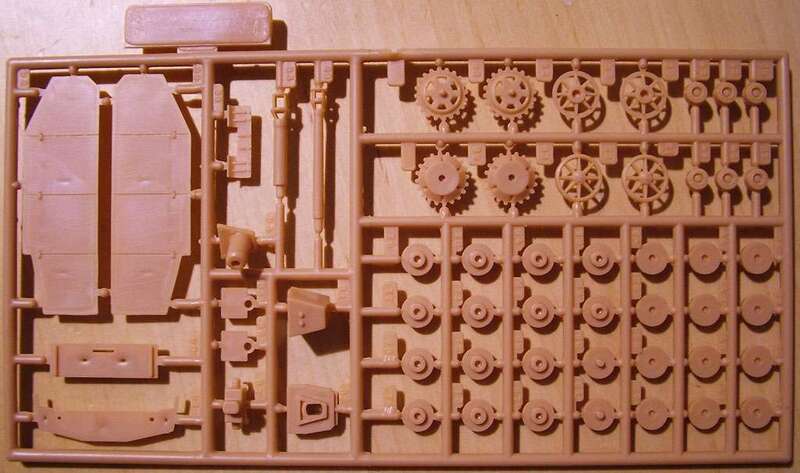 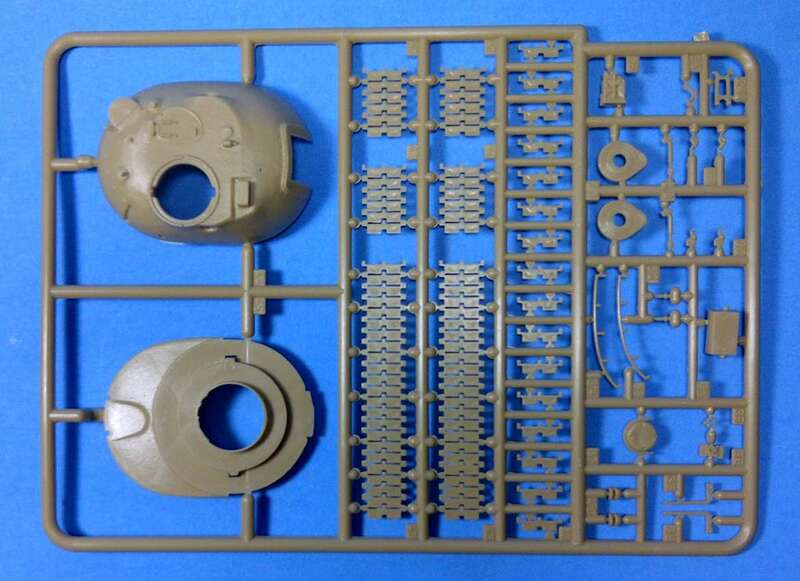 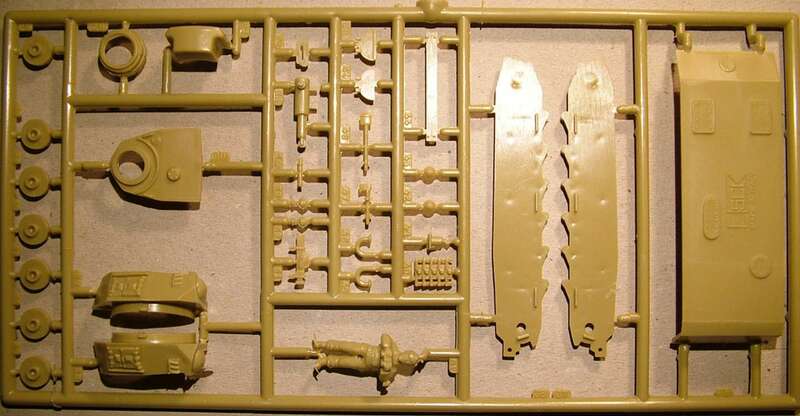 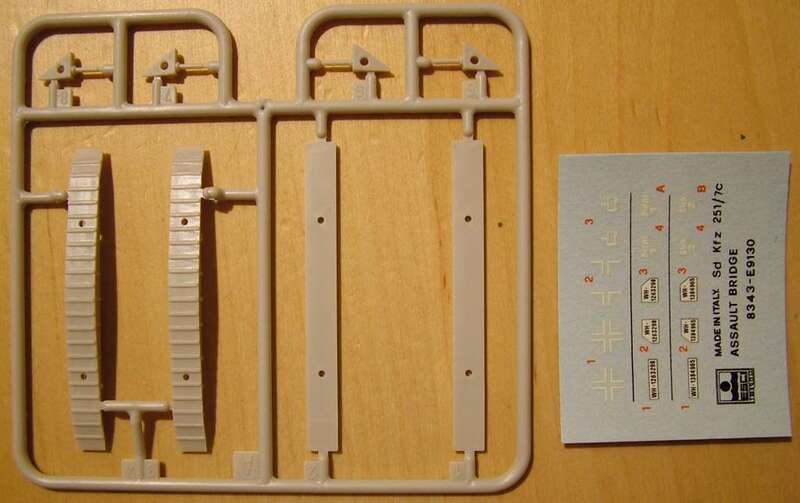 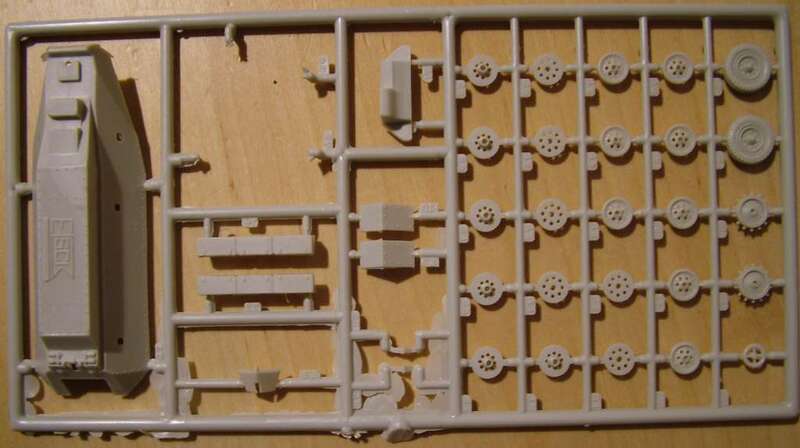 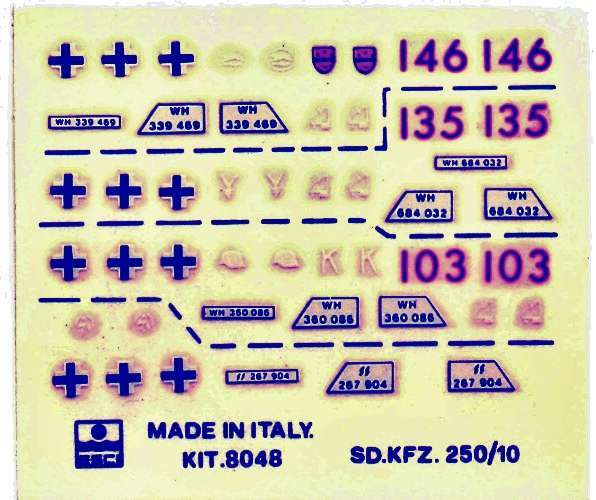 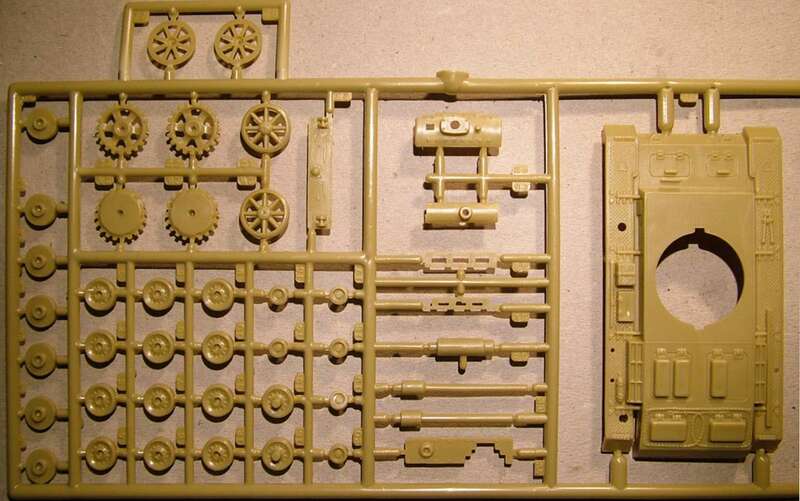 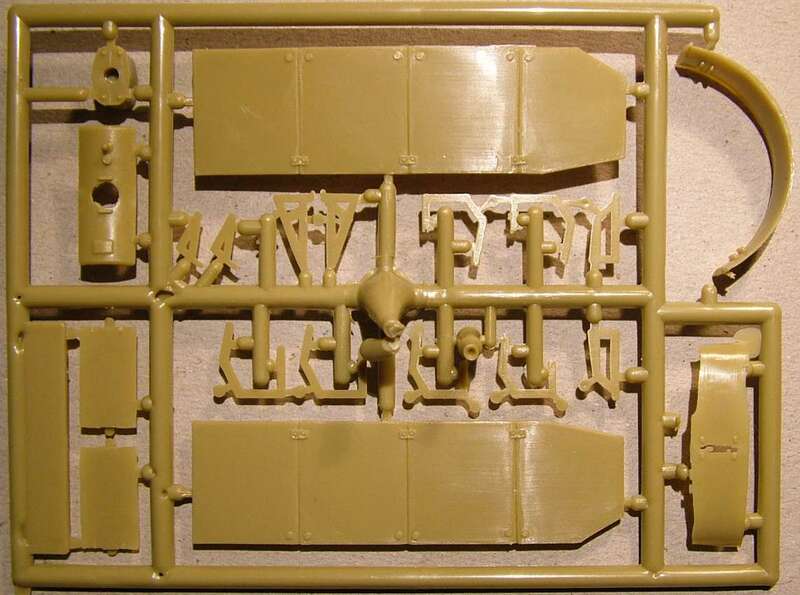 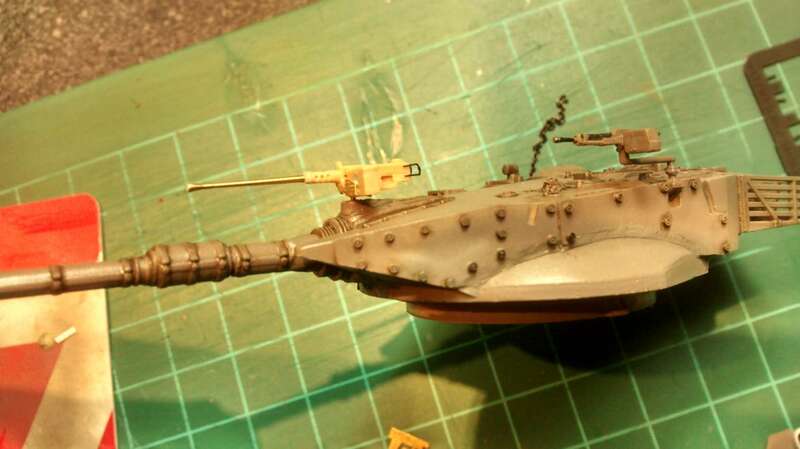 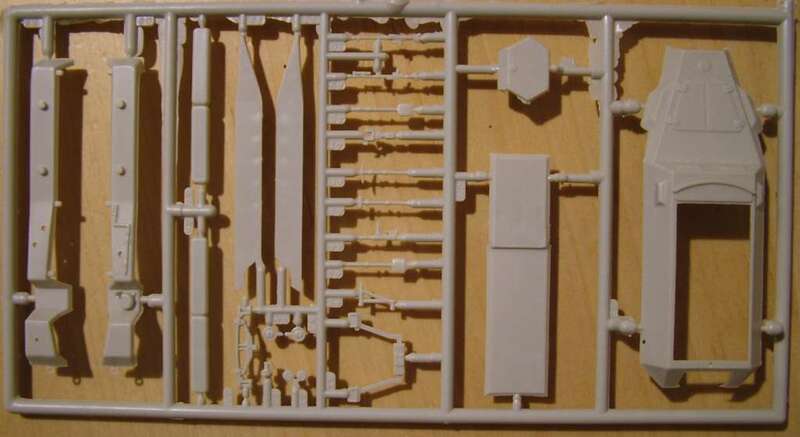 Many kits are badly moulded with lots of flash in pale yellow or lightgrey plastic. 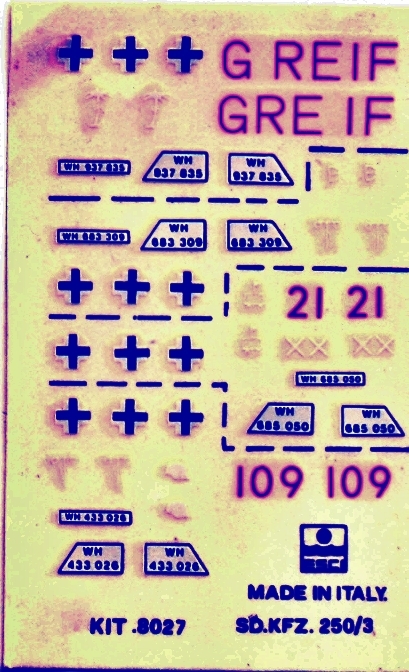 The instruction leaflets are sometimes overblackened copies of originals and decals are often not present : the end is near! 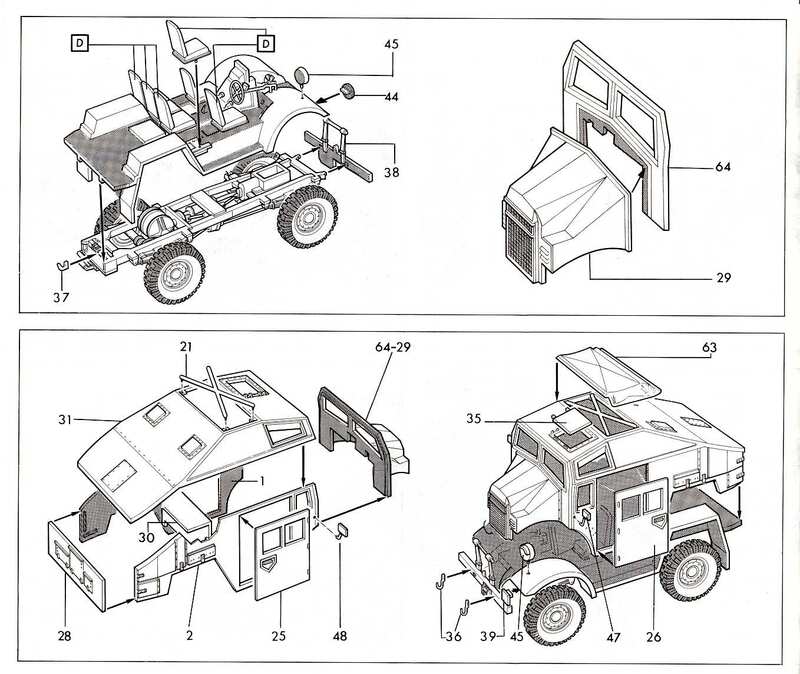 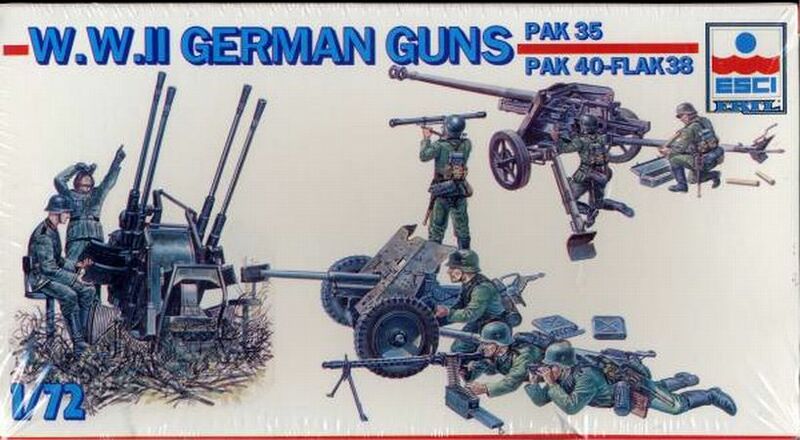 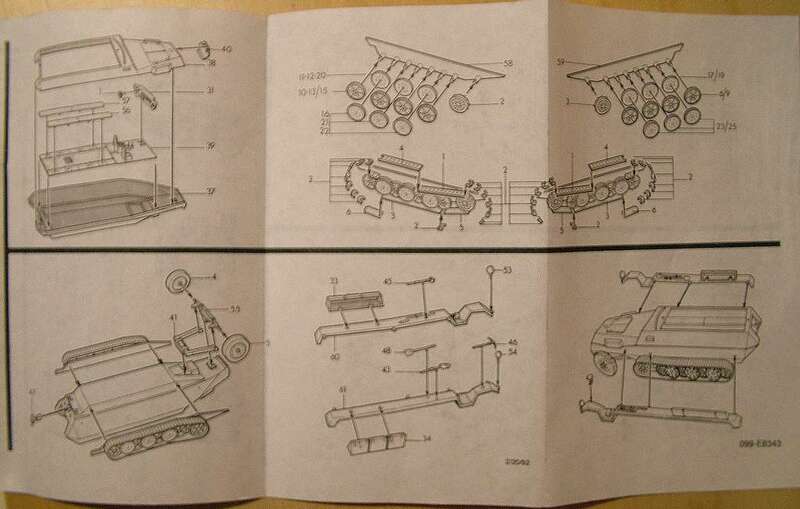 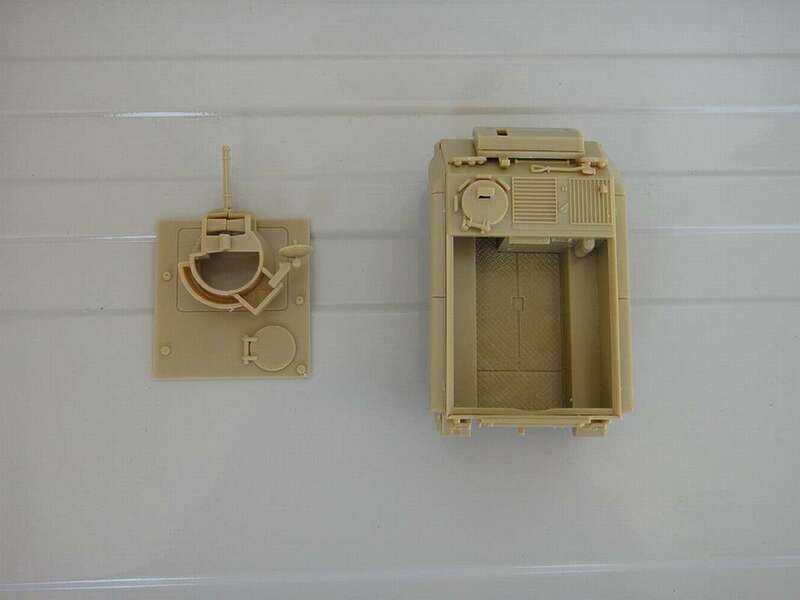 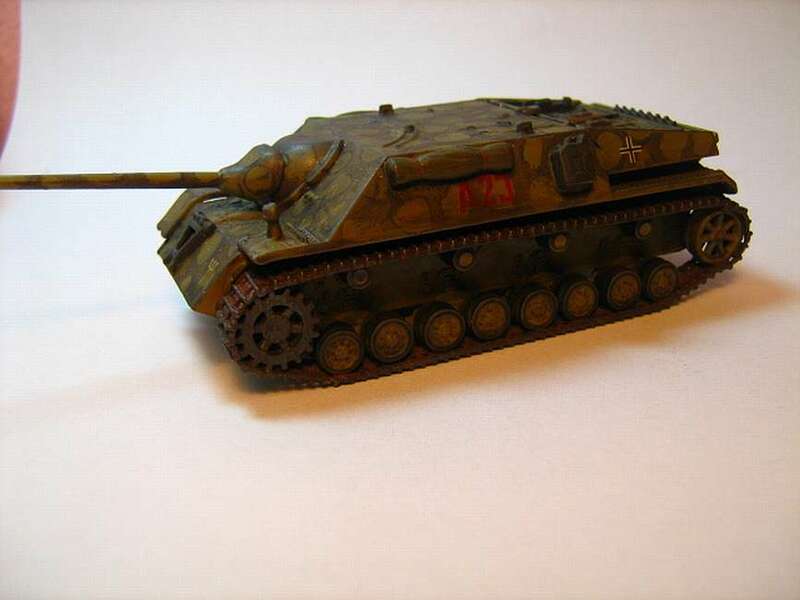 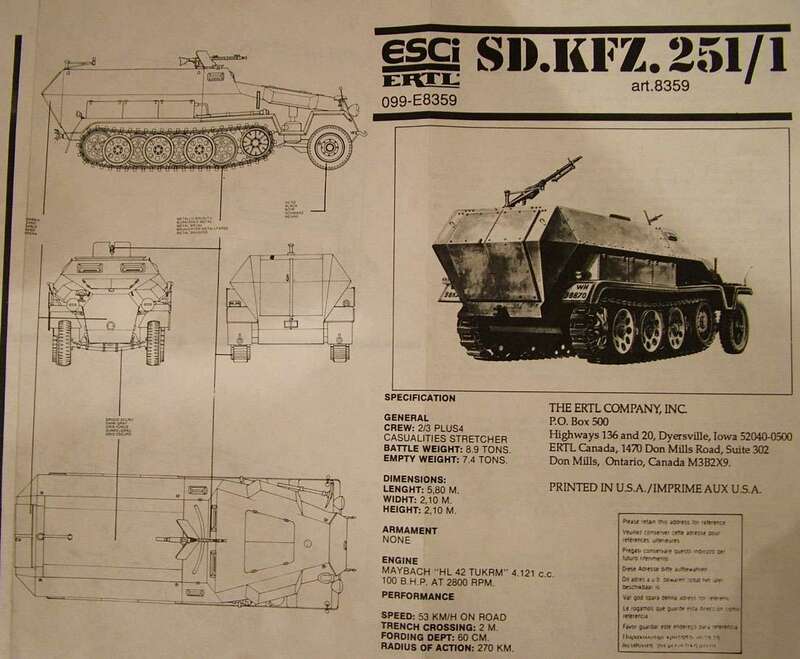 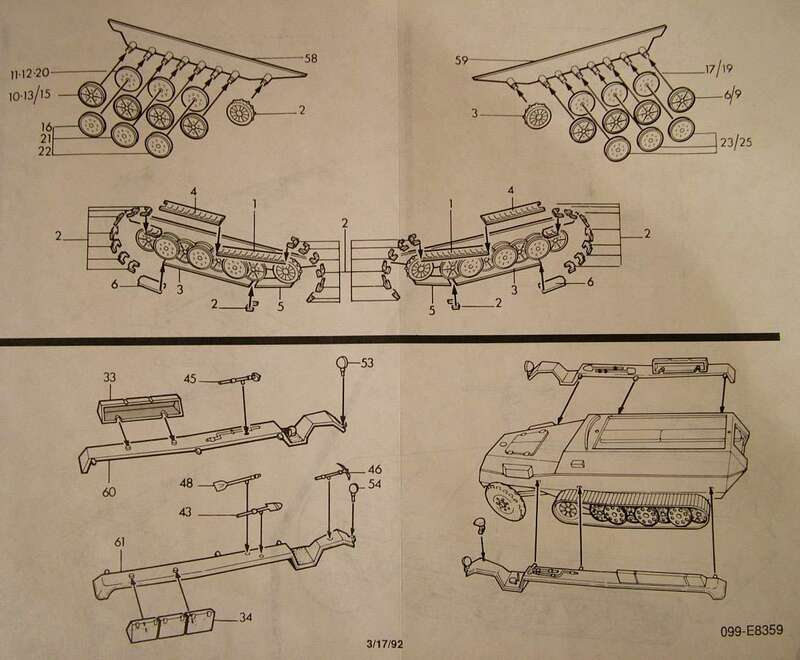 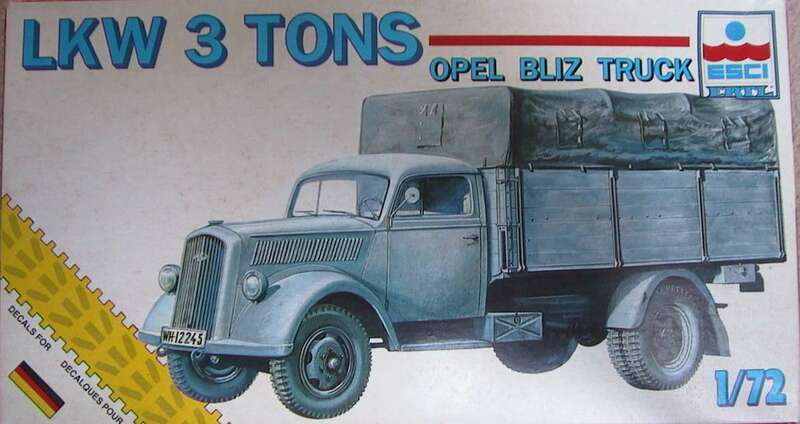 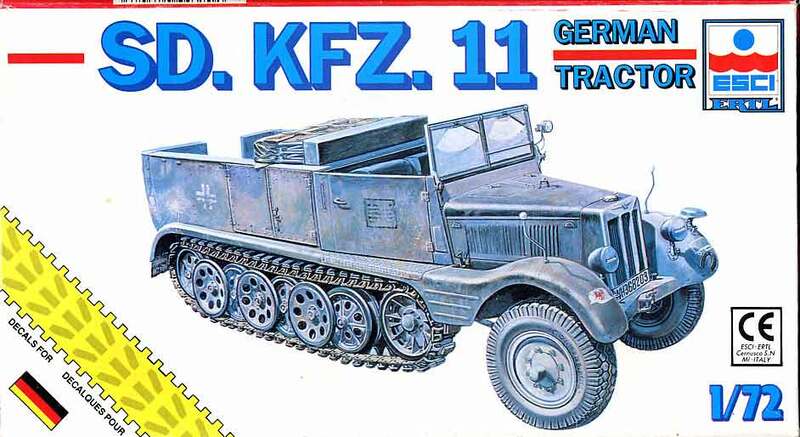 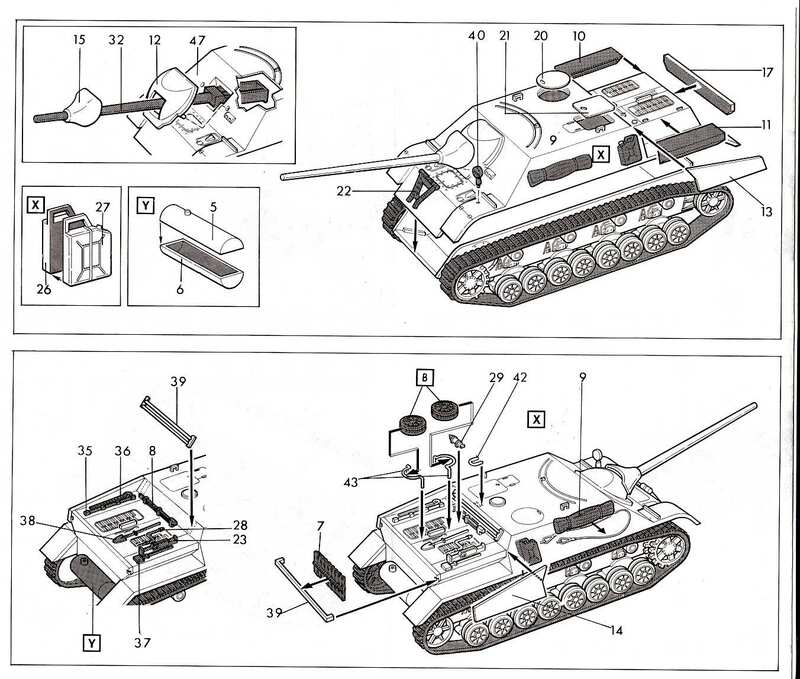 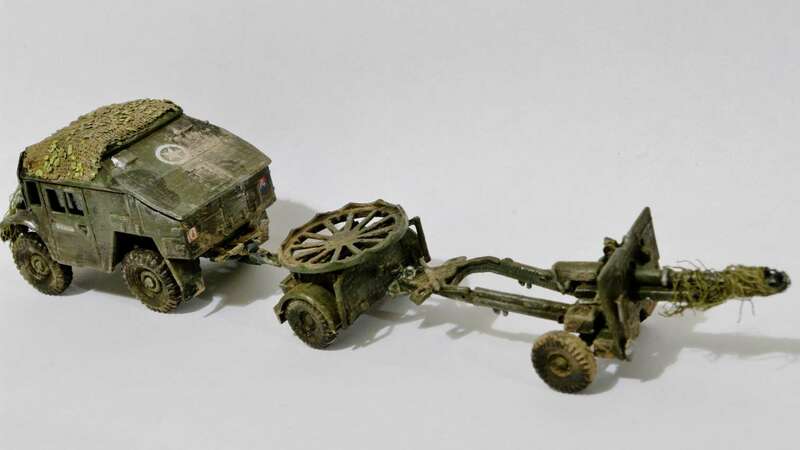 In 1999 the final two Esci kits are released from China : The SdKfz 251/1 and the Opel Blitz truck in green boxes. 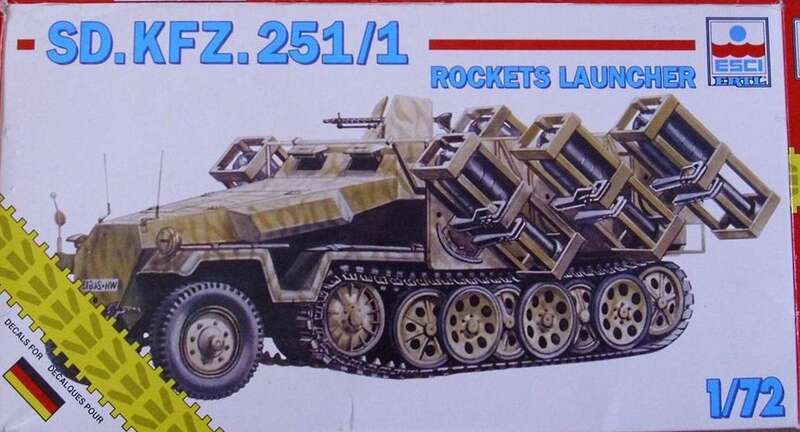 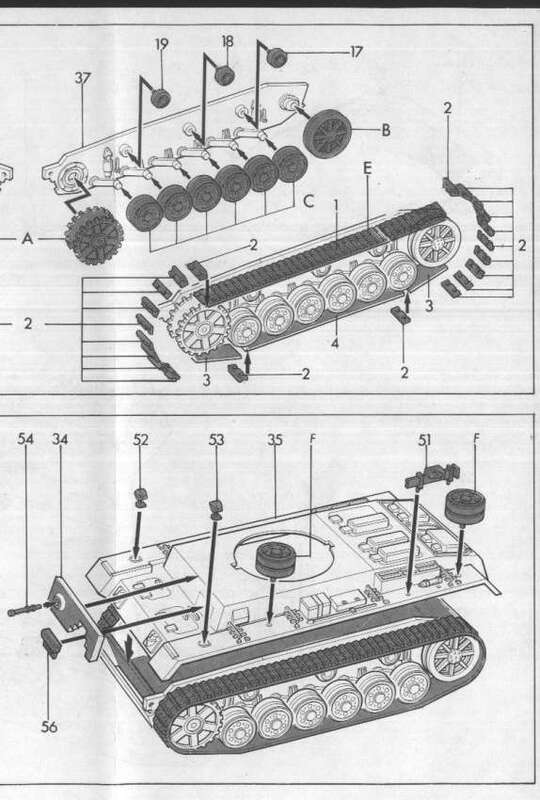 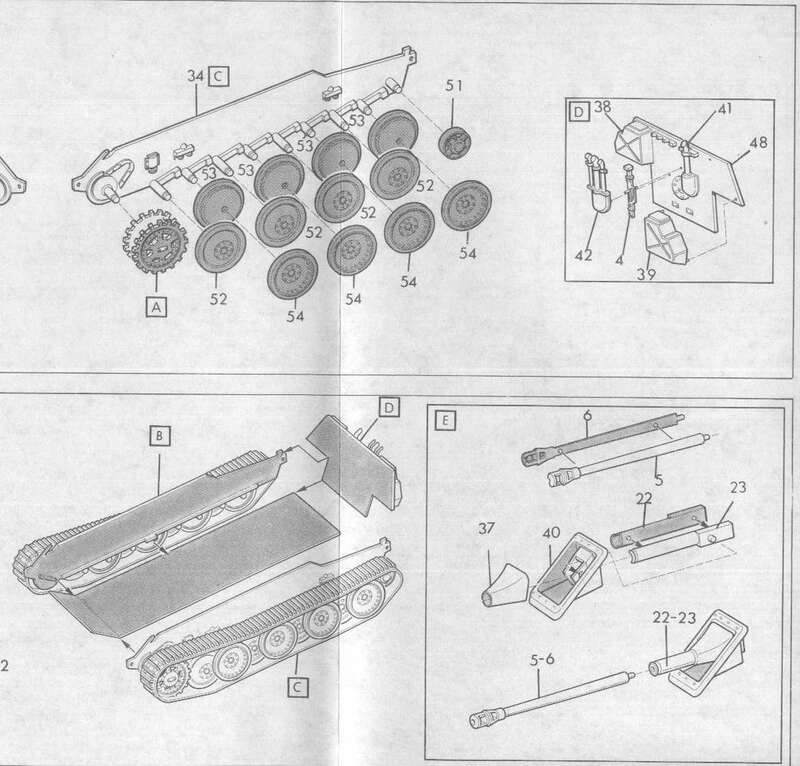 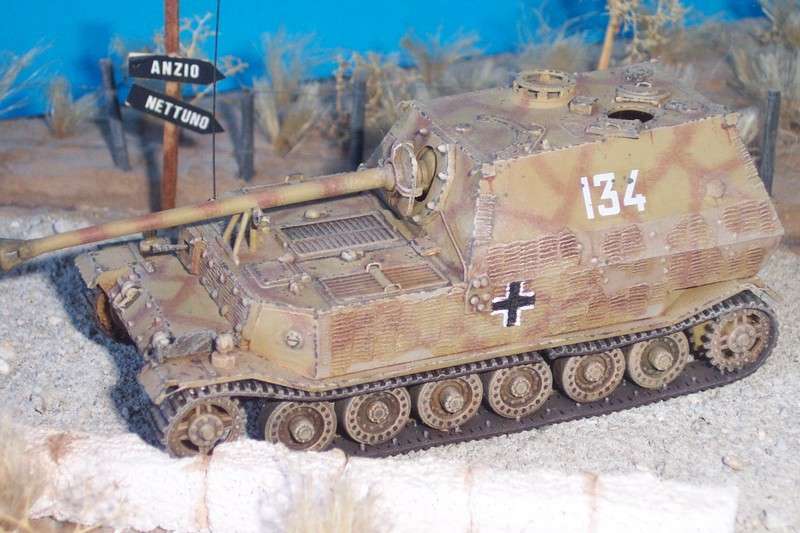 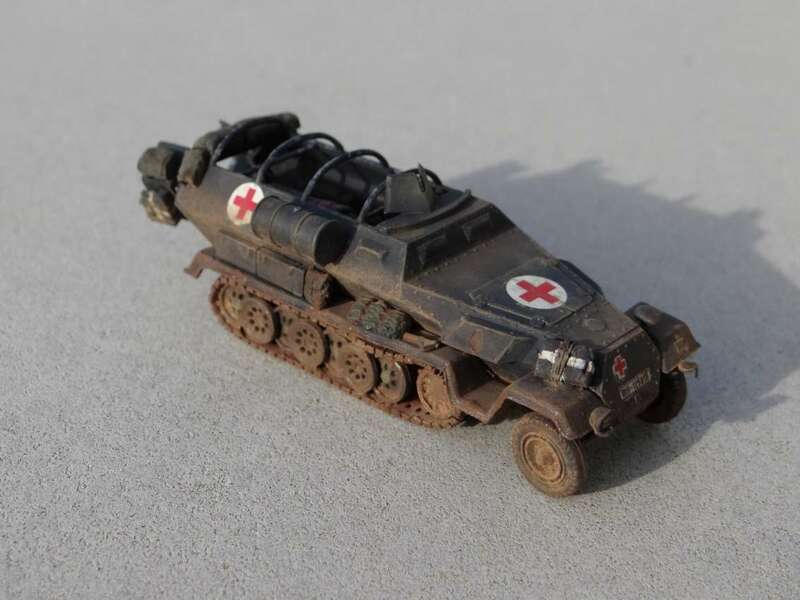 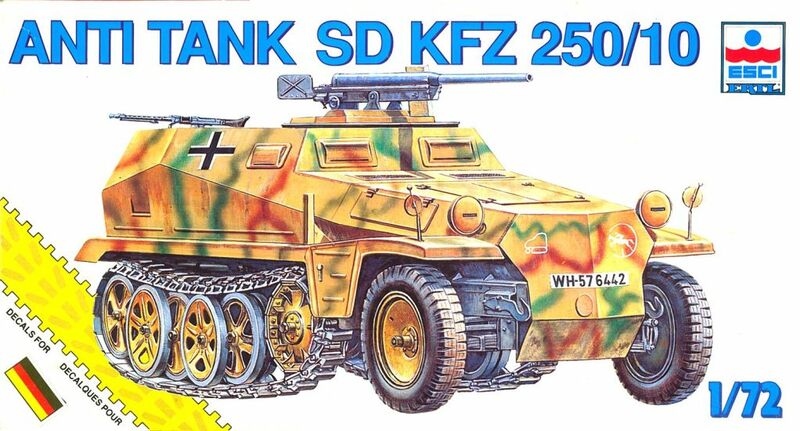 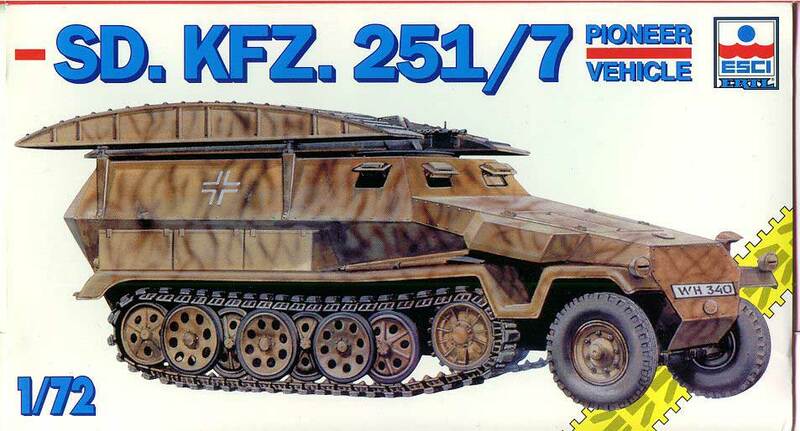 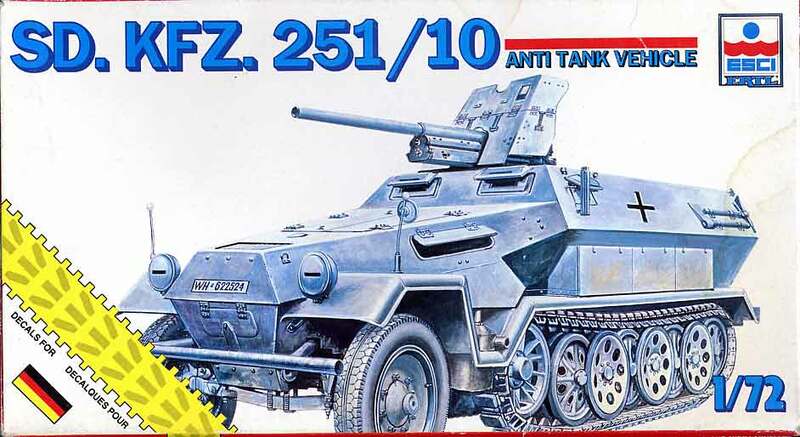 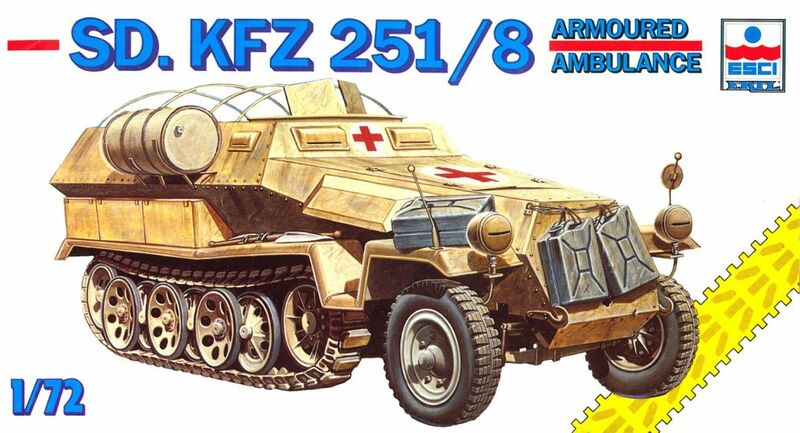 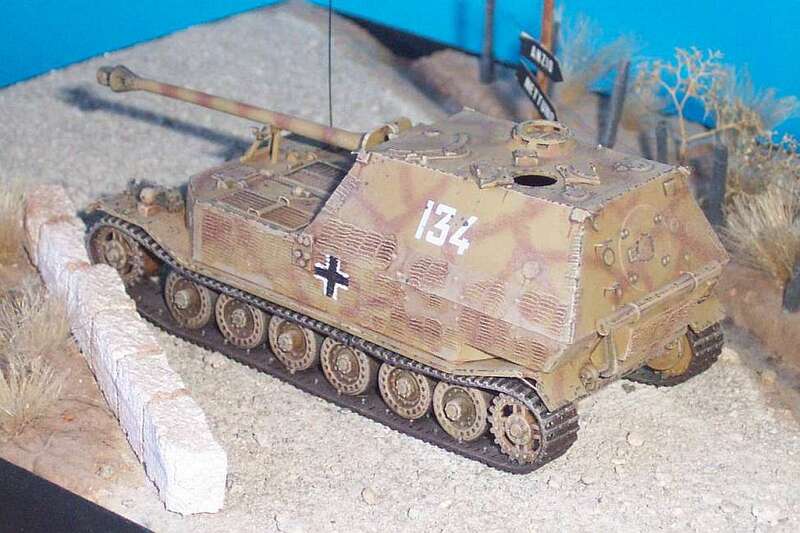 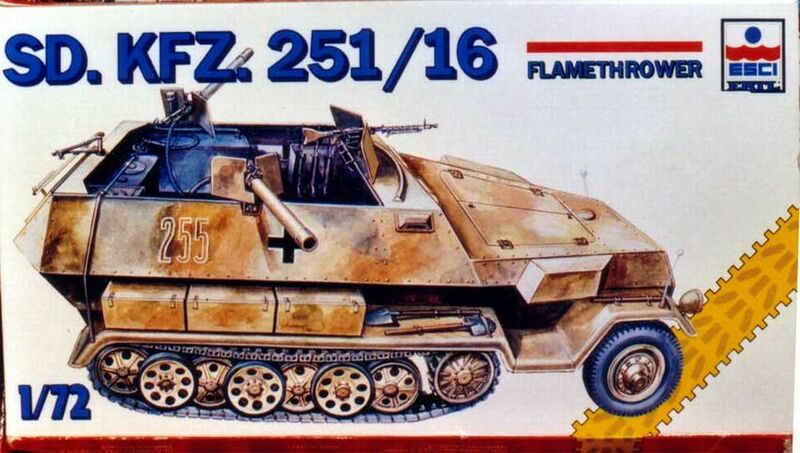 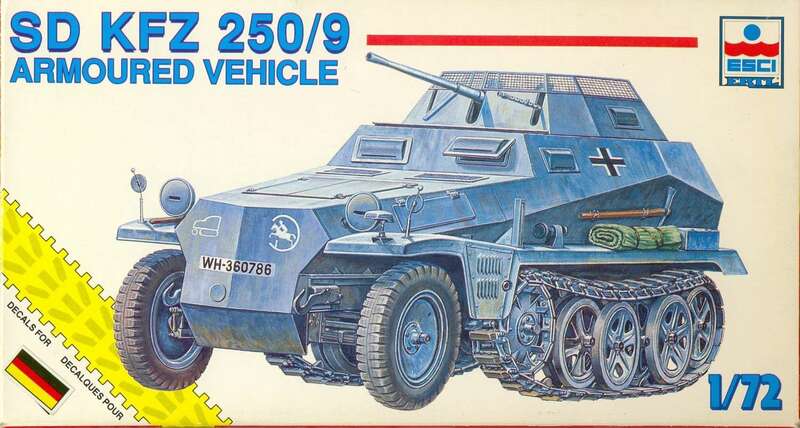 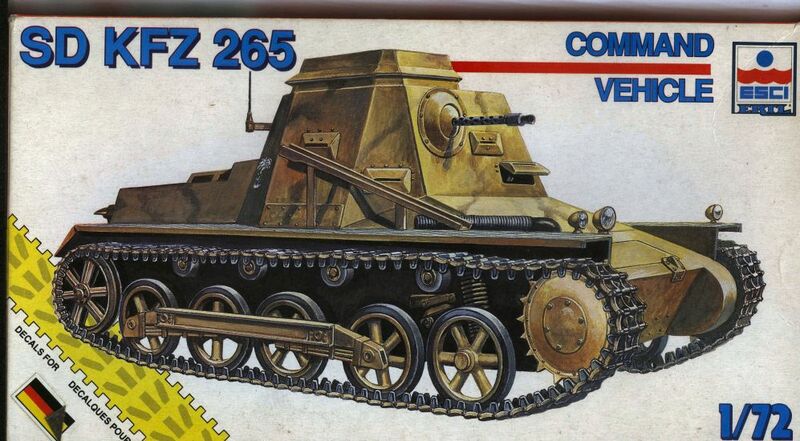 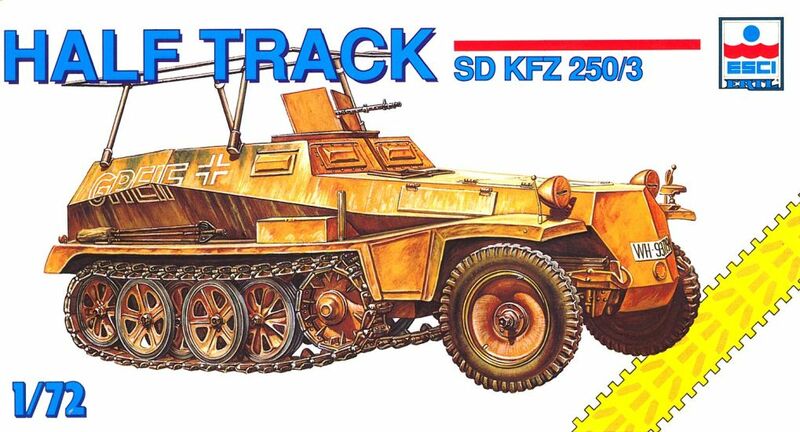 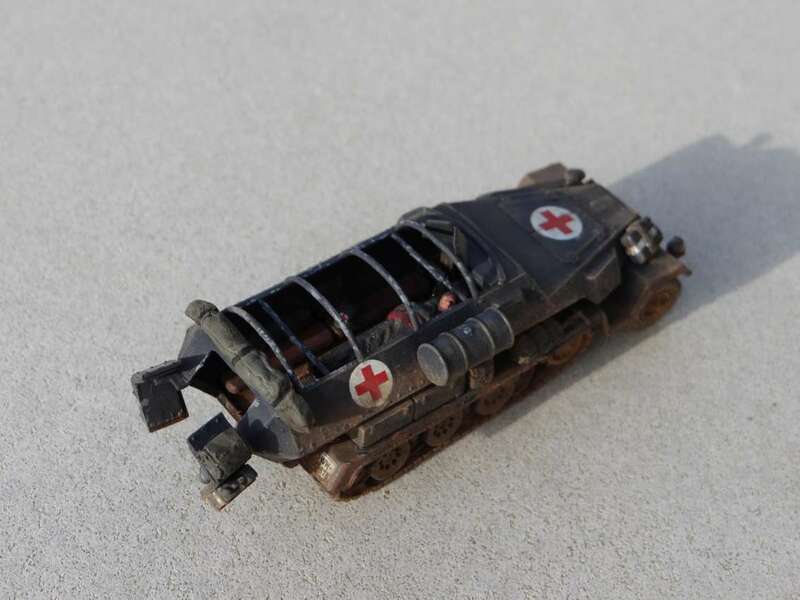 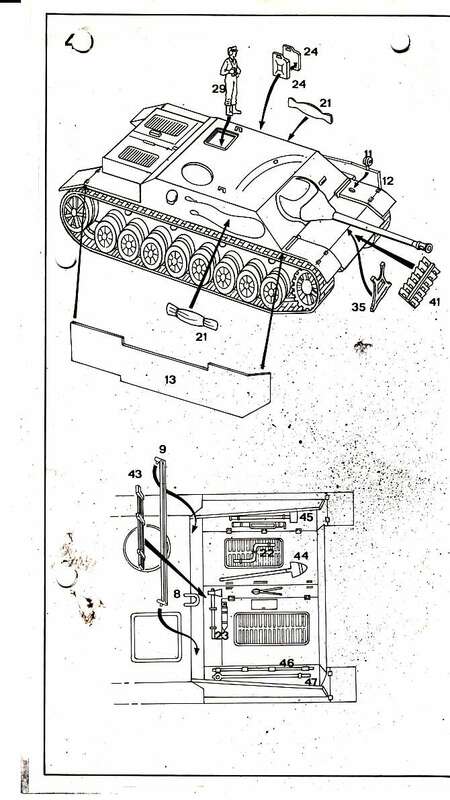 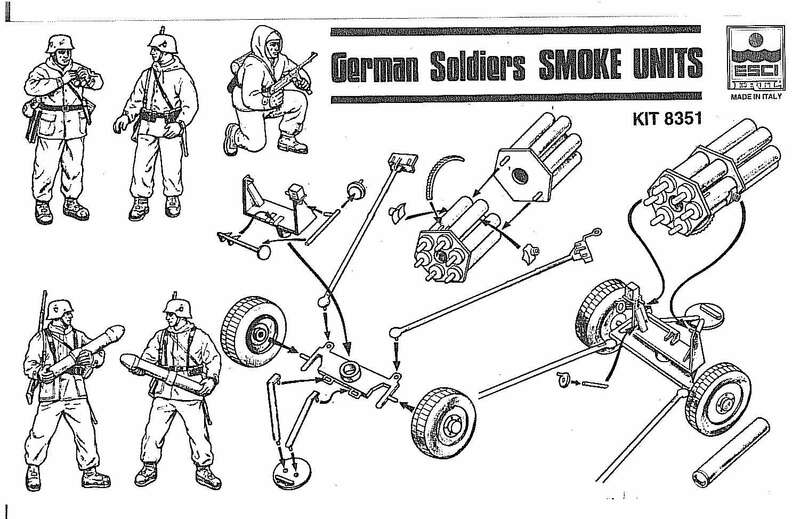 The 251 actually contains a SdKfz 251/16 Flamethrower with a bad new instruction leaflet and an old decal. 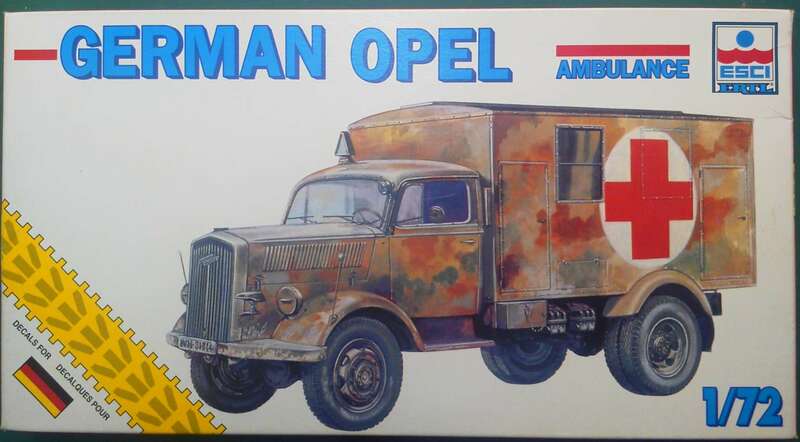 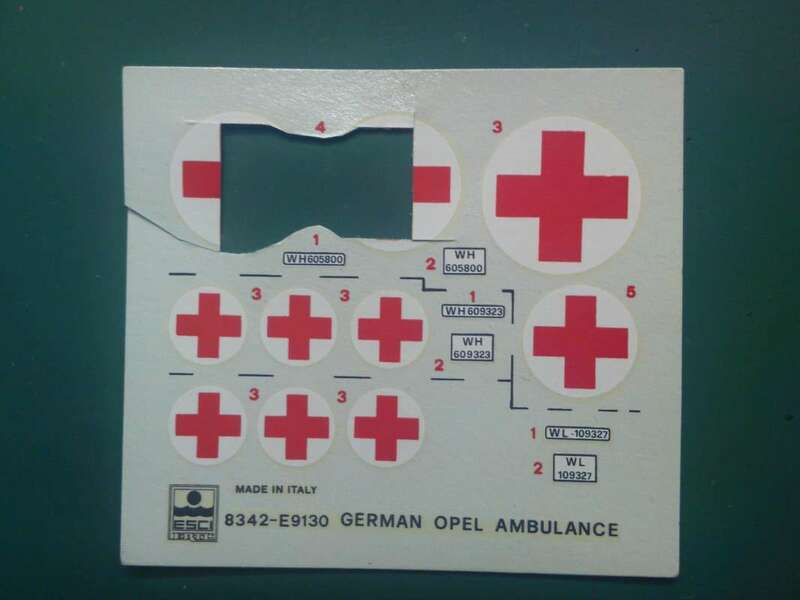 The Blitz kit contains the ambulance variant with an equally bad instruction leaflet but a very nice new decal..... End of 1999 it is over and Esci ceases to exist. 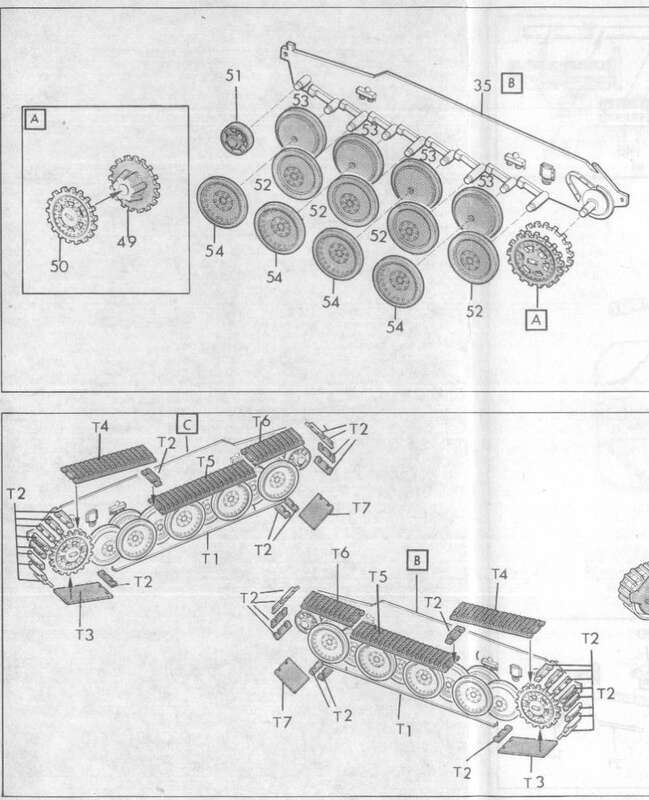 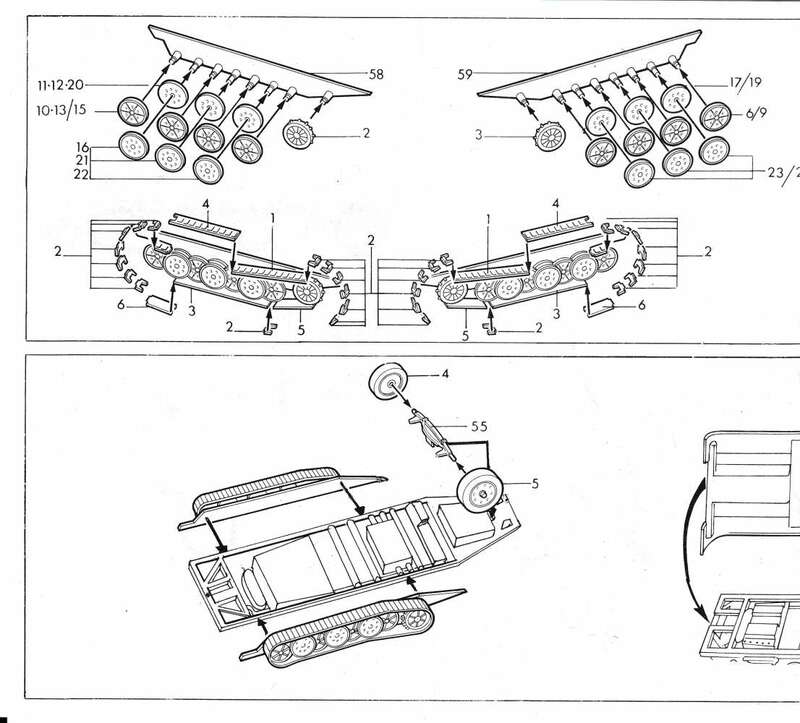 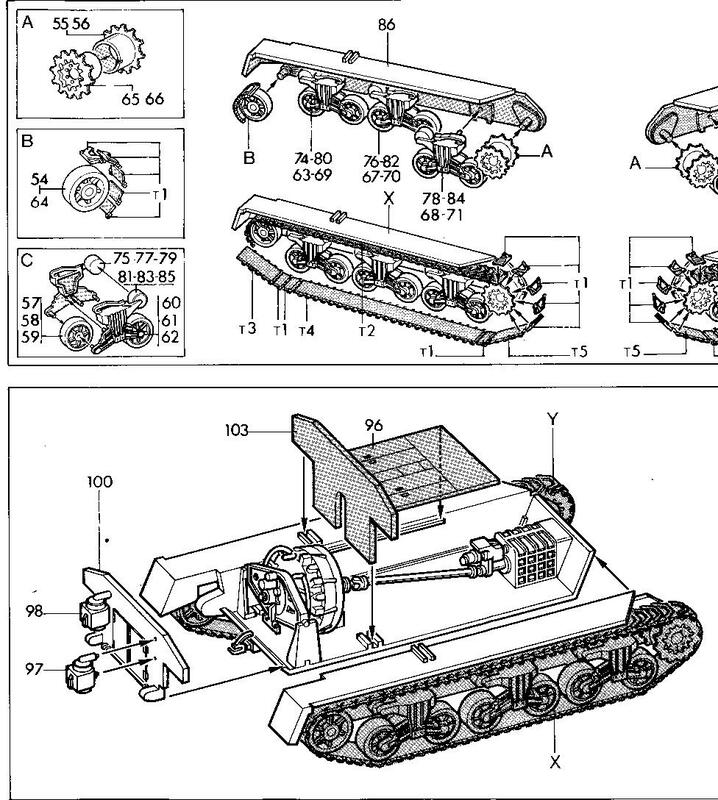 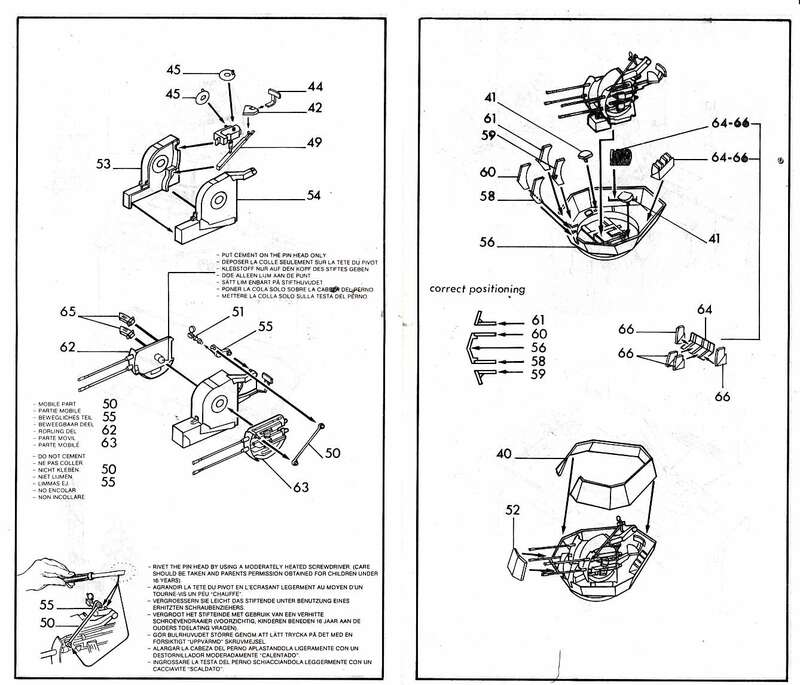 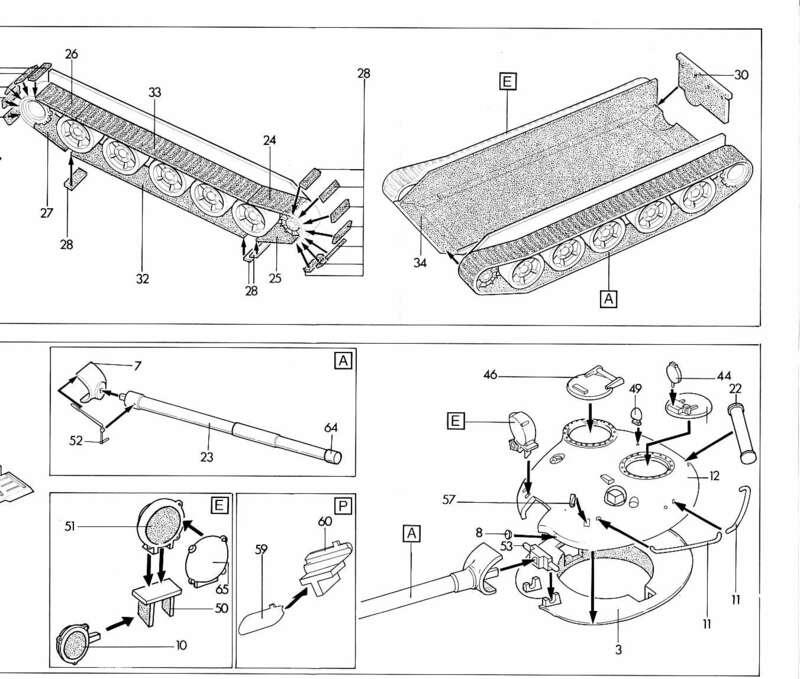 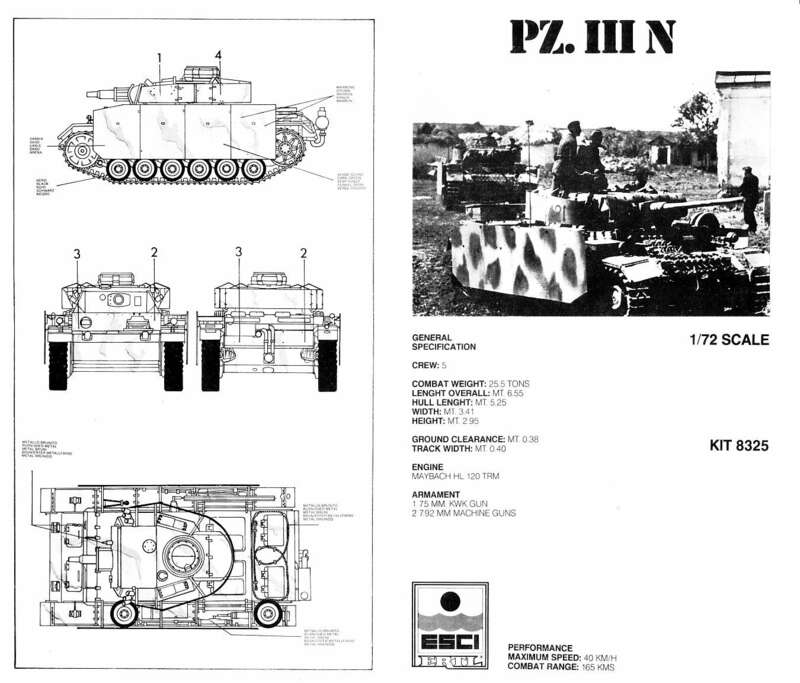 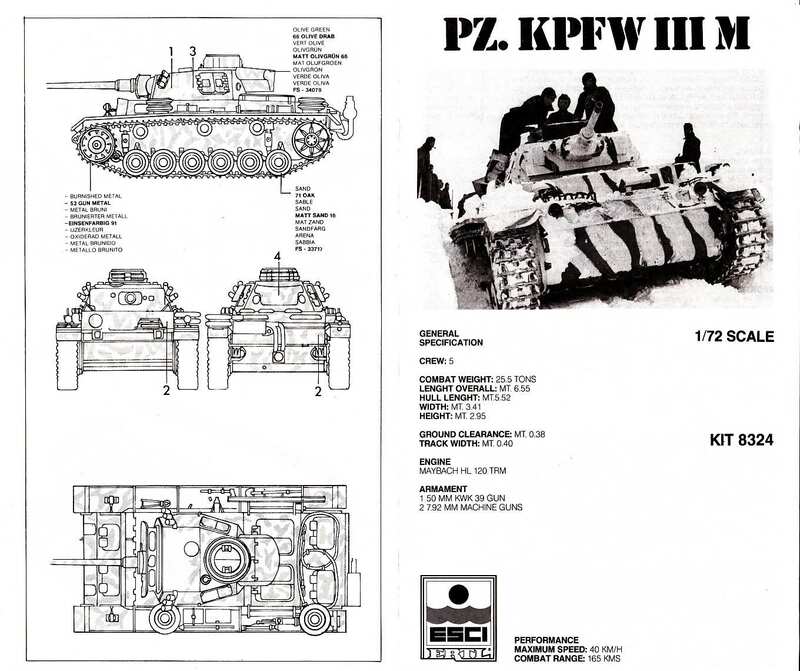 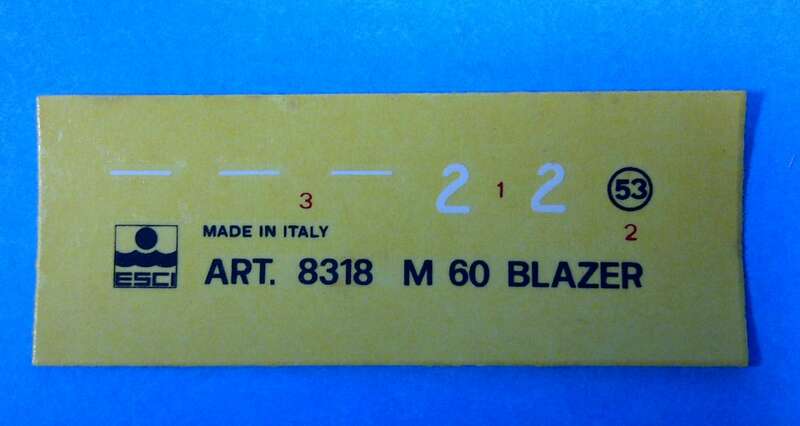 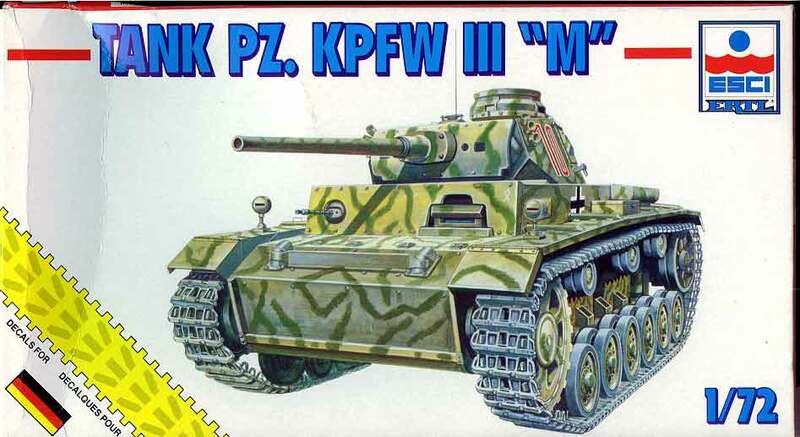 Kit 8311 - Pz. 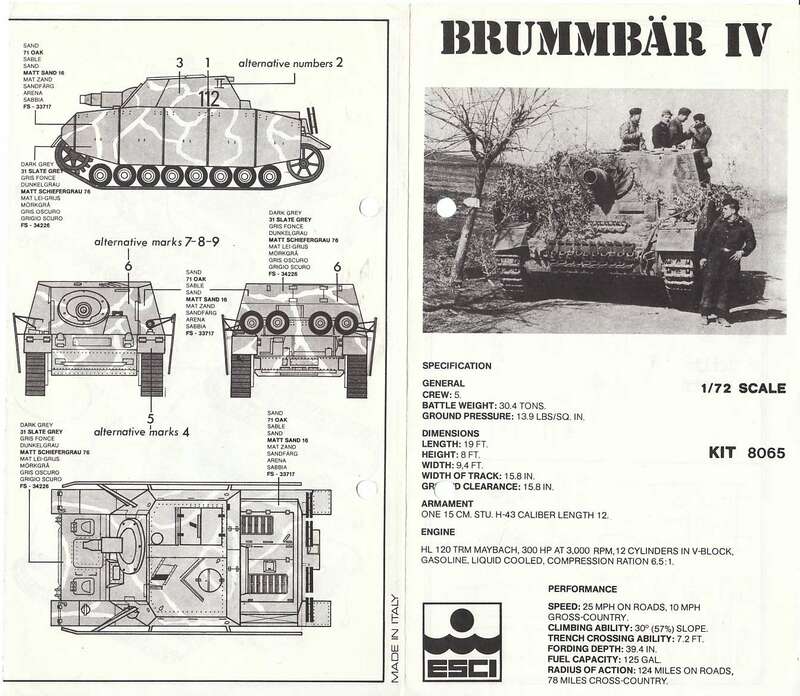 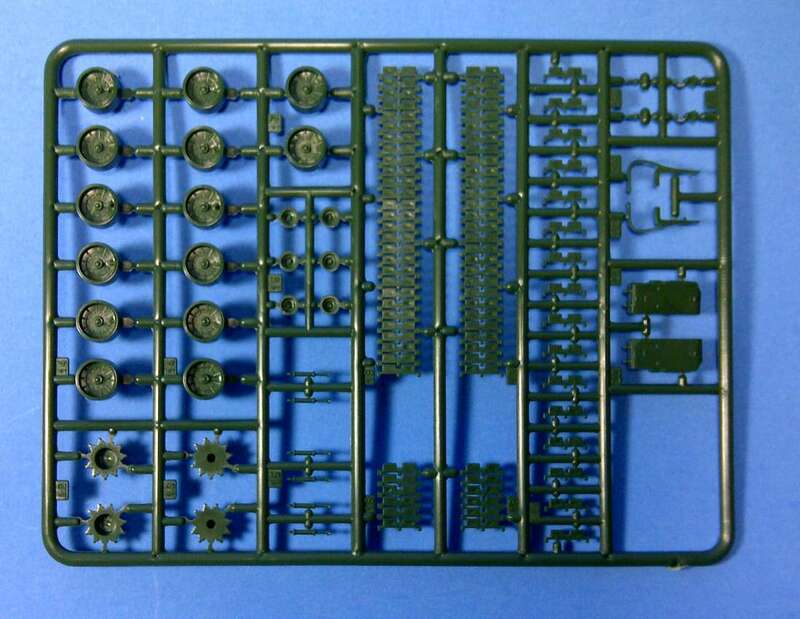 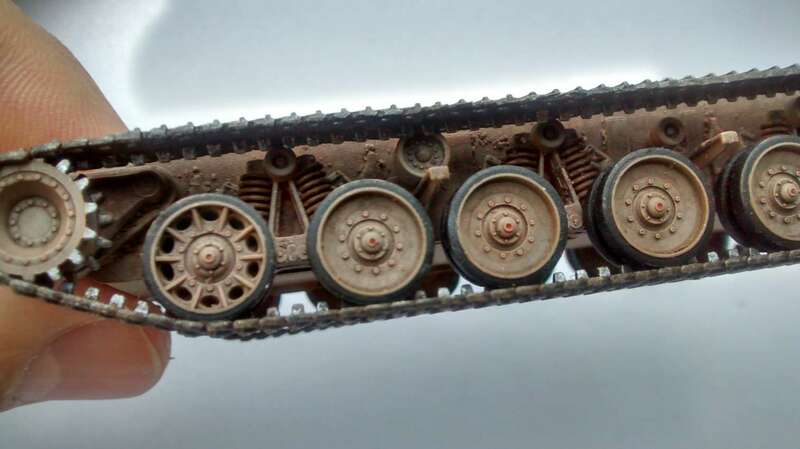 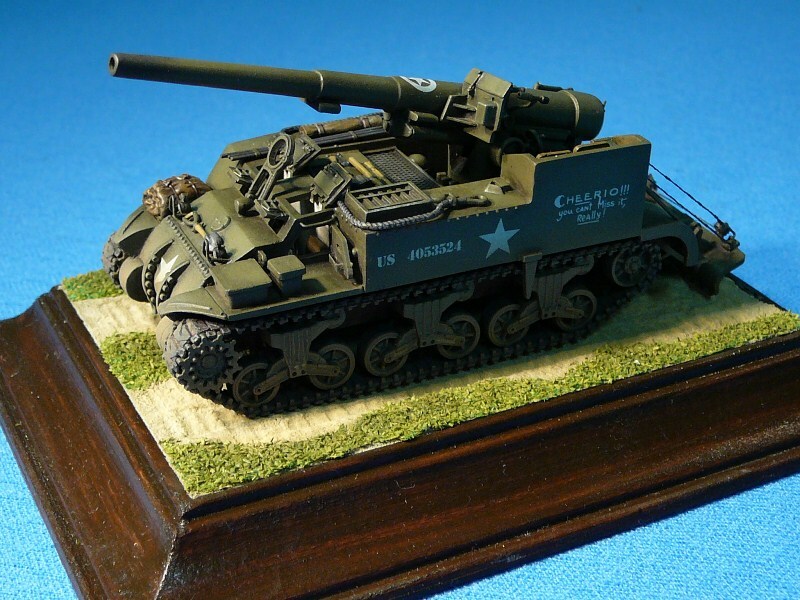 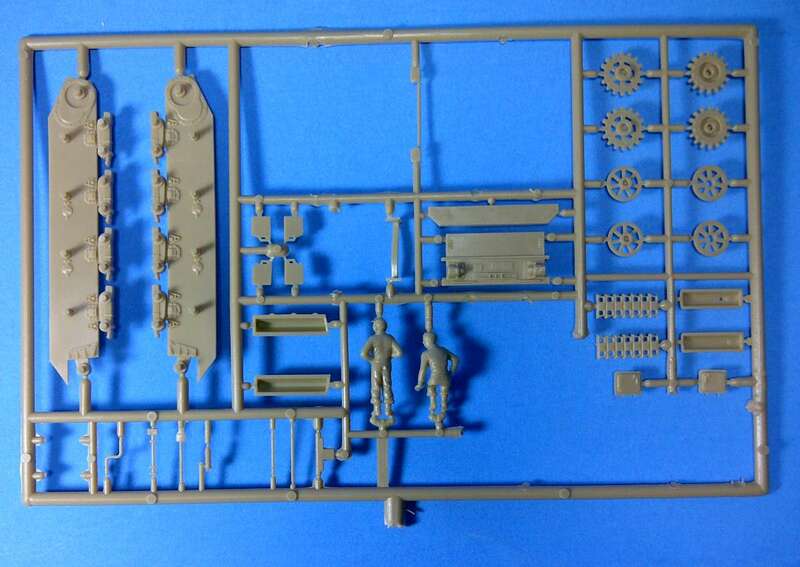 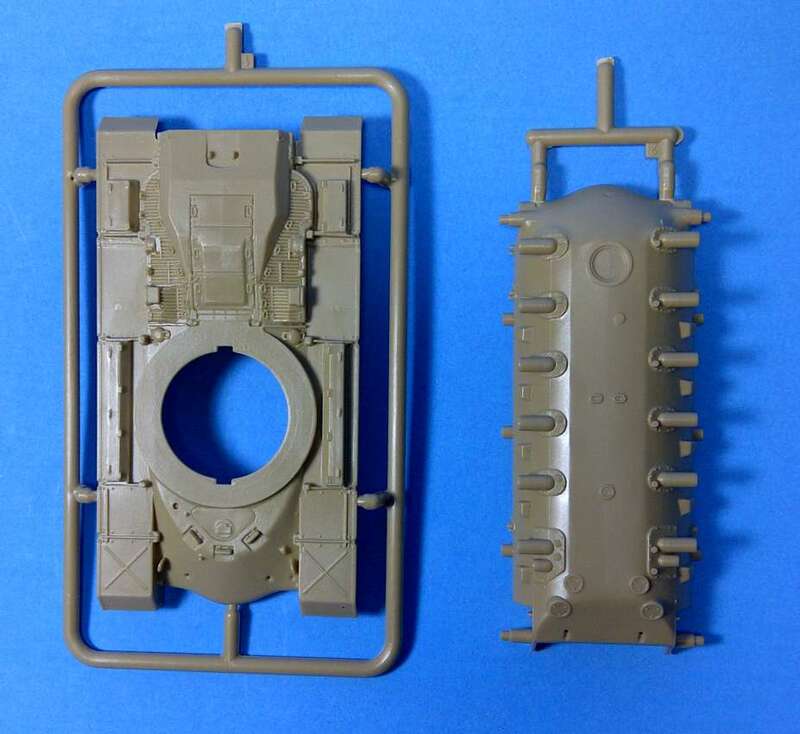 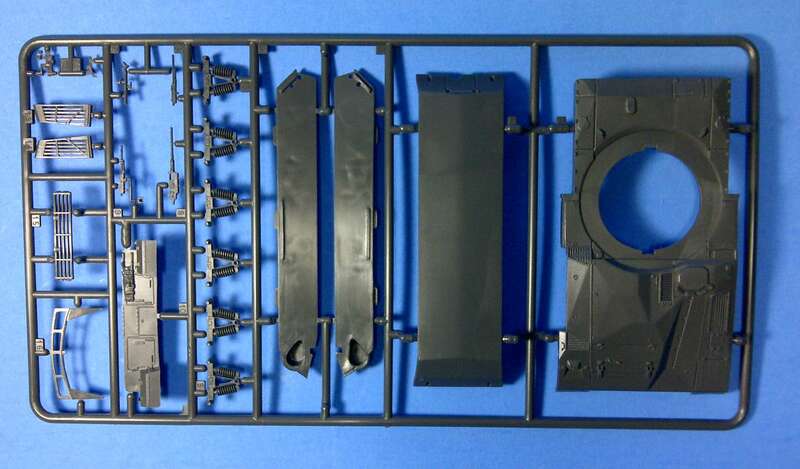 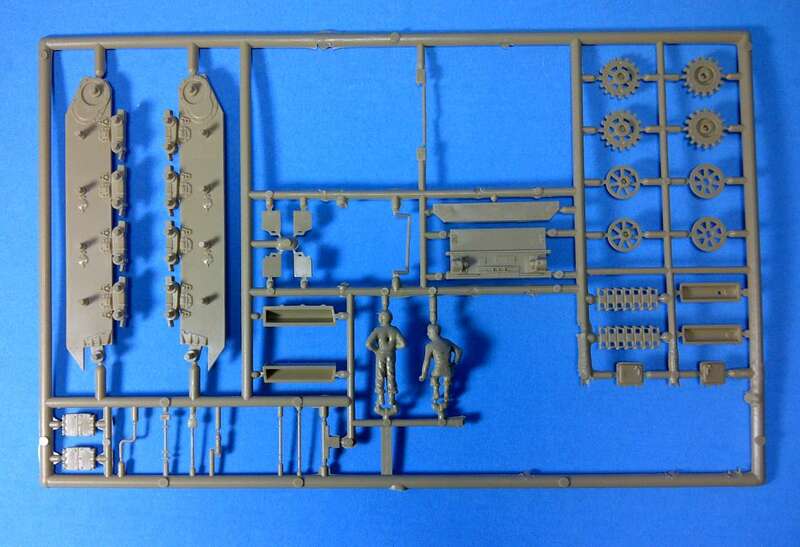 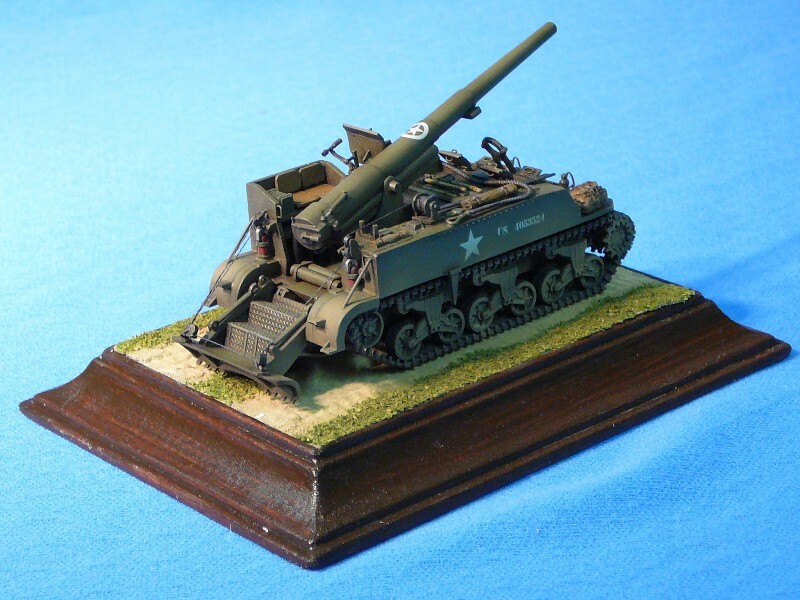 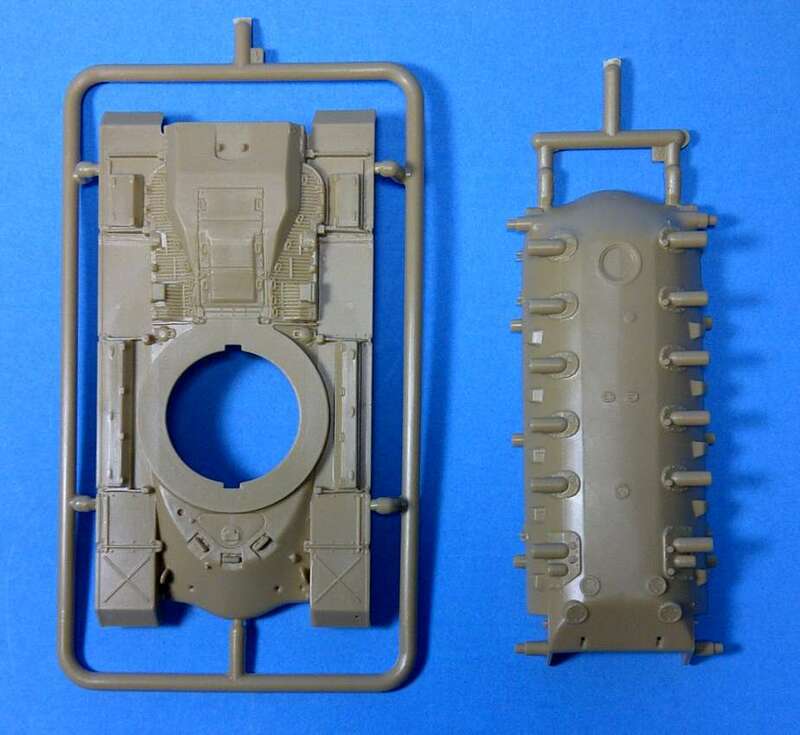 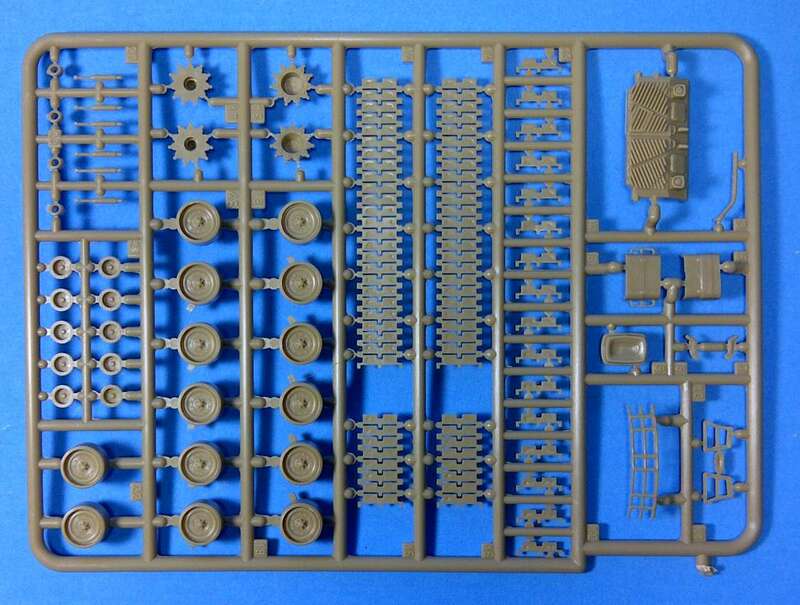 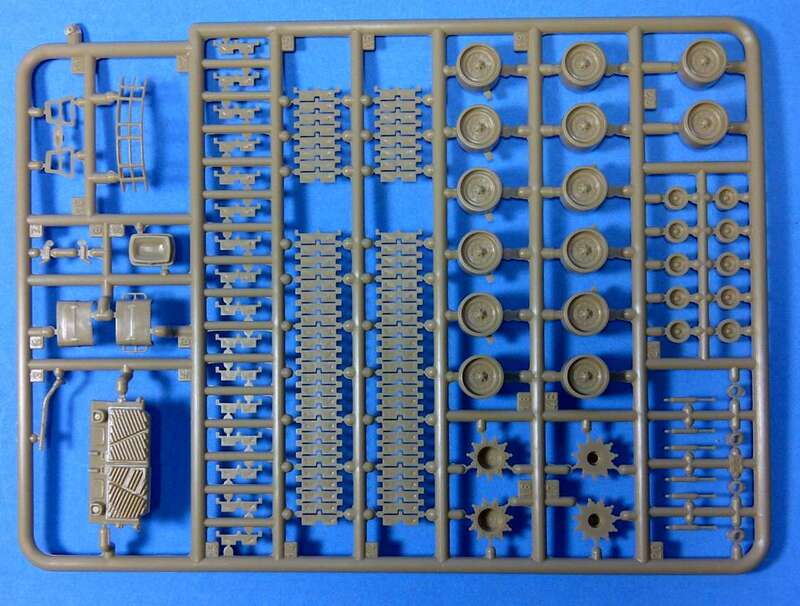 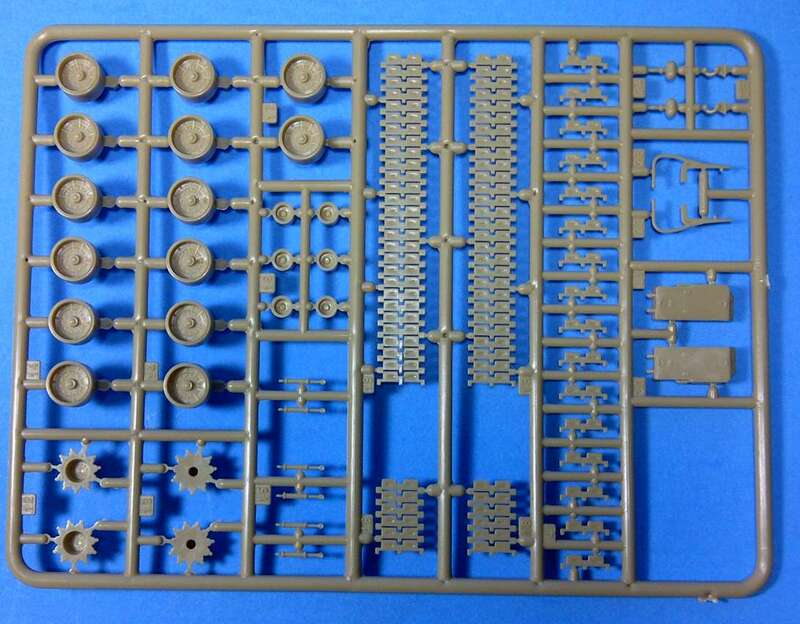 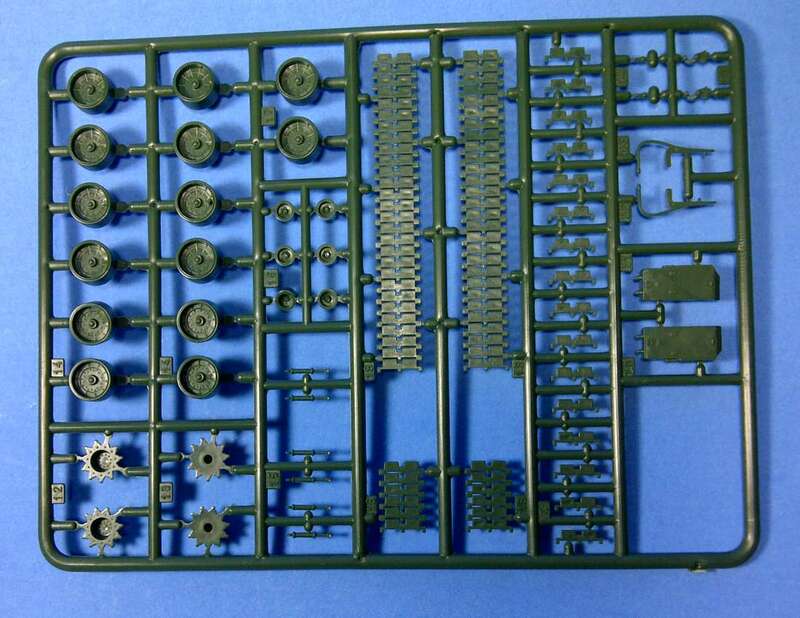 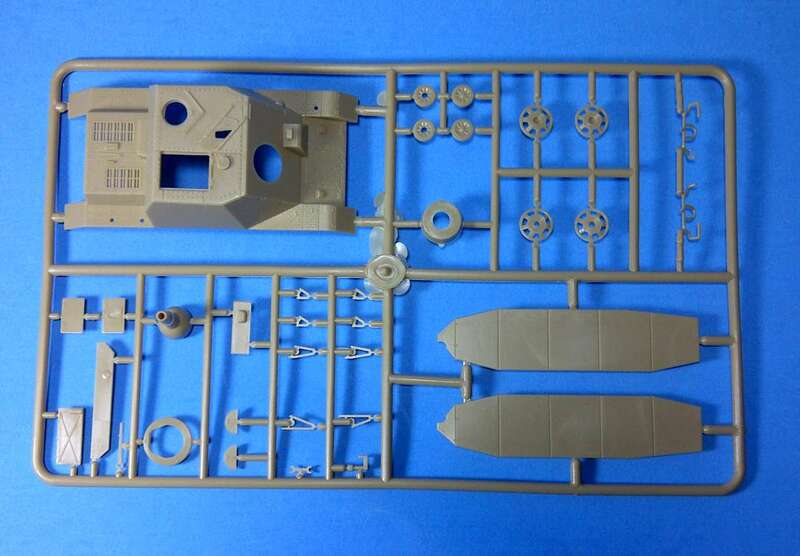 IV "Brummbar"
Kit 8313 - Sherman "Galliope"
Kit 8314 - Pz. 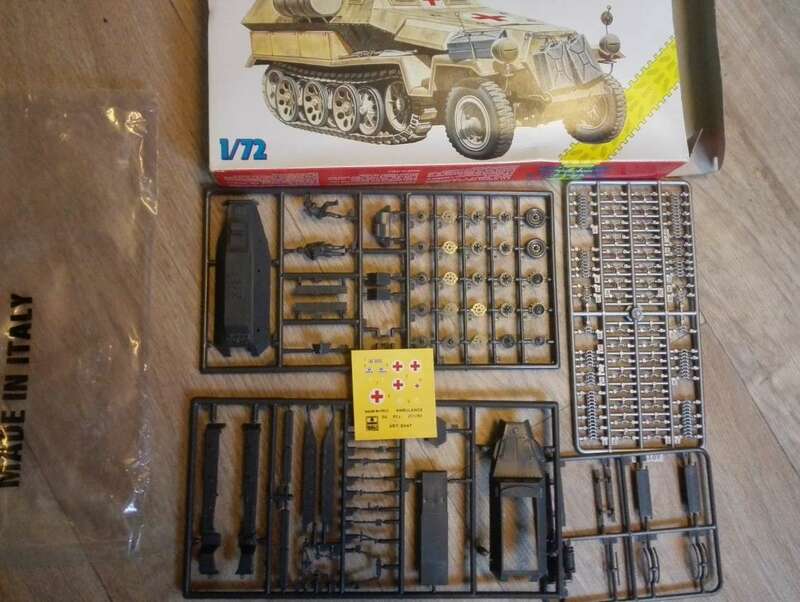 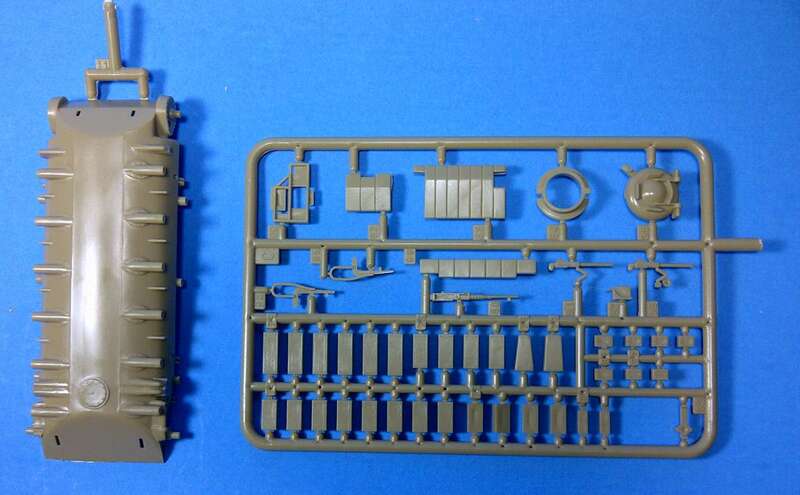 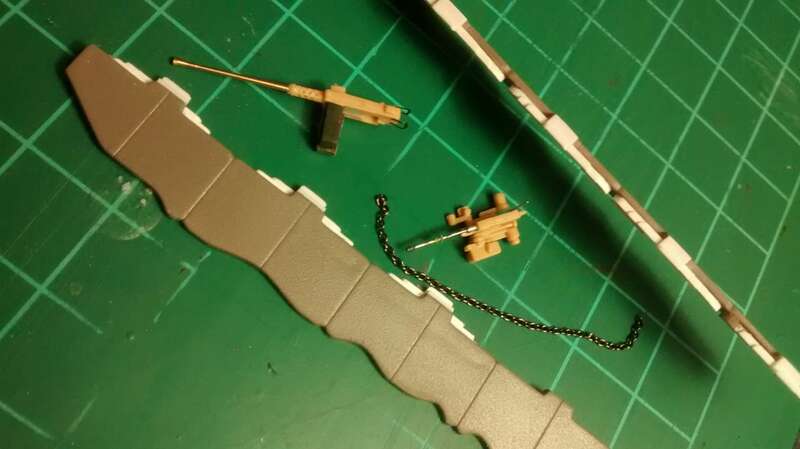 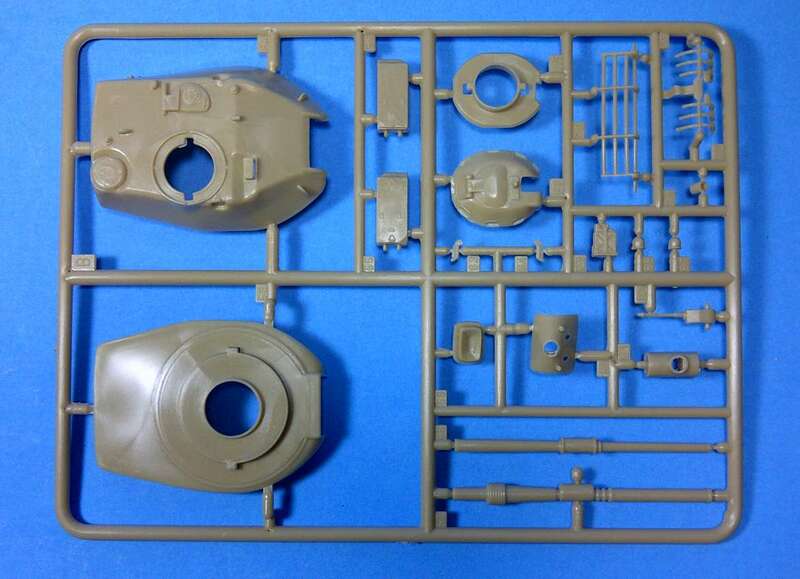 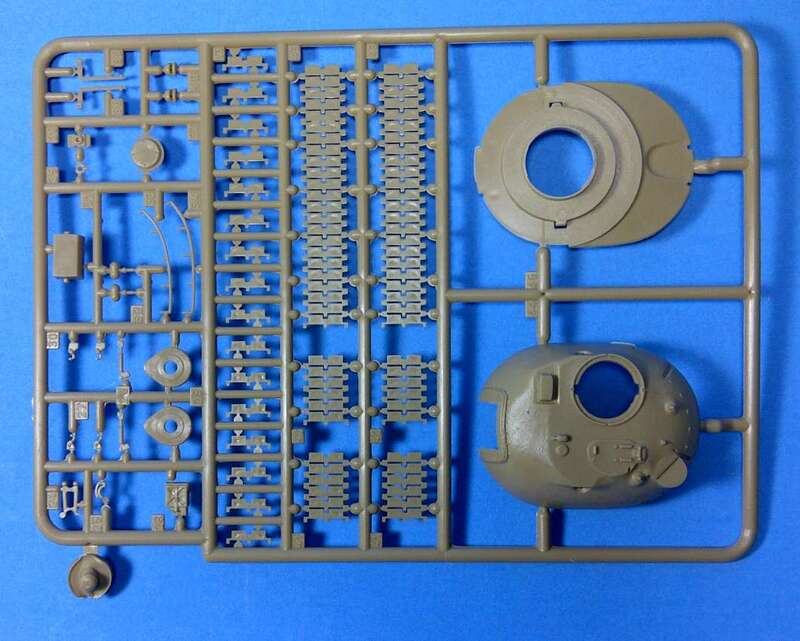 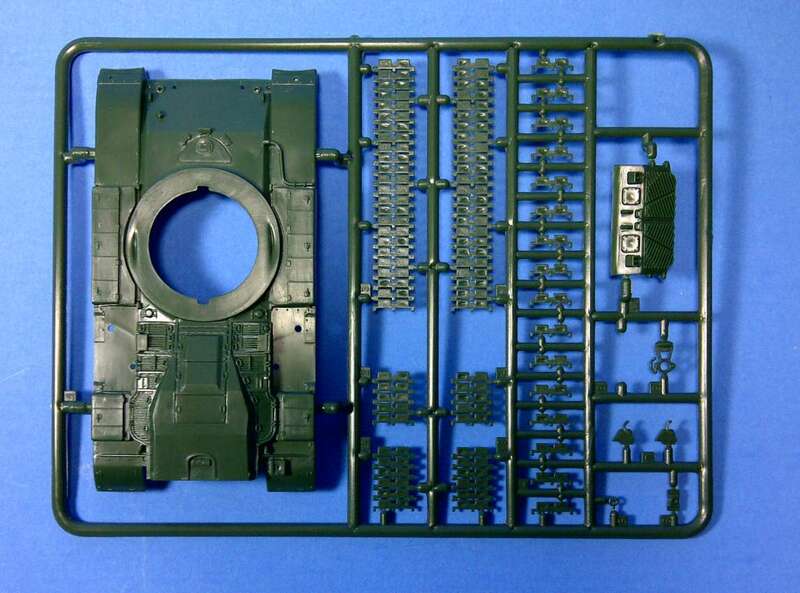 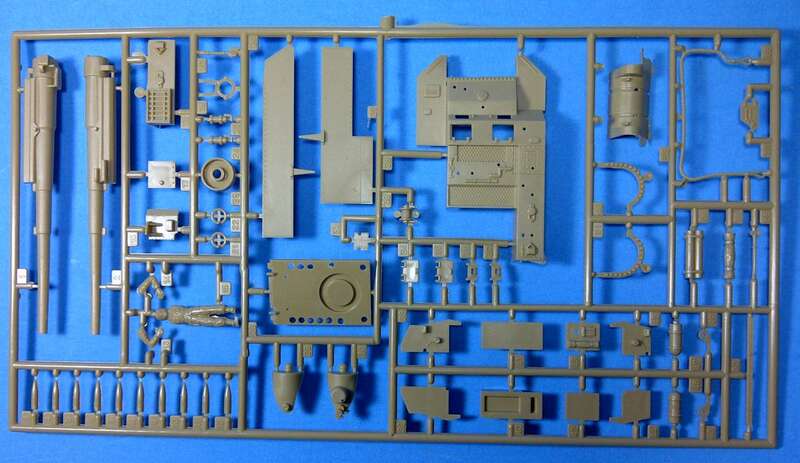 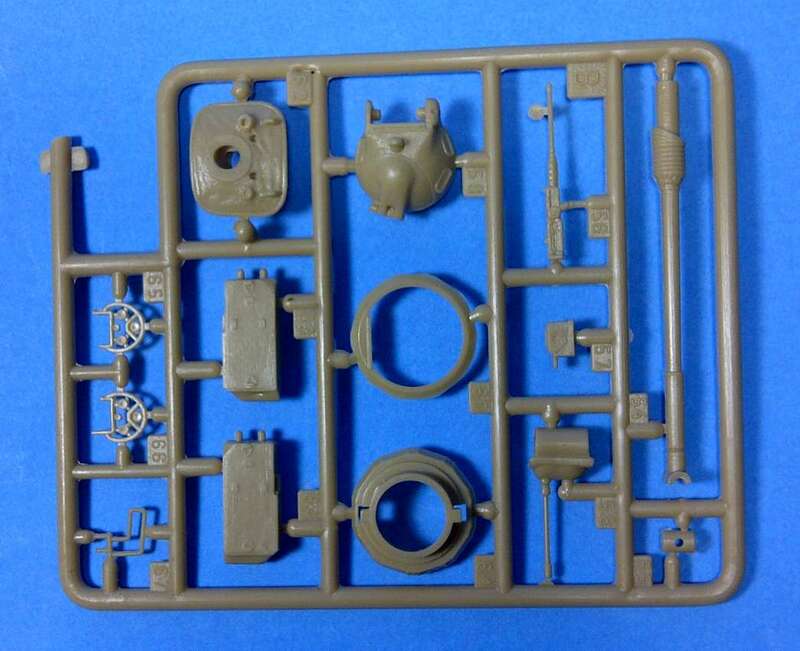 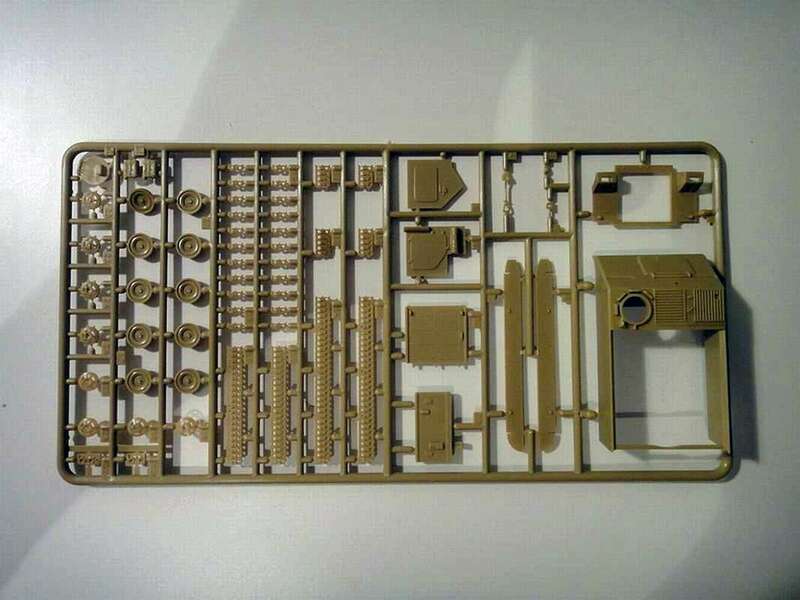 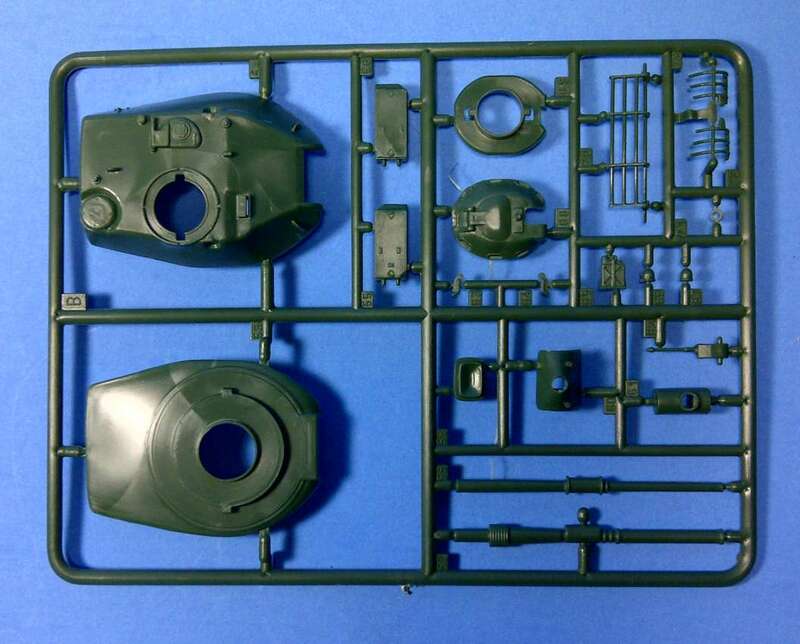 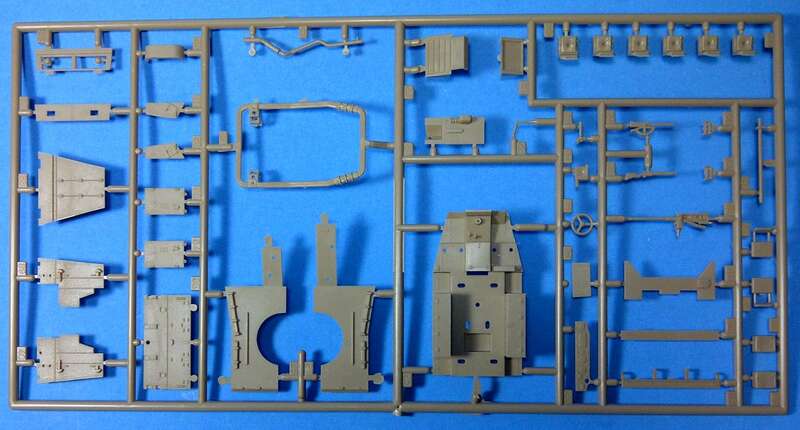 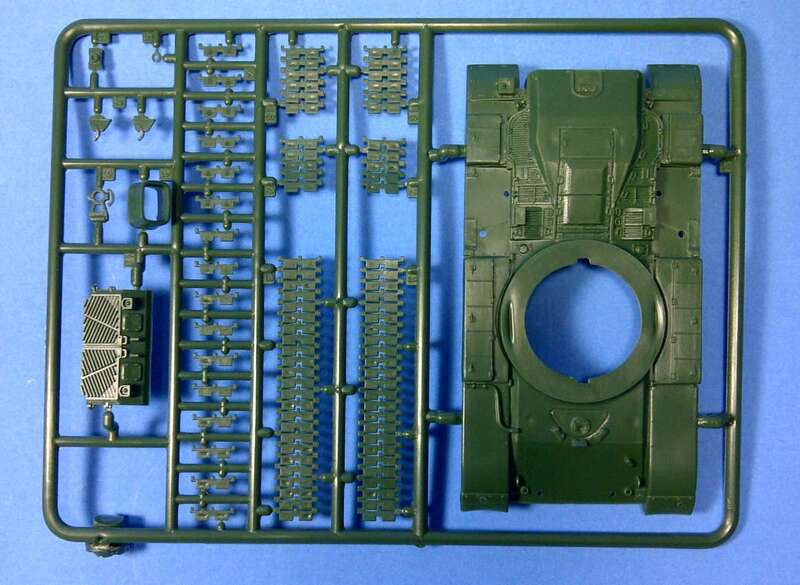 IV SPG "Hummel"
Kit 8315 - M60 A1 "Patton"
Kit 8318 - M60 "Blazer"
Kit 8319 - Jgdpz. 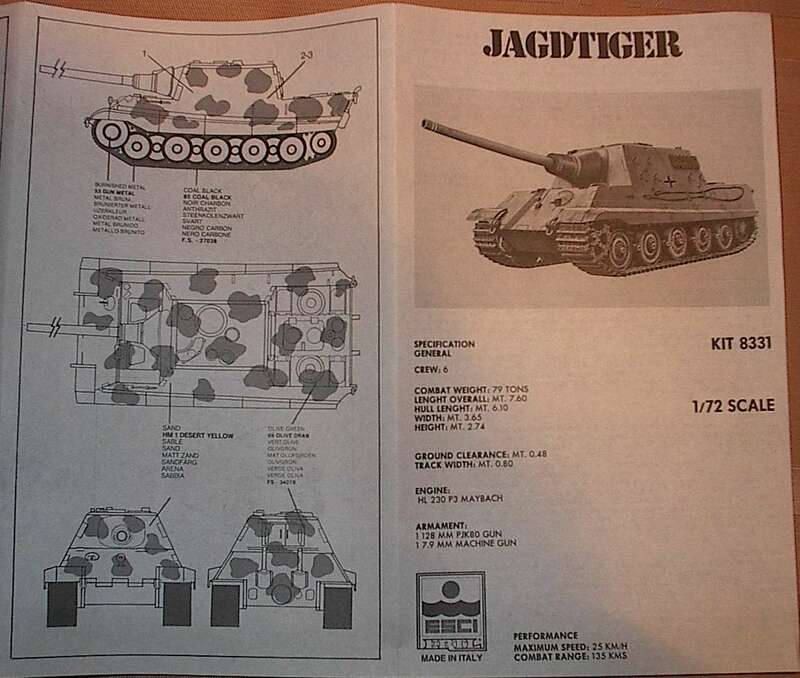 IV "Lang"
Kit 8320 - Jgdpz. 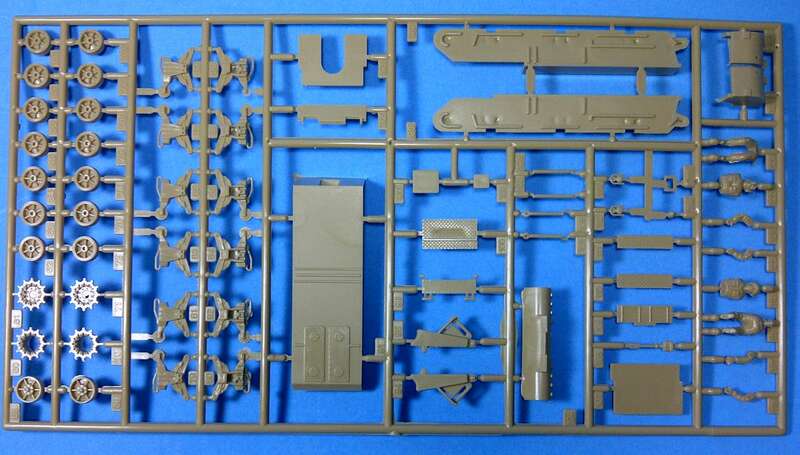 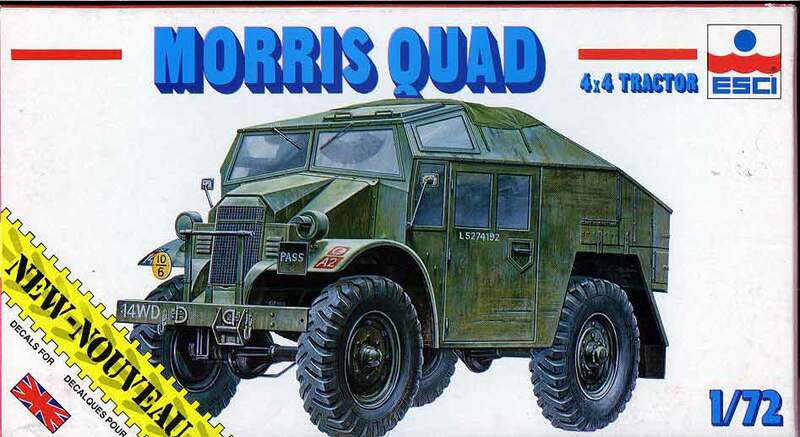 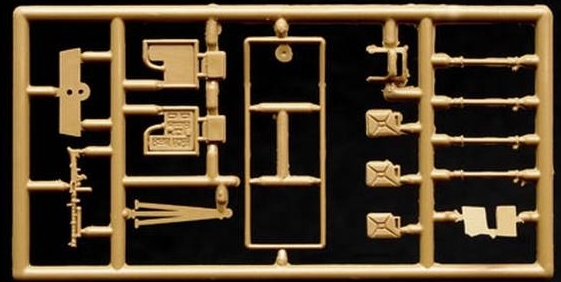 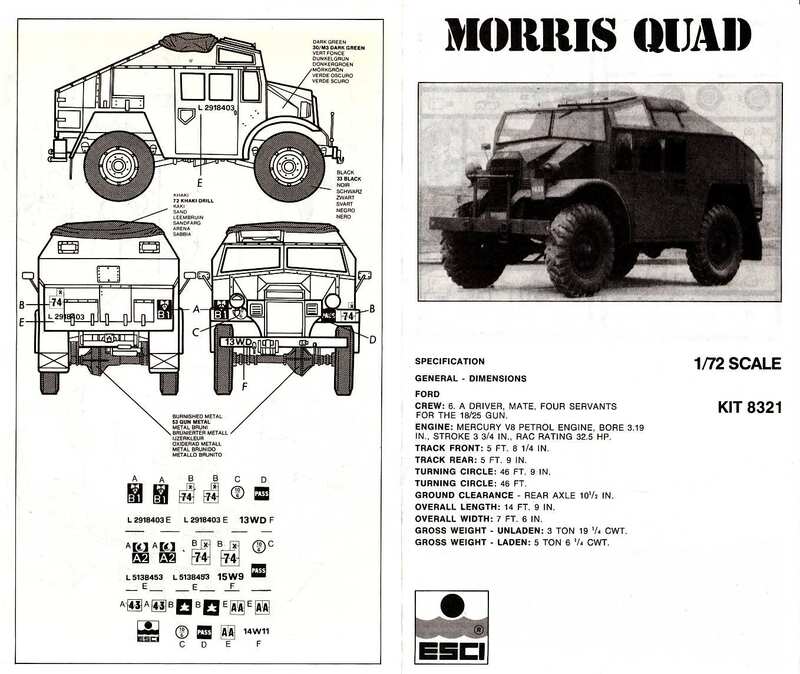 IV "Short"
Kit 8321 - Morris "Quad"
Part 4 Dioramasets and Kits with Figures sets"